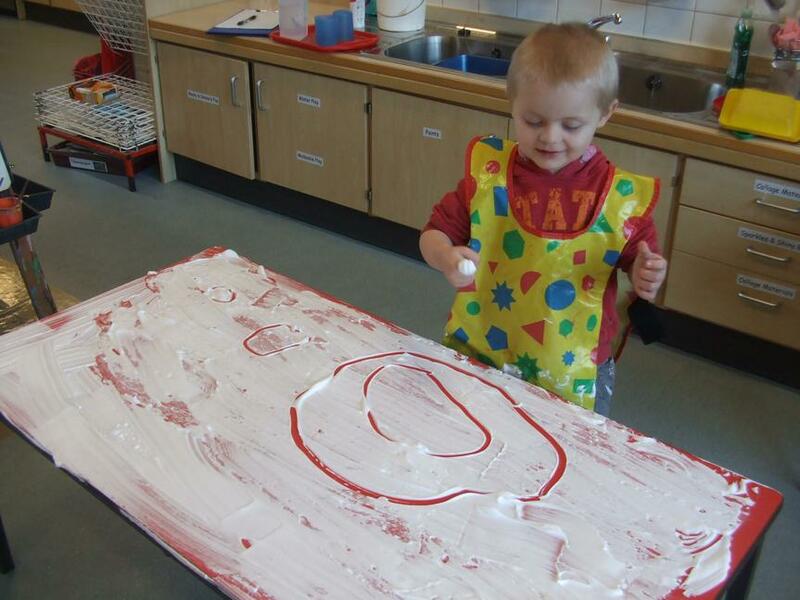 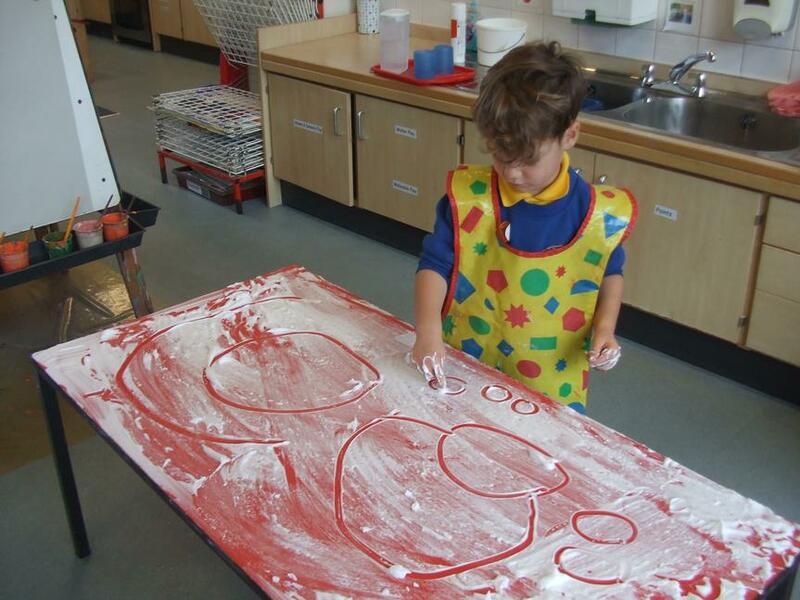 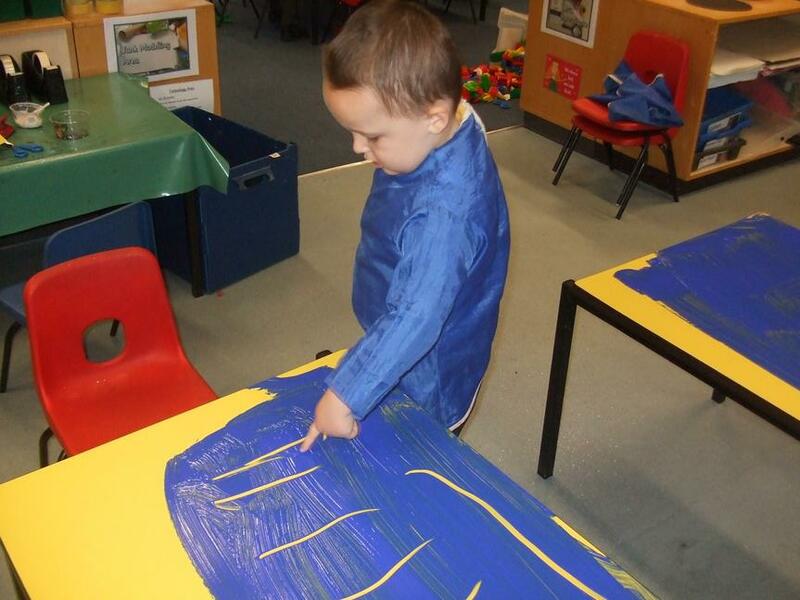 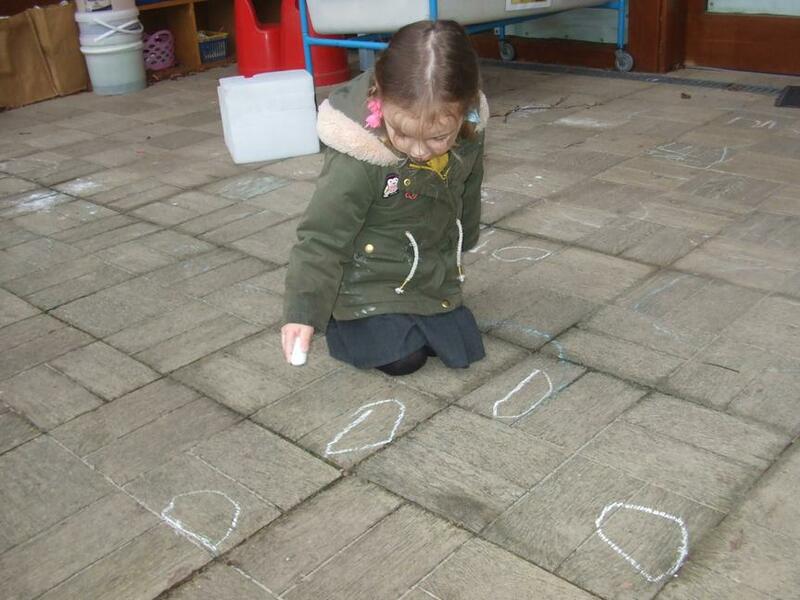 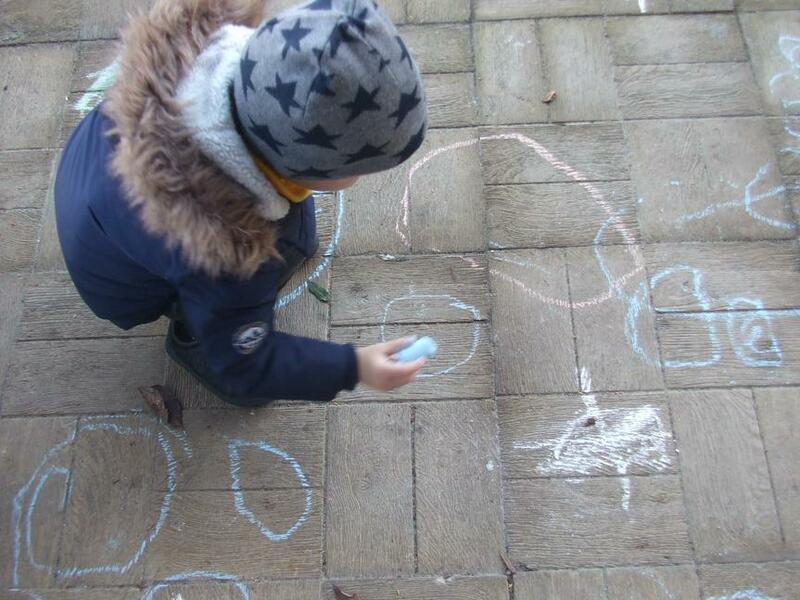 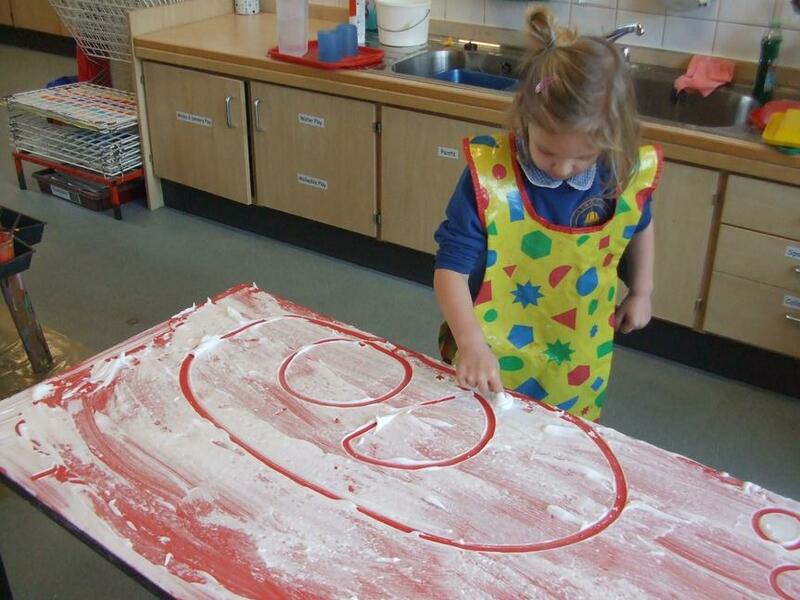 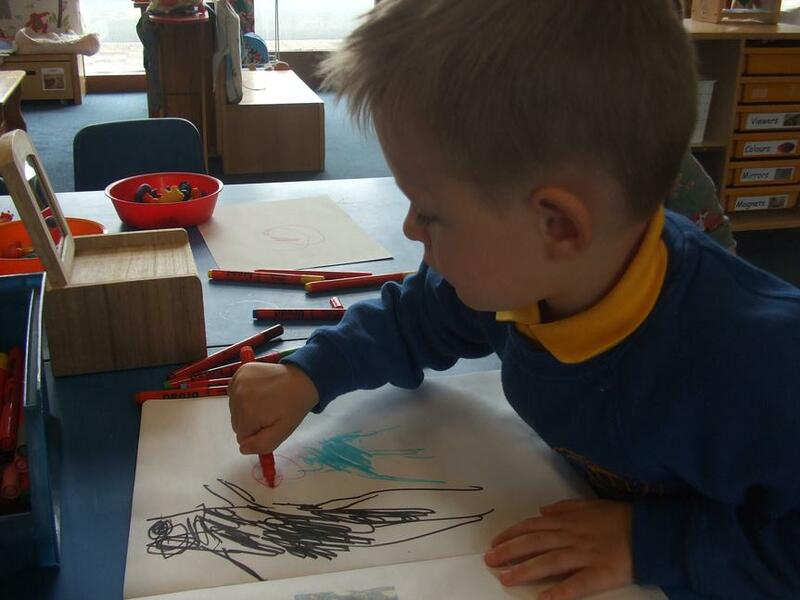 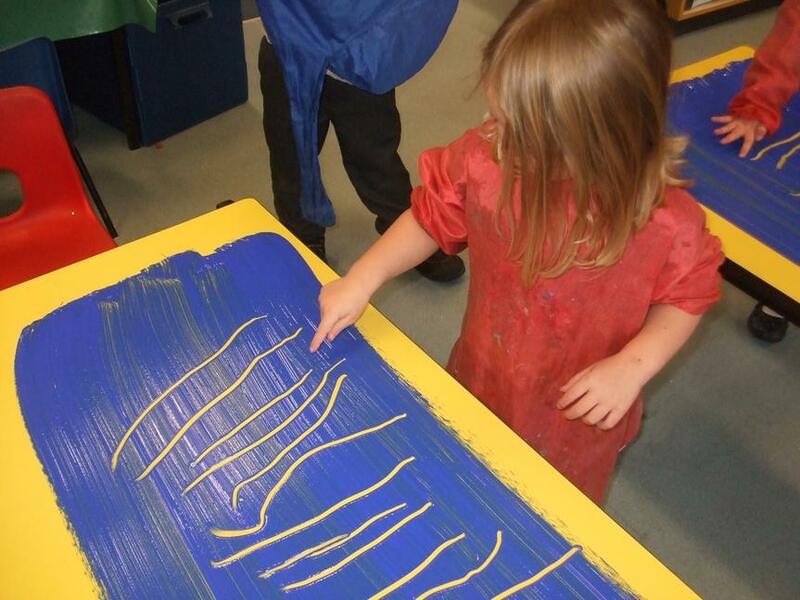 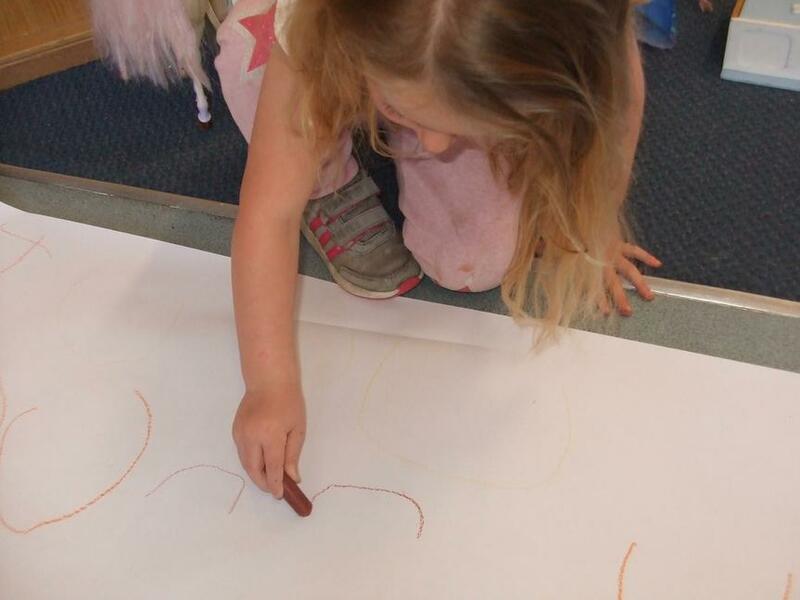 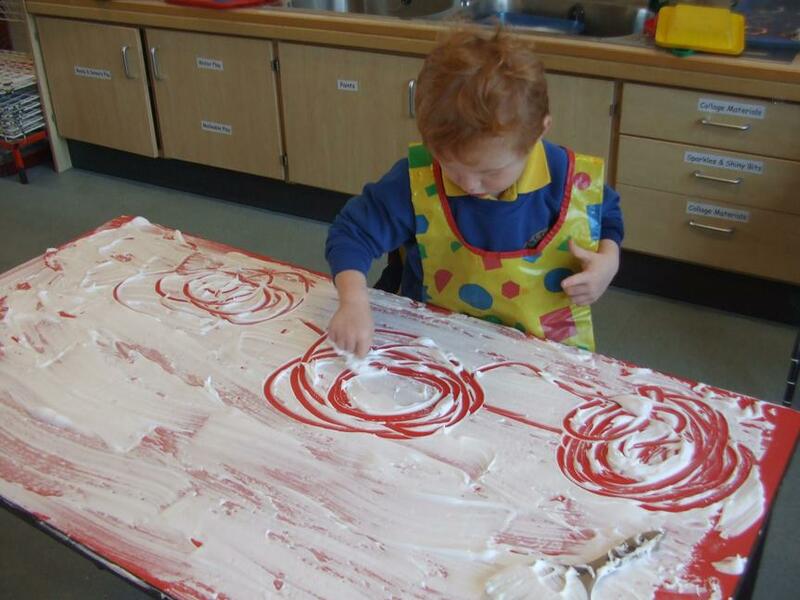 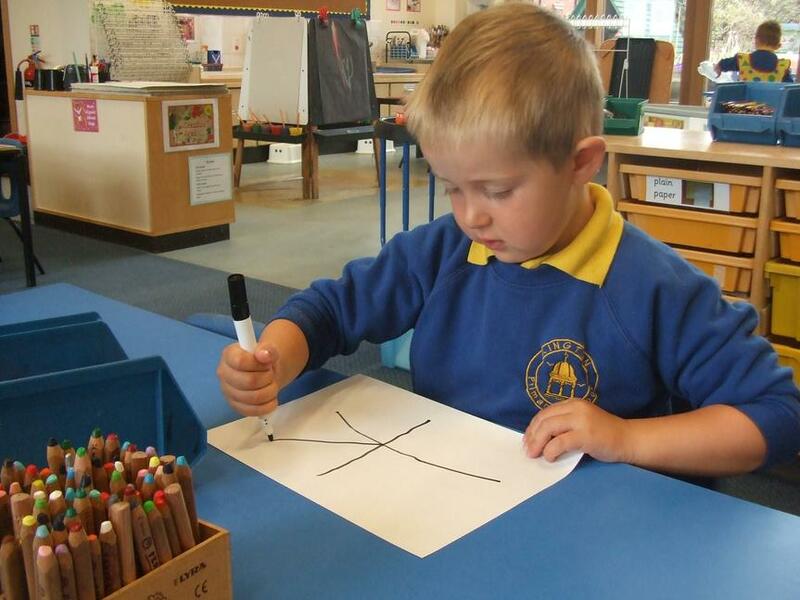 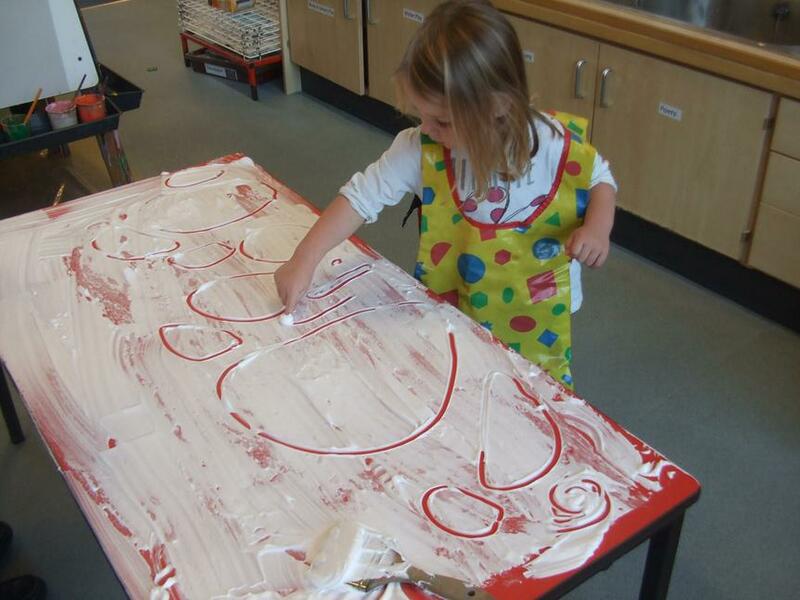 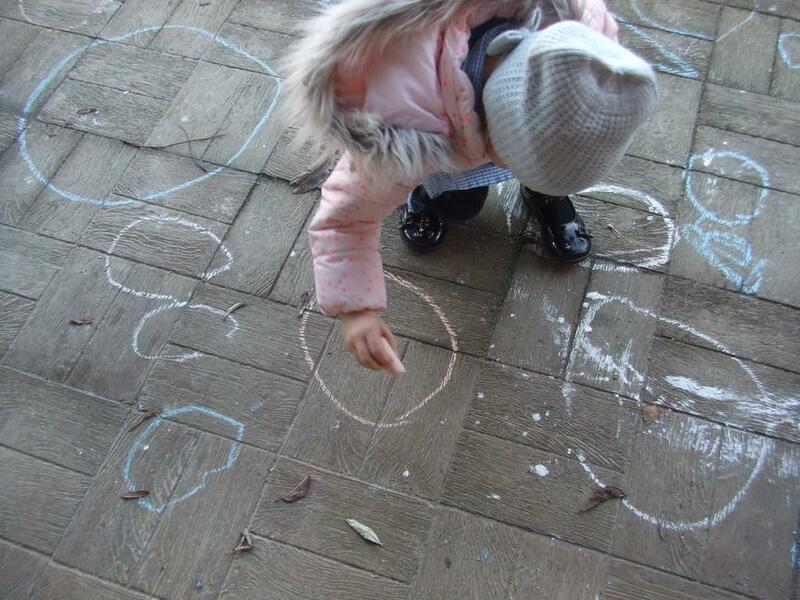 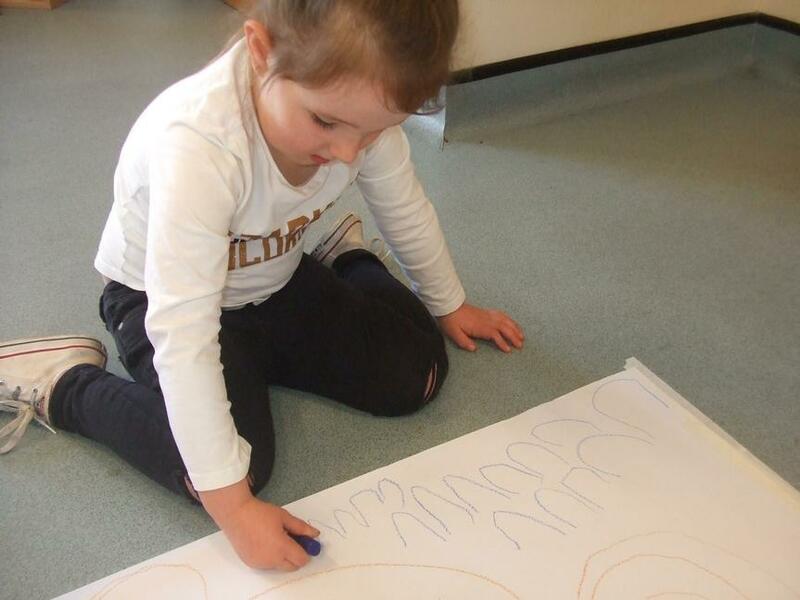 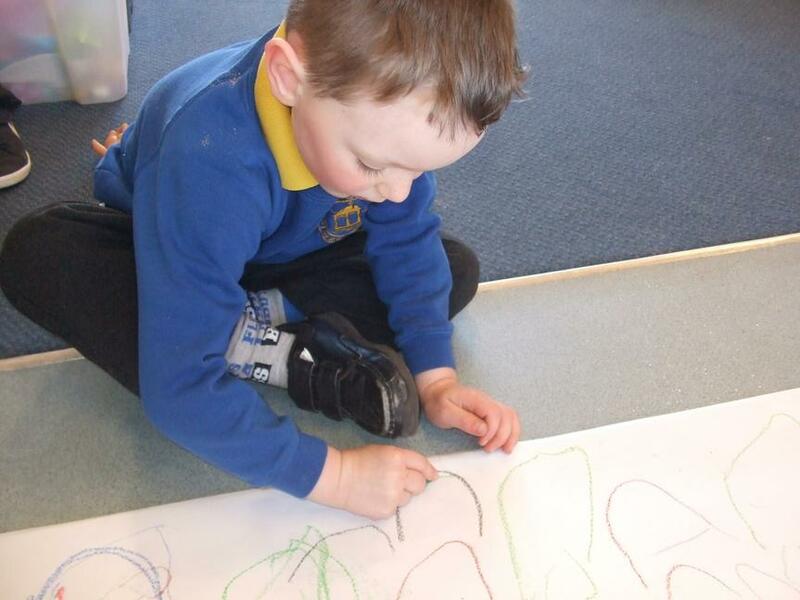 We have been doing lots of mark making in Nursery, practising different handwriting patterns. 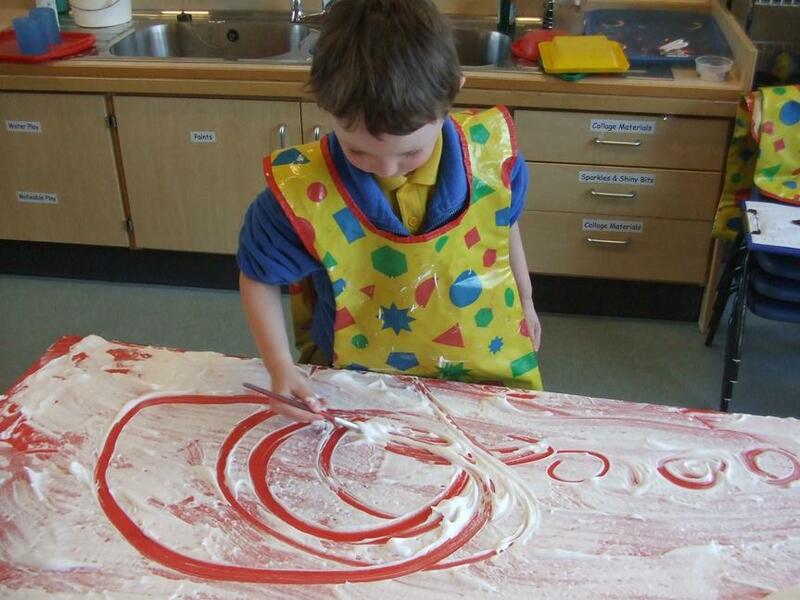 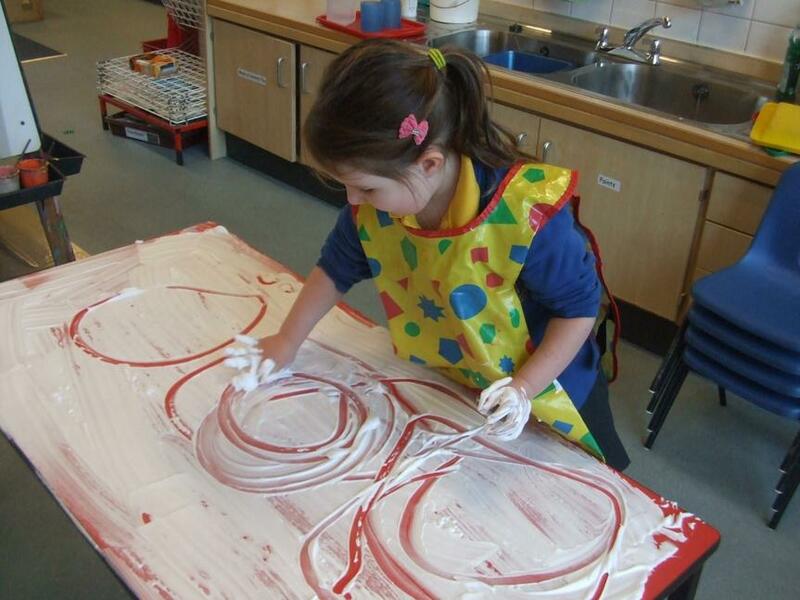 We have drawn circles, lines and loops. 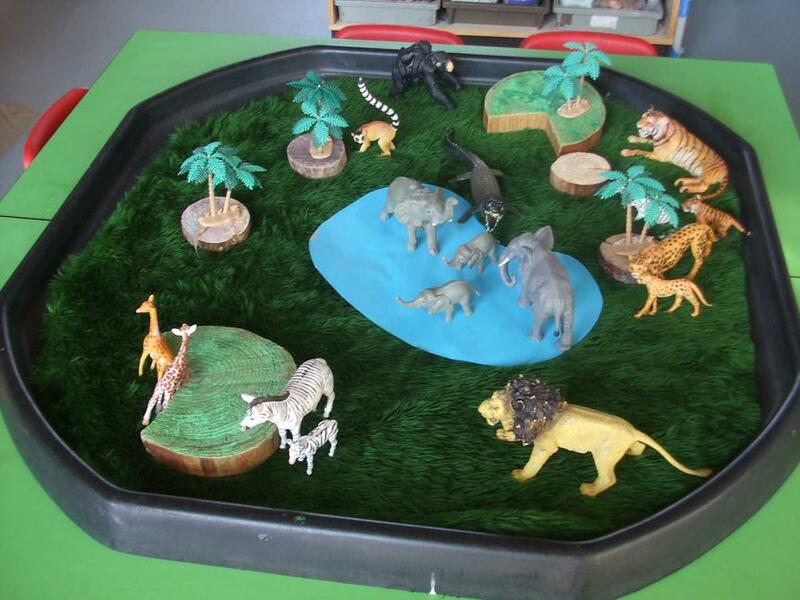 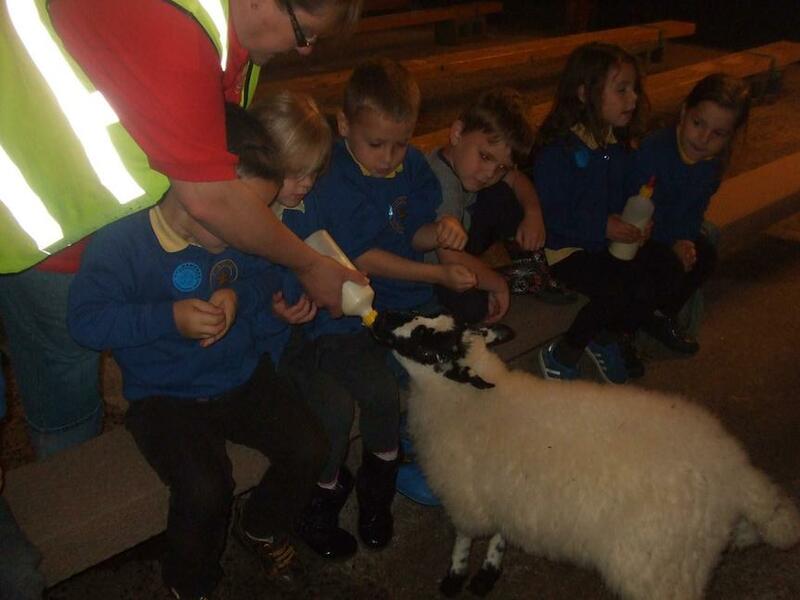 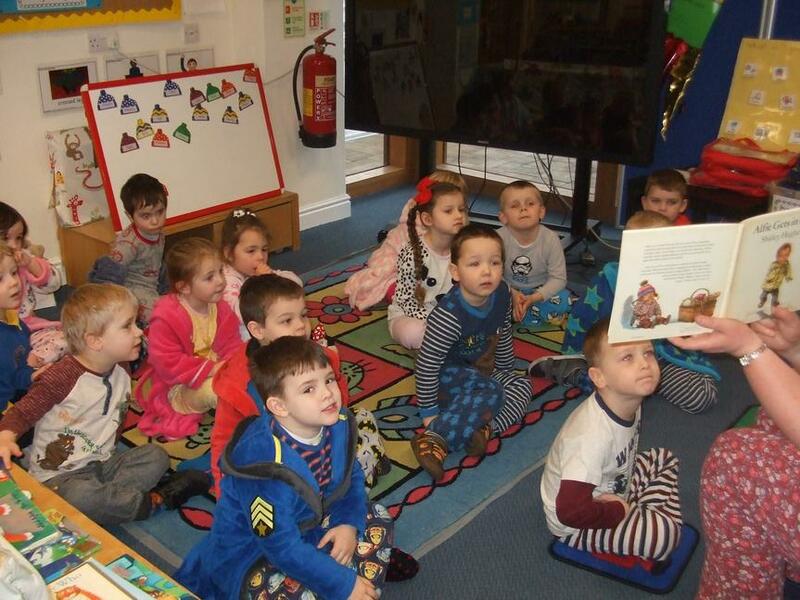 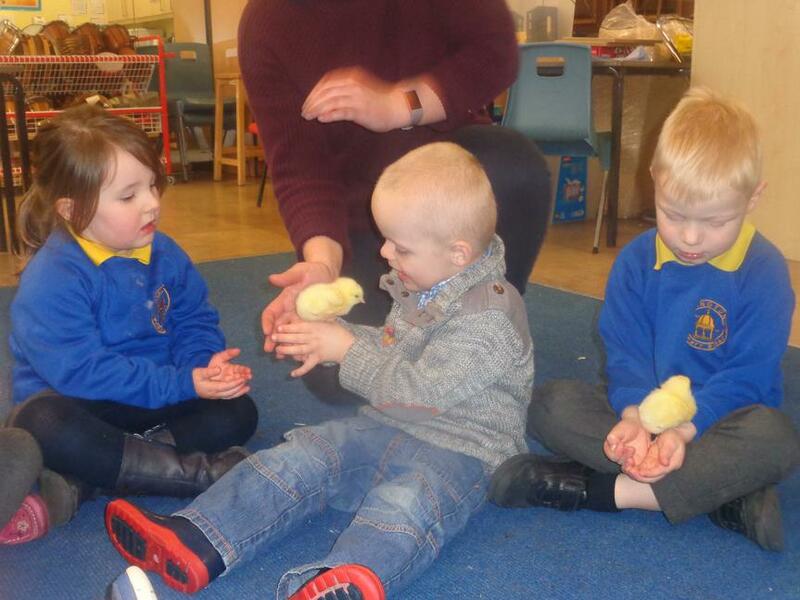 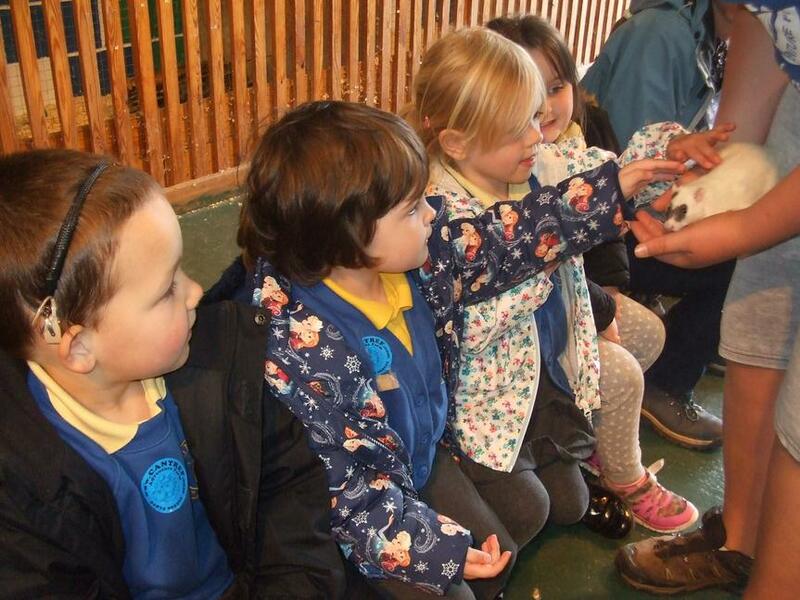 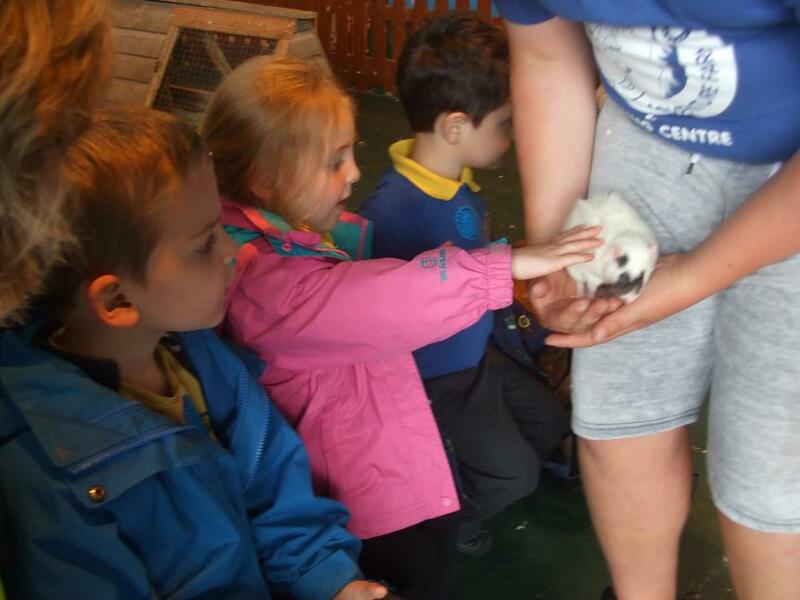 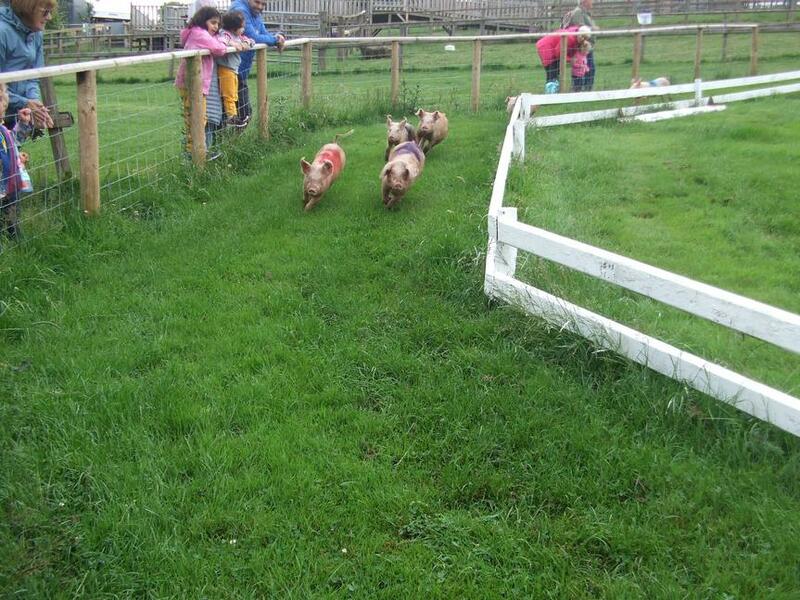 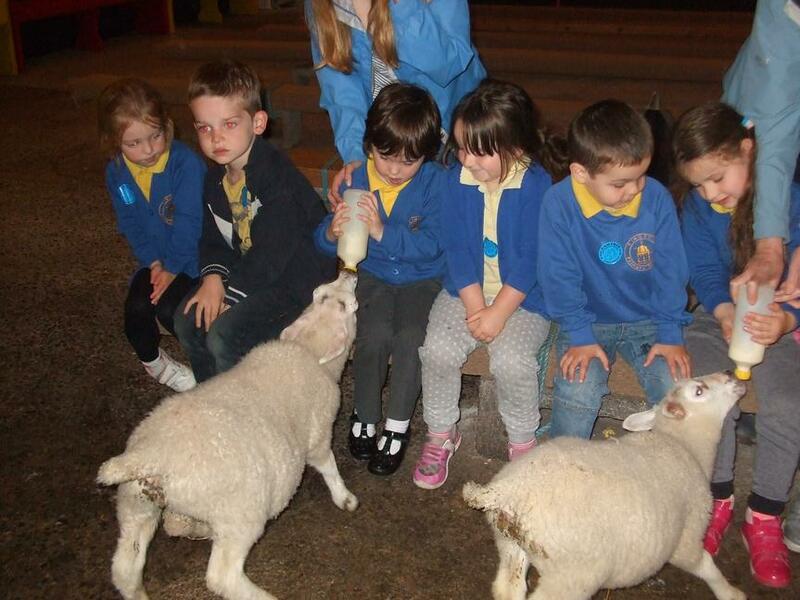 We welcomed some new friends to our Nursery class and we have been helping them to settle in. 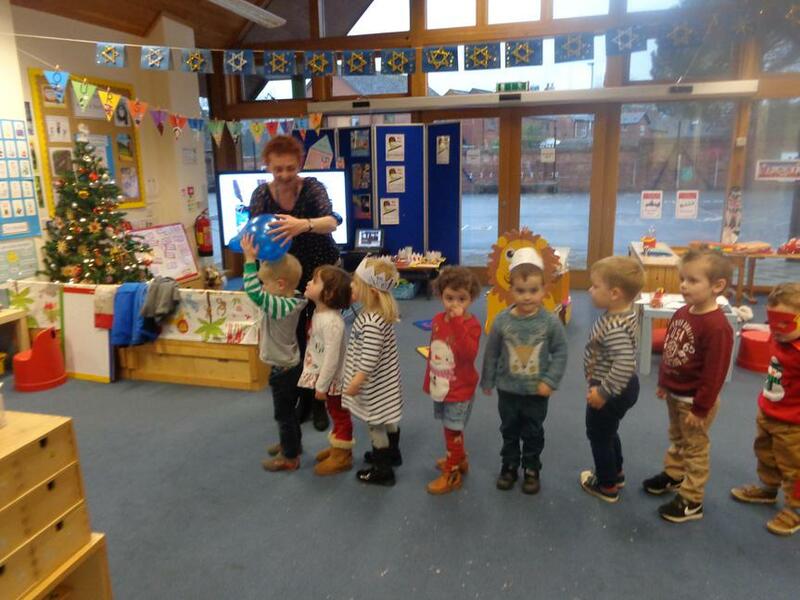 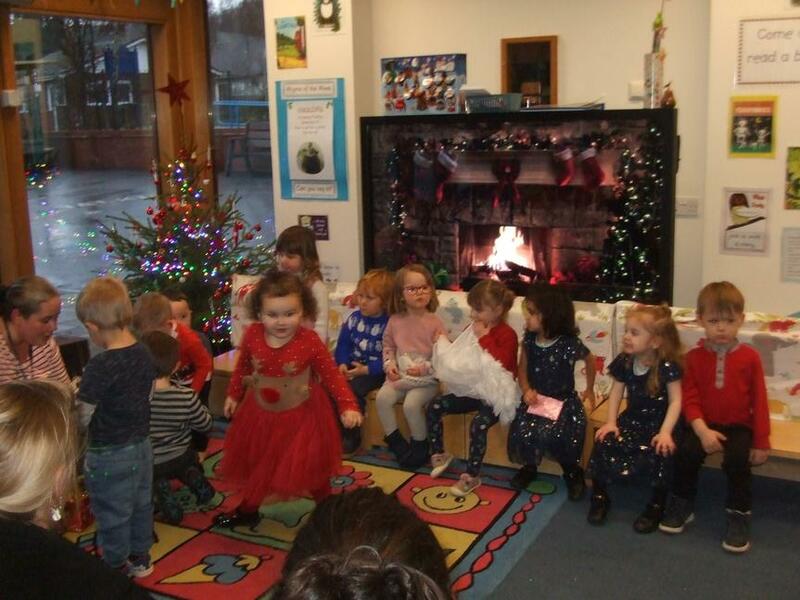 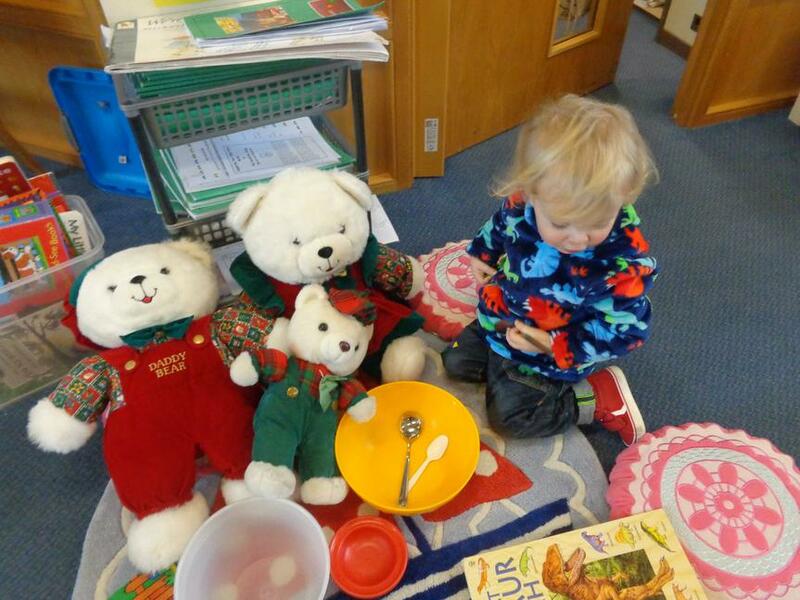 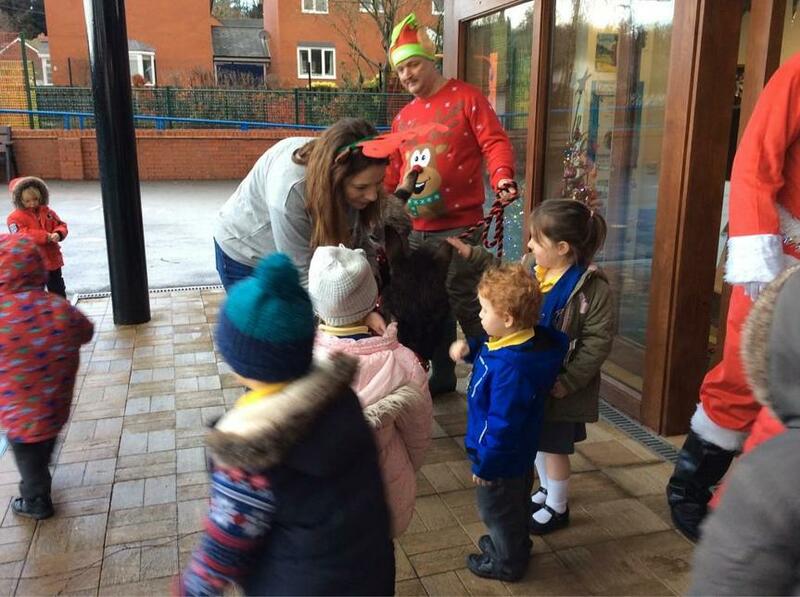 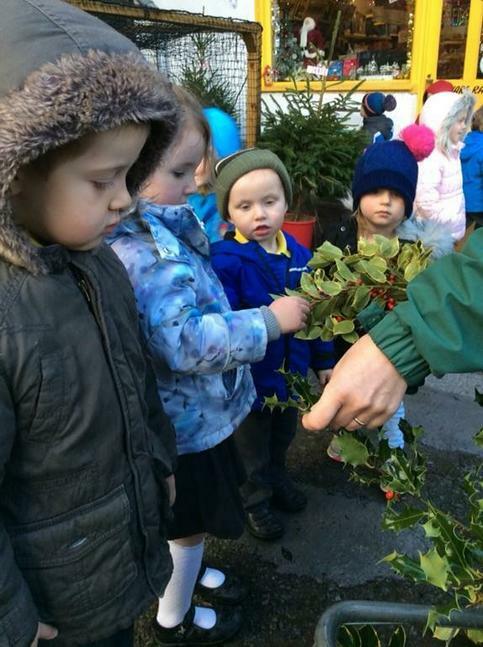 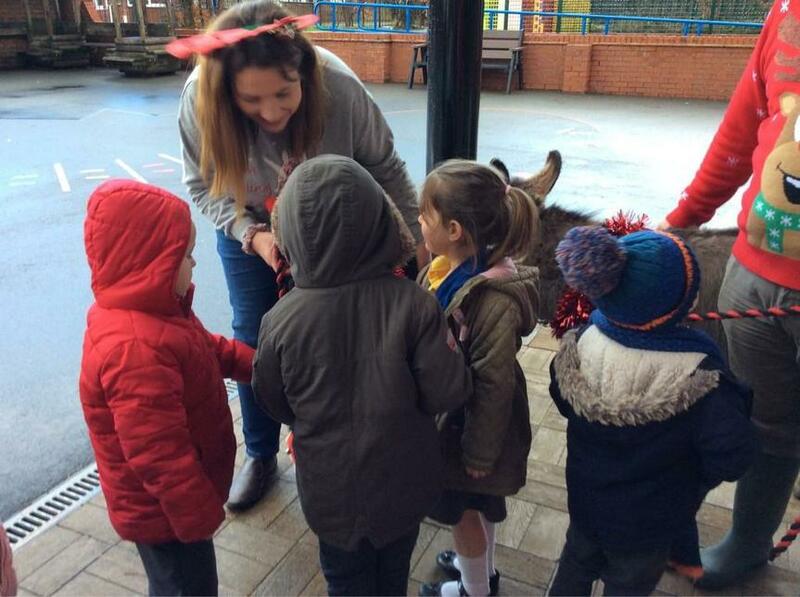 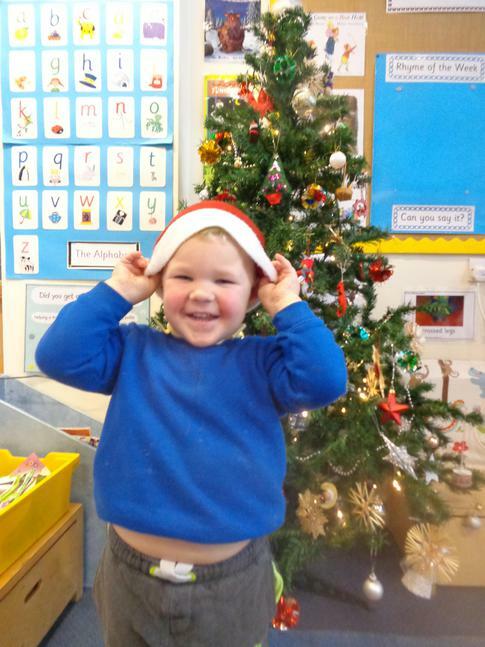 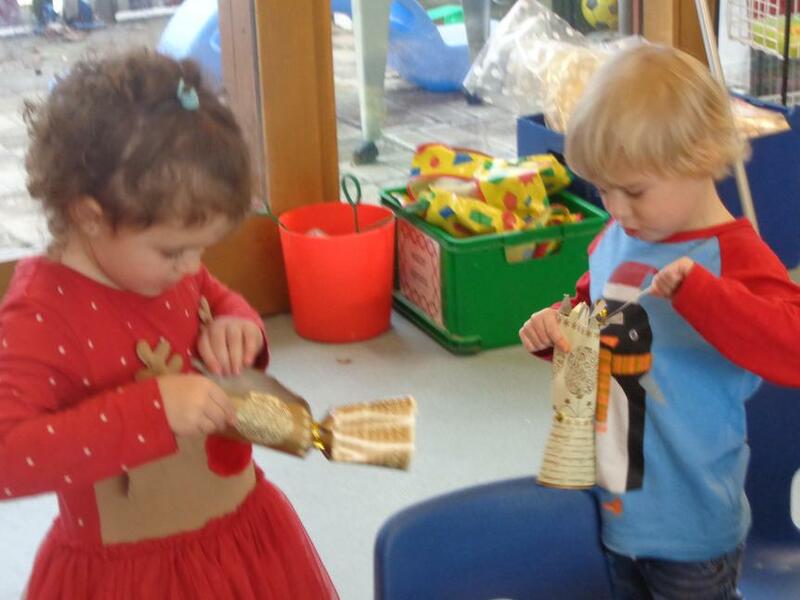 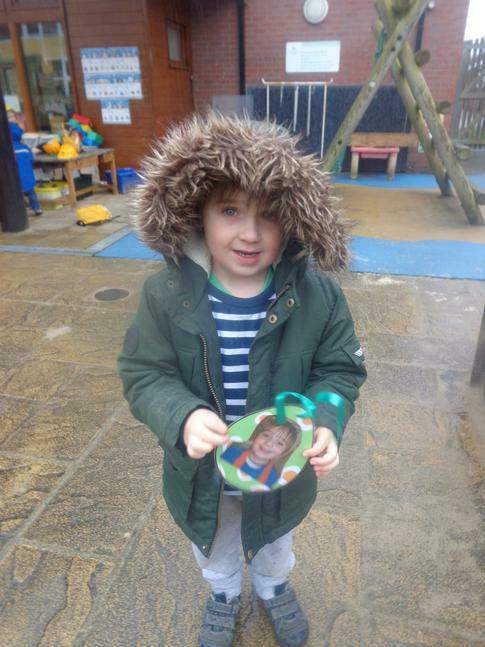 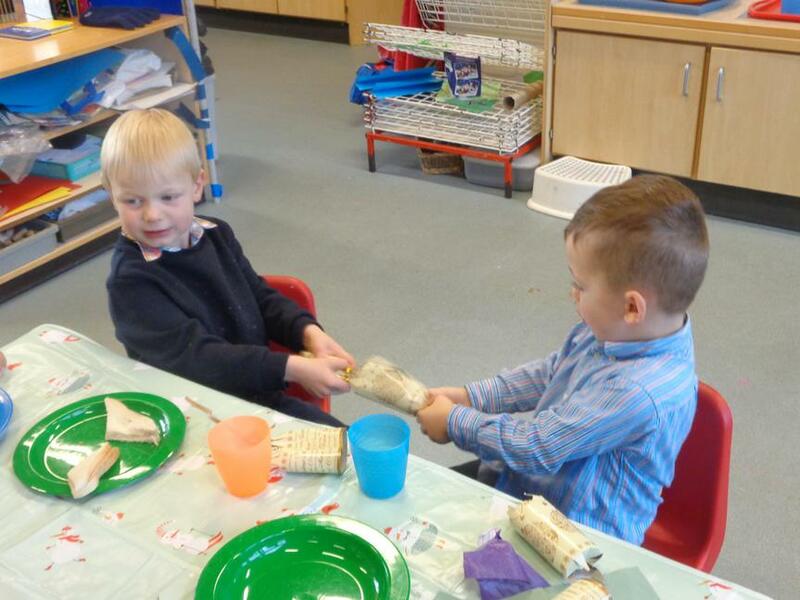 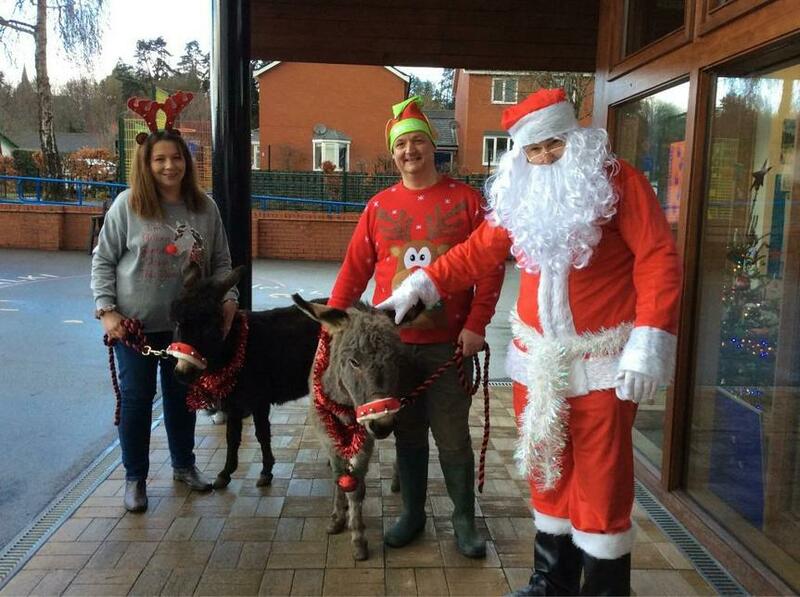 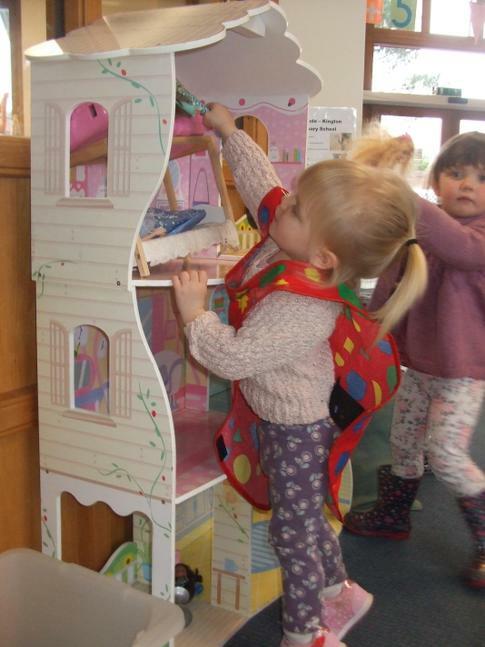 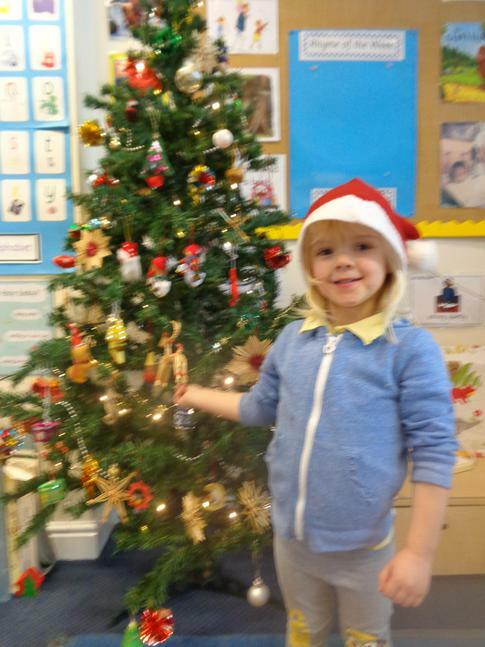 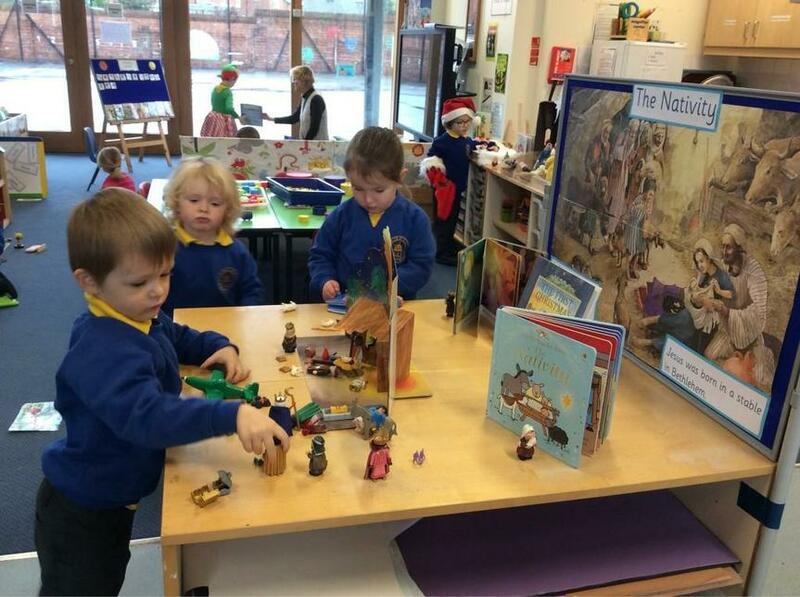 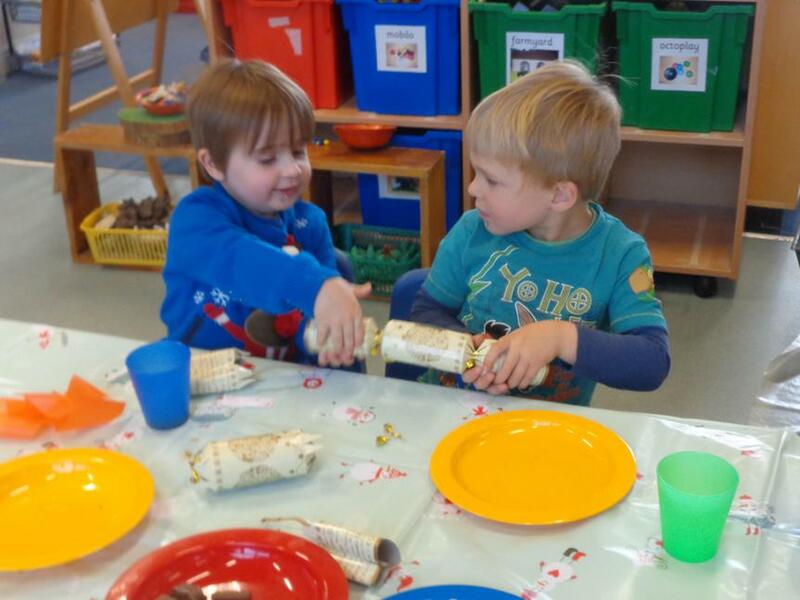 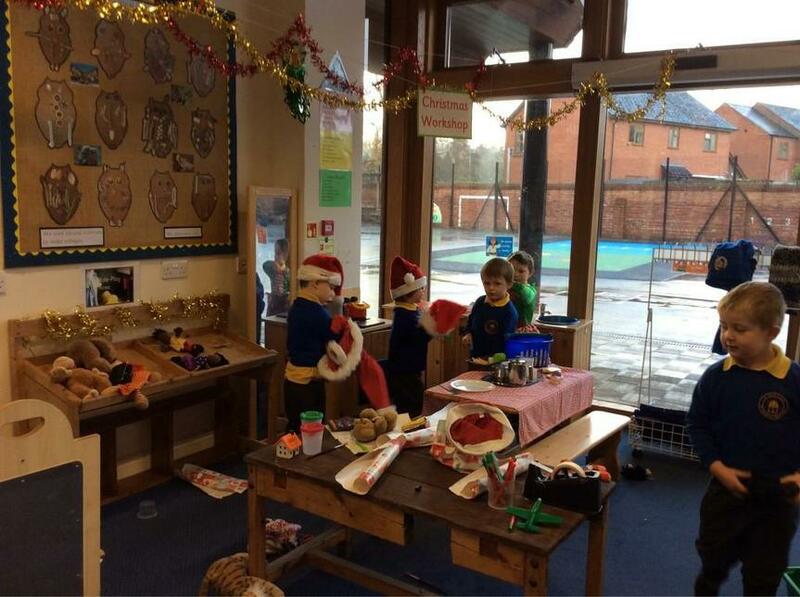 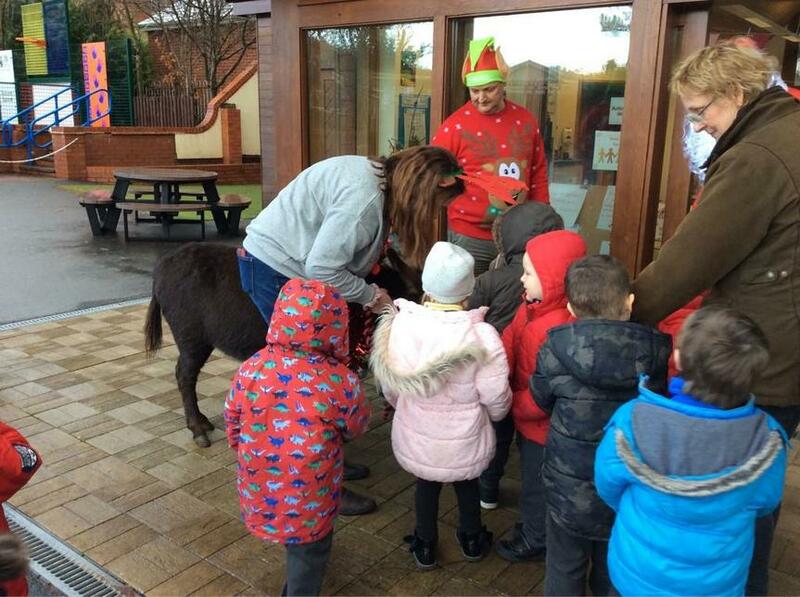 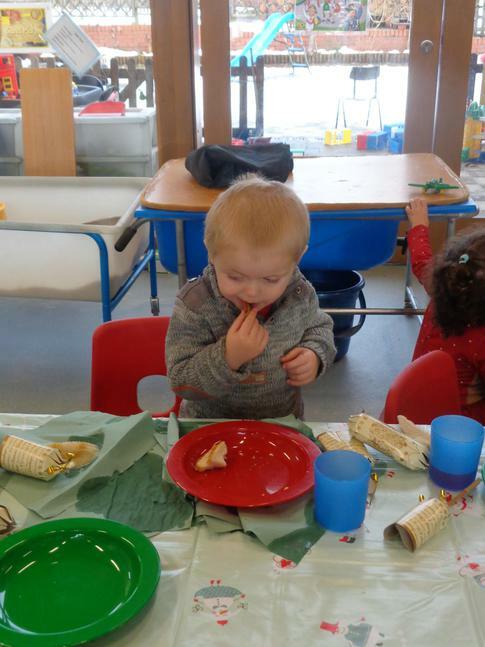 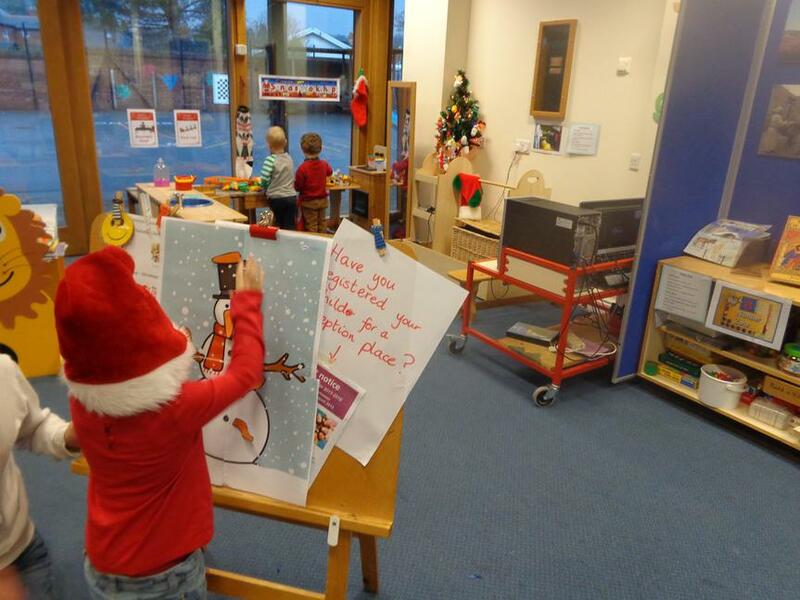 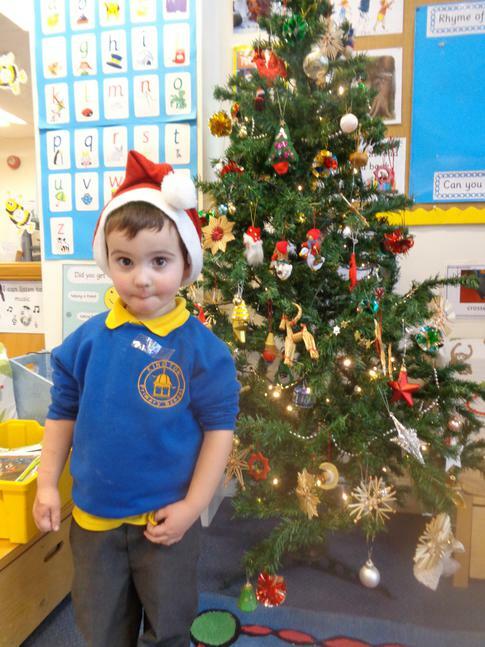 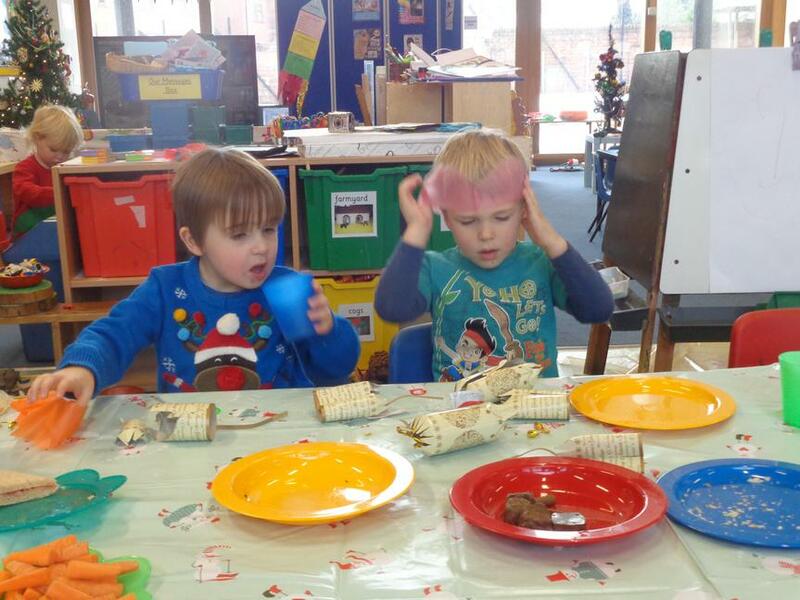 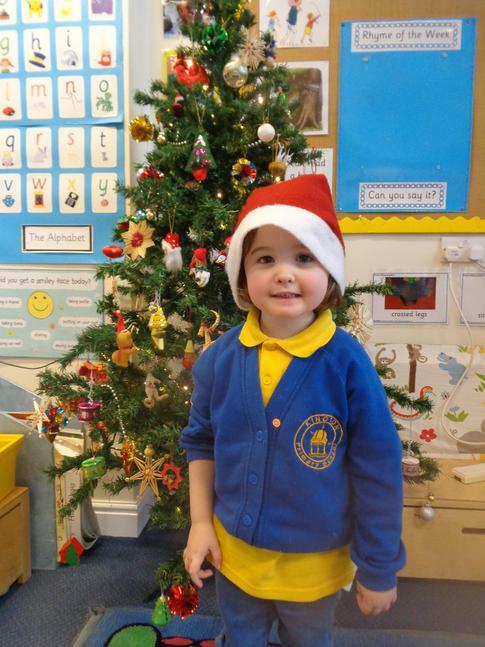 We had a busy time at Nursery in the run up to Christmas! 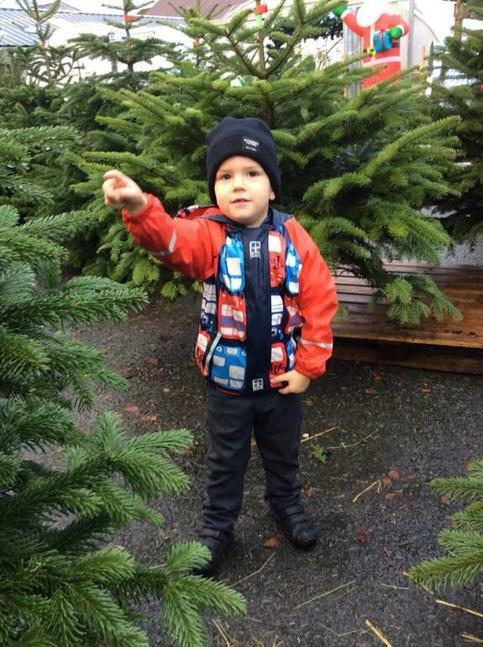 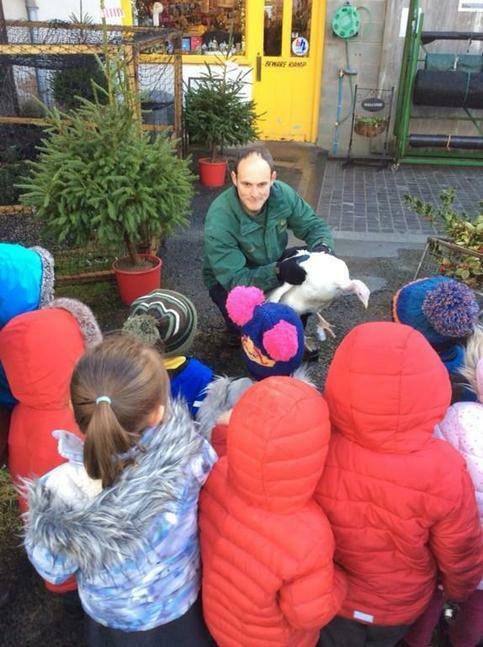 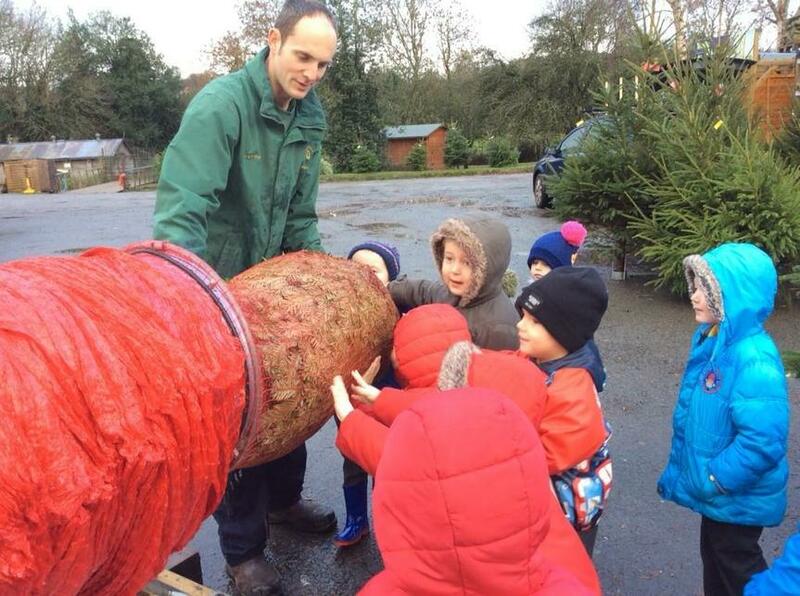 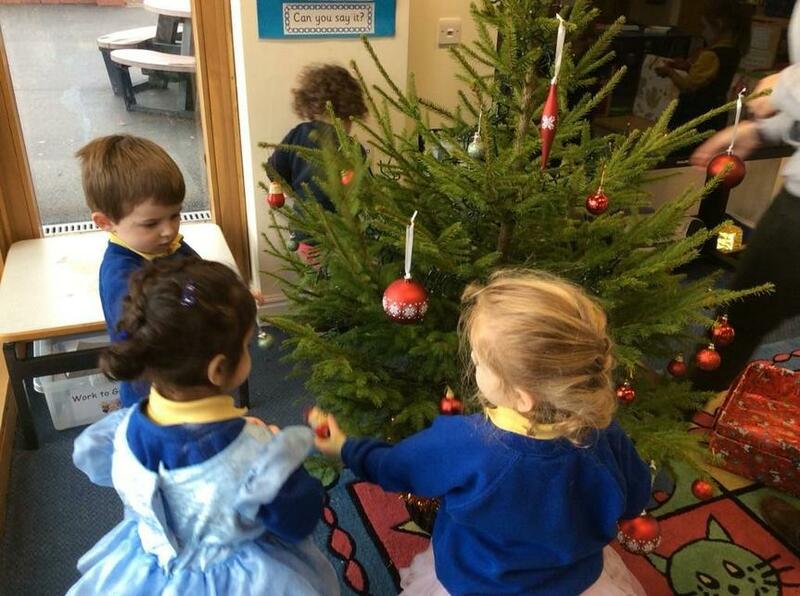 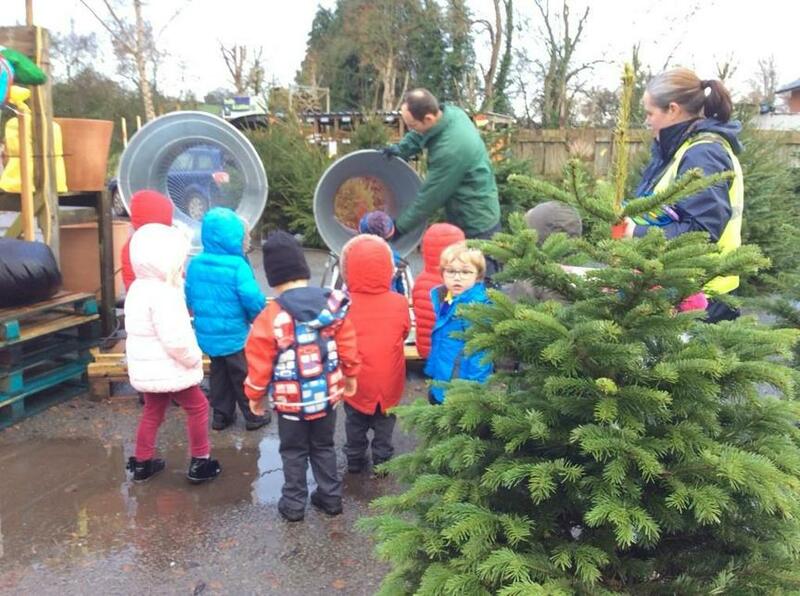 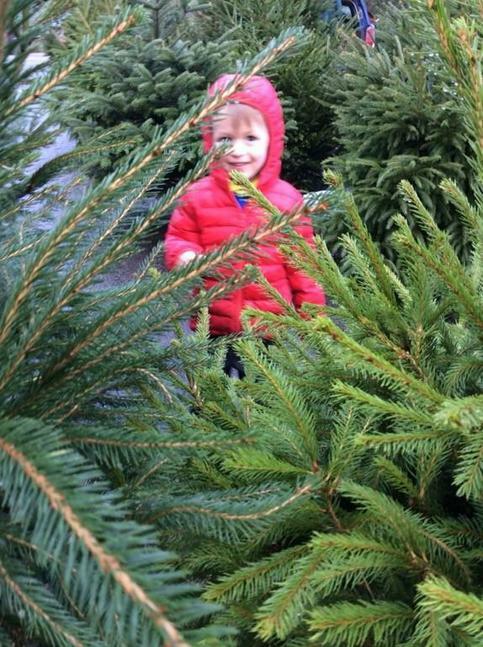 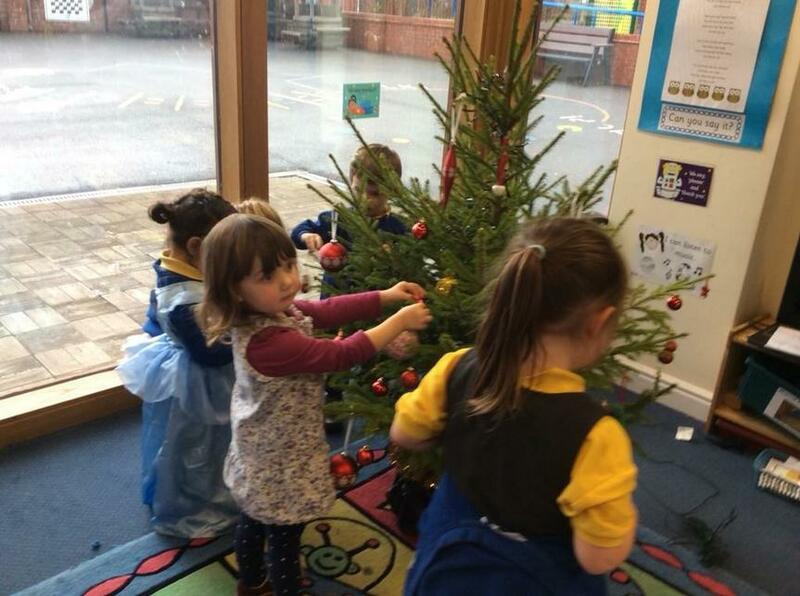 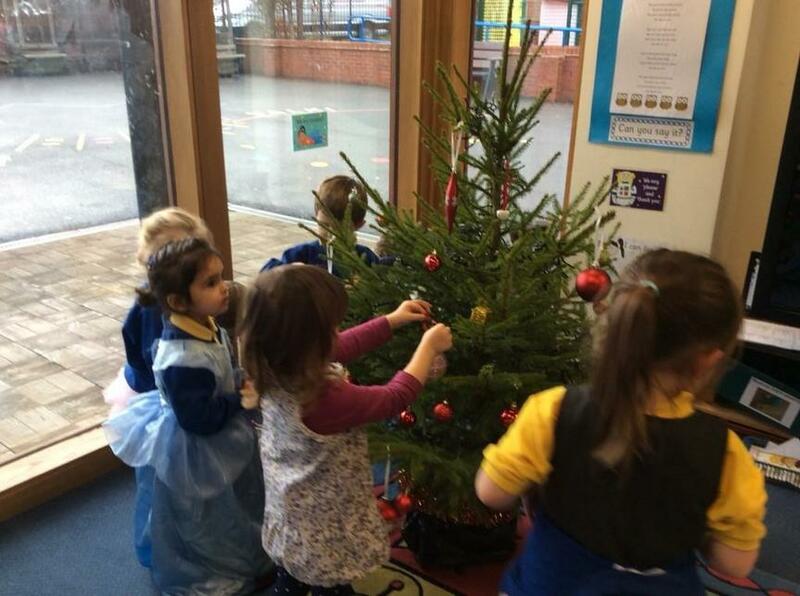 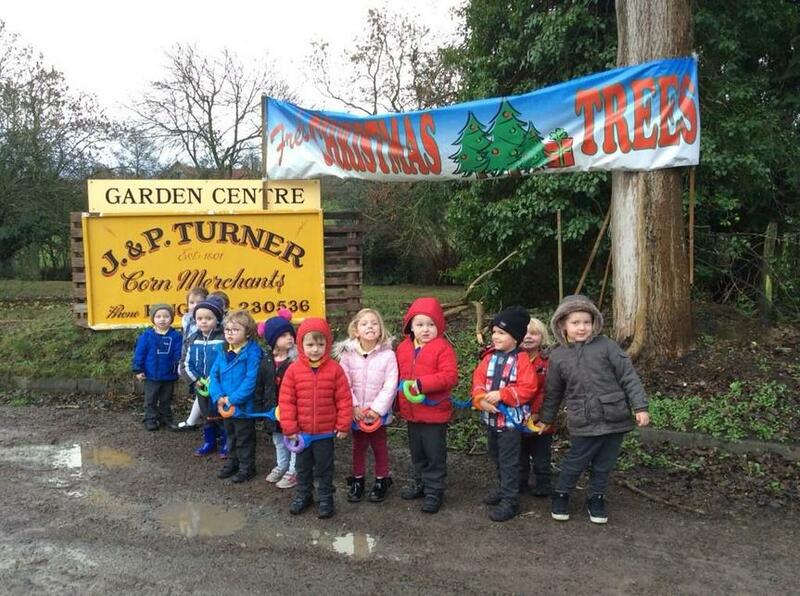 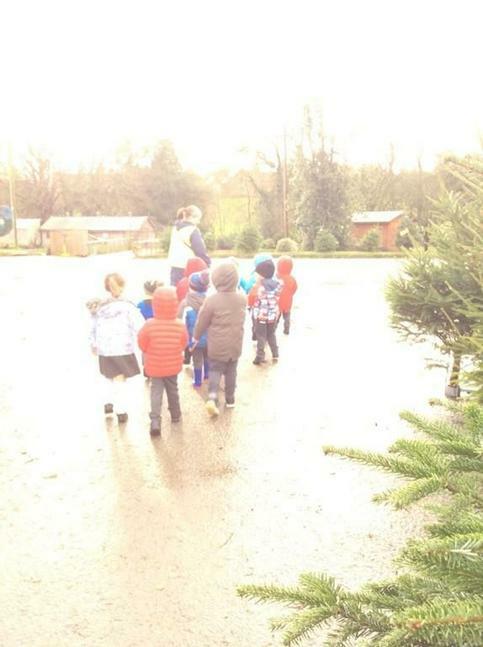 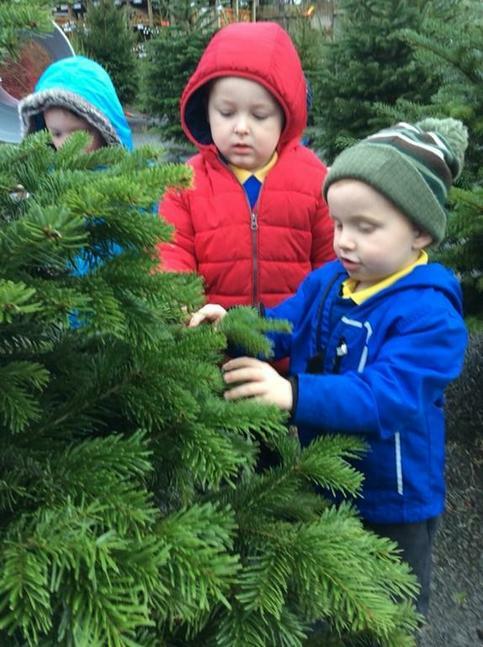 As well as talking about Christmas, doing Christmas crafts and playing with special toys in Nursery, we went down to the garden centre to buy a Christmas tree for our classroom and all helped to decorate it. 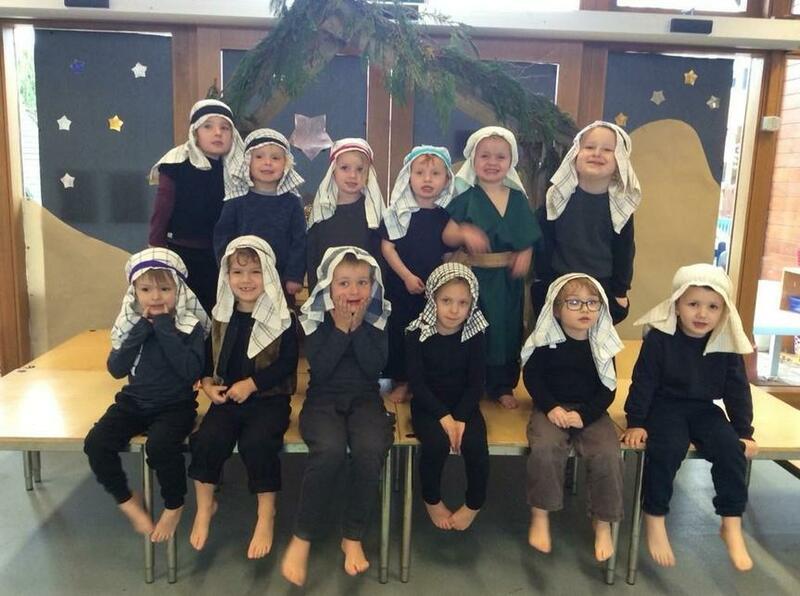 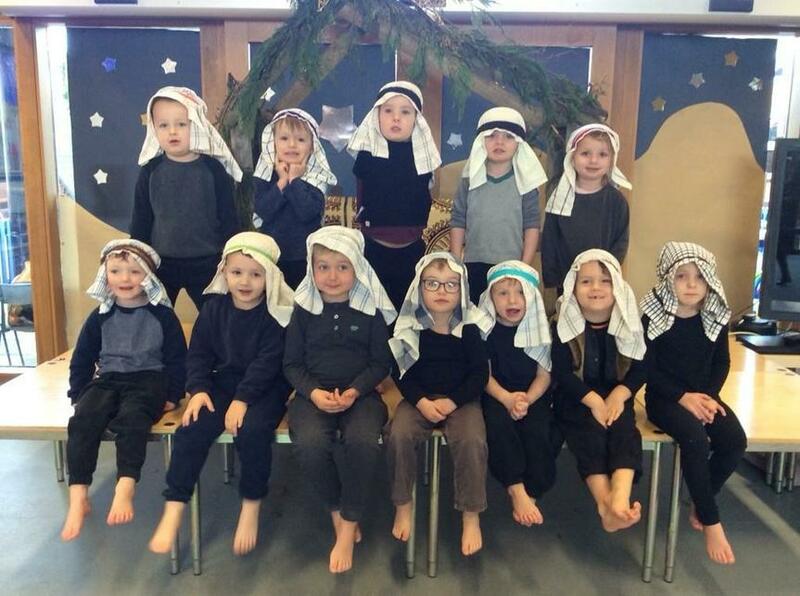 We learnt the story of the Nativity and performed 'Born in a Barn' to parents, carers, family and friends. 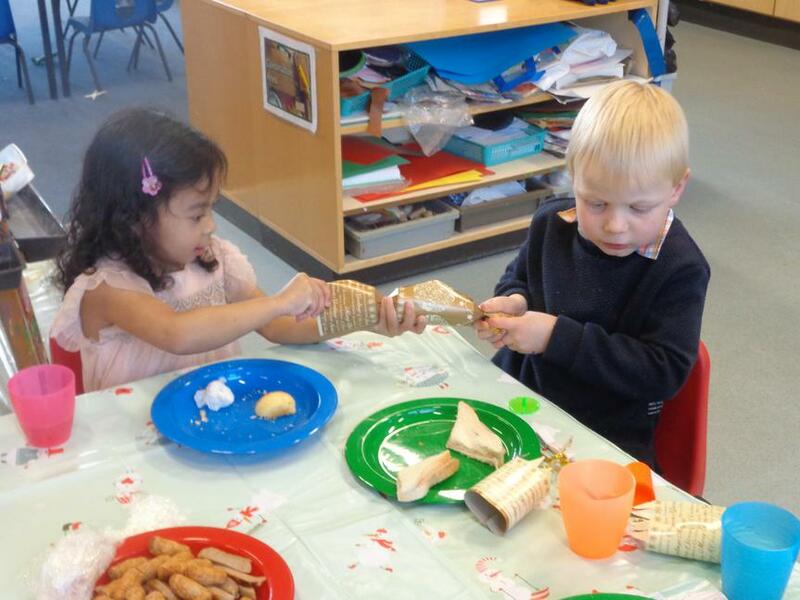 We finished off the term with Christmas parties. 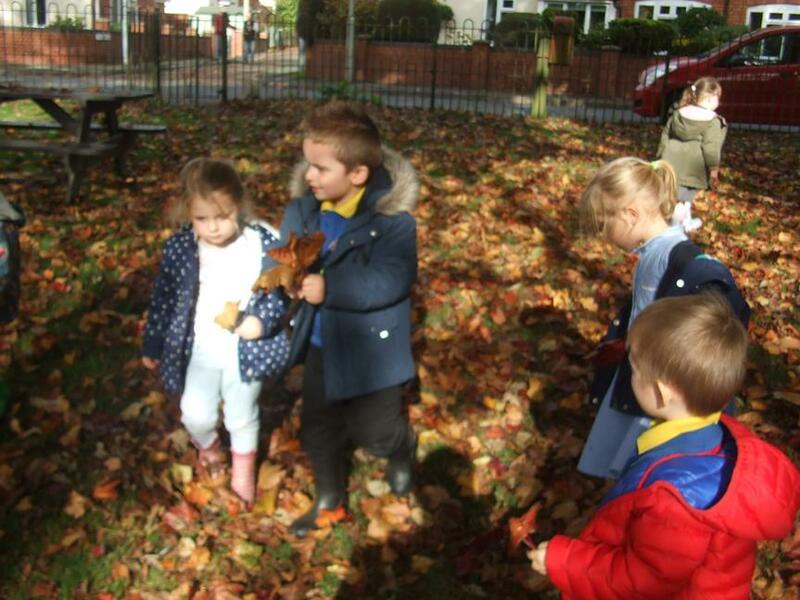 We learned all about what happens in Autumn time. 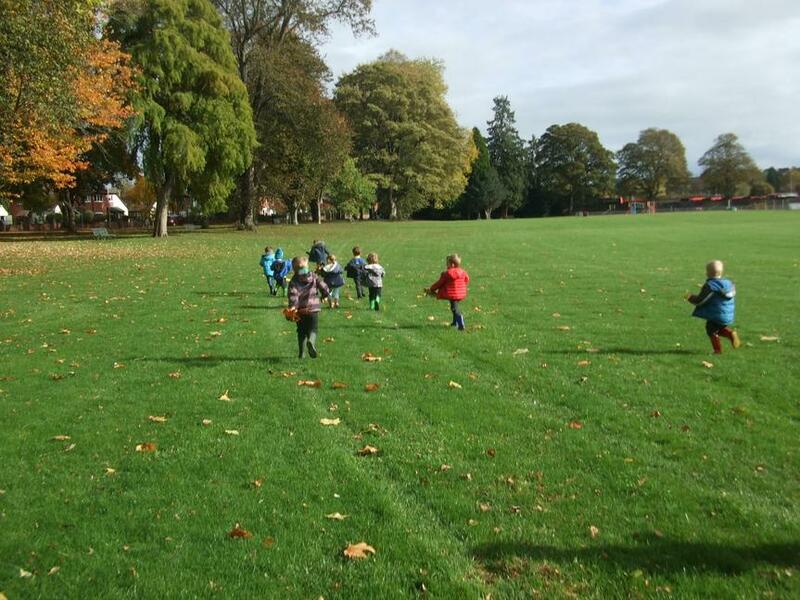 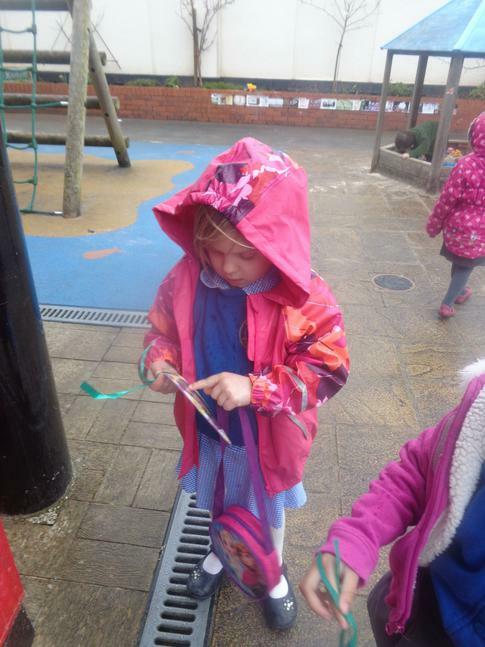 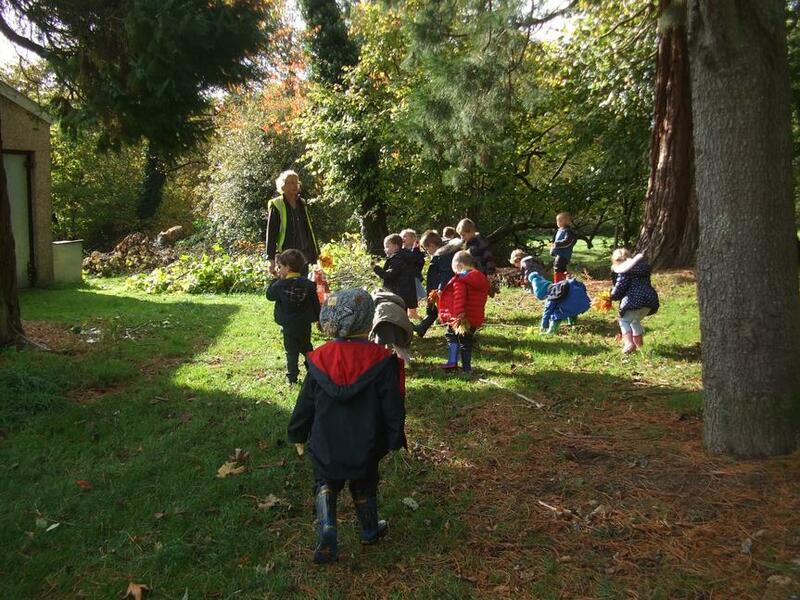 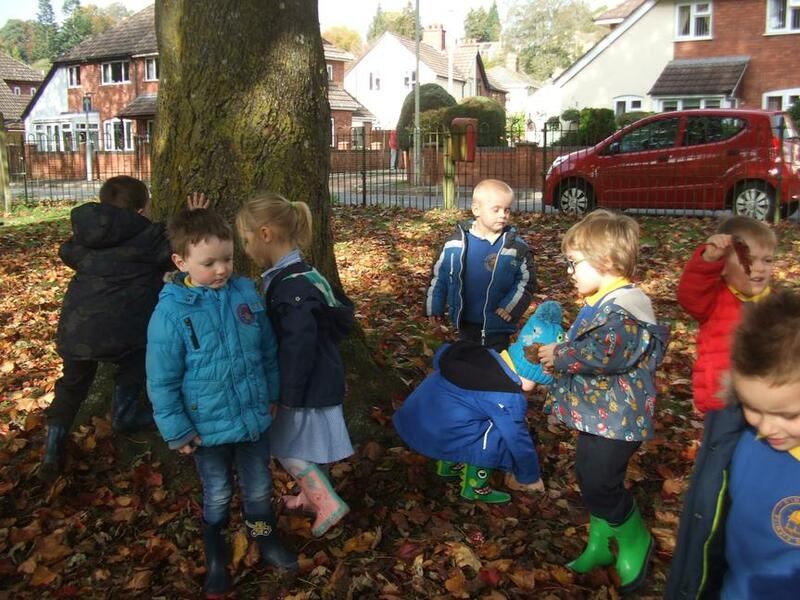 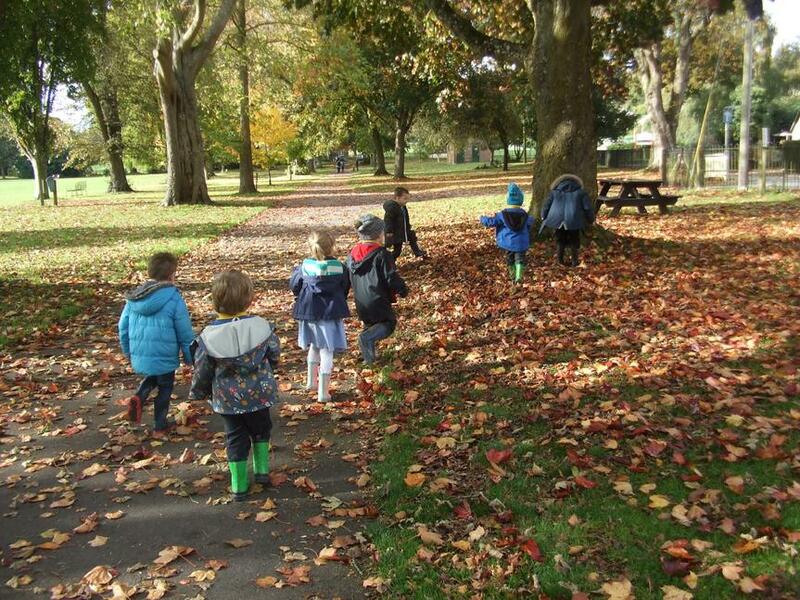 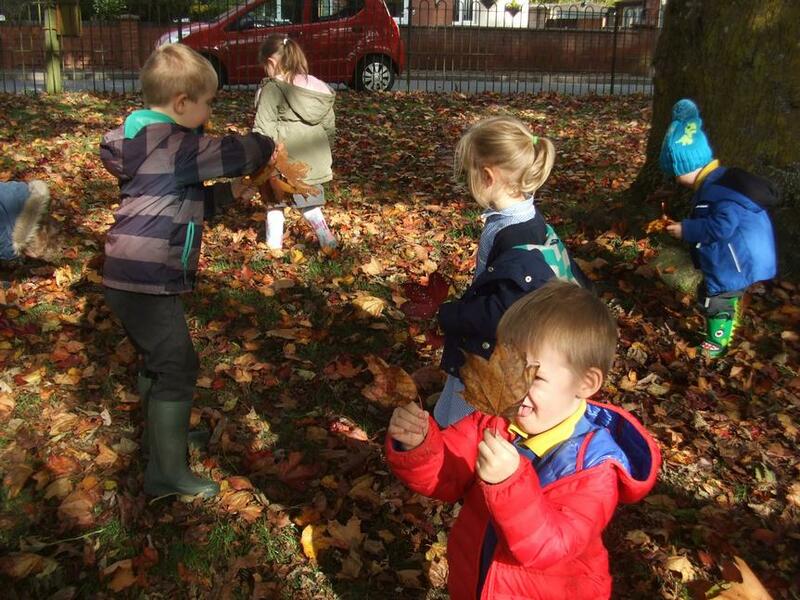 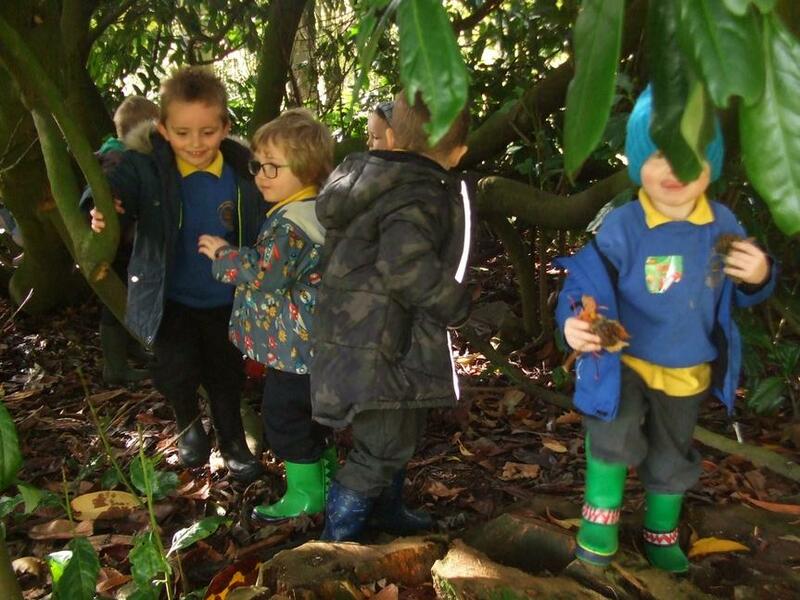 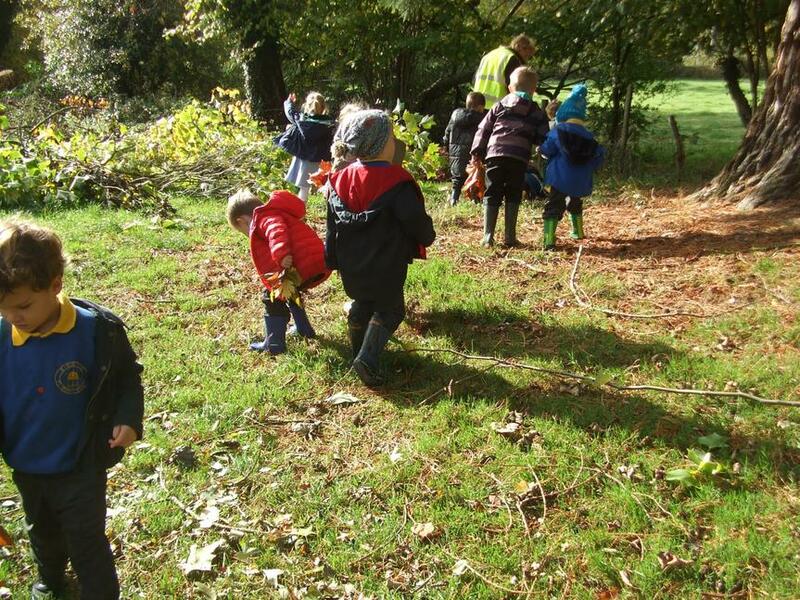 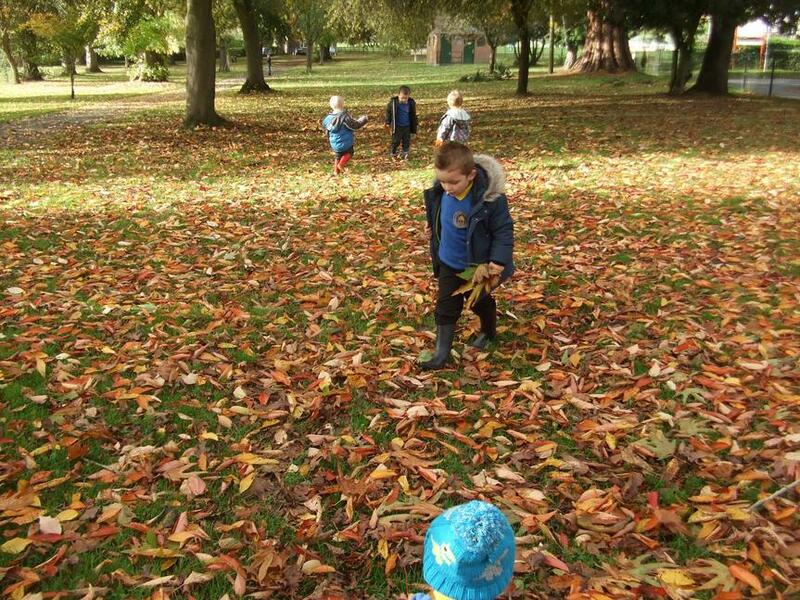 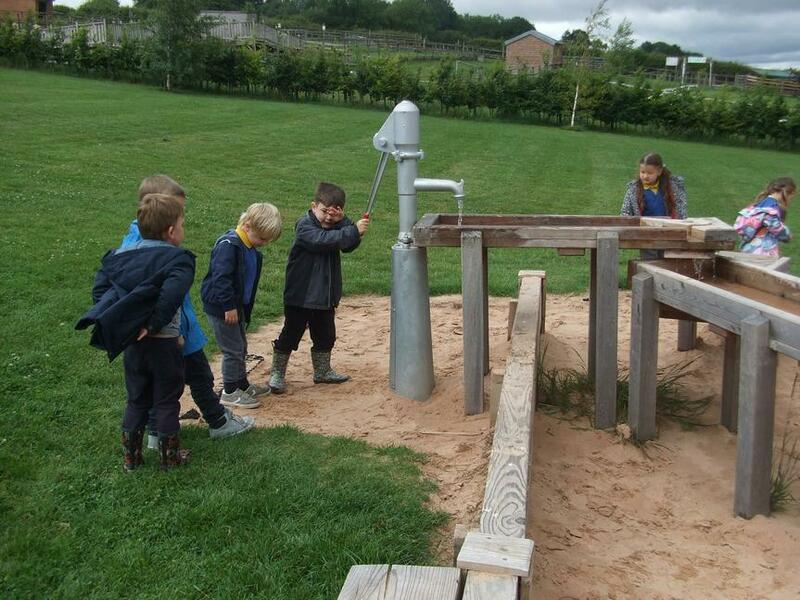 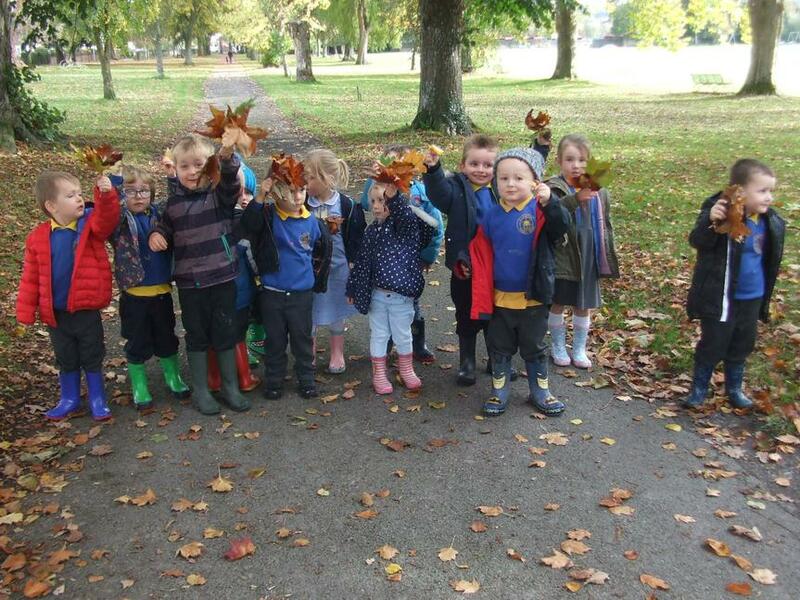 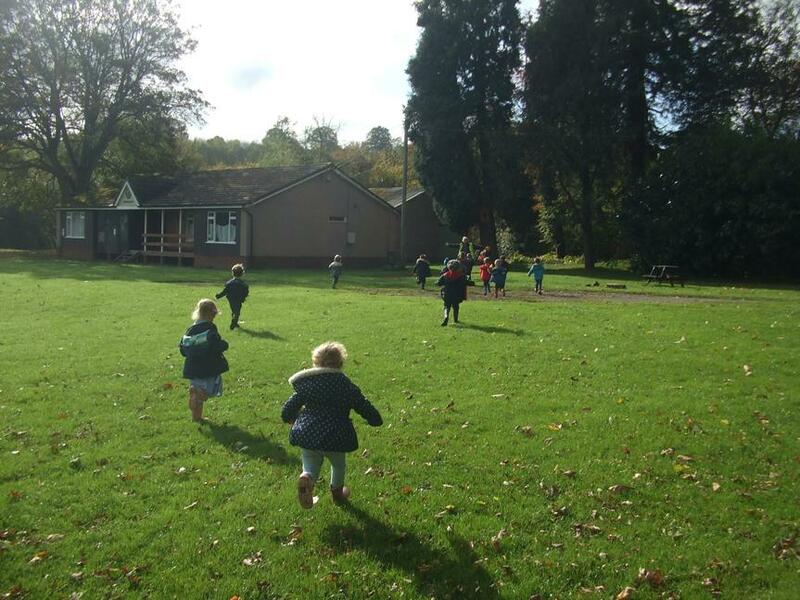 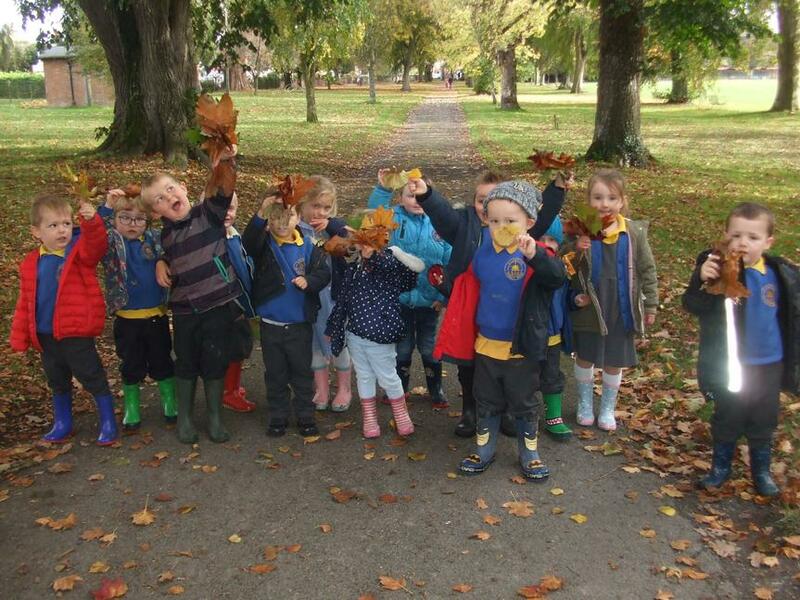 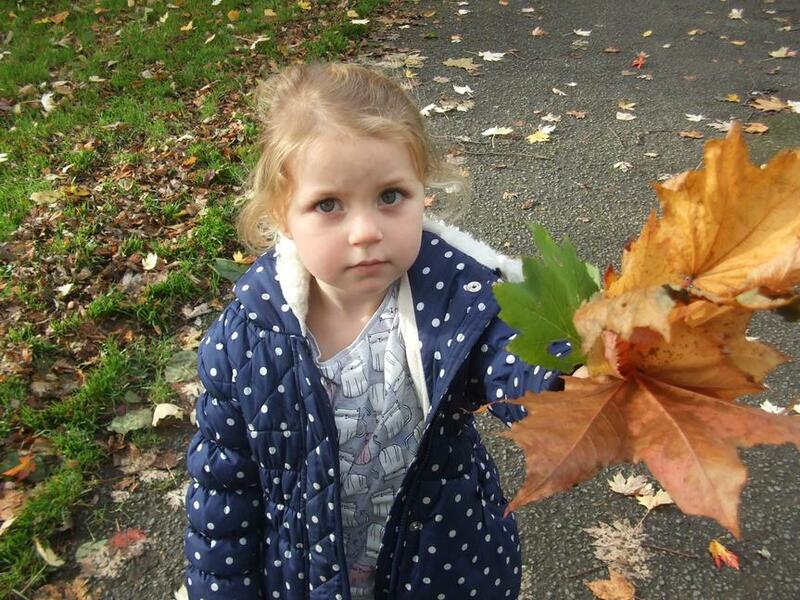 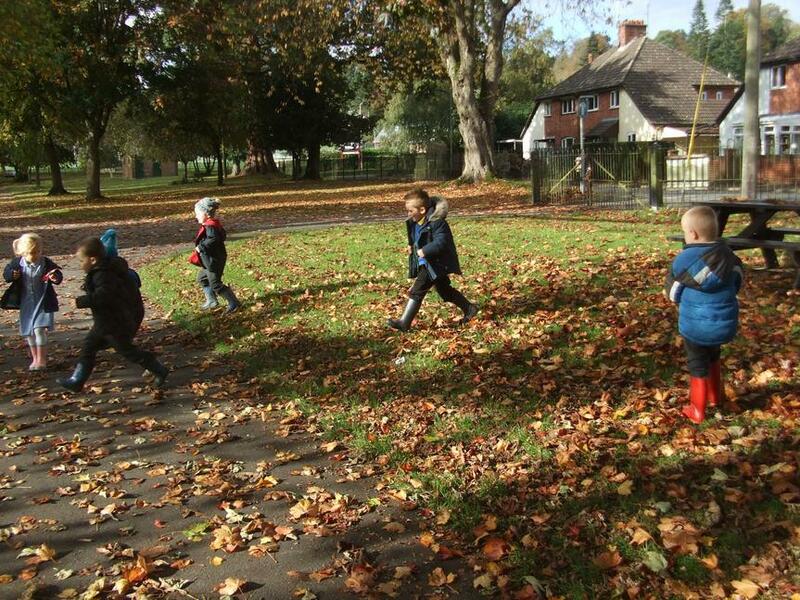 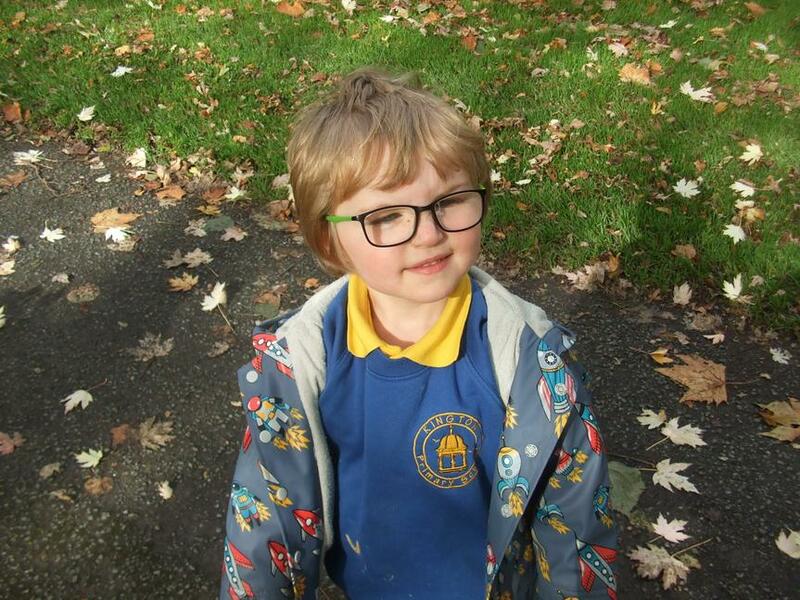 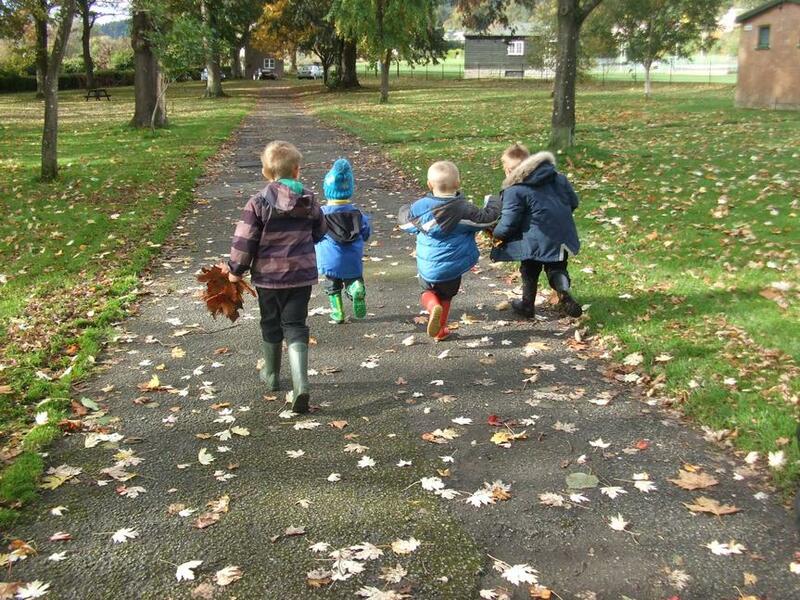 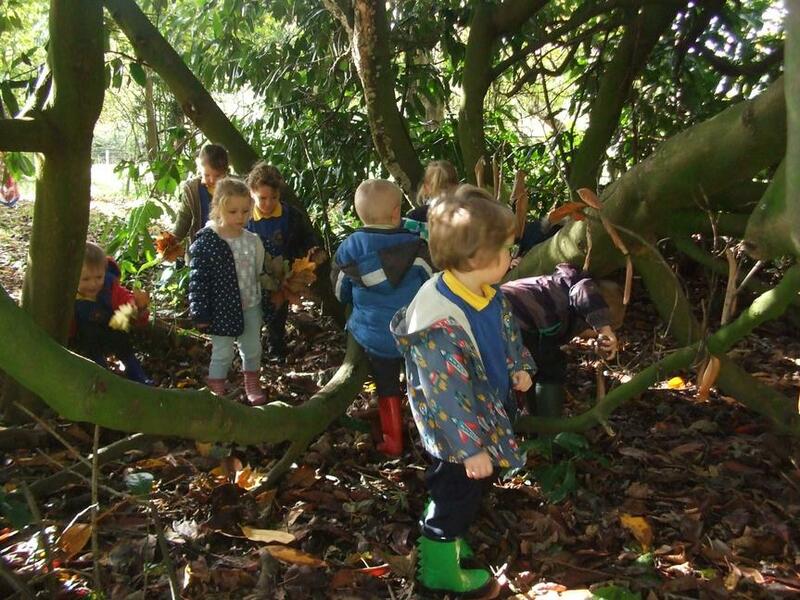 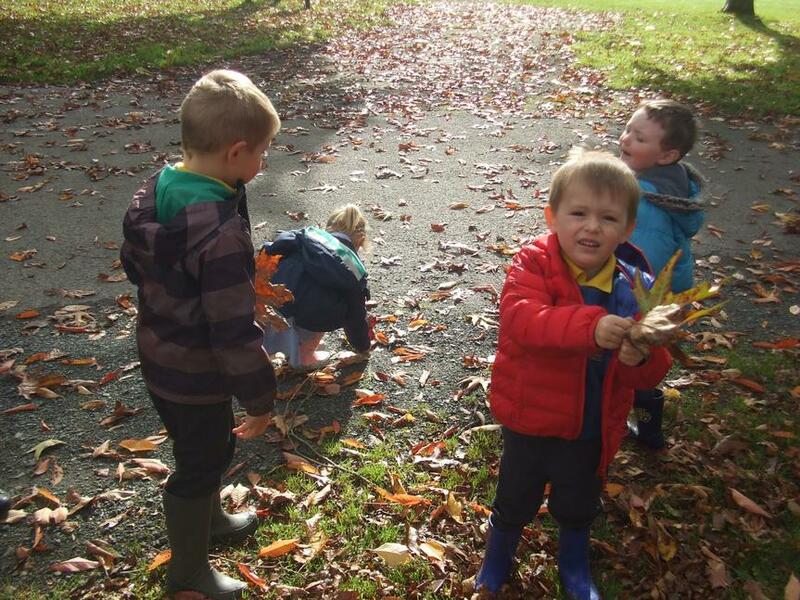 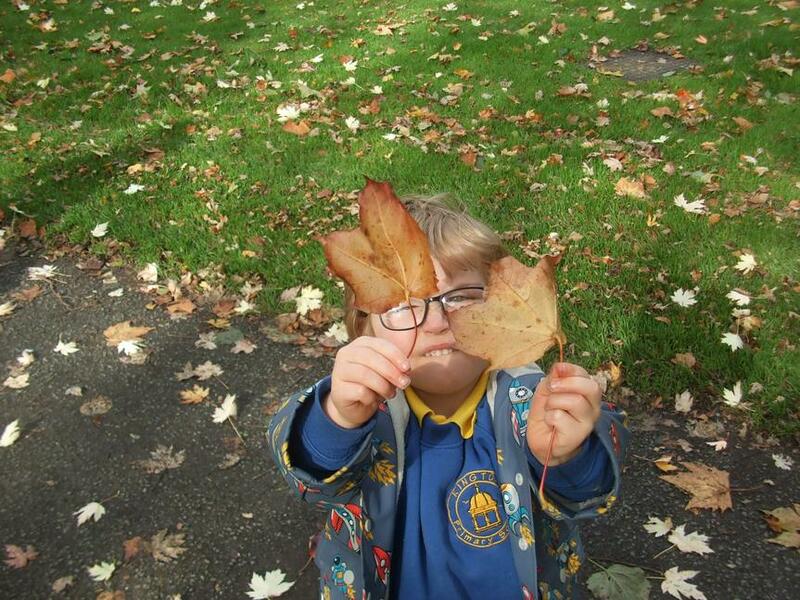 Our Morning Class went on a 'welly walk' down to the Rec to look for signs of Autumn. 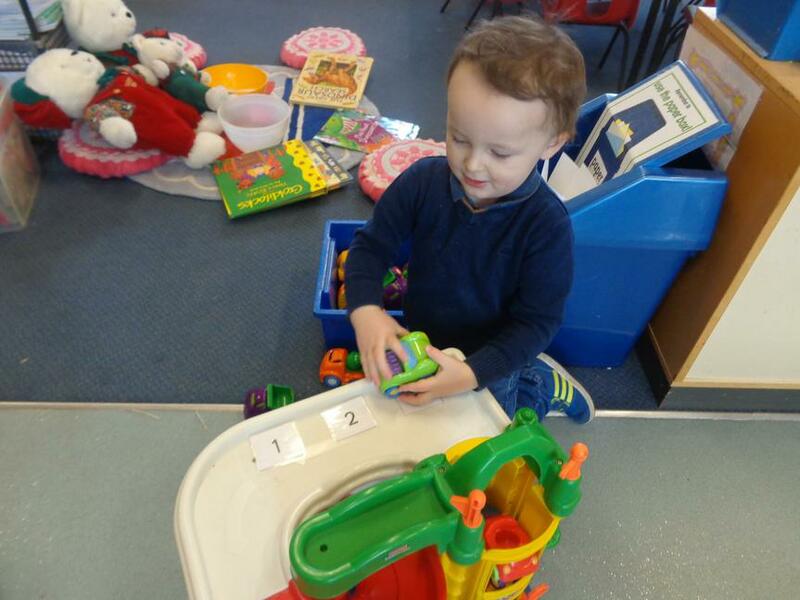 We are settling back into Nursery. 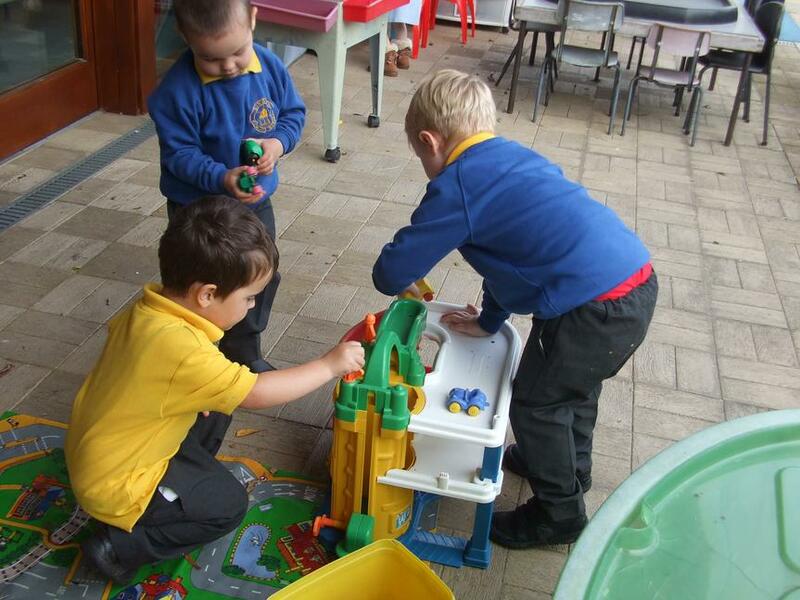 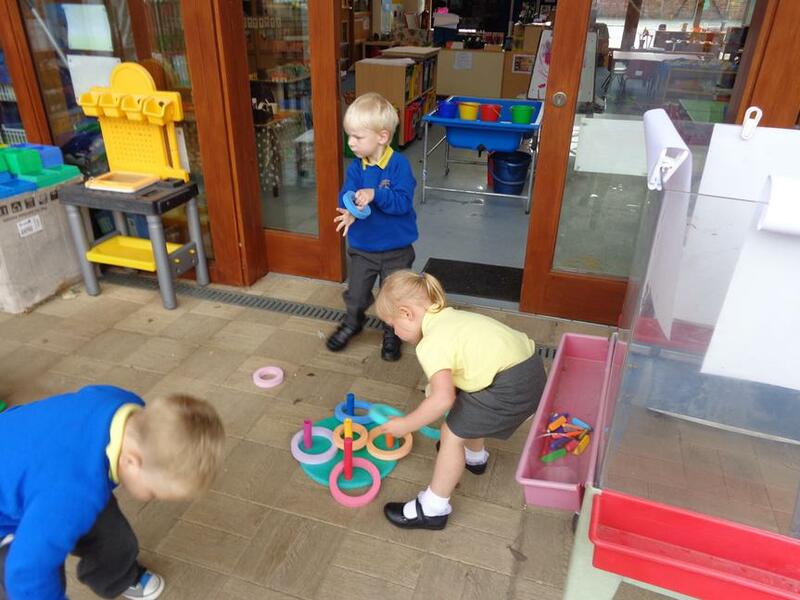 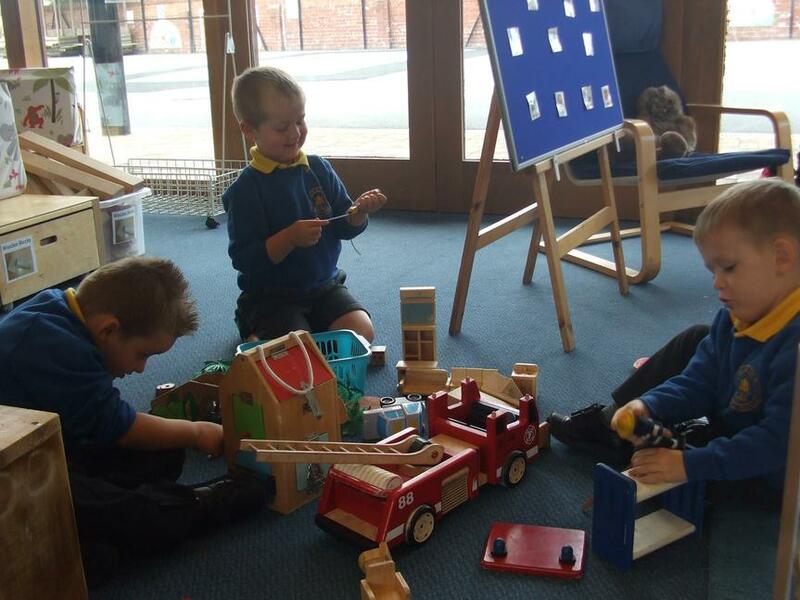 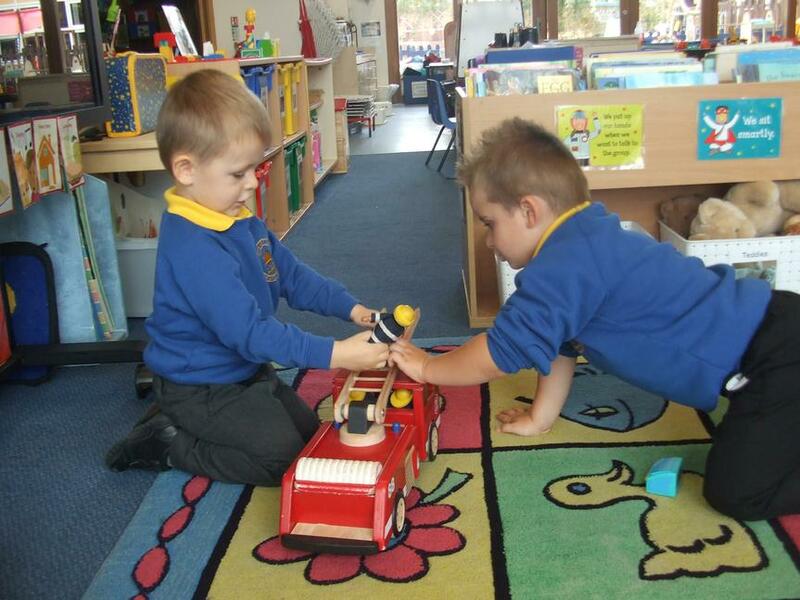 We are having lots of fun making friends and playing with all the toys! 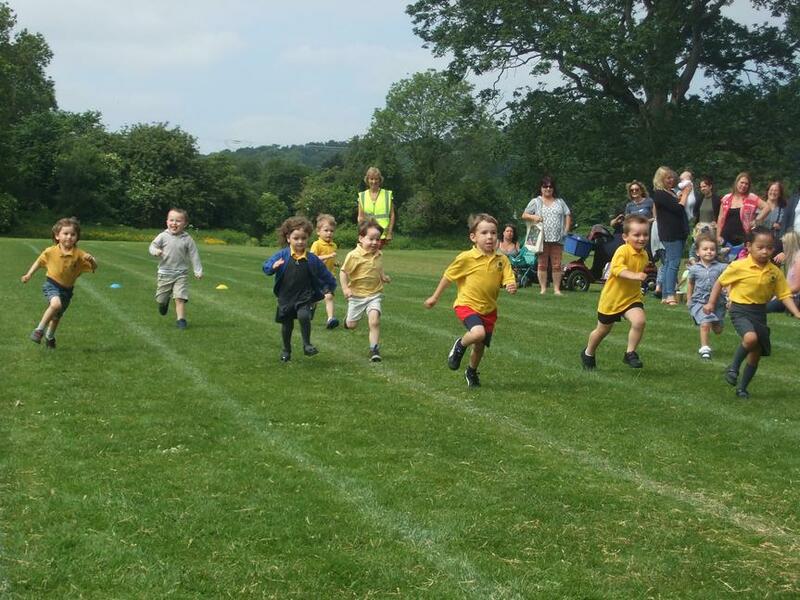 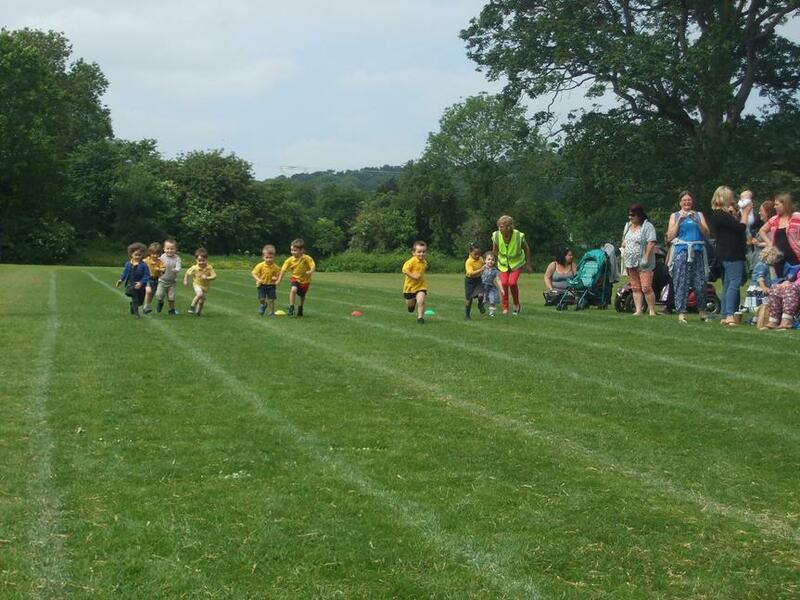 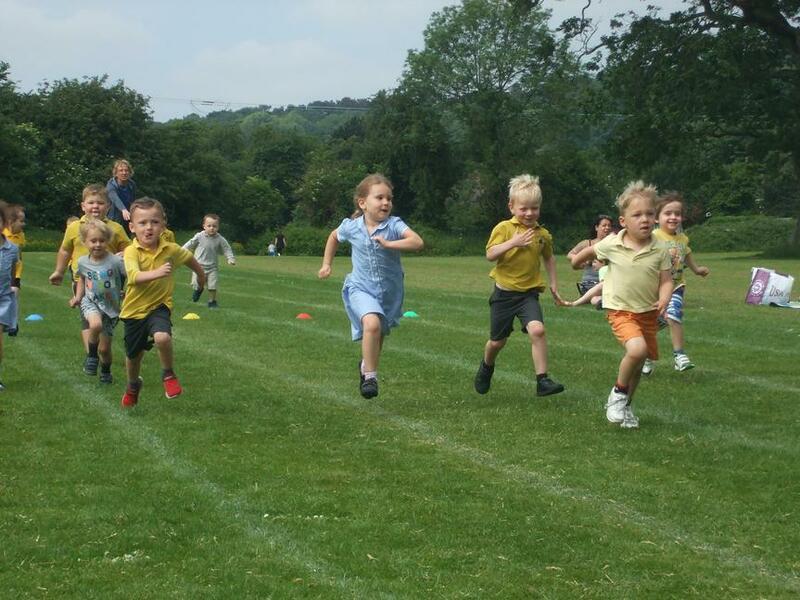 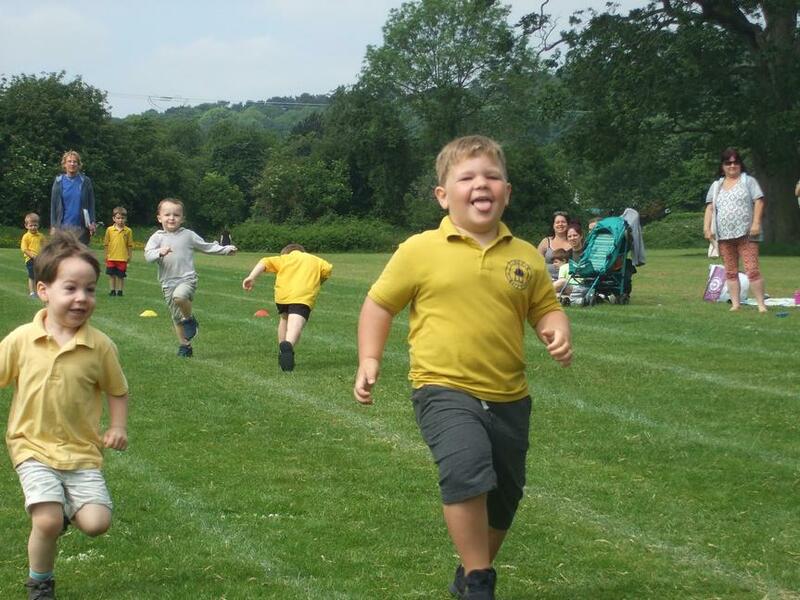 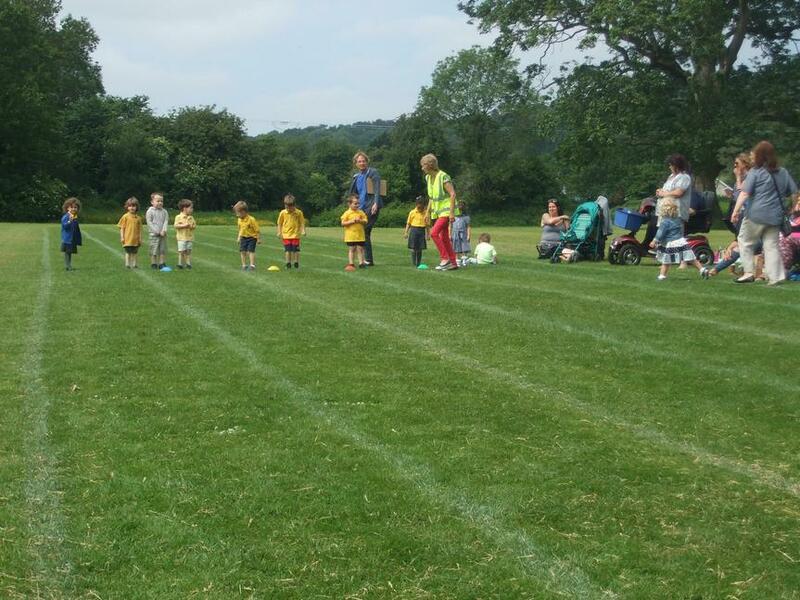 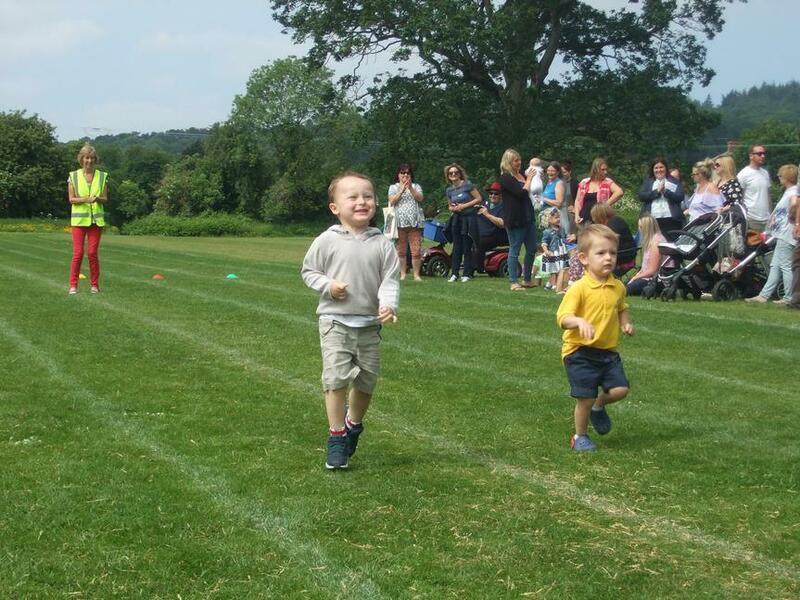 We had good fun at Sports Day today and we all ran 'like the wind'. 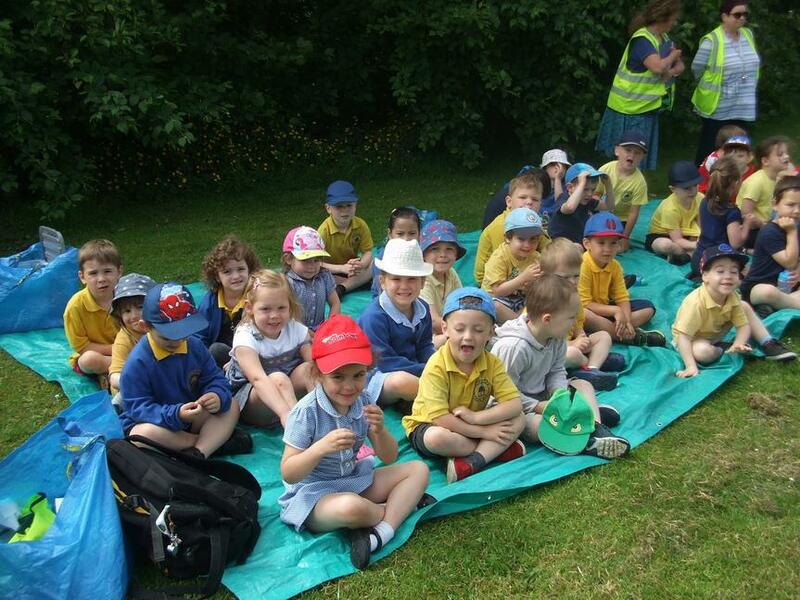 Here are a few photos of us. 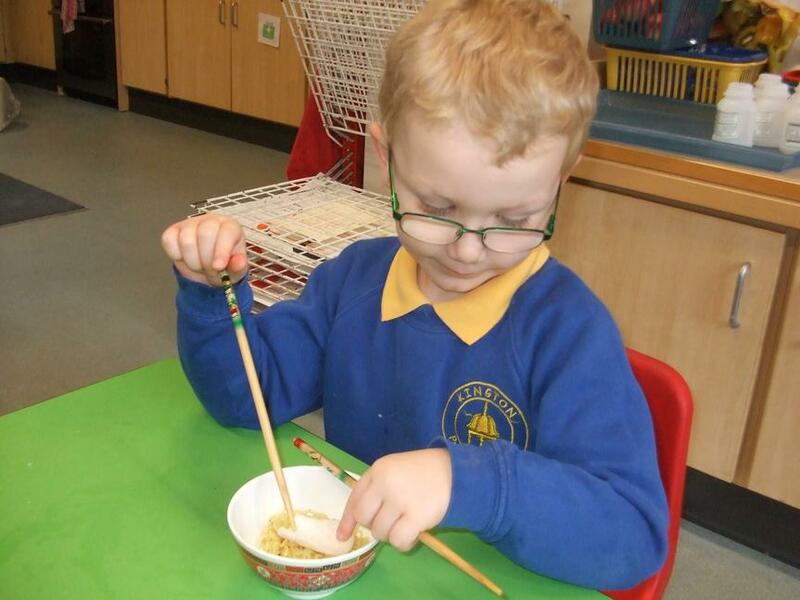 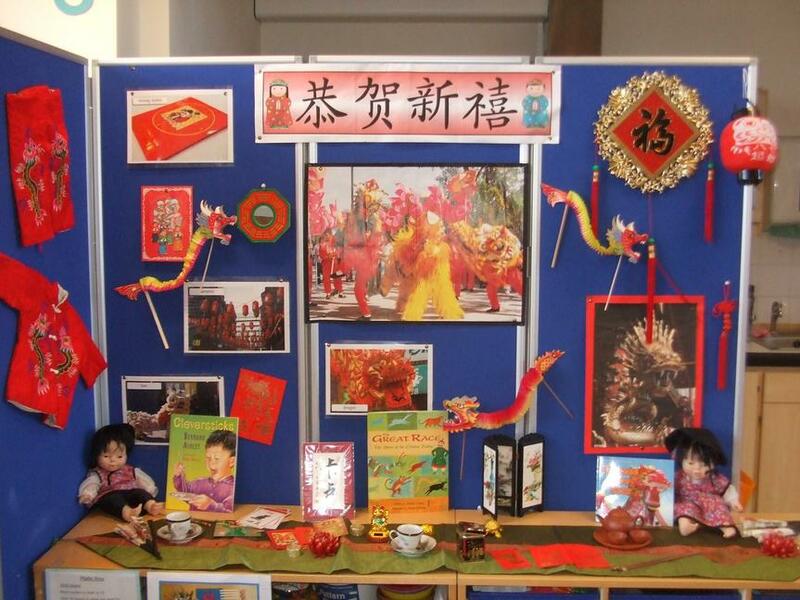 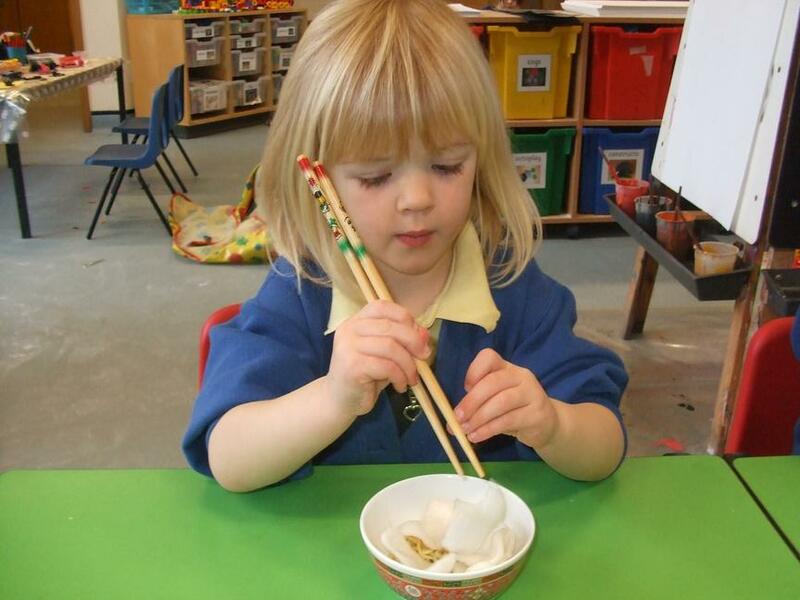 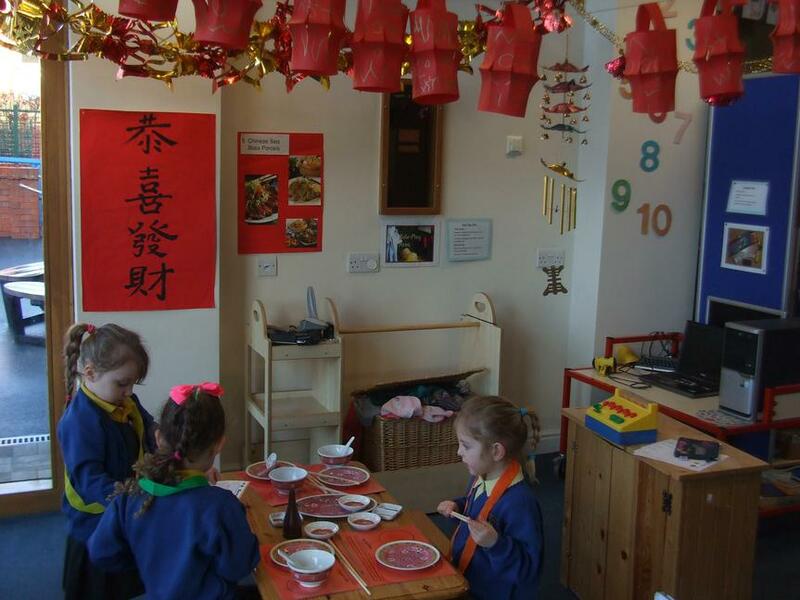 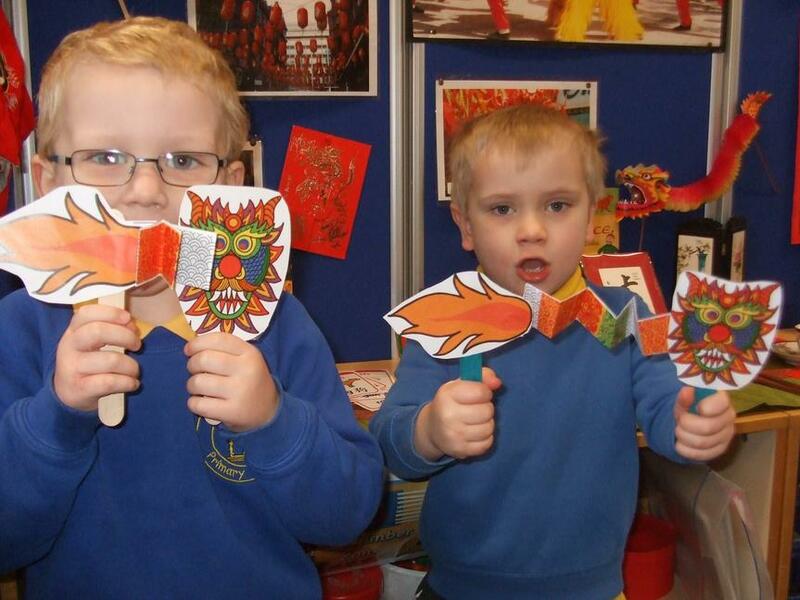 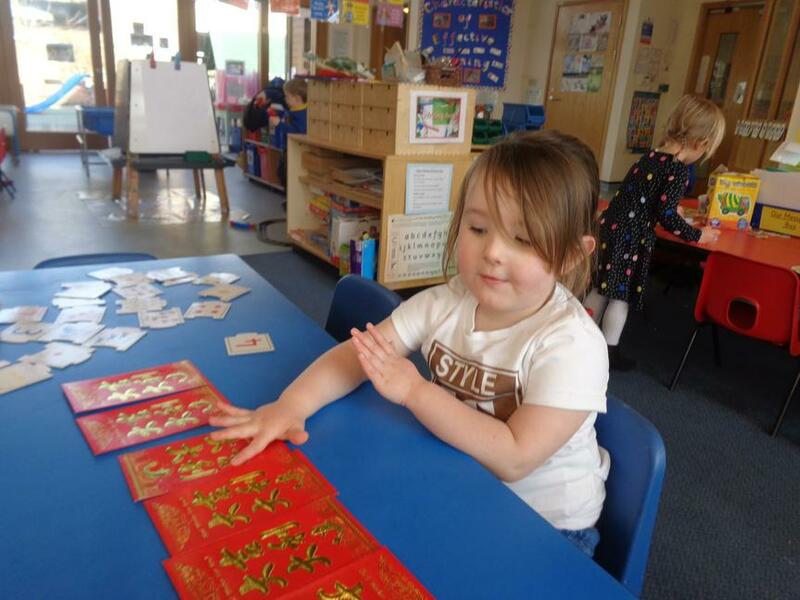 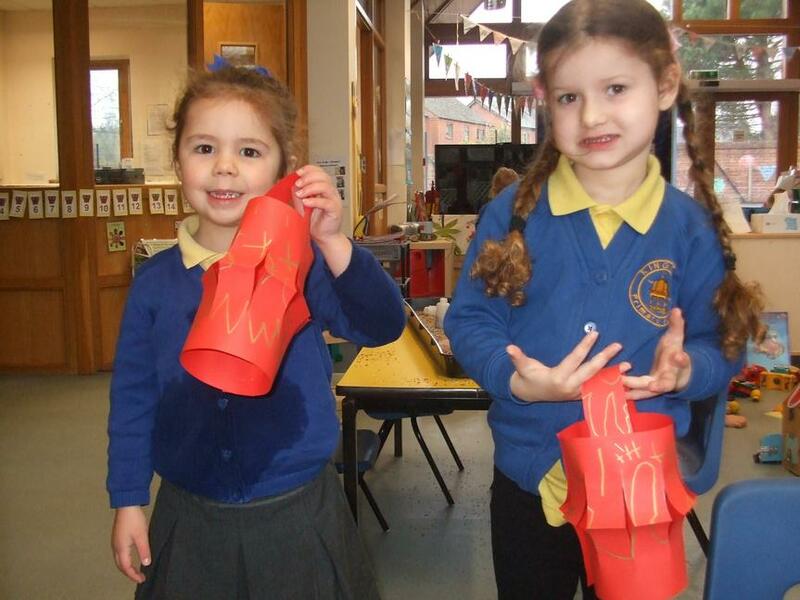 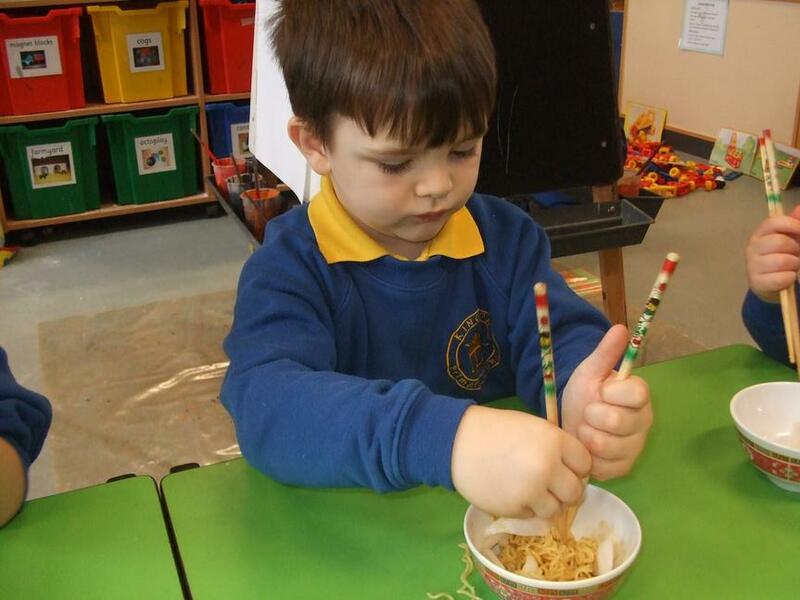 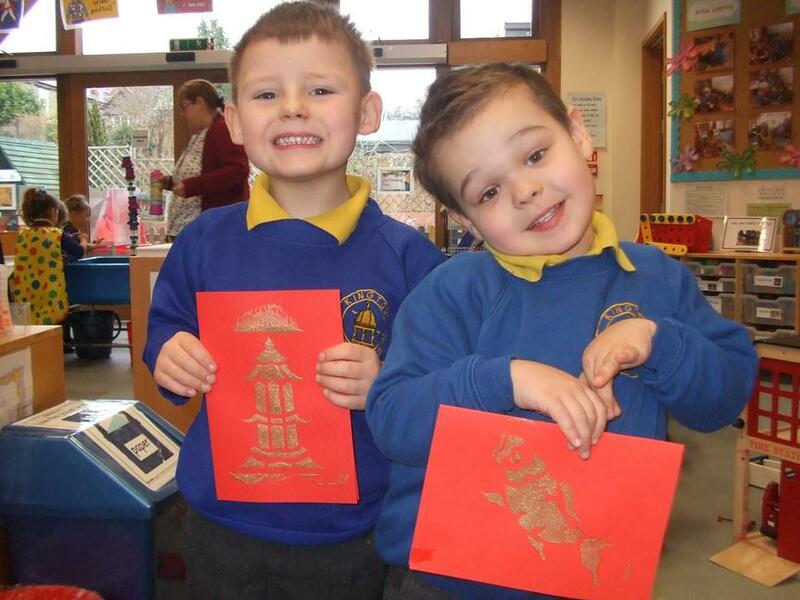 We celebrated Chinese New Year by playing with woolly noodles, counting lucky envelopes and eating Fortune Cookies. 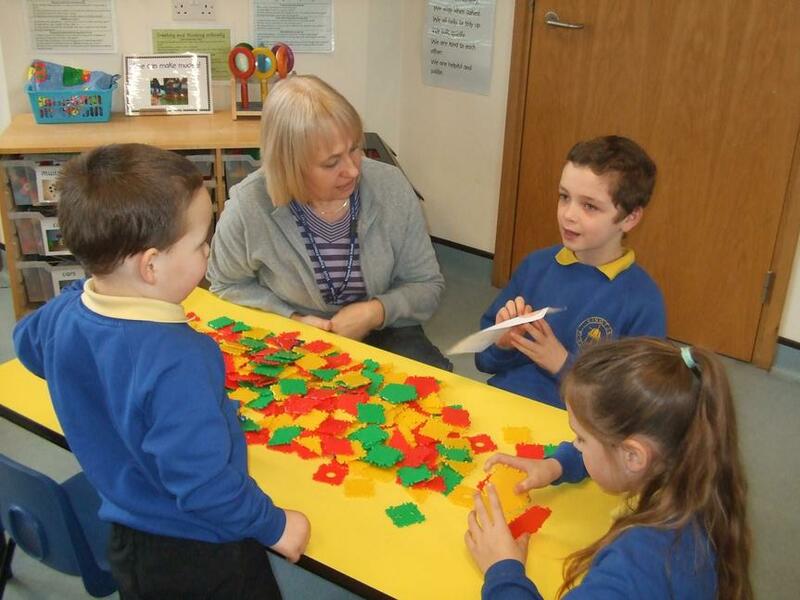 Thank you to all the parents and grandparents who were able to join us for our maths workshop. 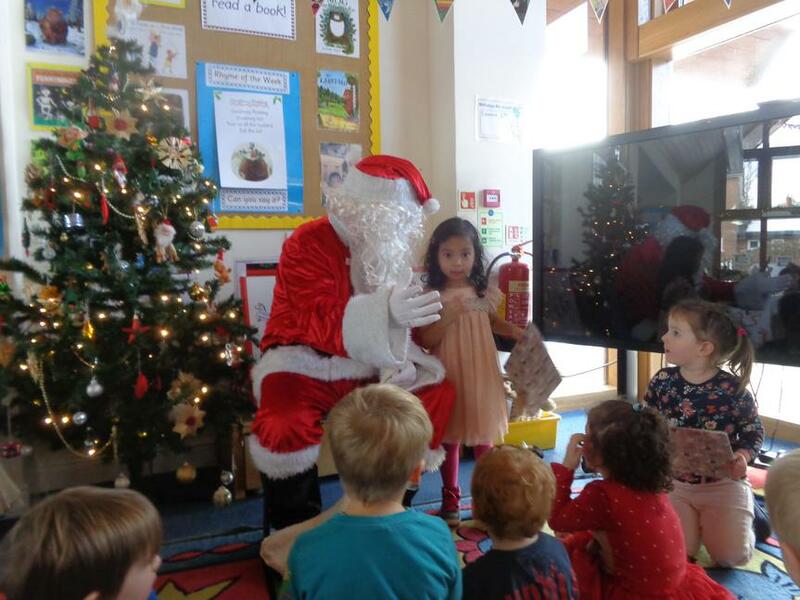 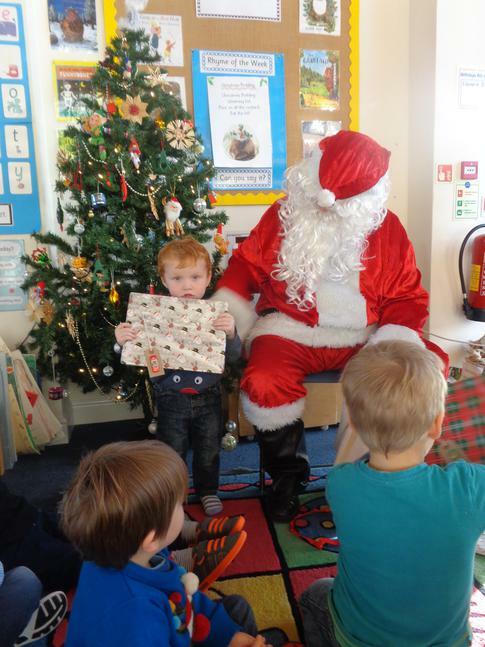 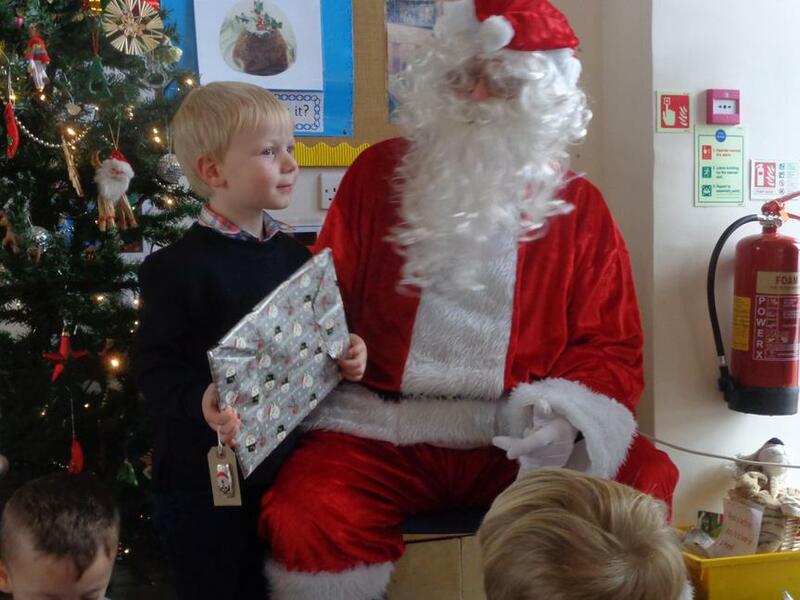 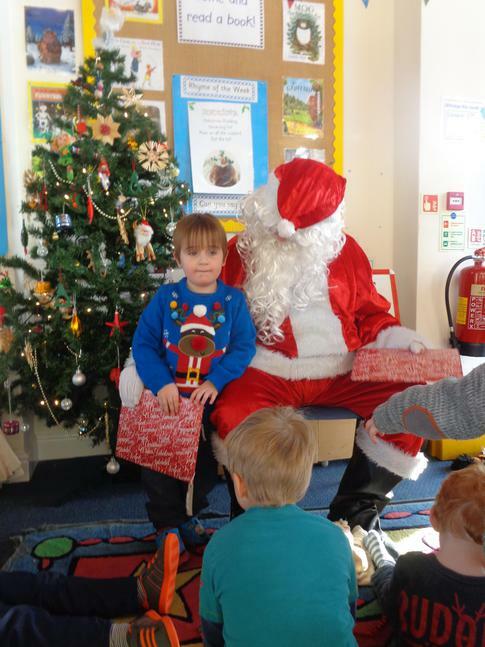 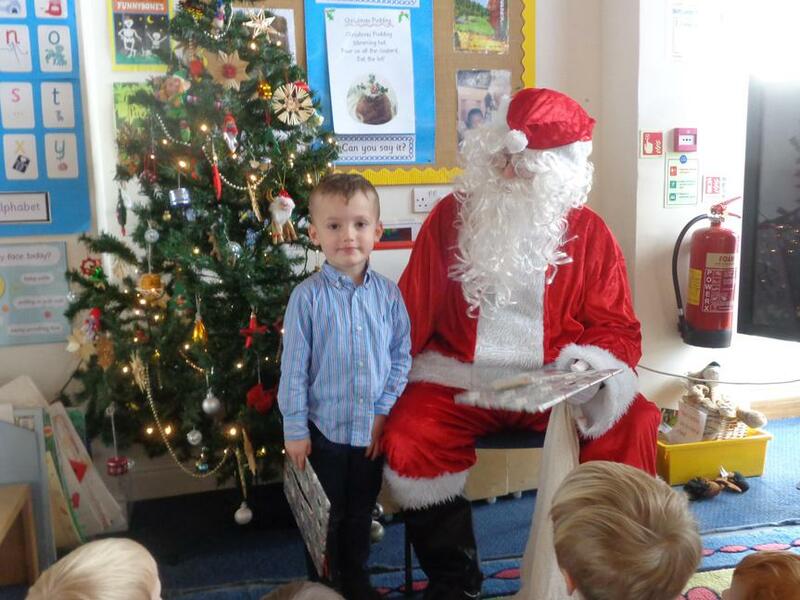 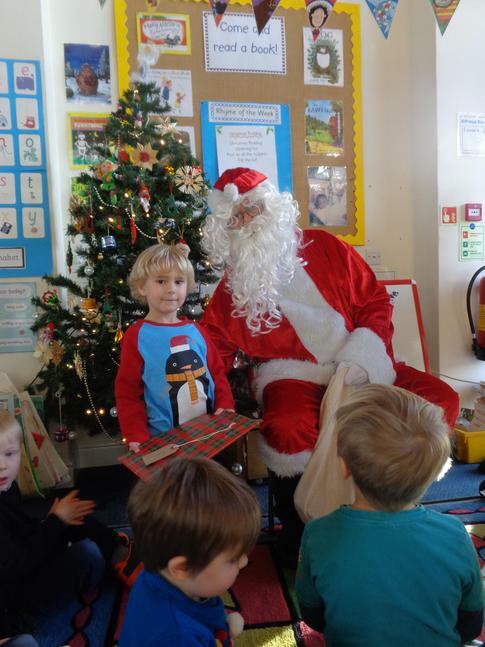 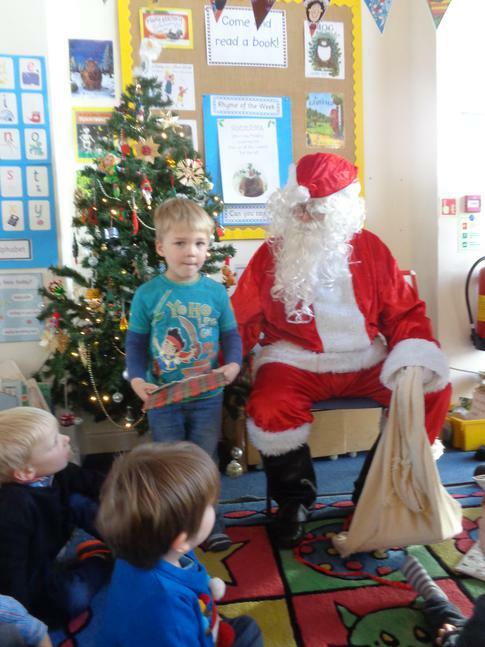 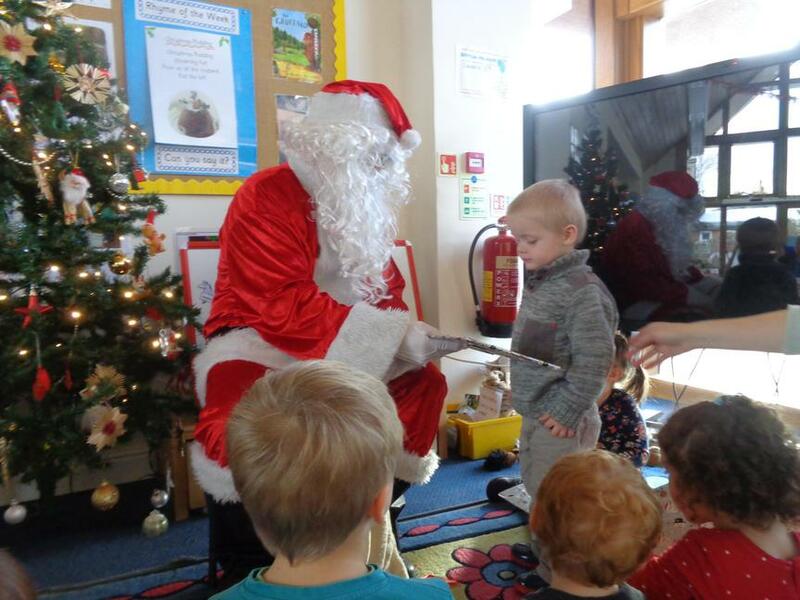 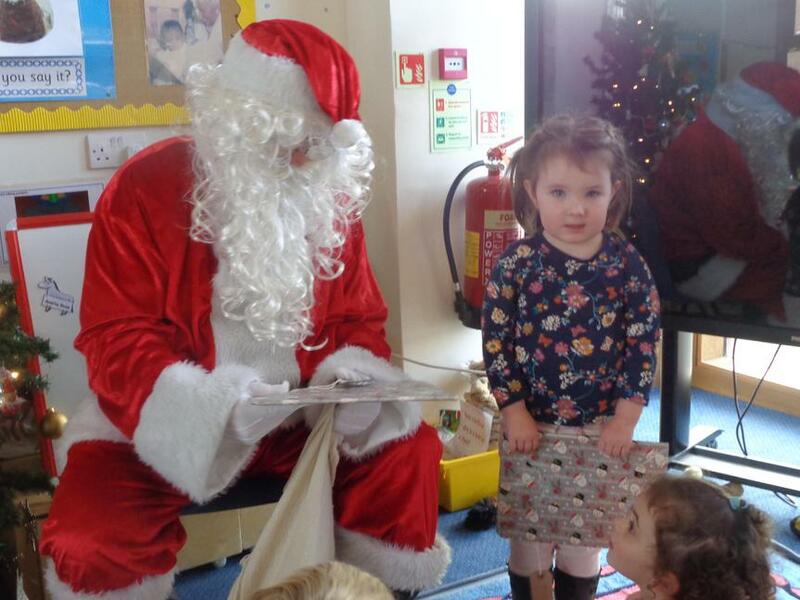 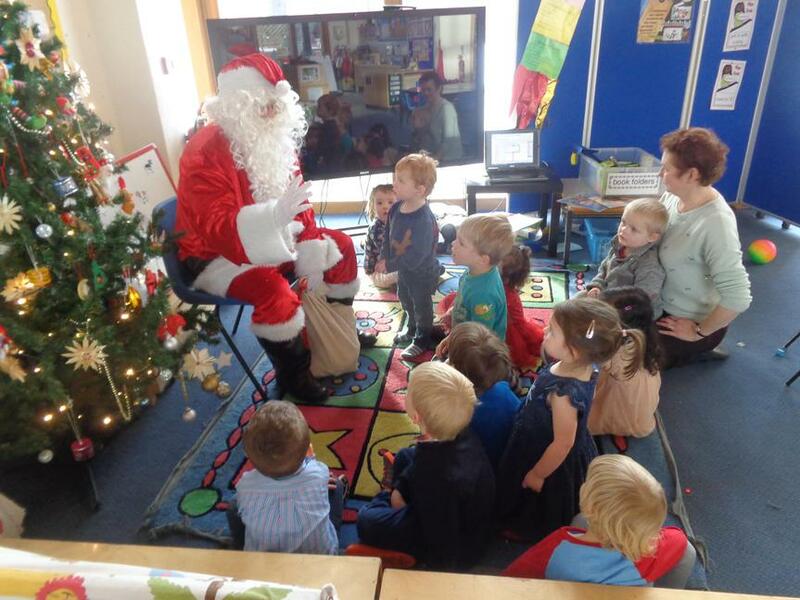 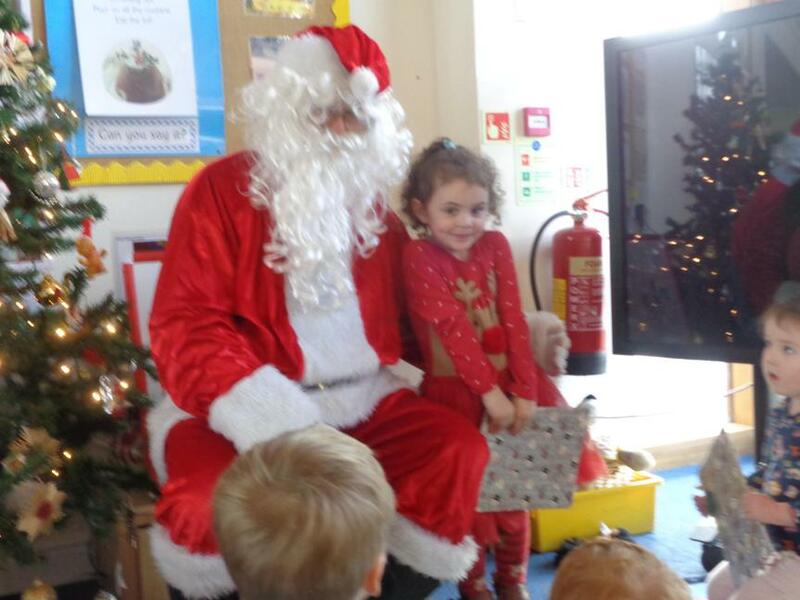 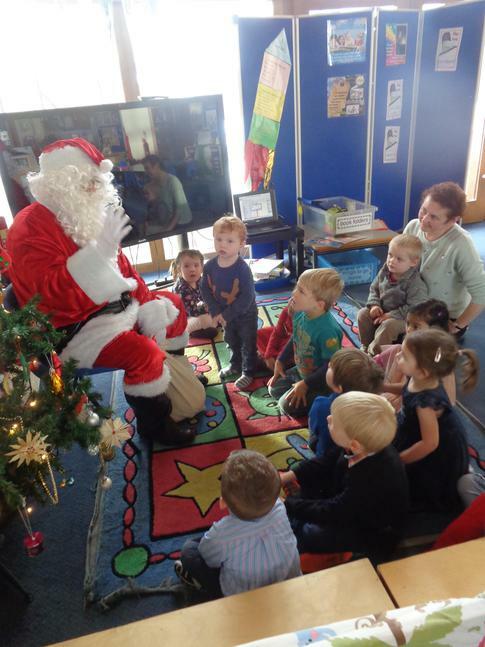 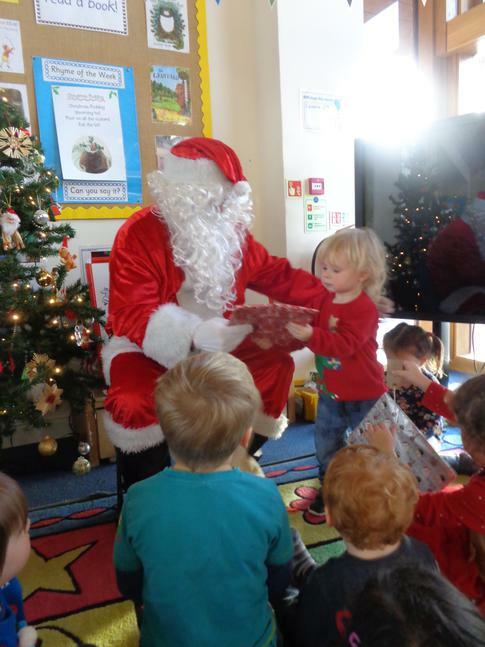 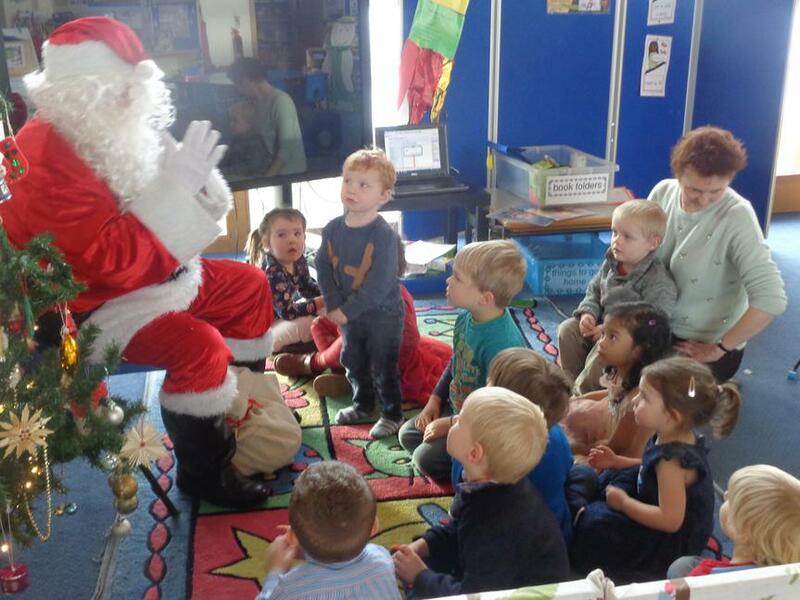 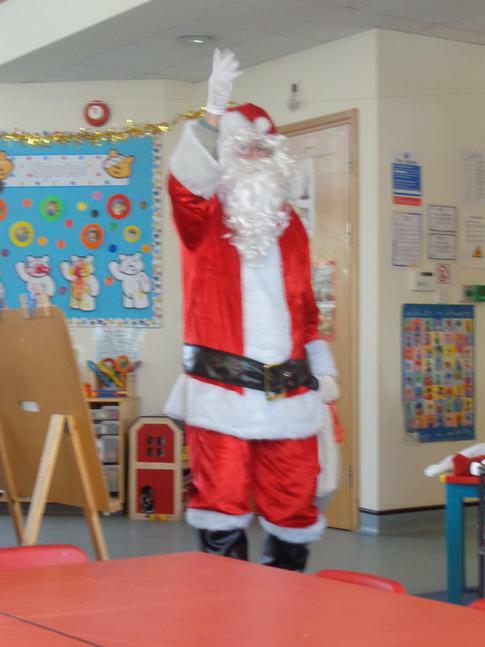 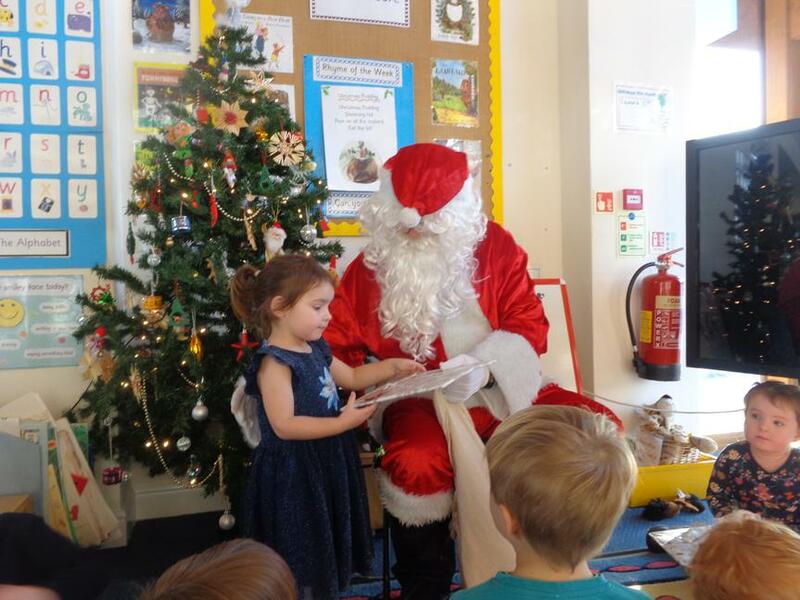 We had a lovely time at our Christmas party we even had a surprise visit from Father Christmas! 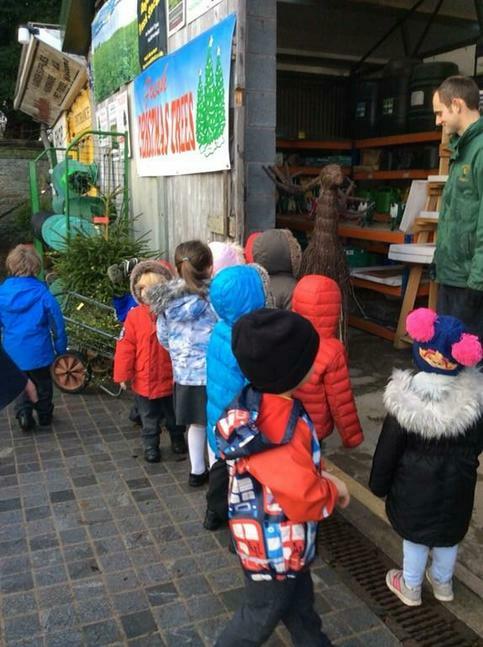 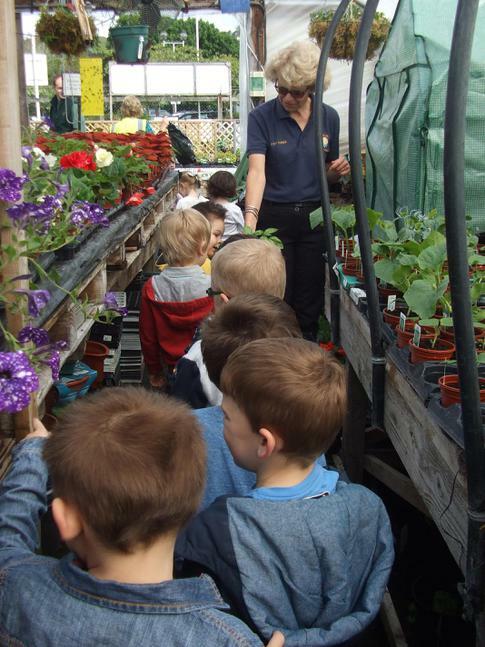 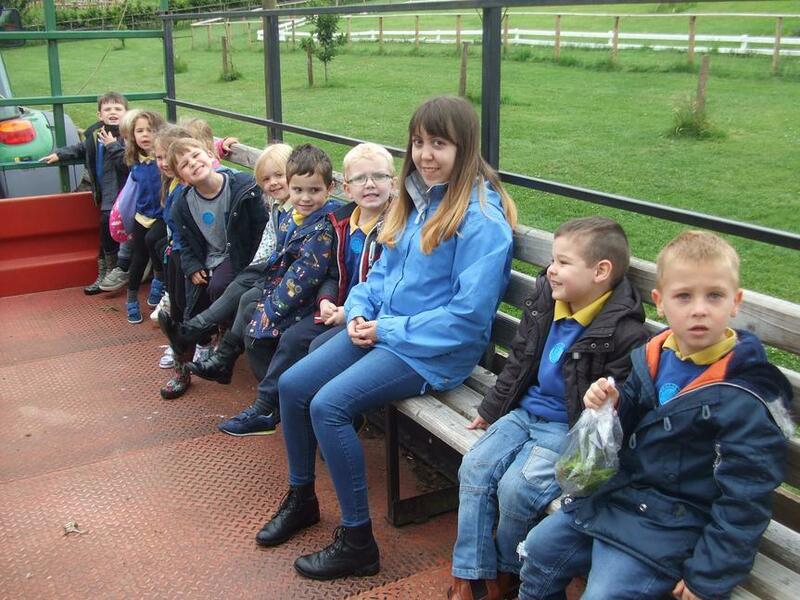 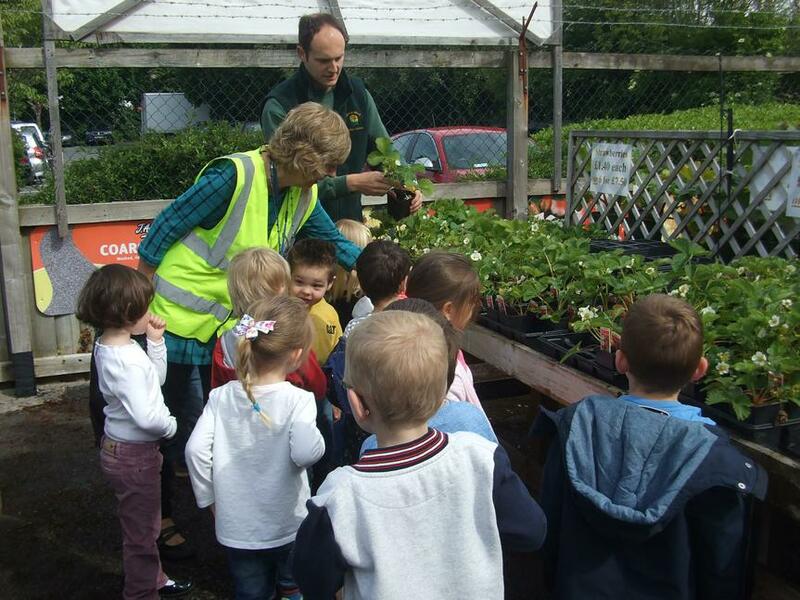 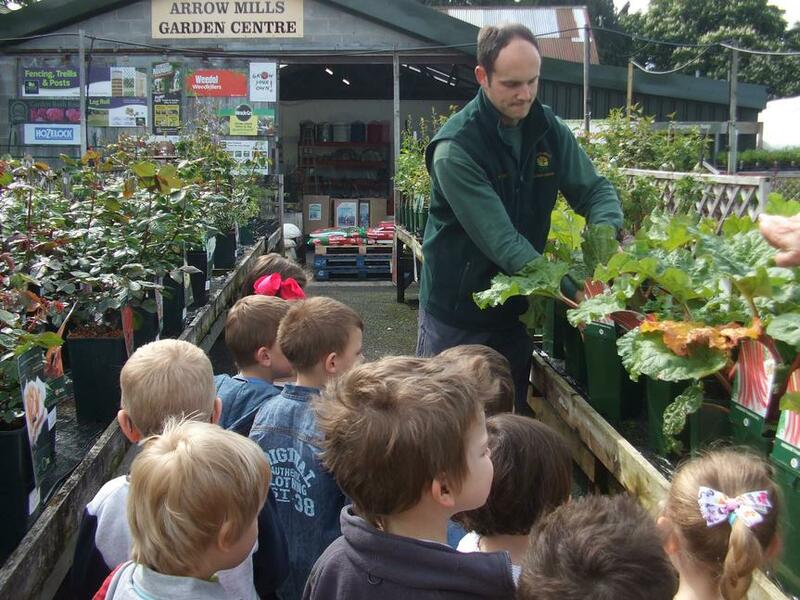 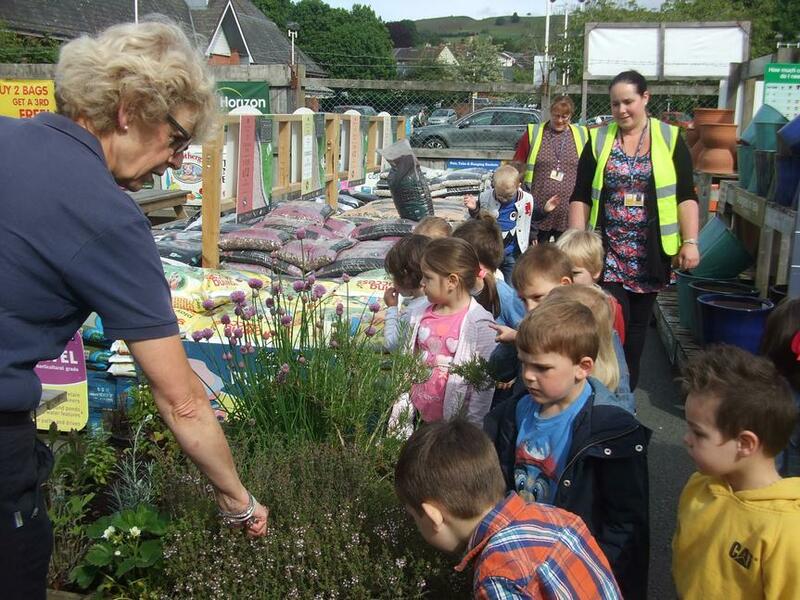 Our topic is Growth- last week we visited Turners' Garden Centre to find out about how they grow all their plants and trees. 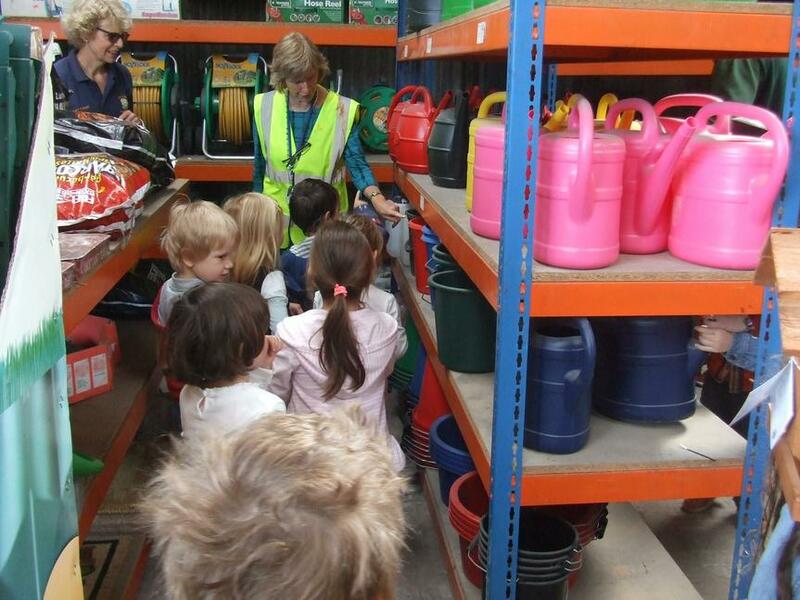 Mr and Mrs Turner showed us the plants in their tunnels and all the other products they sell. 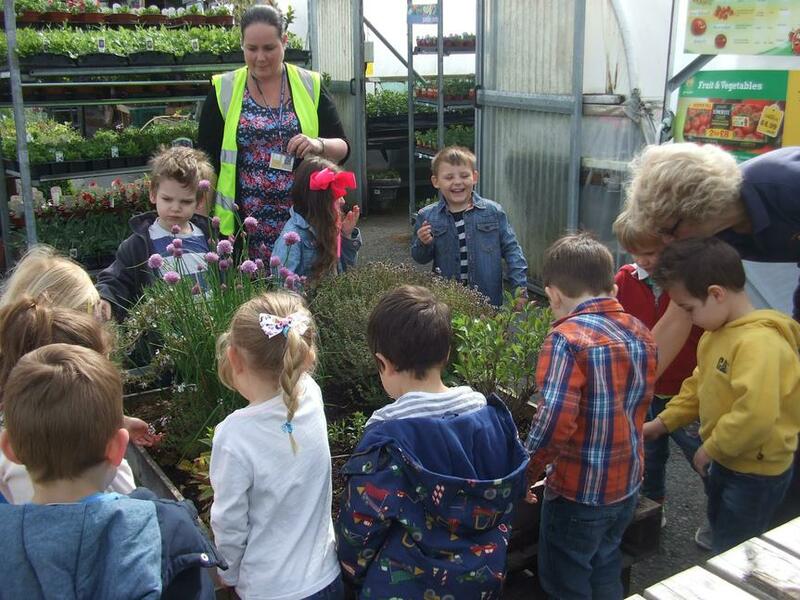 We chose a lavender bush to plant in our sinks in the nursery garden. 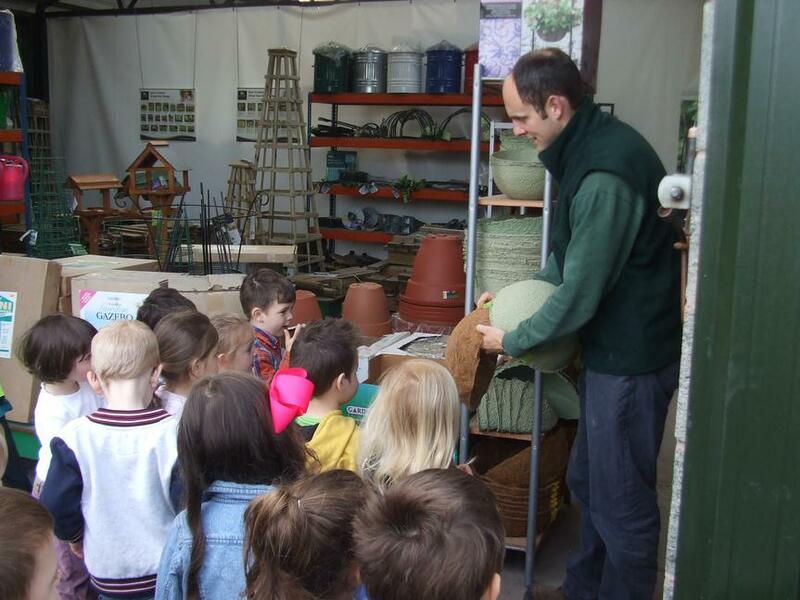 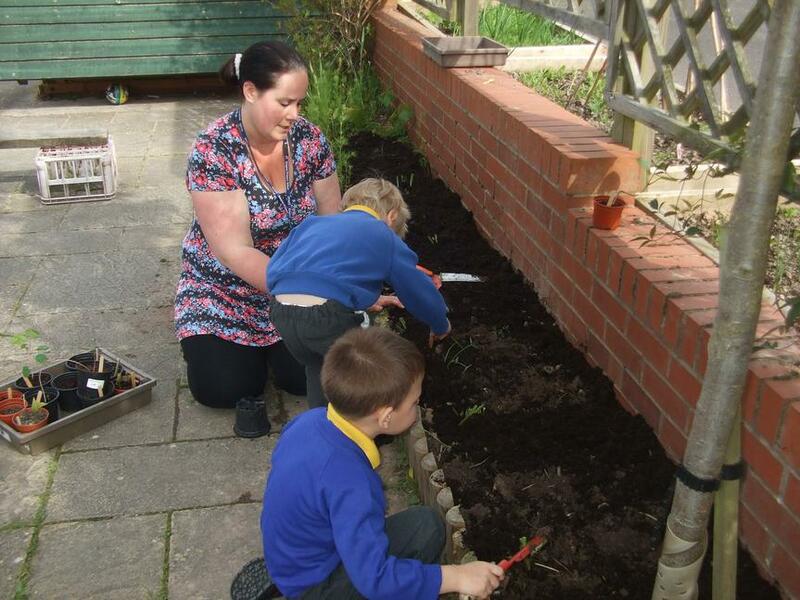 They gave each child a plant pot and sunflower seed to grow a sunflower at home. 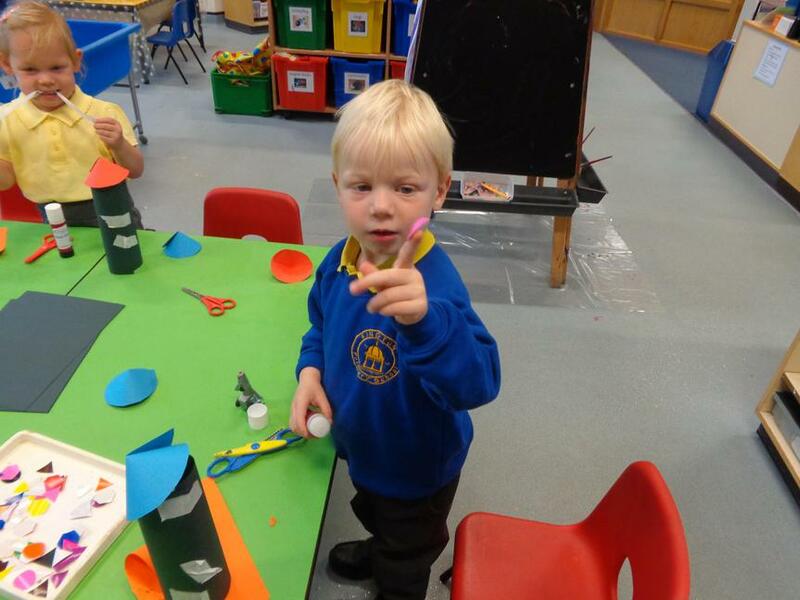 We will have a competition to see who can grow the tallest sunflower.Thank you for telling us all about the plants. 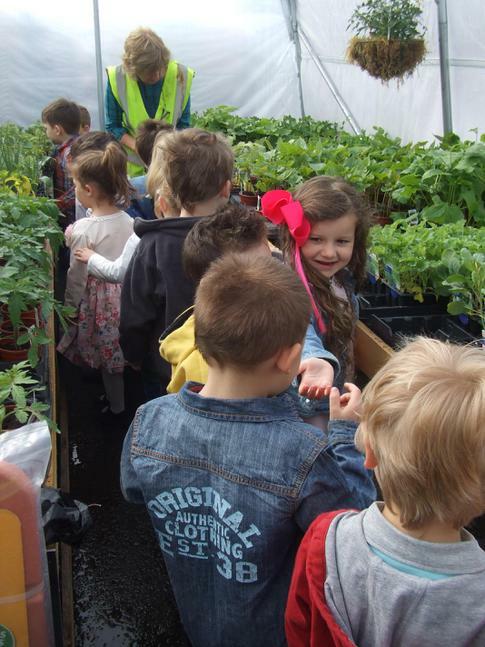 Happy growing time! 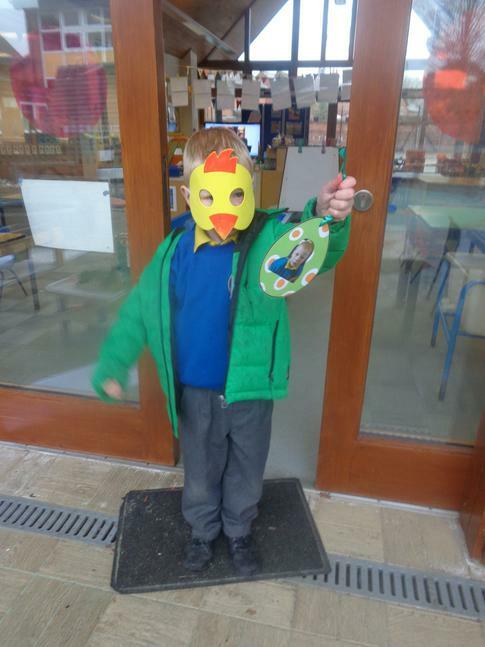 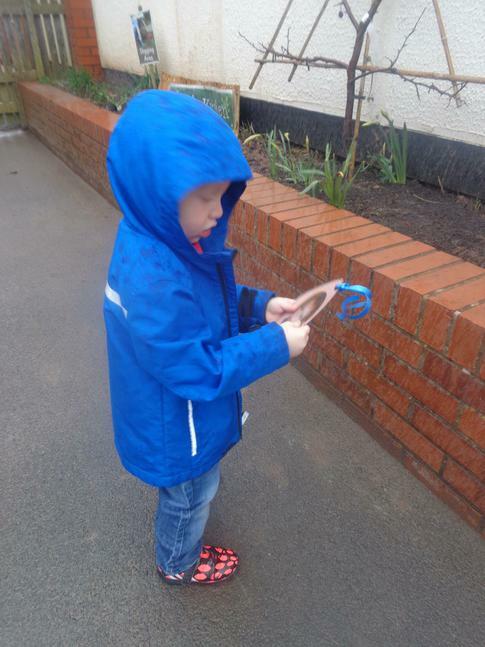 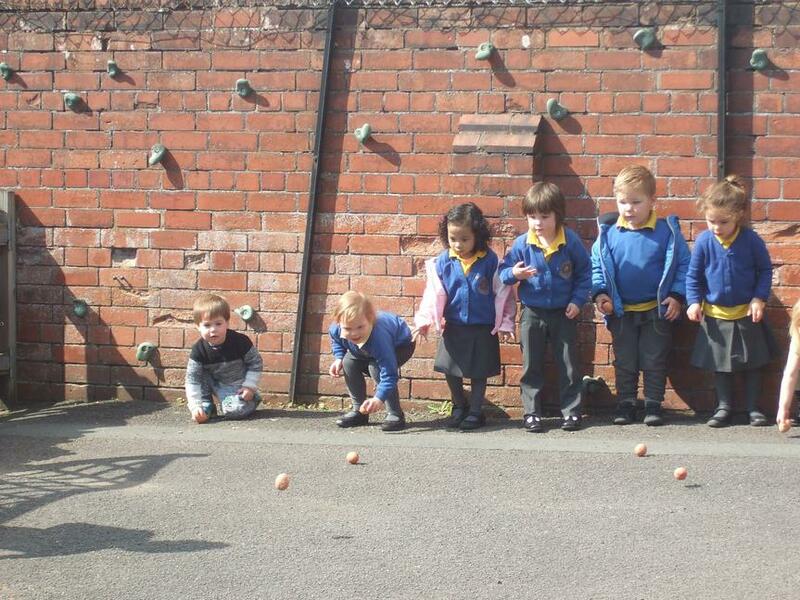 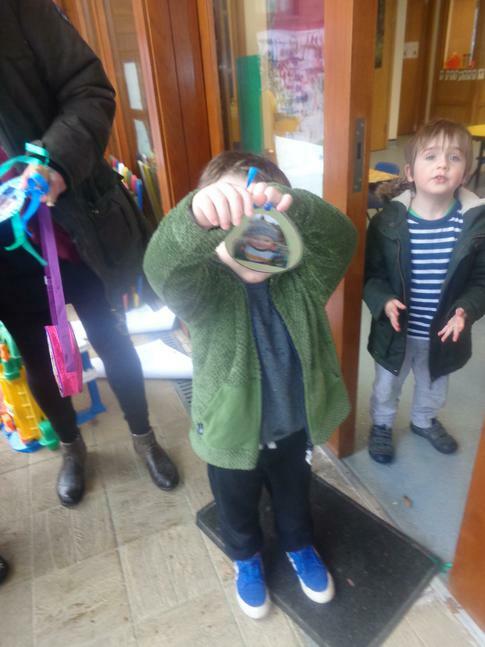 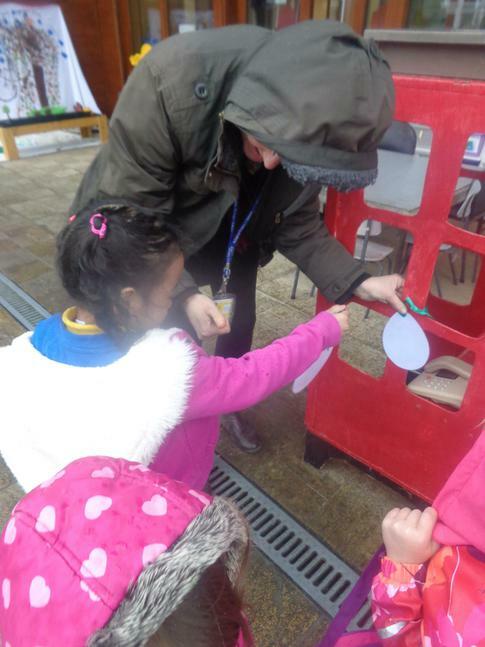 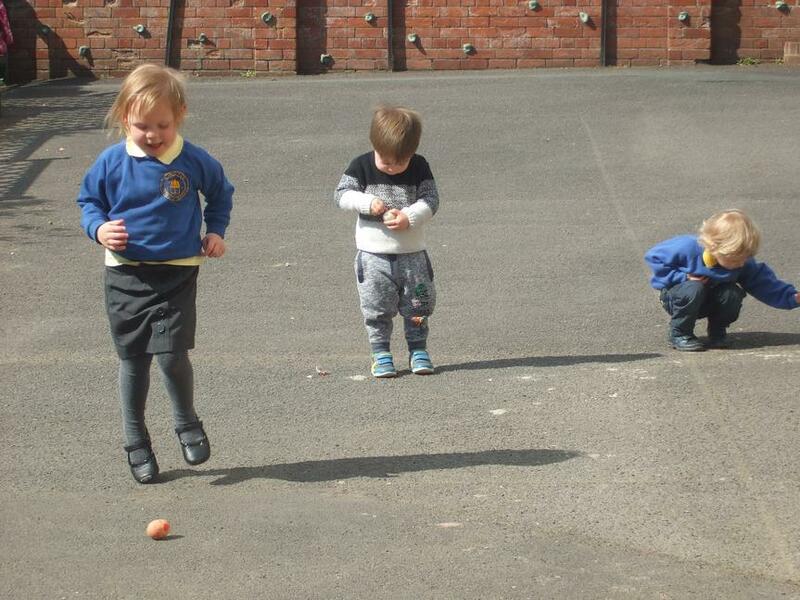 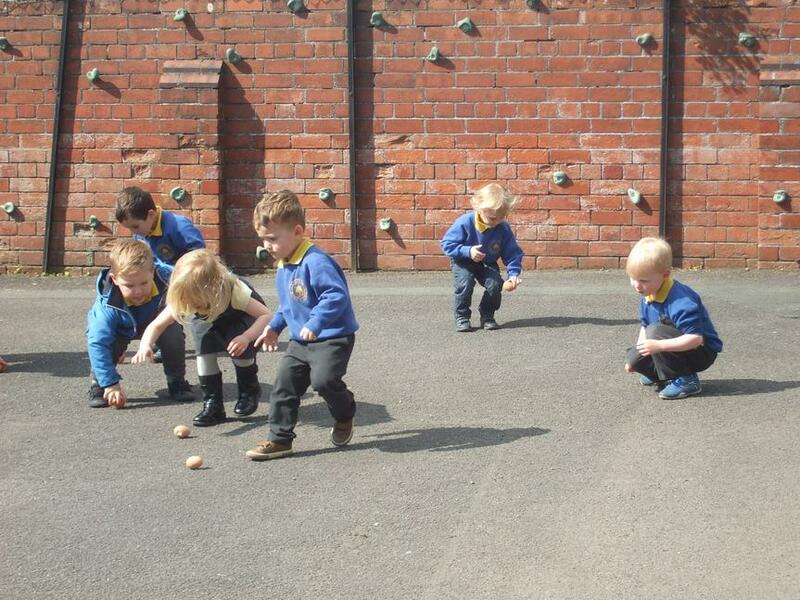 We celebrated Easter by making delicious Easter nests, we decorated hard boiled eggs and then had our own egg rolling game afterwards we had an egg hunt in the nursery garden. 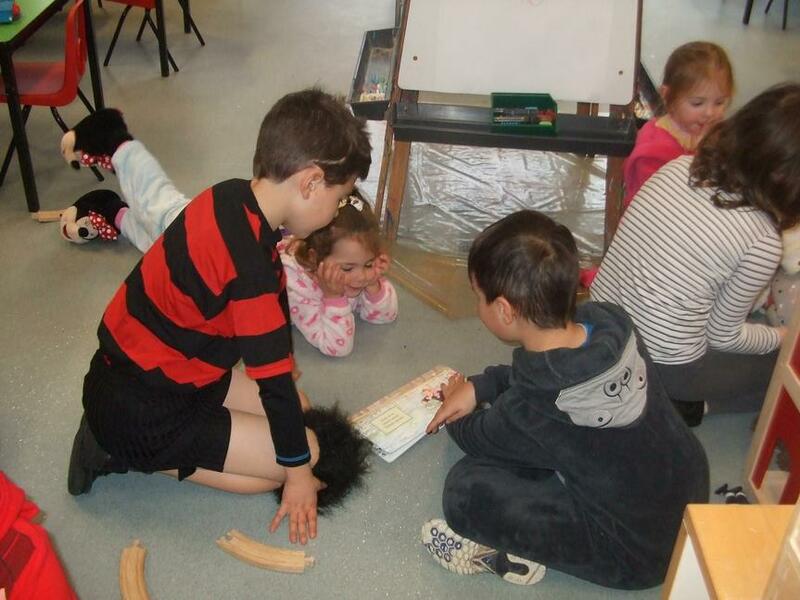 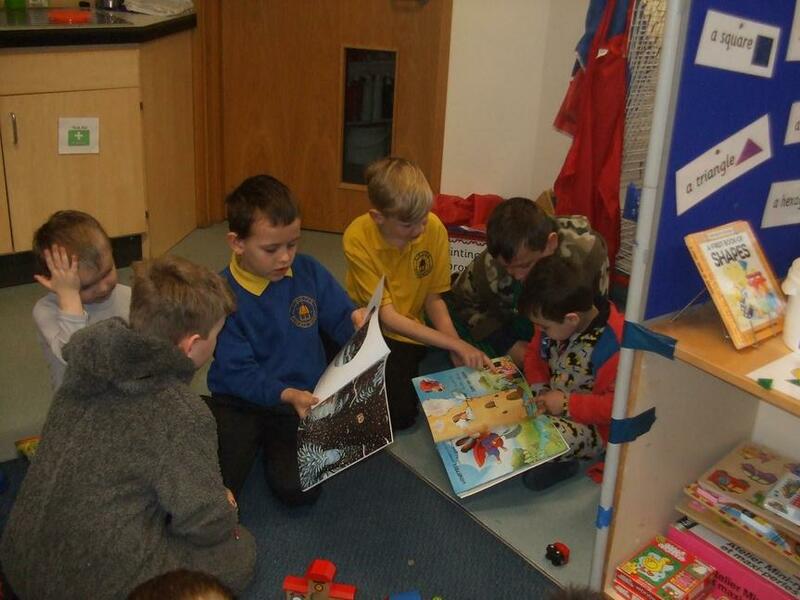 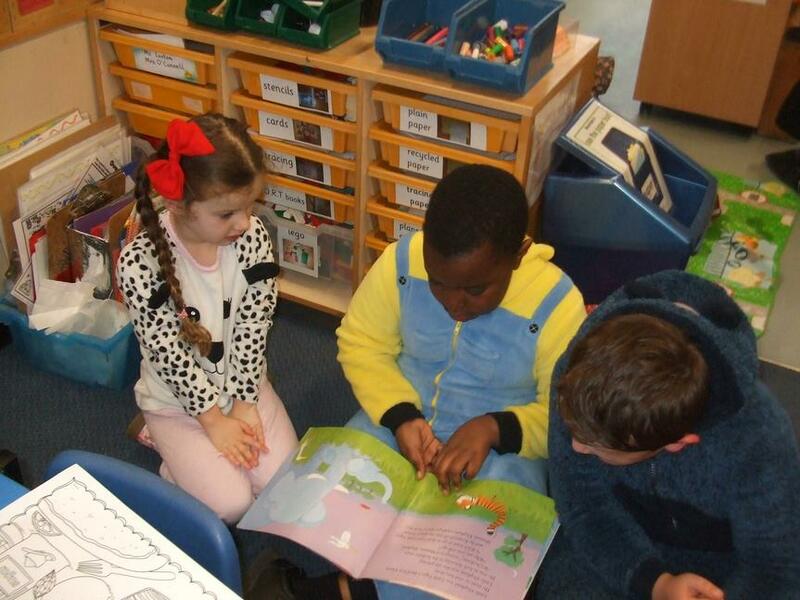 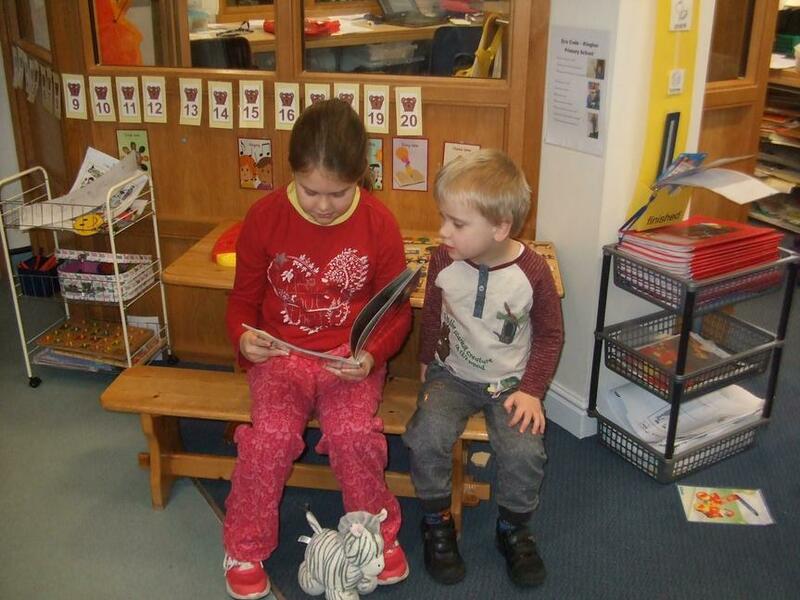 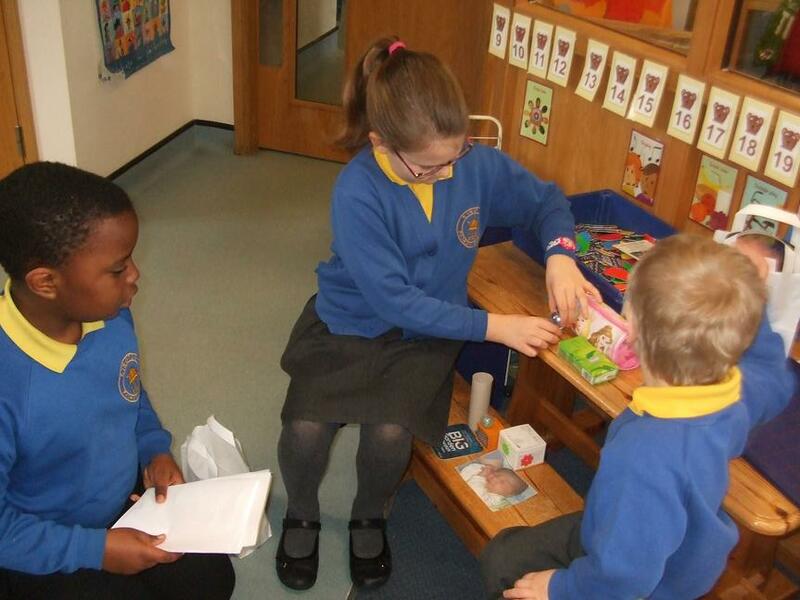 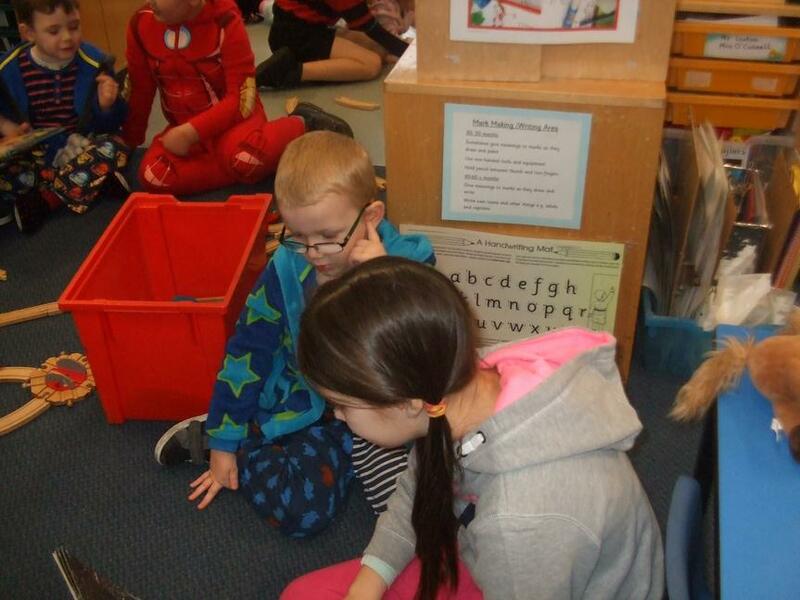 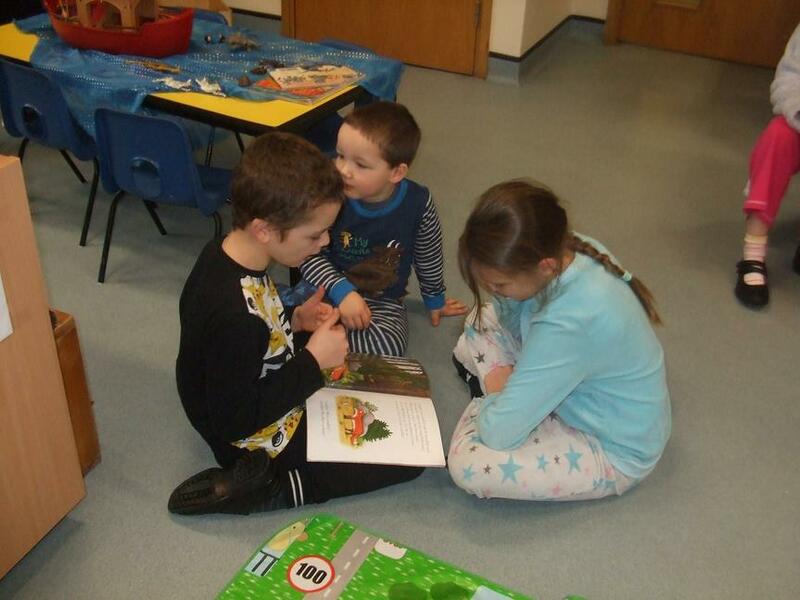 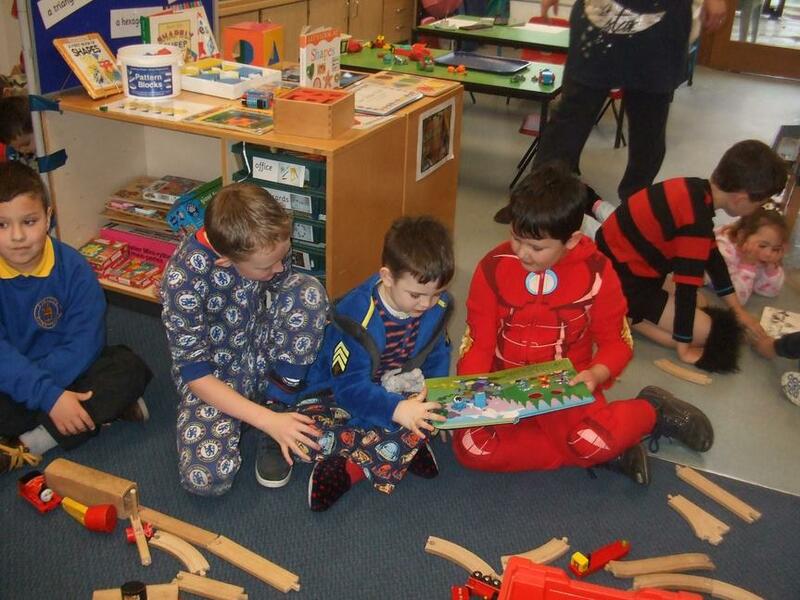 We met our Buddies From Year 4 class and shared our favourite bedtime stories with them on World Book Day. 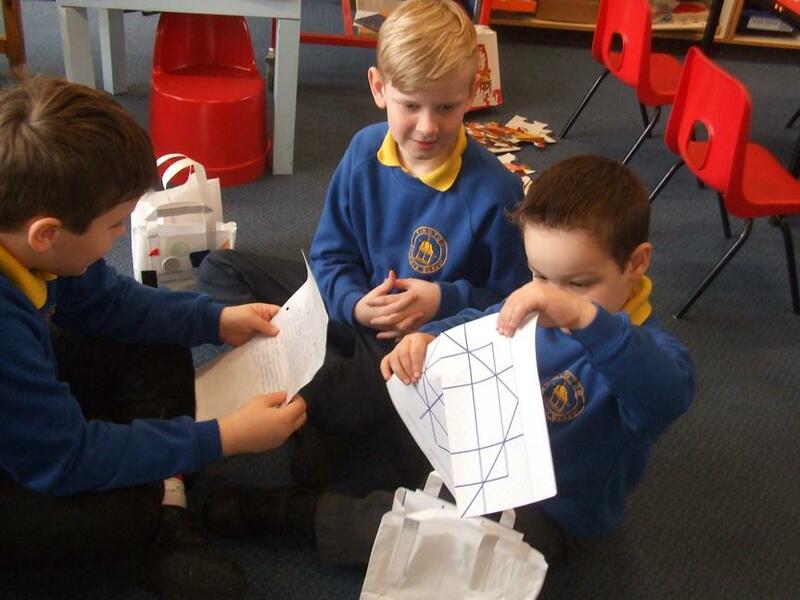 The next week we enjoyed showing them our Maths chatterbags and talking about all the 2D shapes we had found in our homes or out and about. 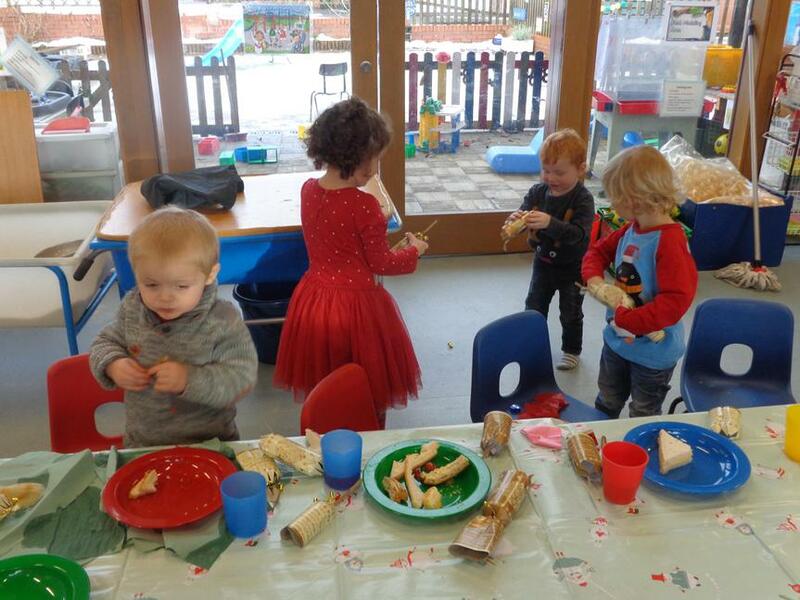 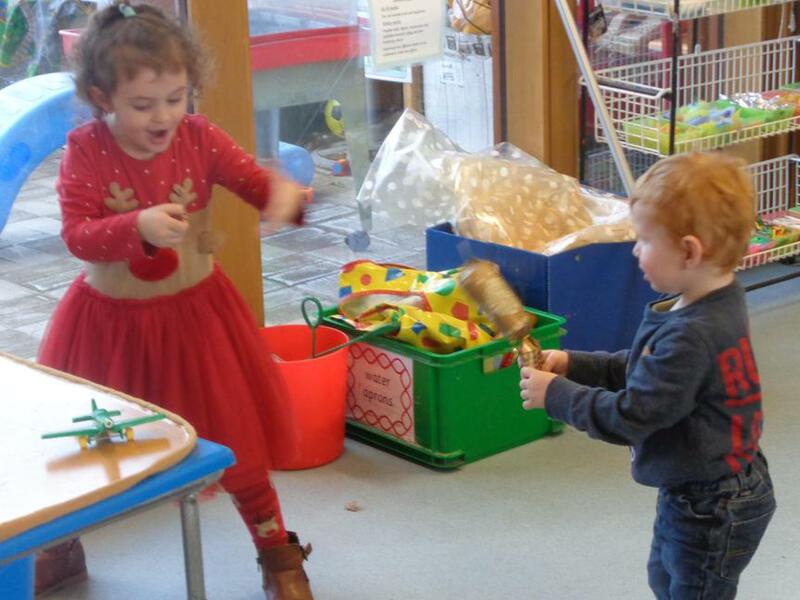 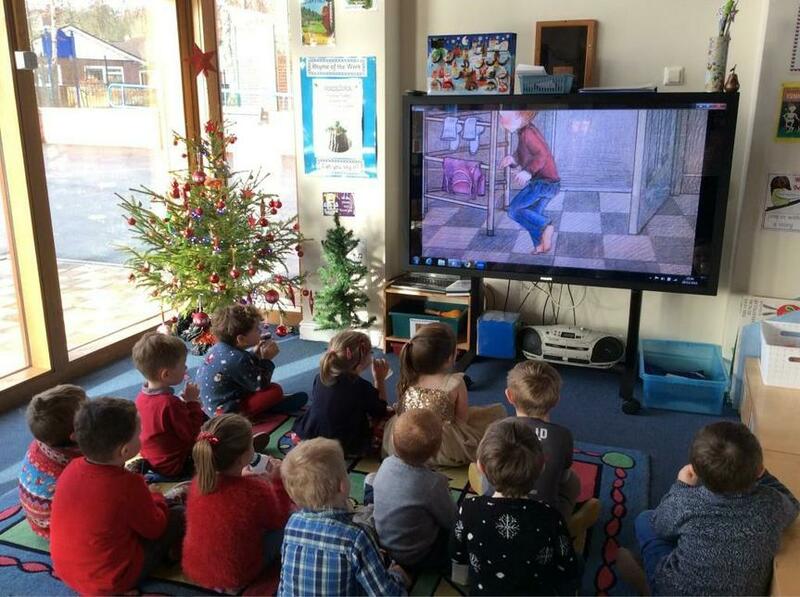 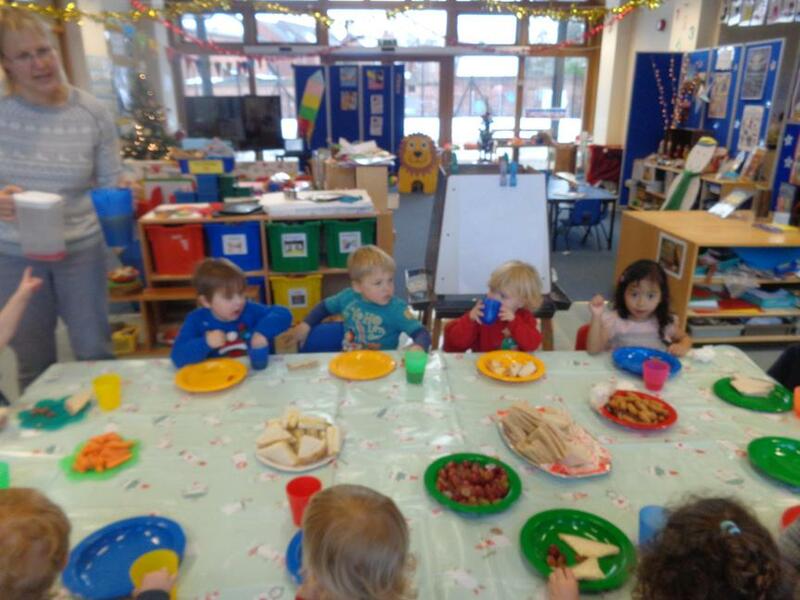 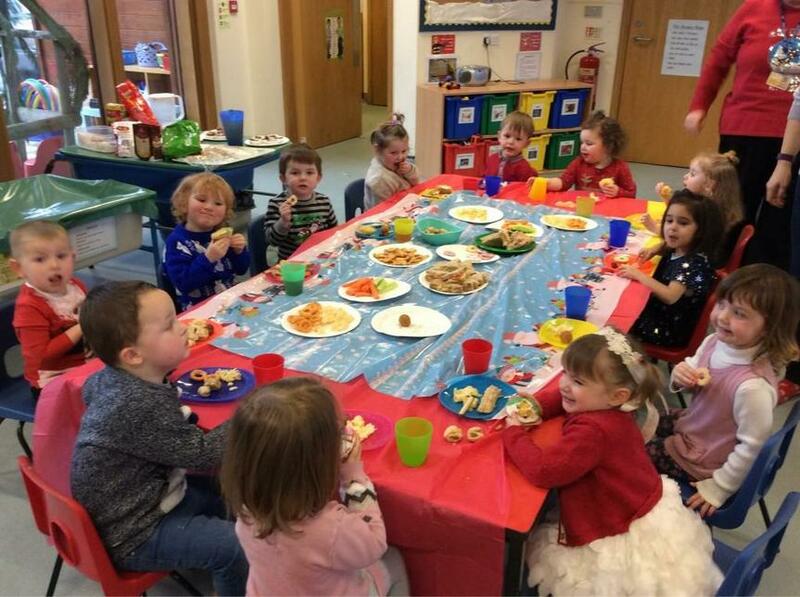 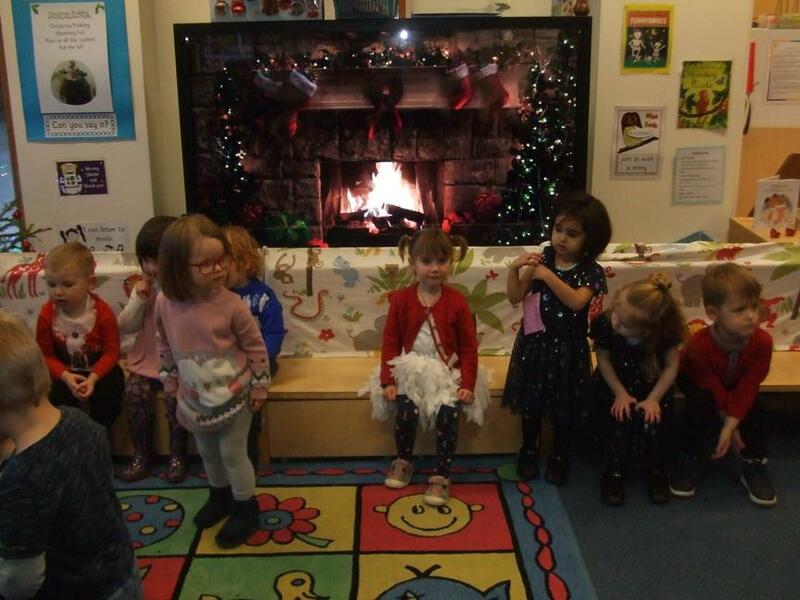 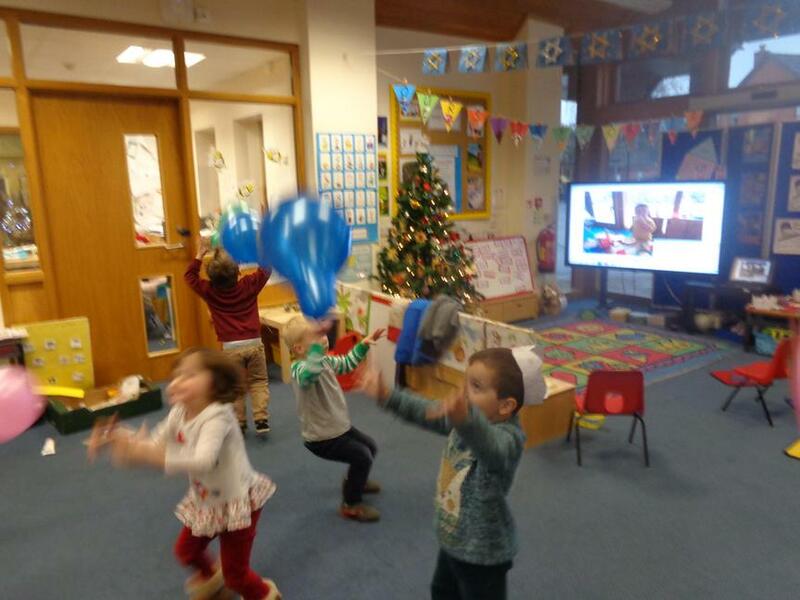 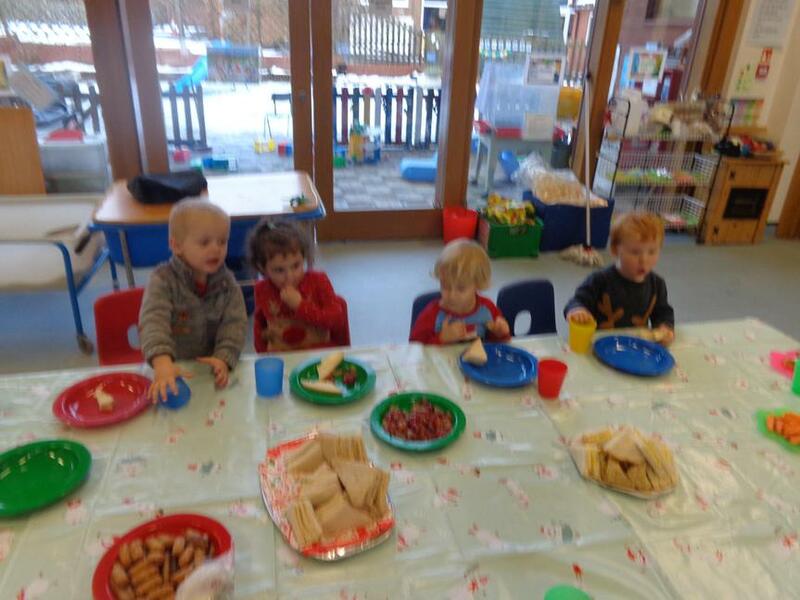 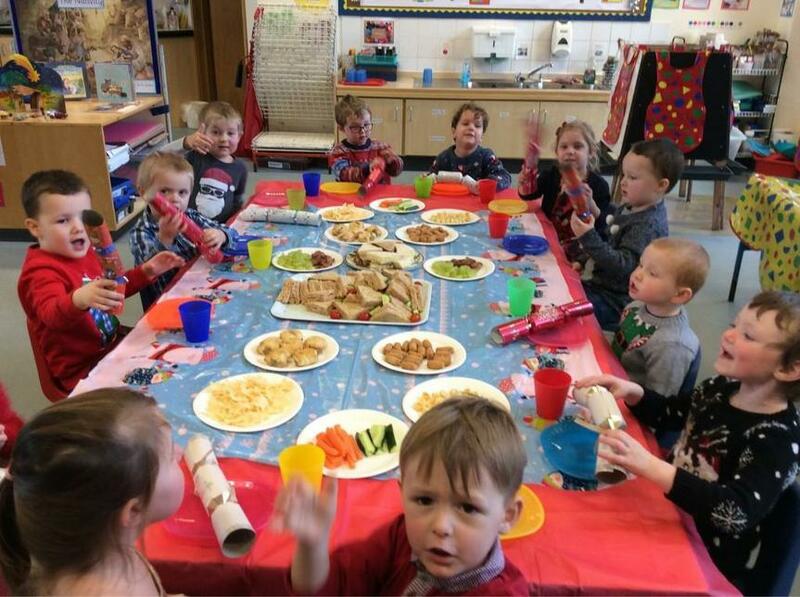 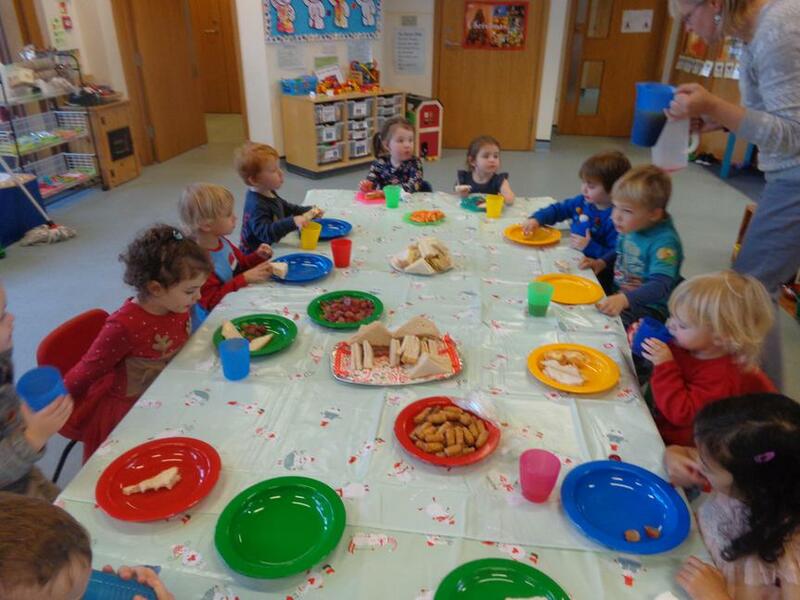 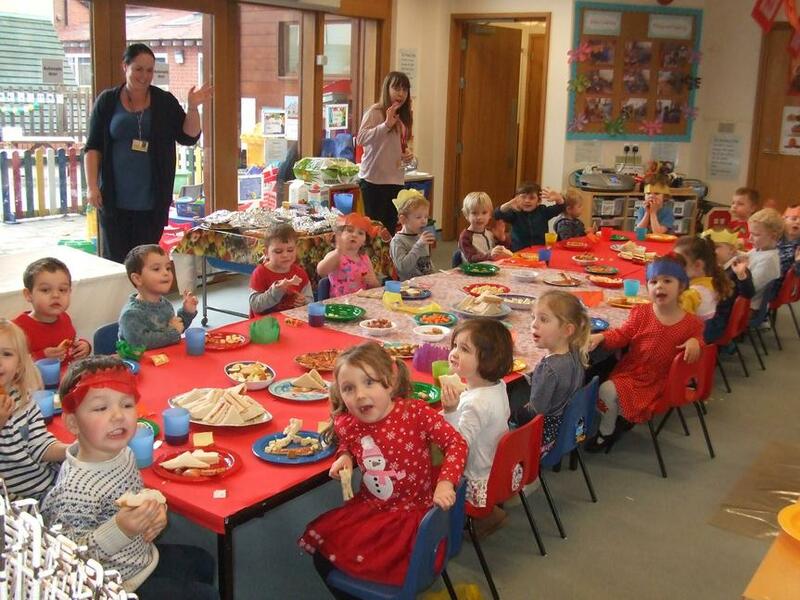 Christmas celebrations in afternoon nursery. 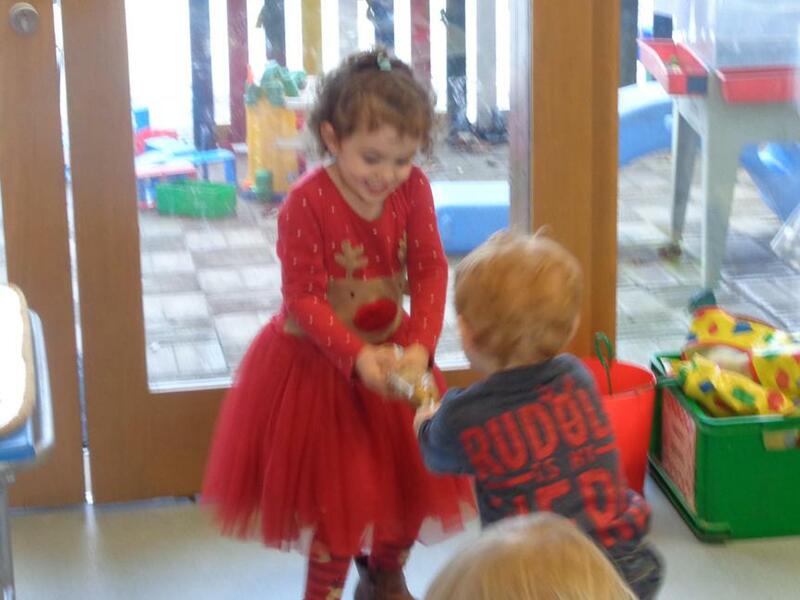 Christmas Fun! 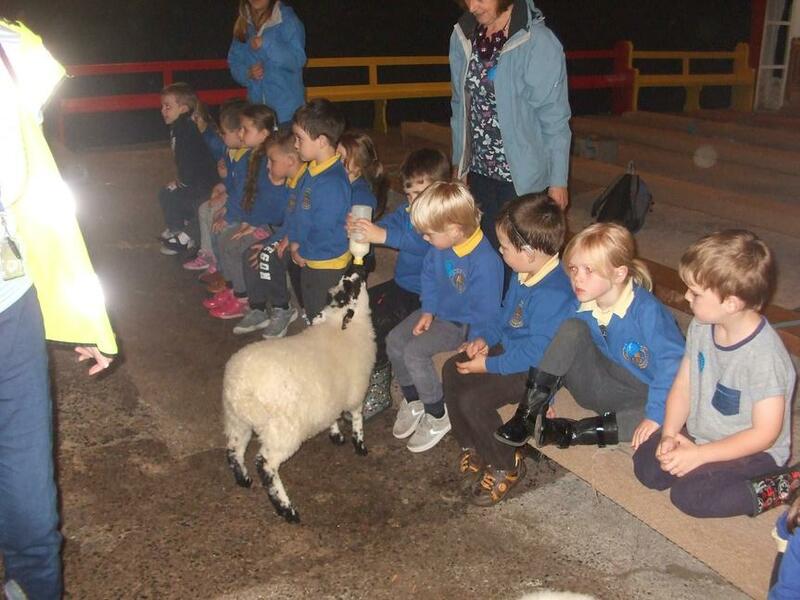 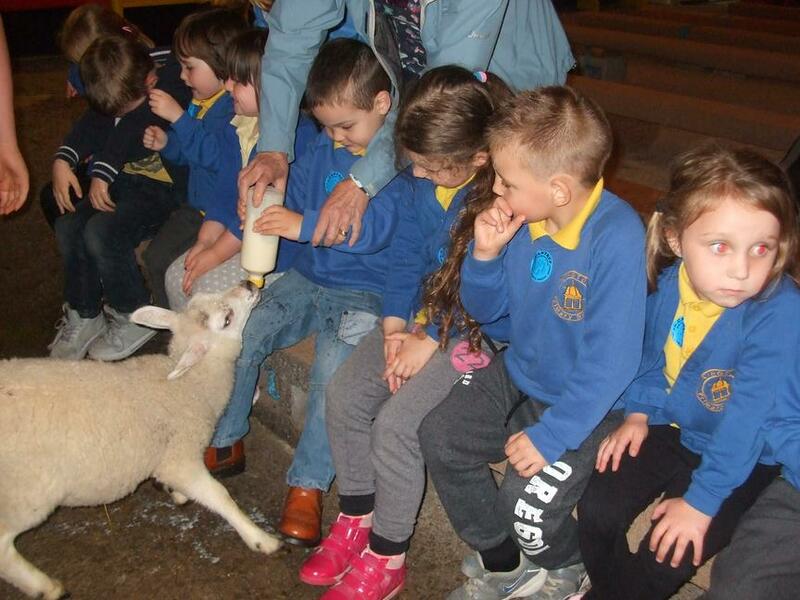 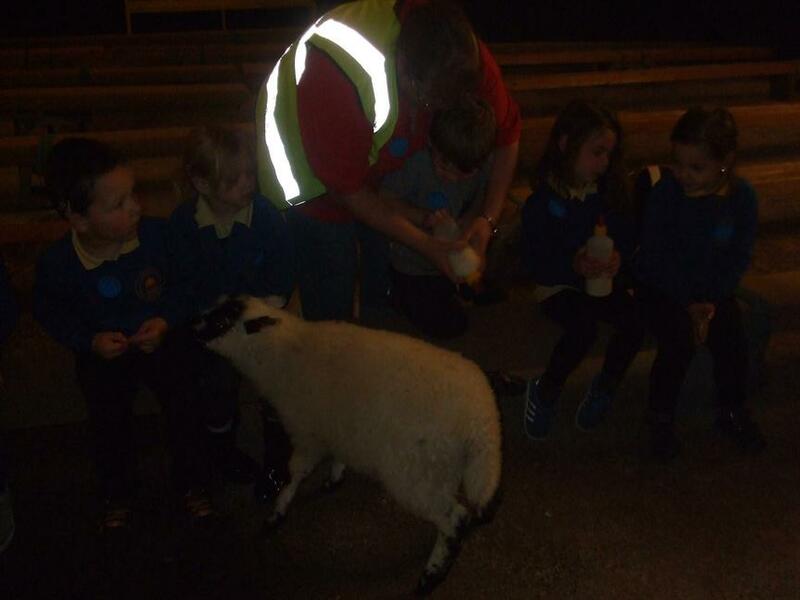 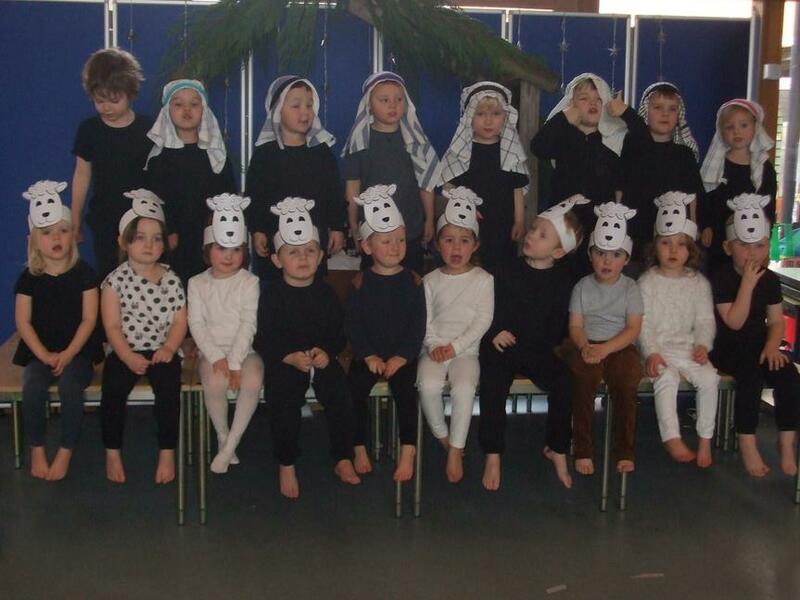 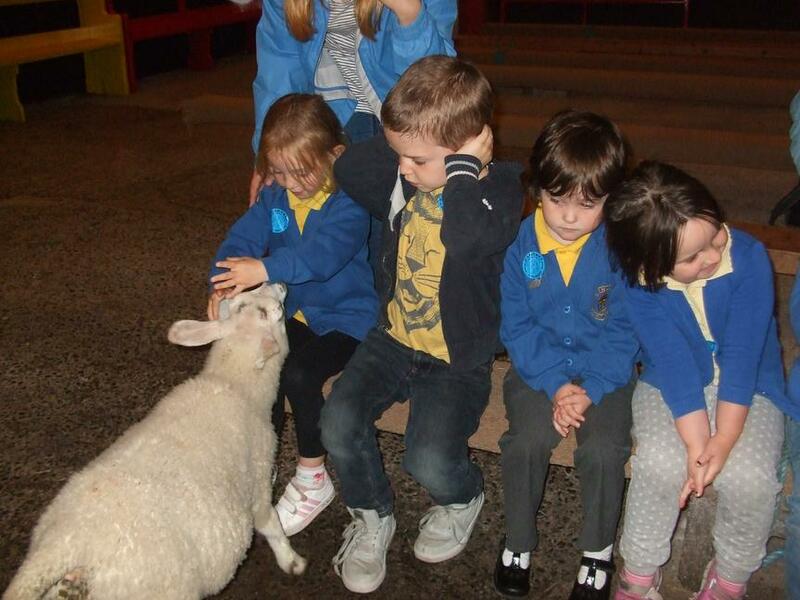 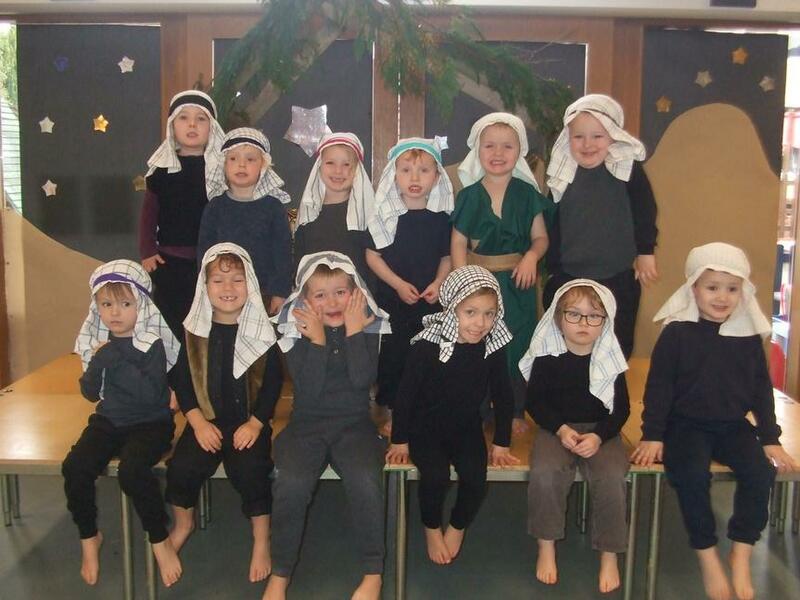 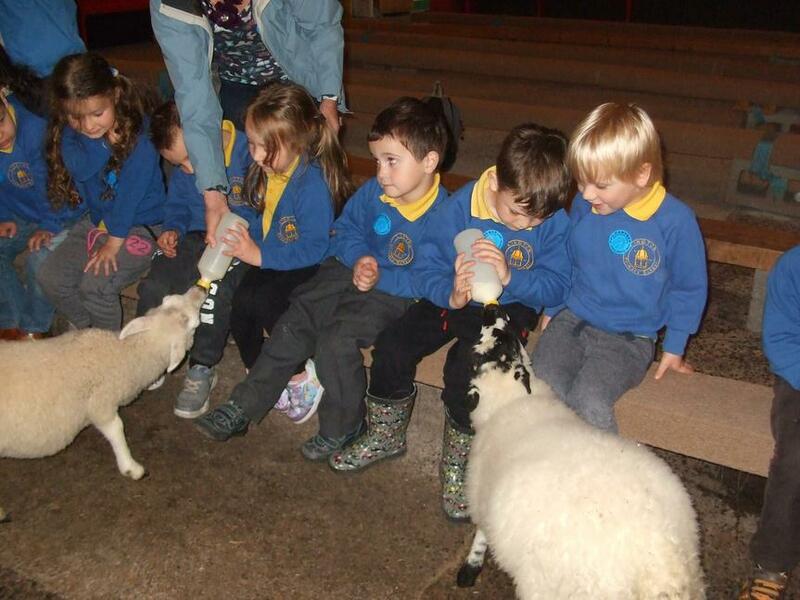 We had a wonderful Nativity Play with reception class- we were shepherds and sheep. 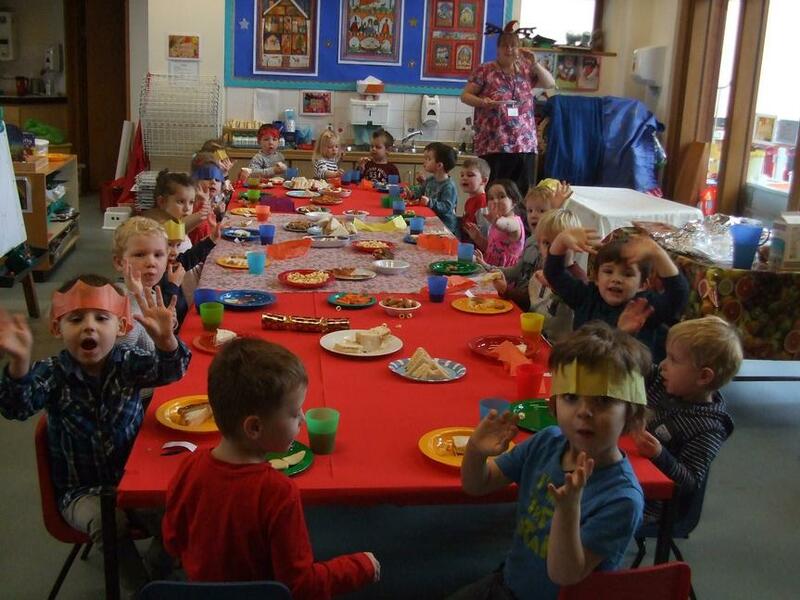 Here we are at our Christmas Party. 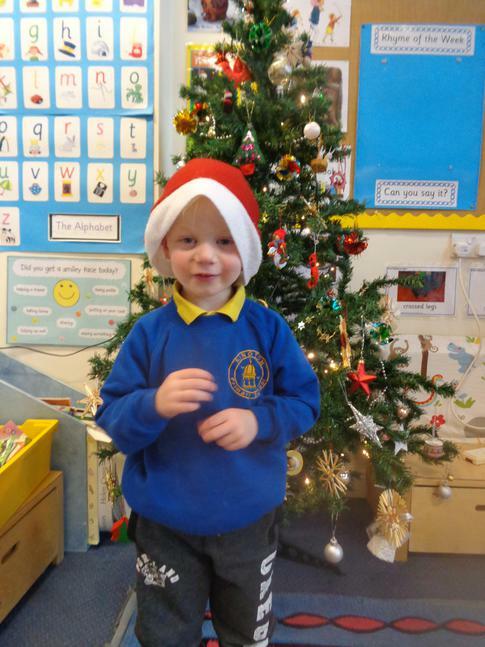 Merry Christmas everyone. 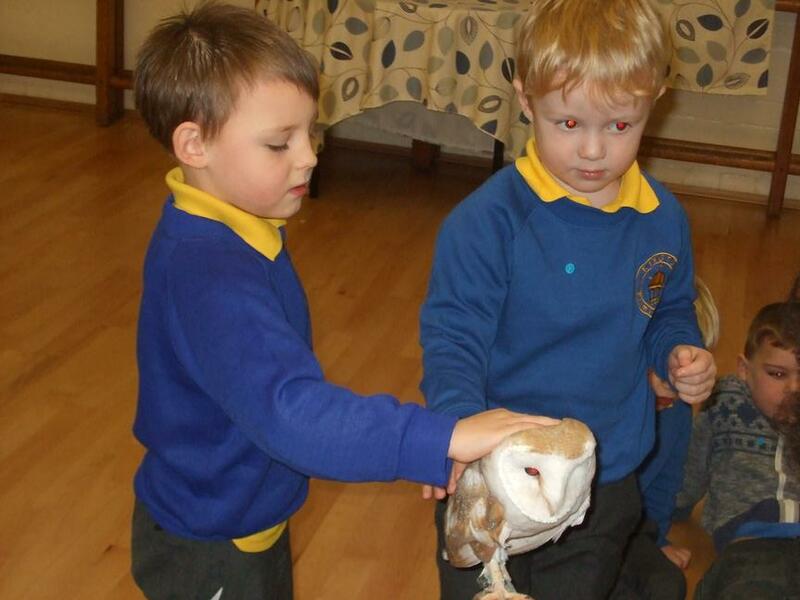 On Monday we had visitors. 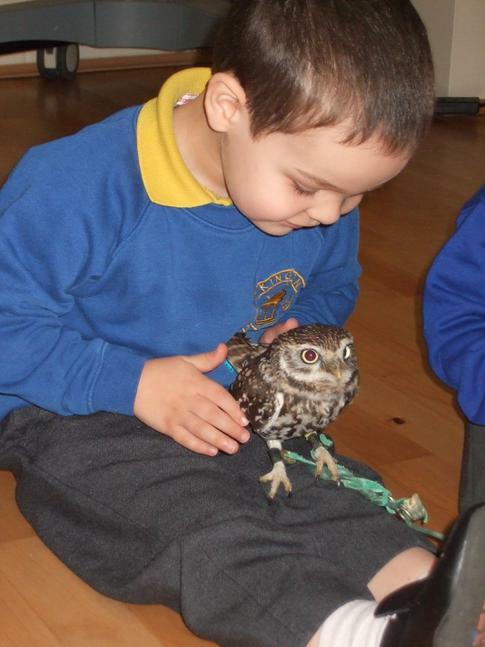 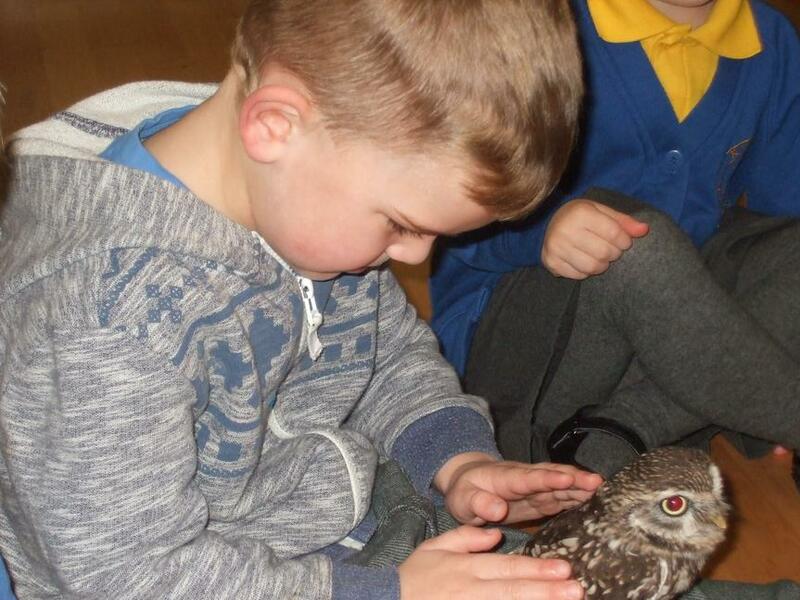 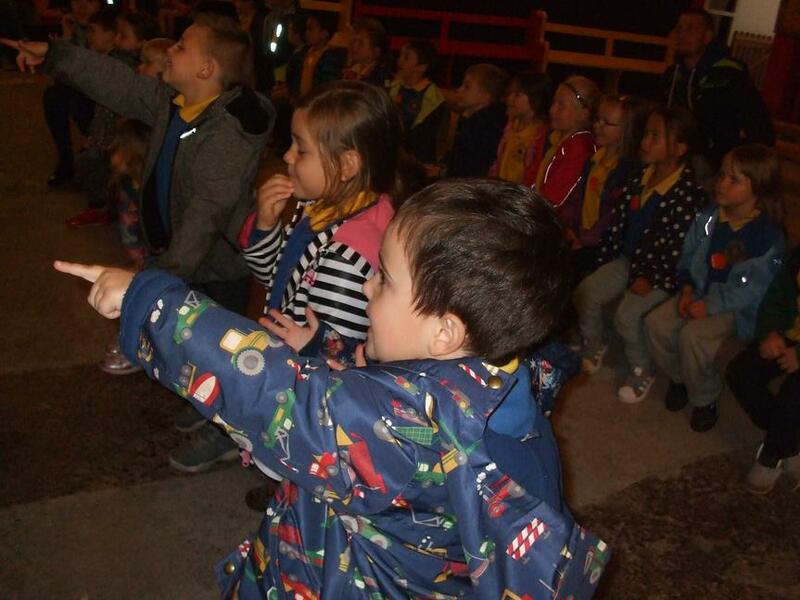 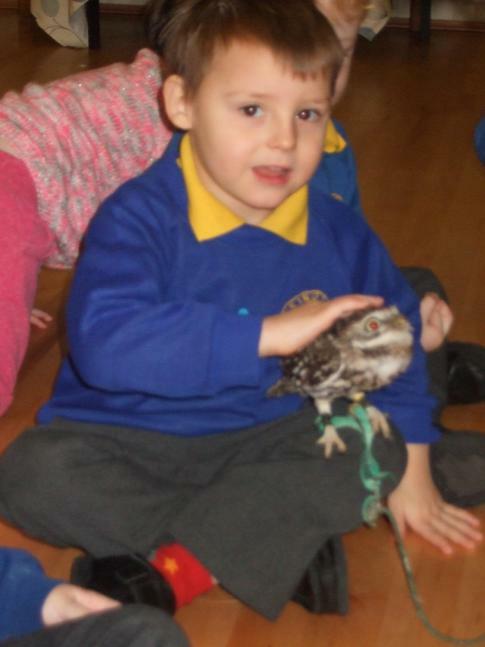 We have been learning about night time and reading Owl Babies. 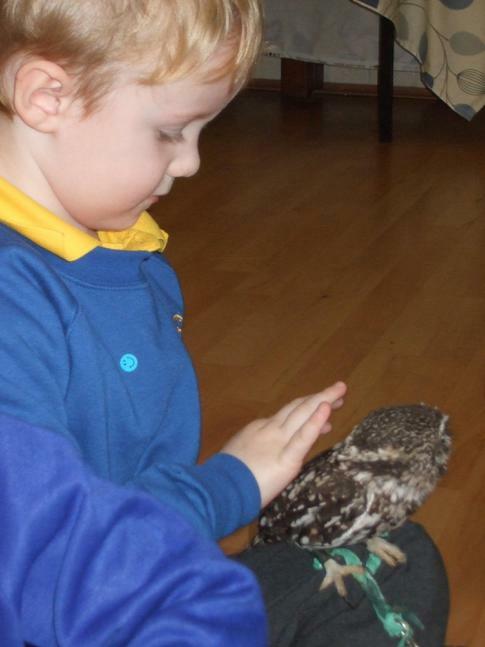 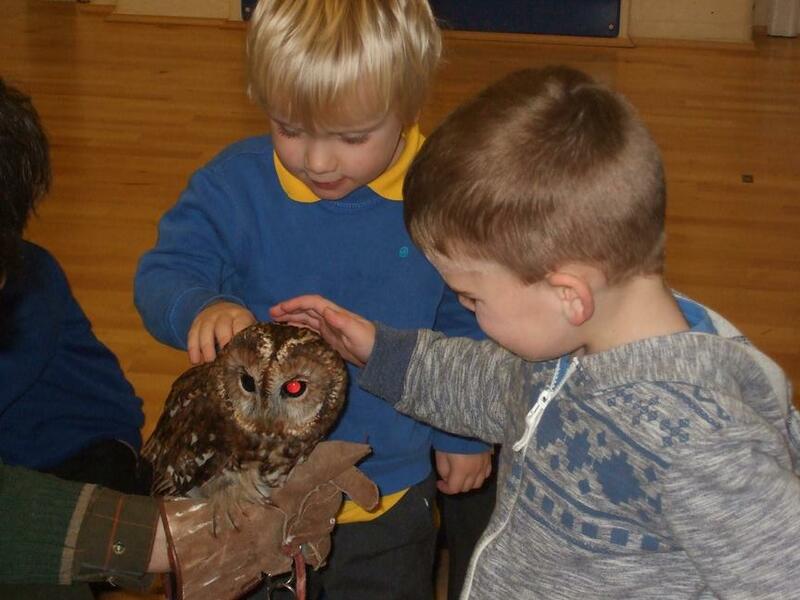 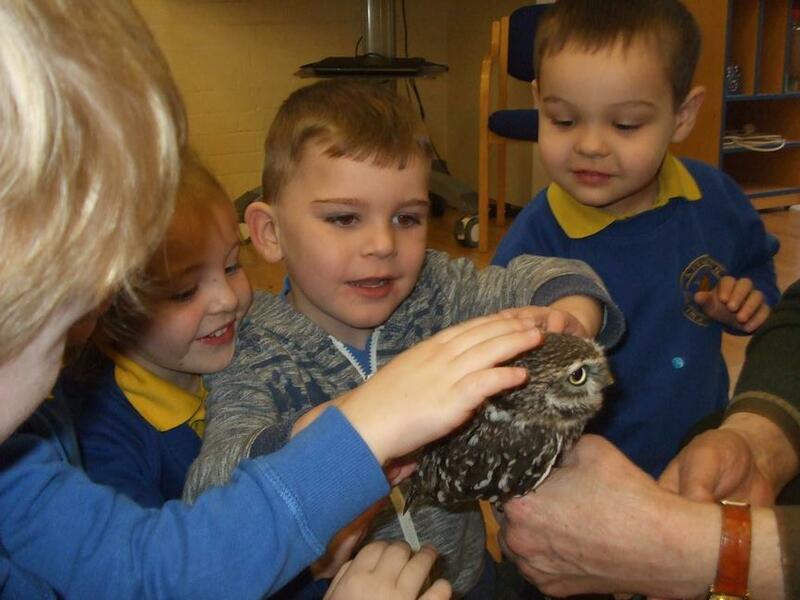 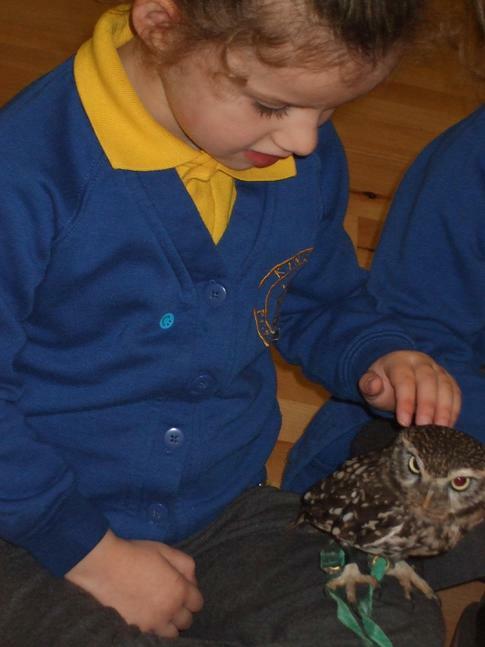 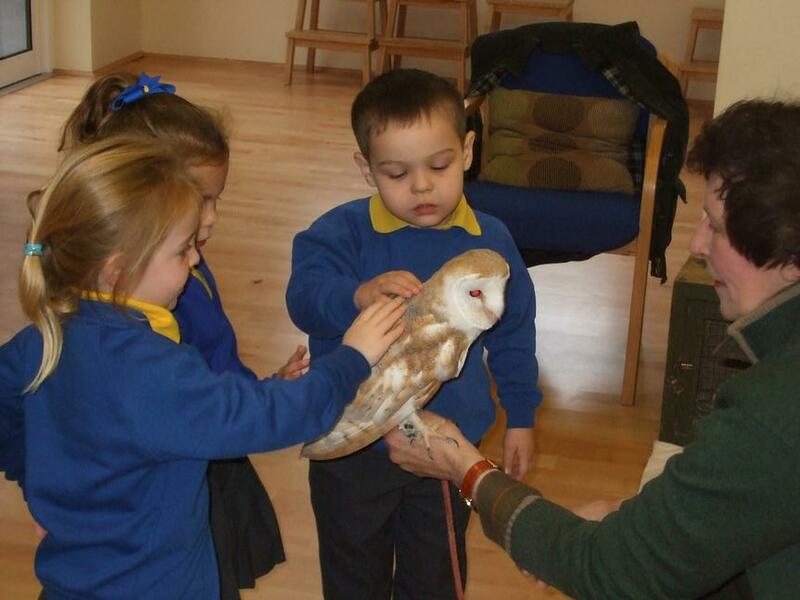 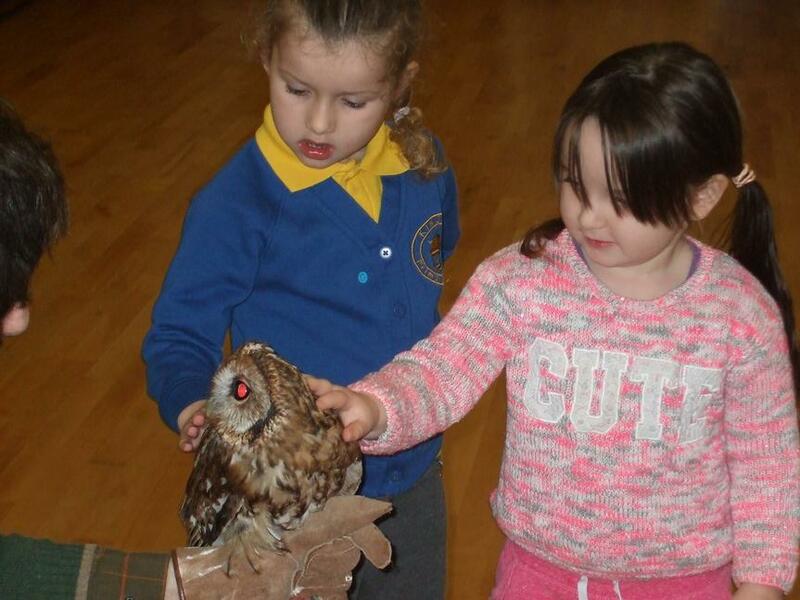 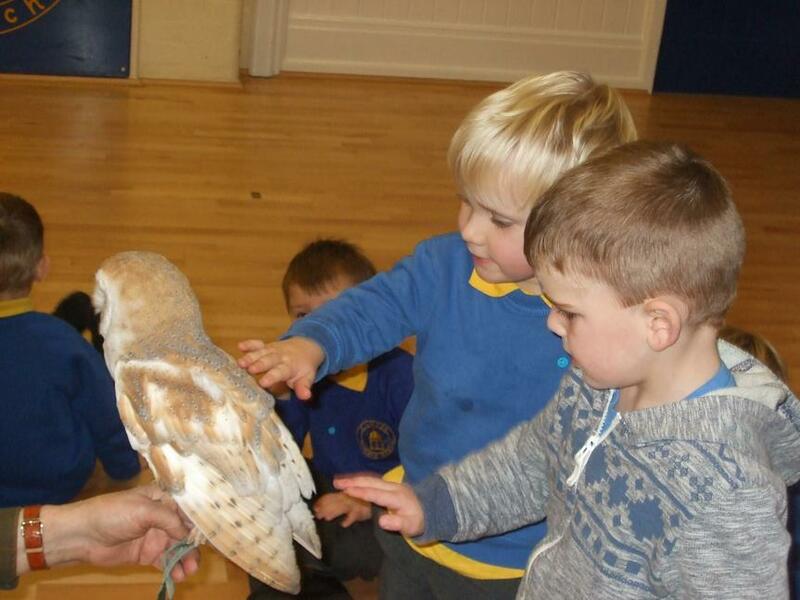 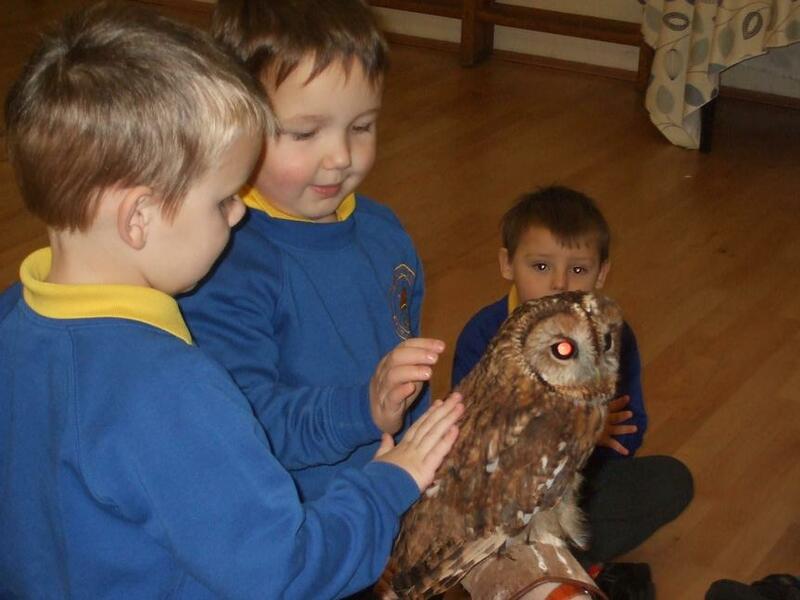 Zaza brought 3 of her owls to visit us- a barn owl, a tawny owl and a little owl. 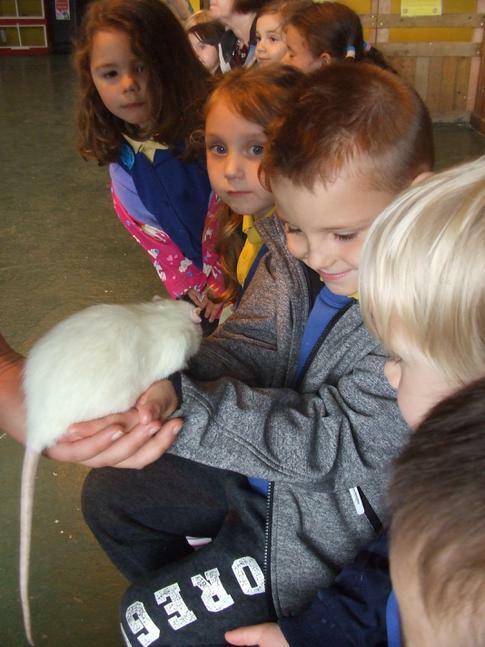 We were able to stroke them gently. 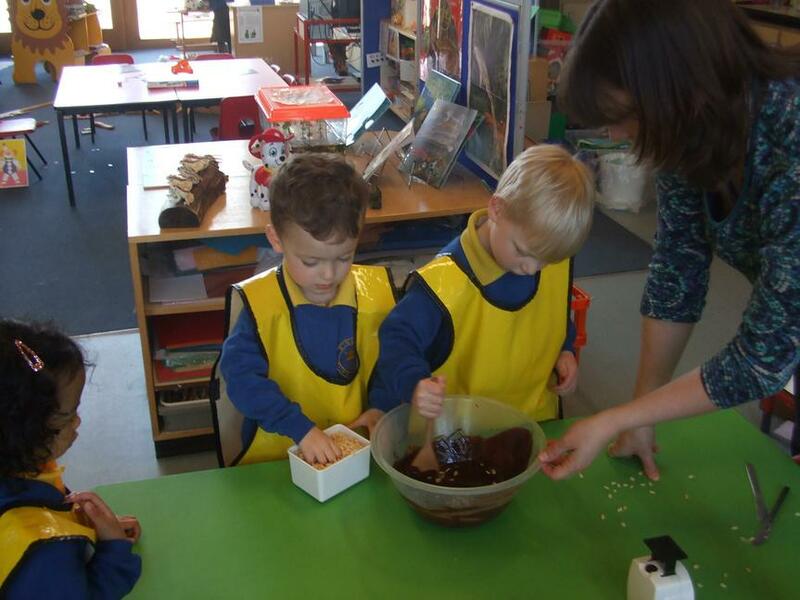 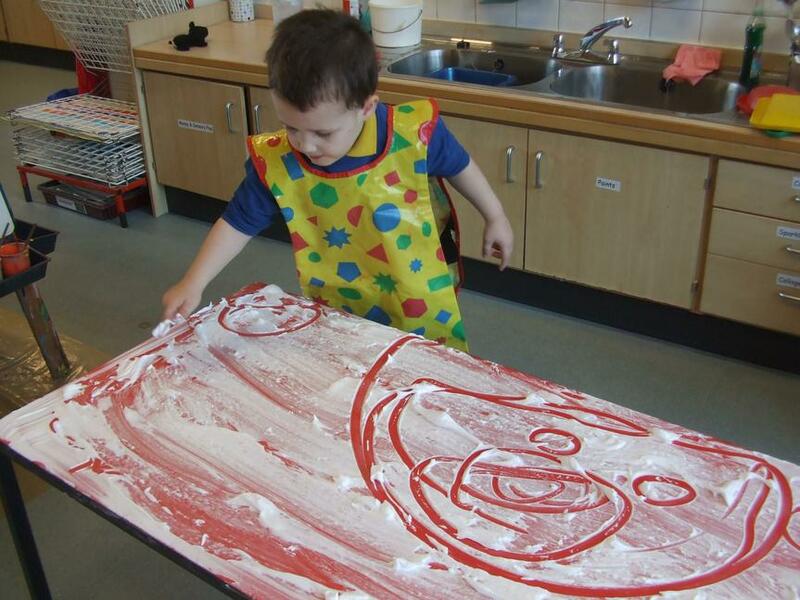 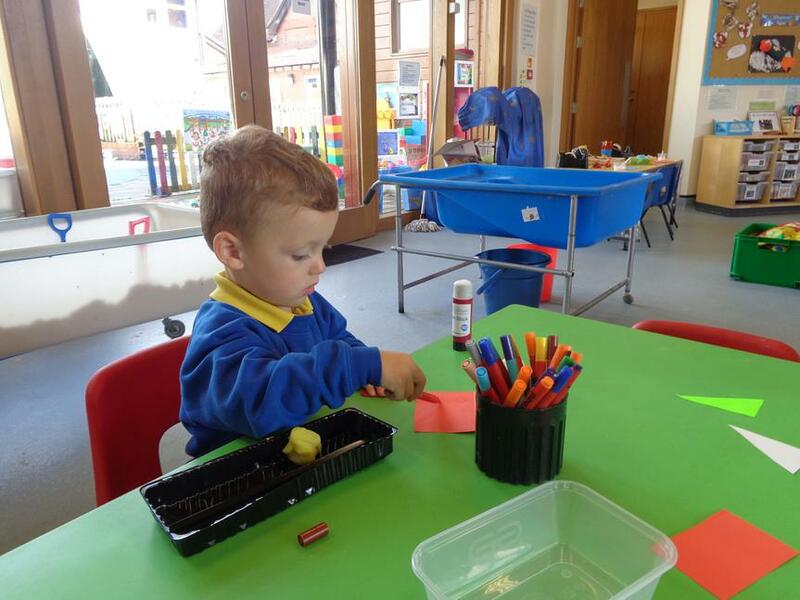 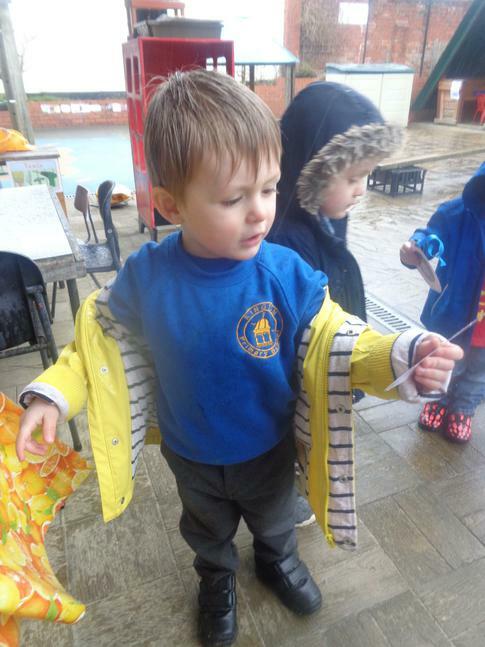 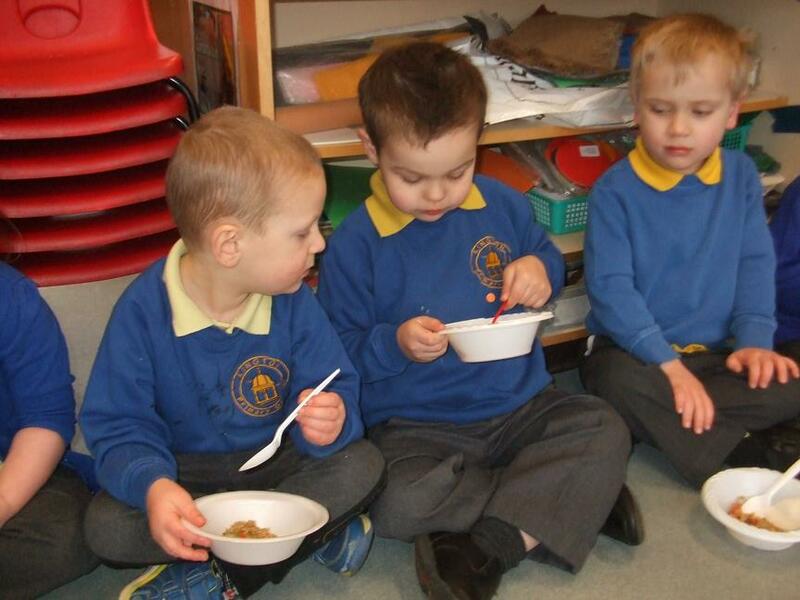 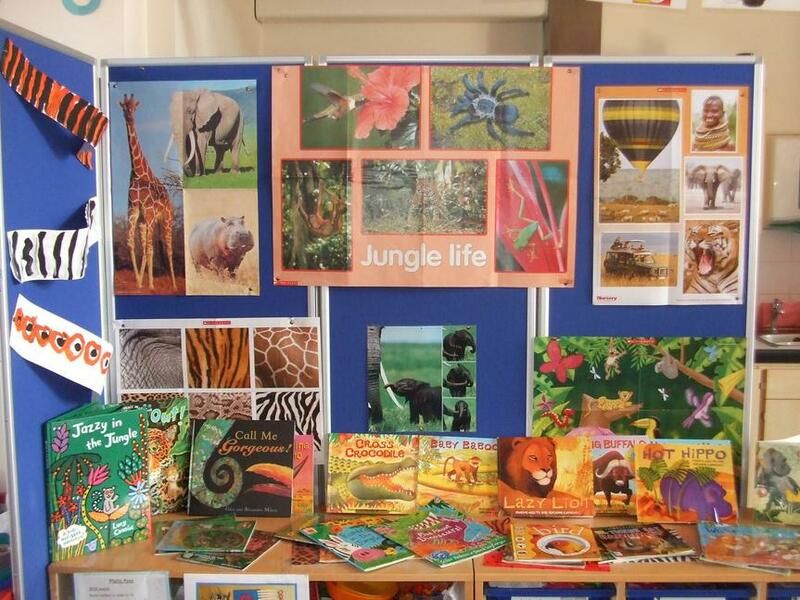 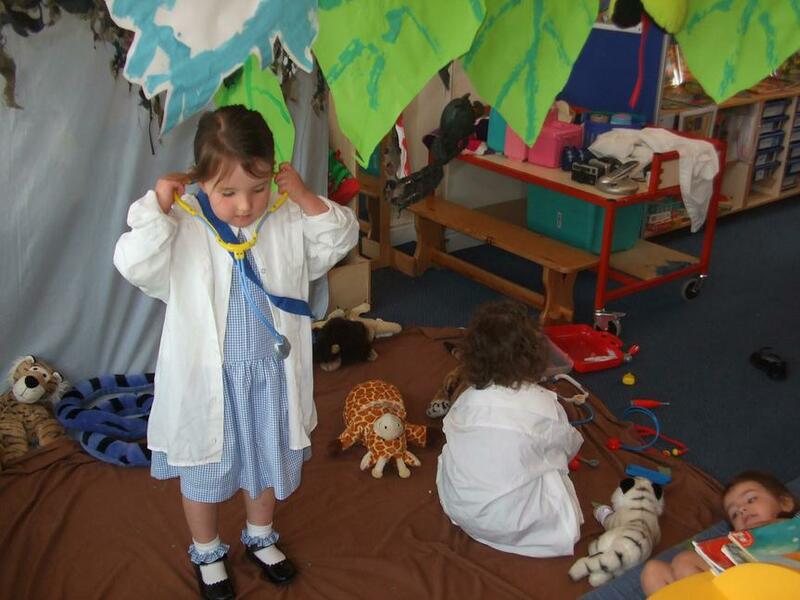 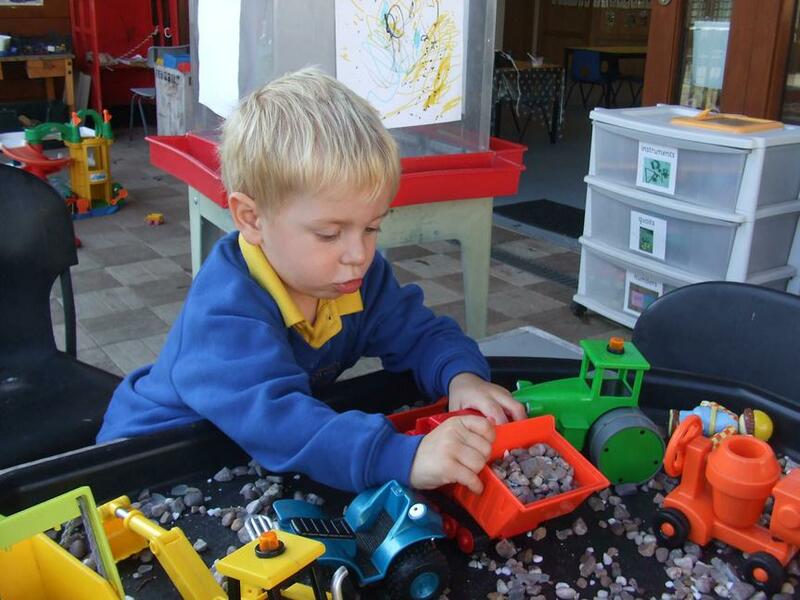 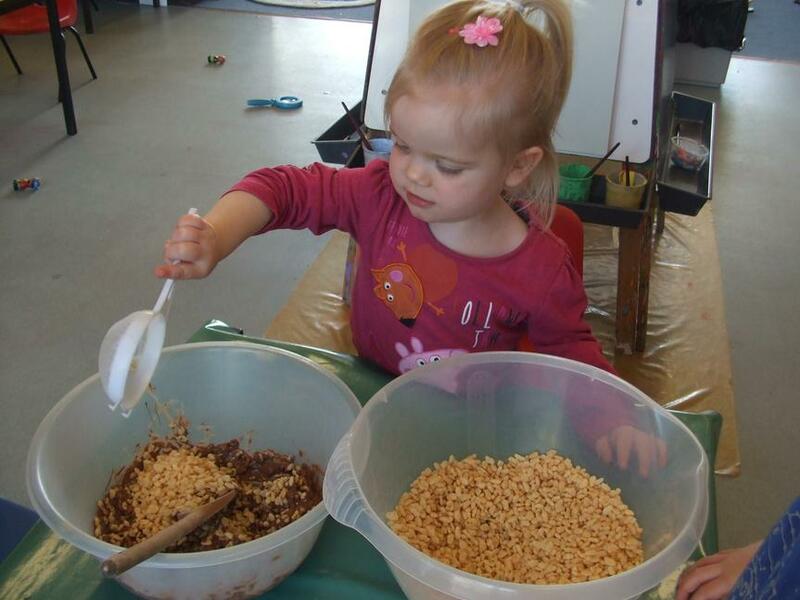 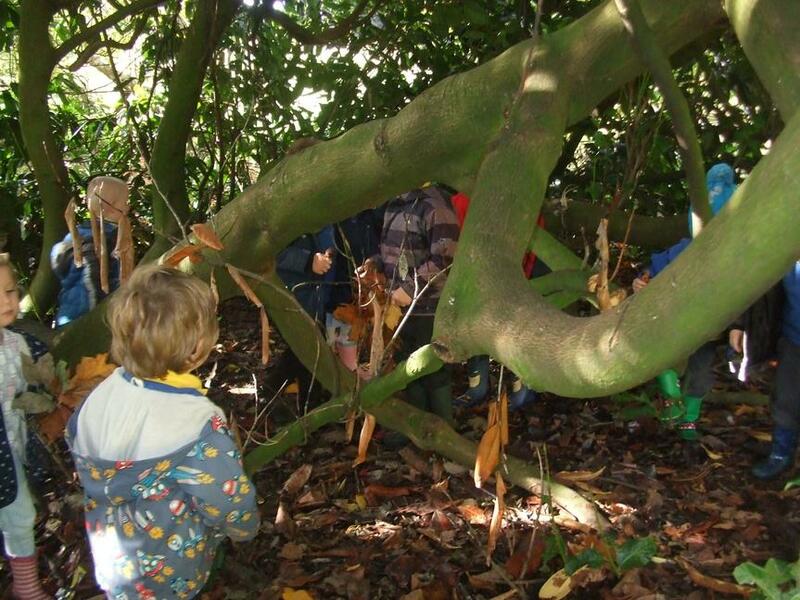 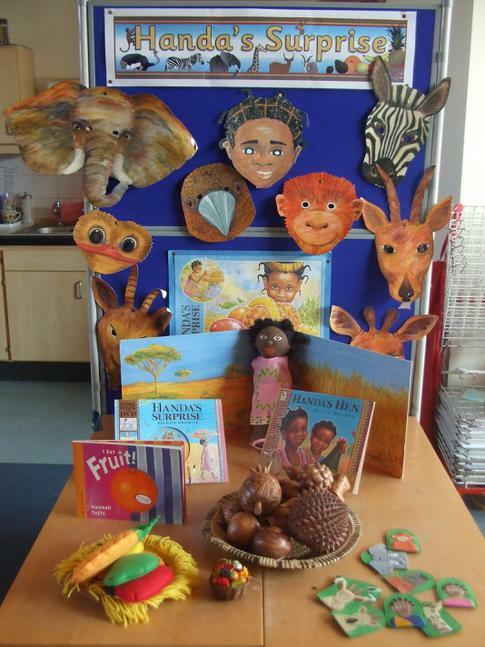 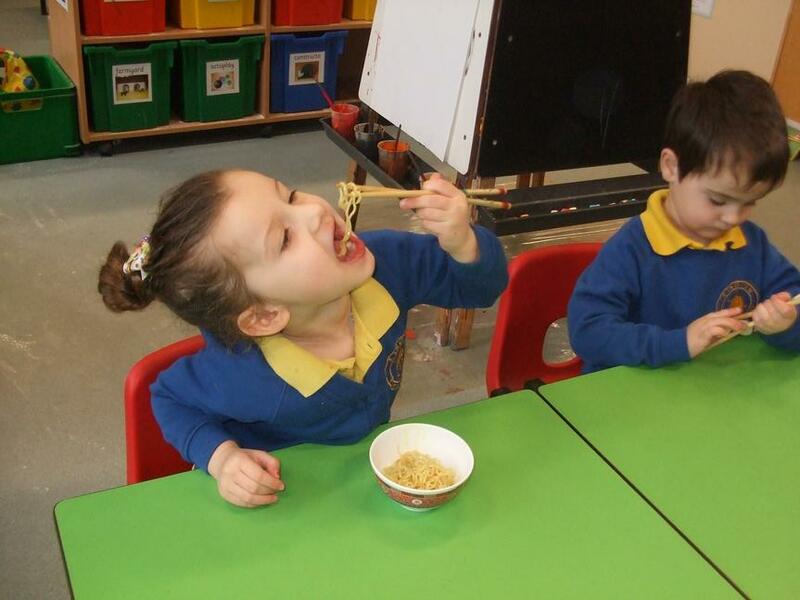 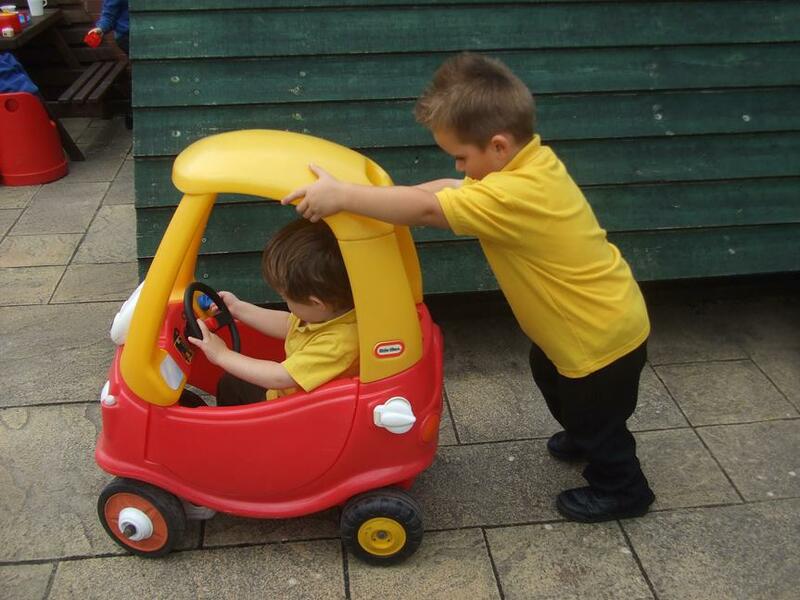 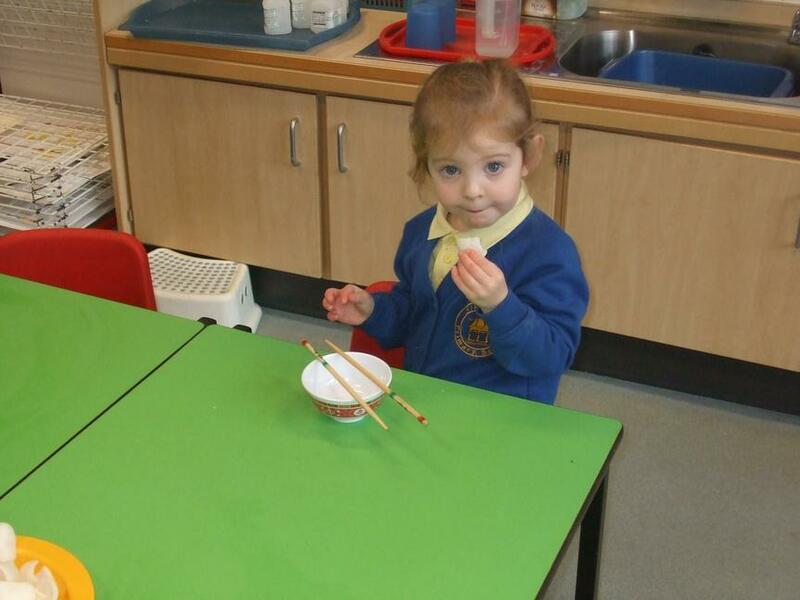 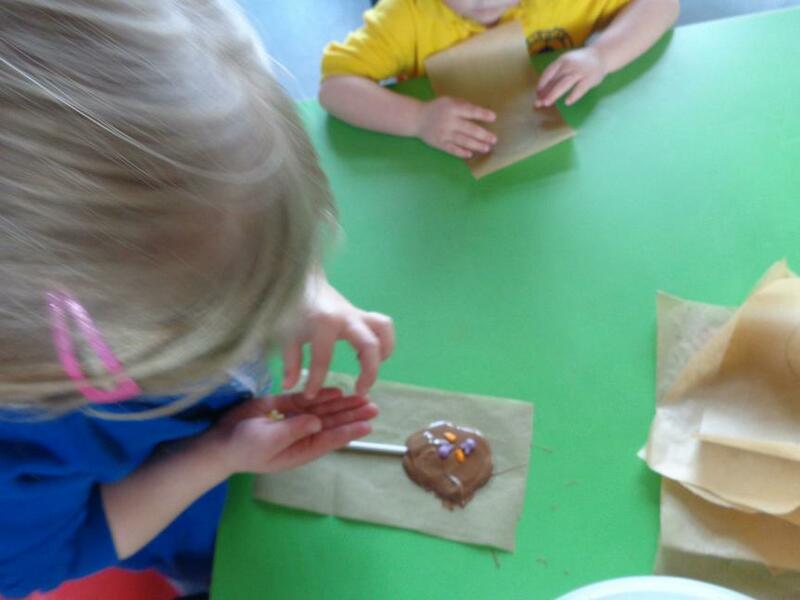 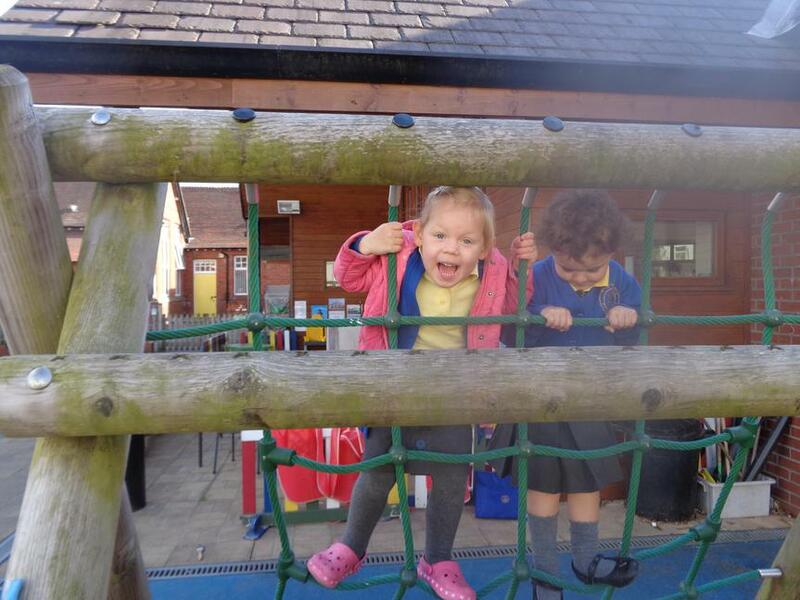 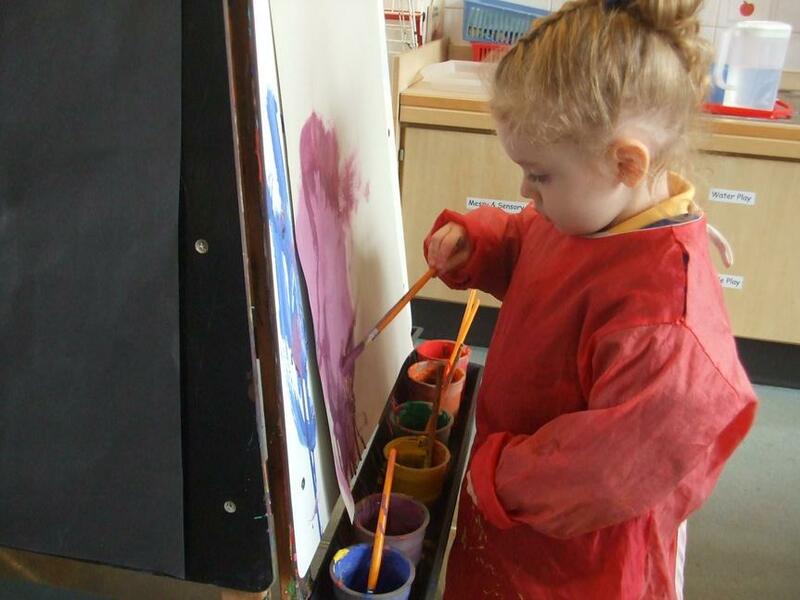 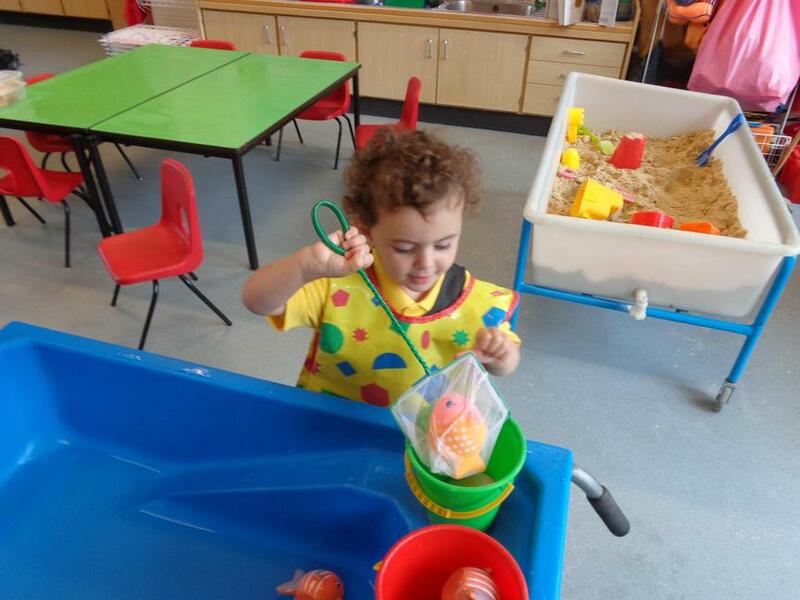 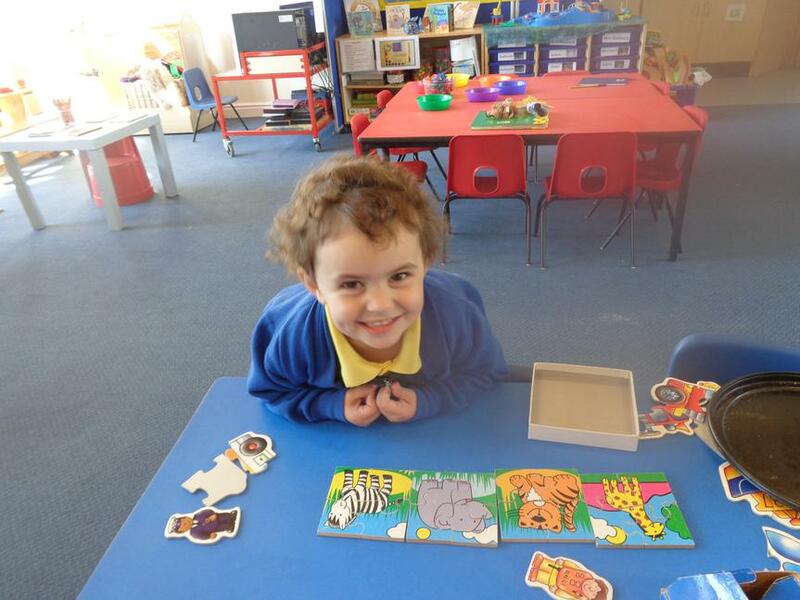 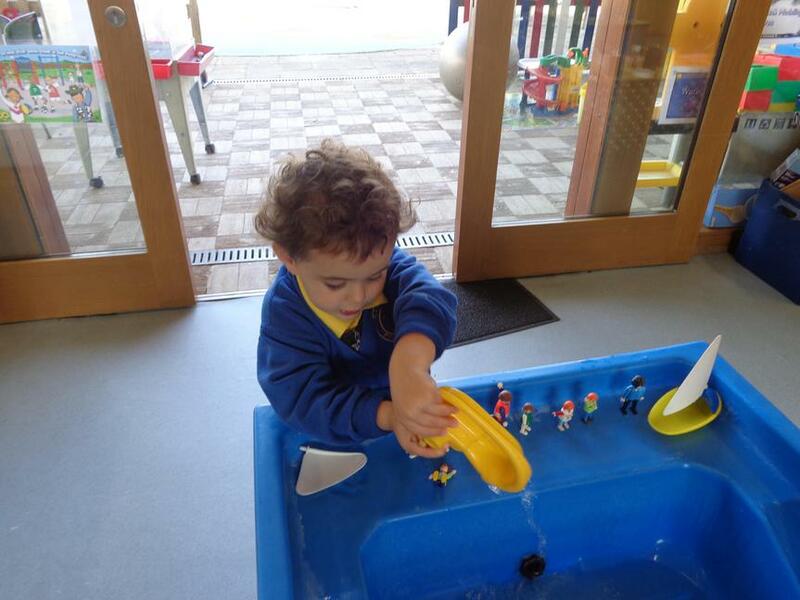 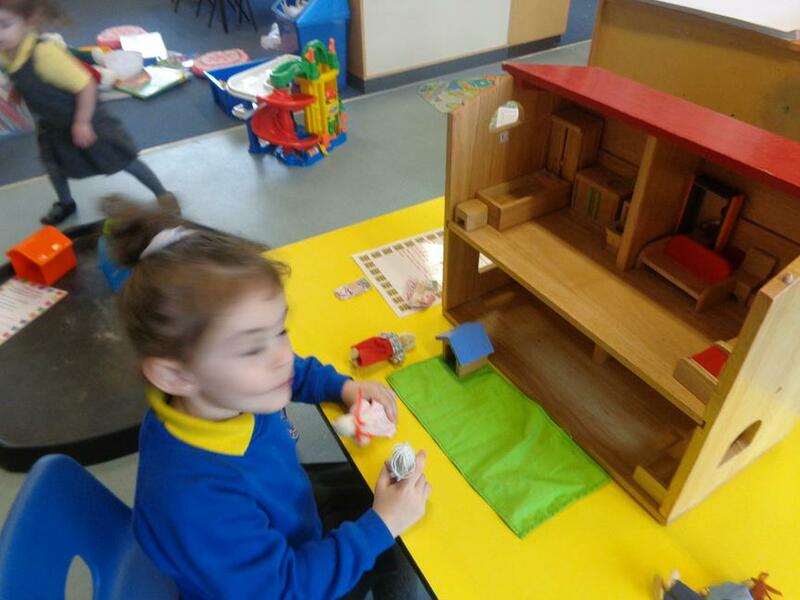 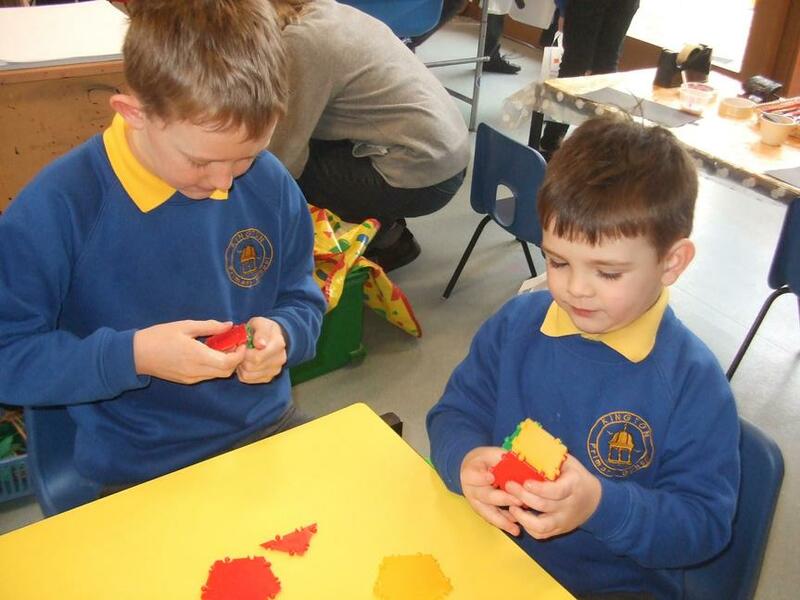 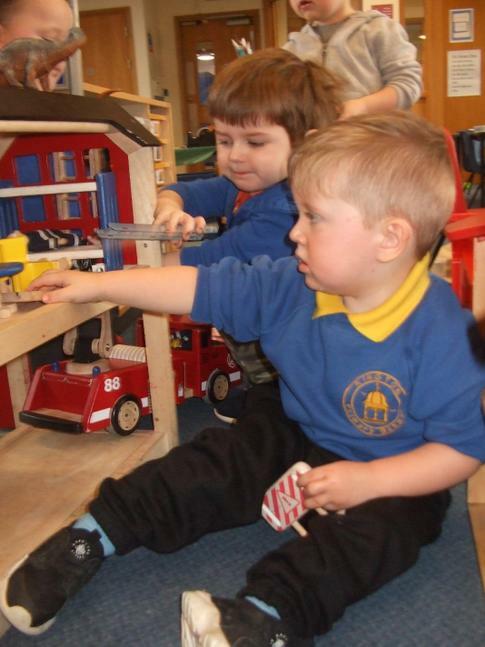 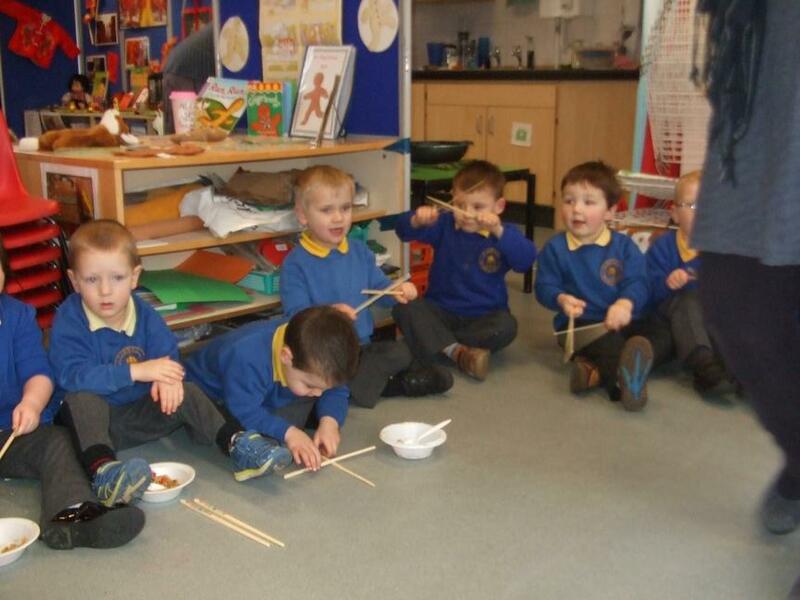 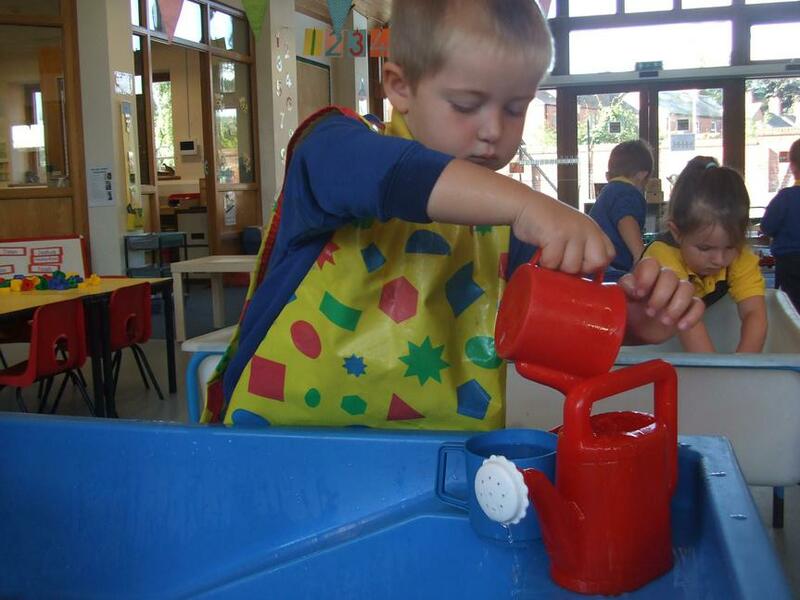 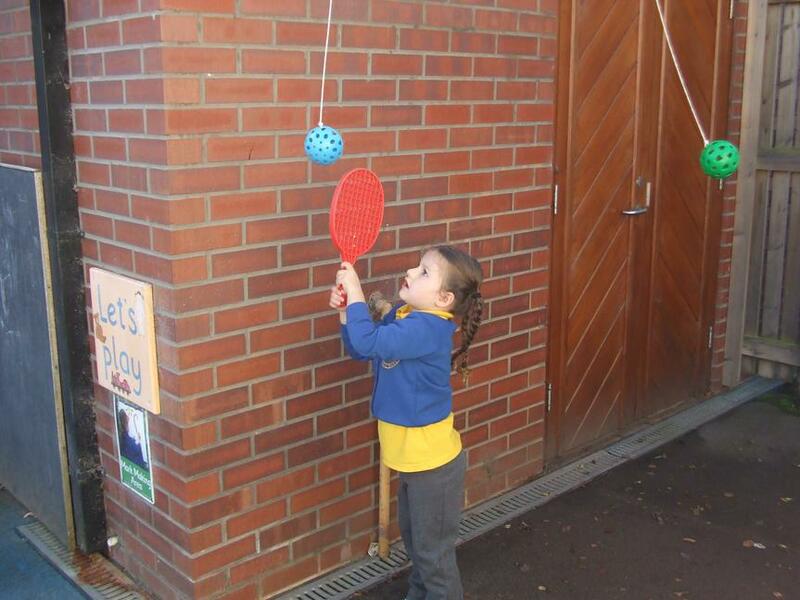 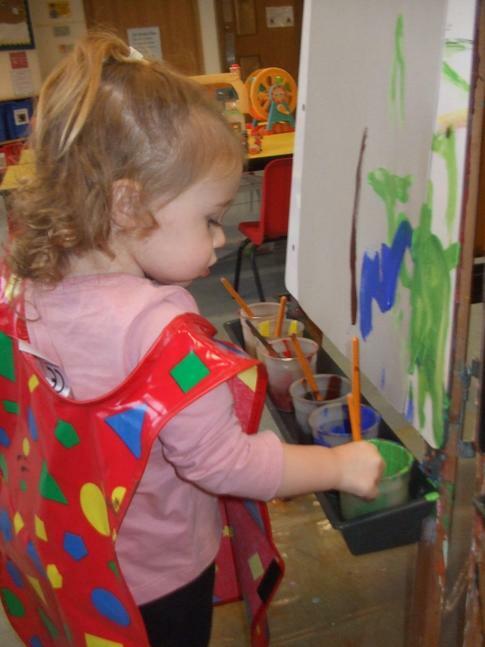 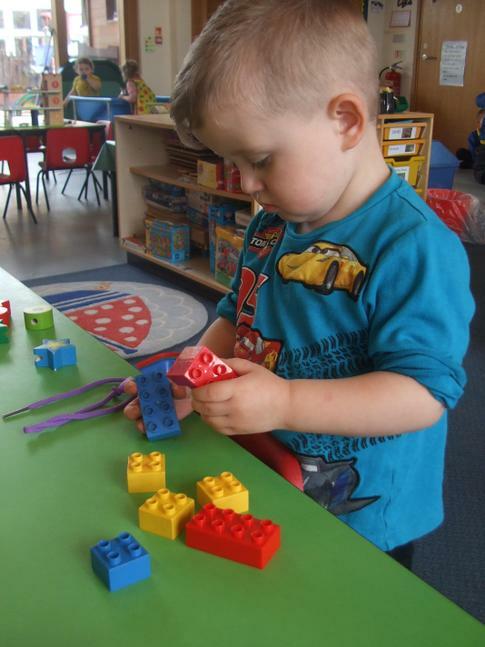 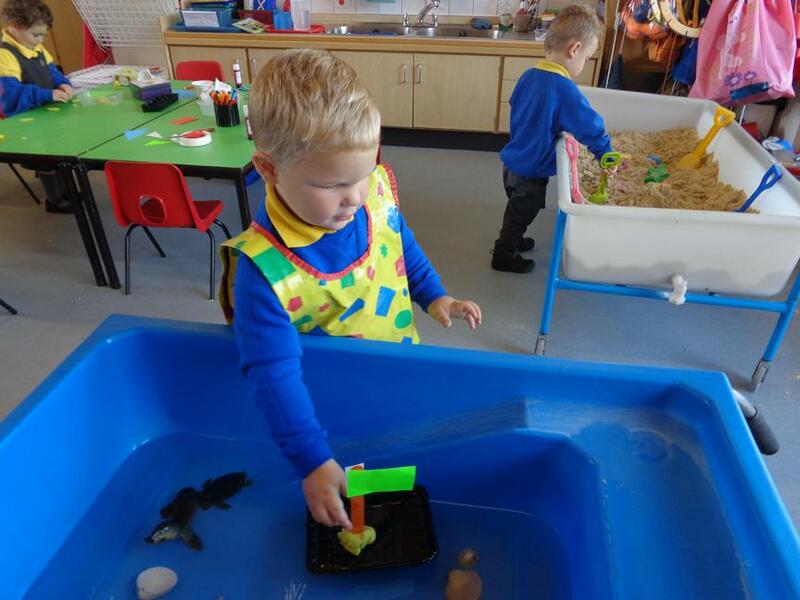 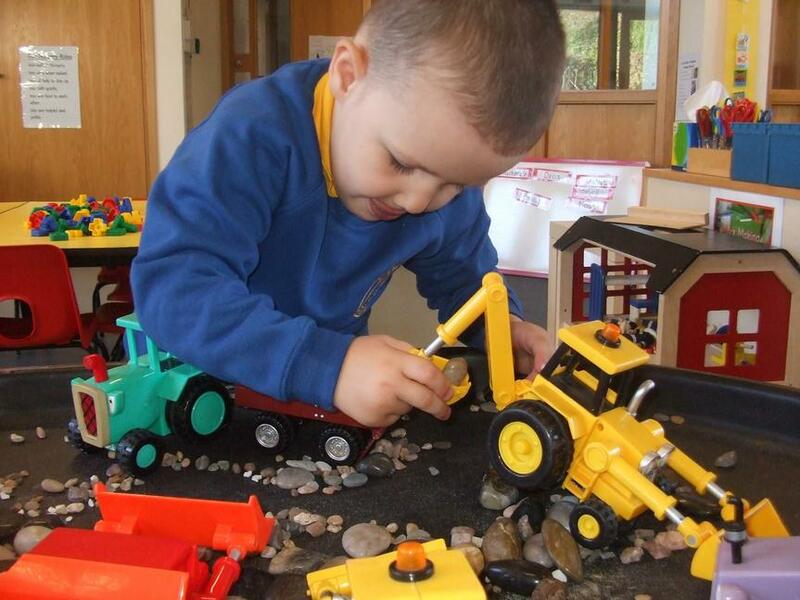 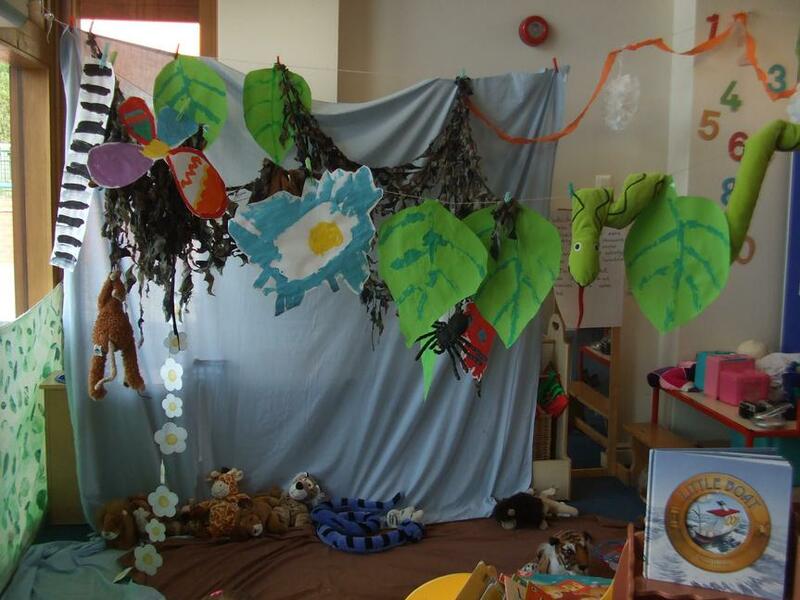 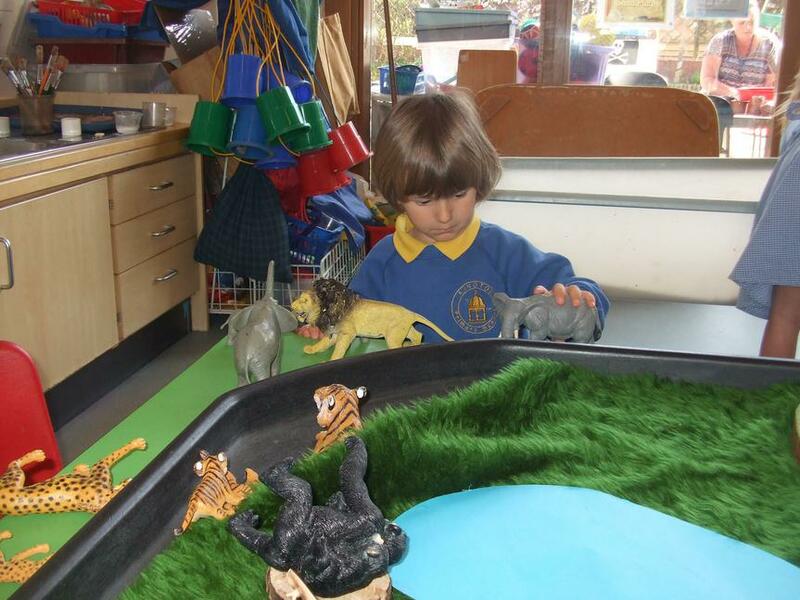 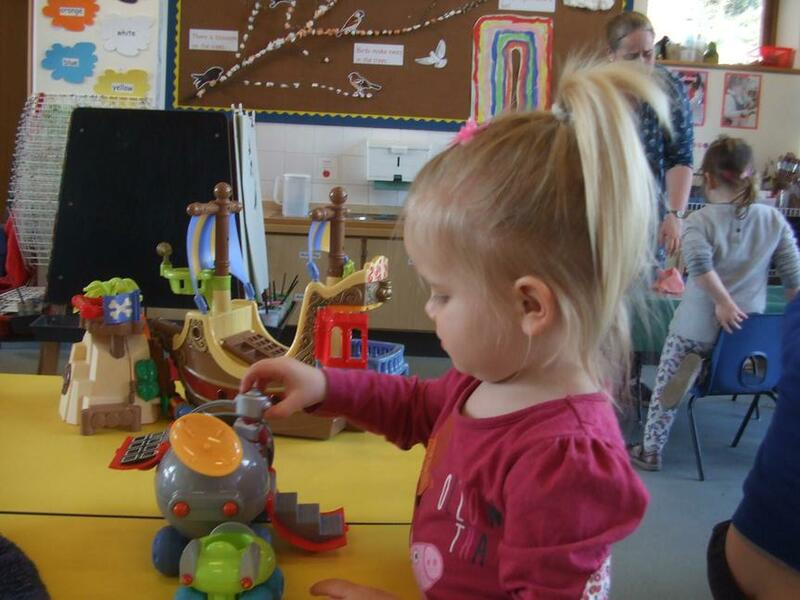 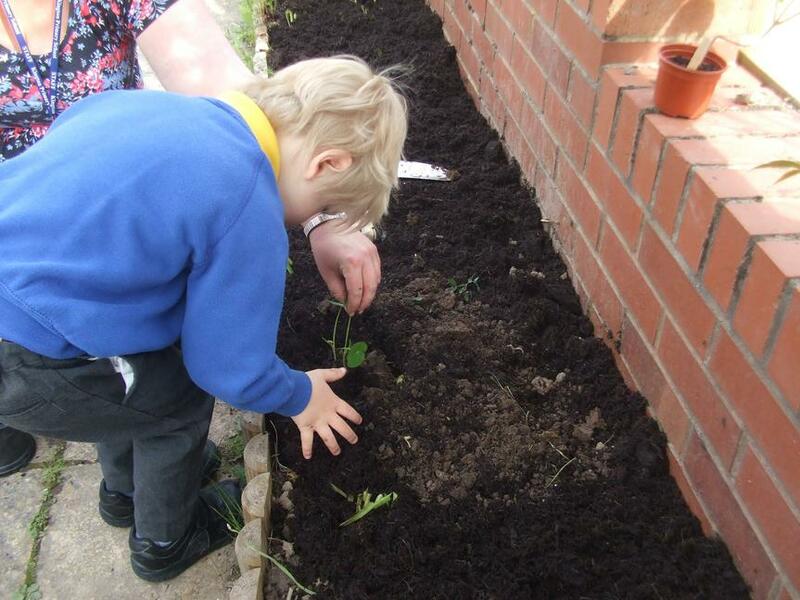 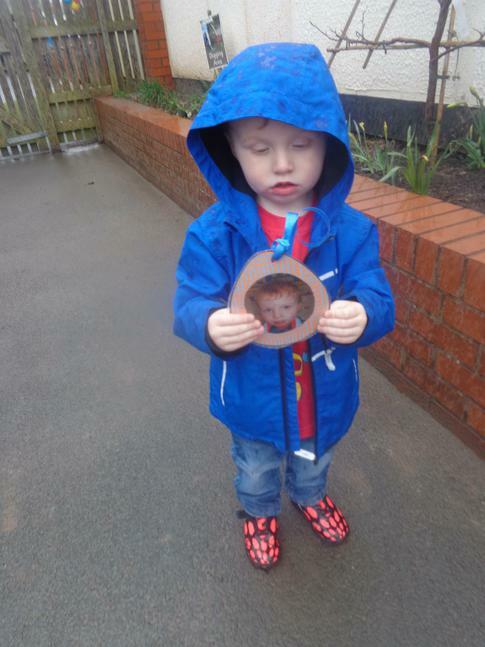 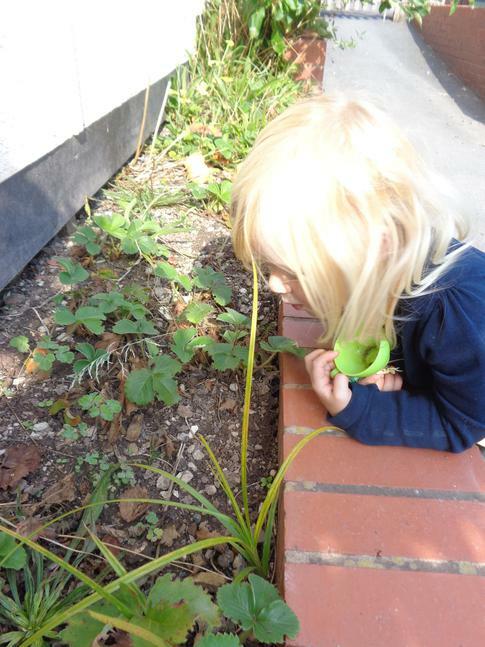 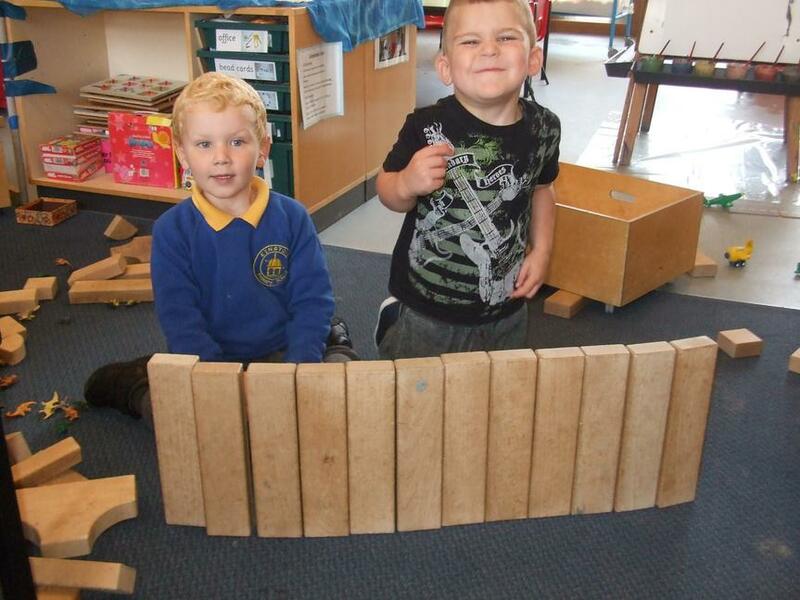 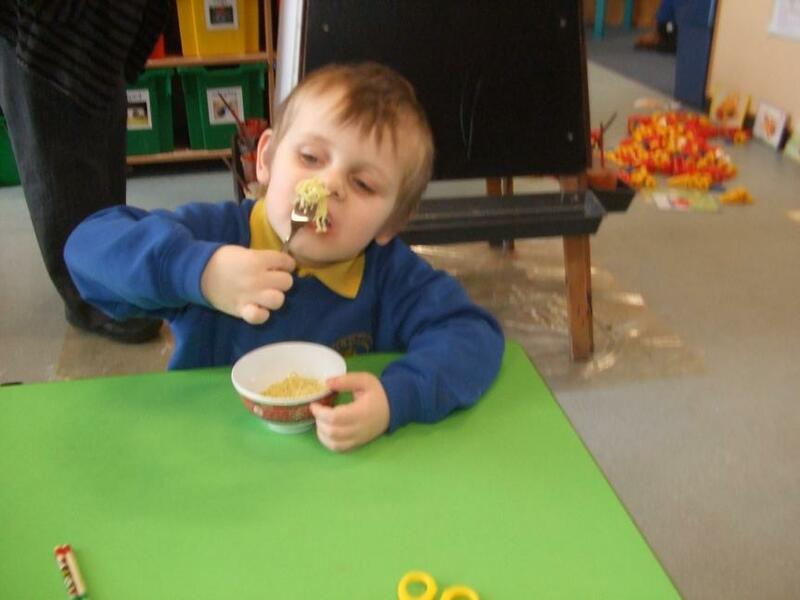 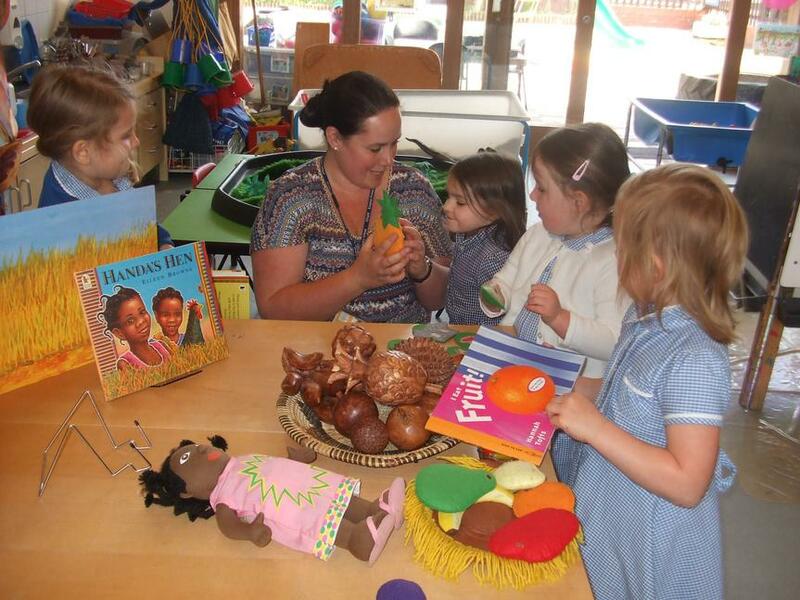 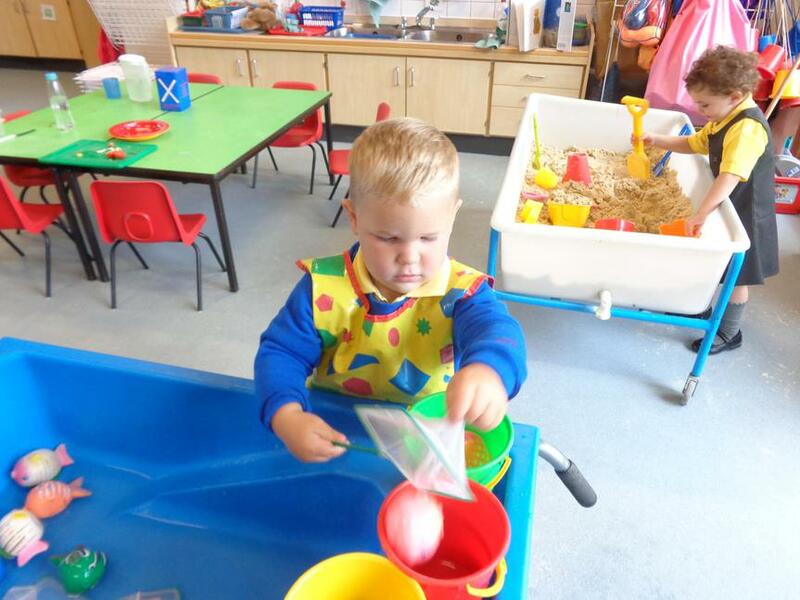 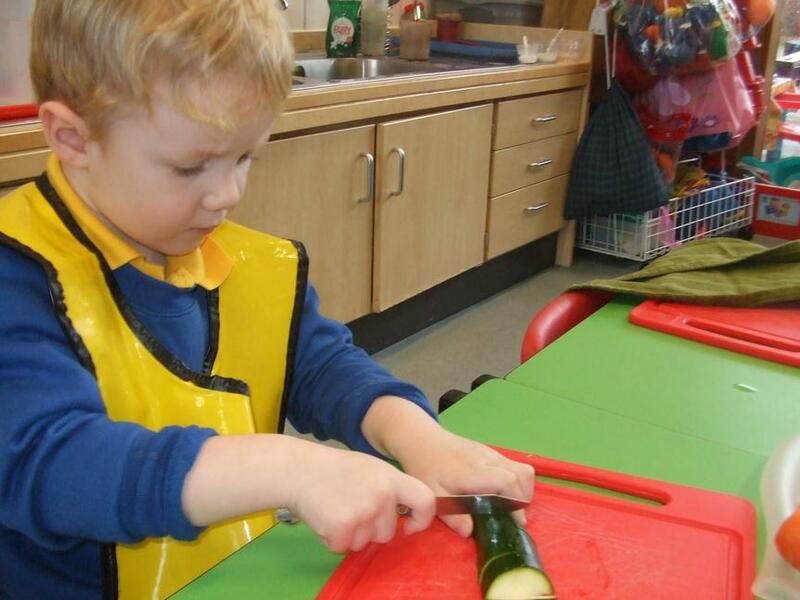 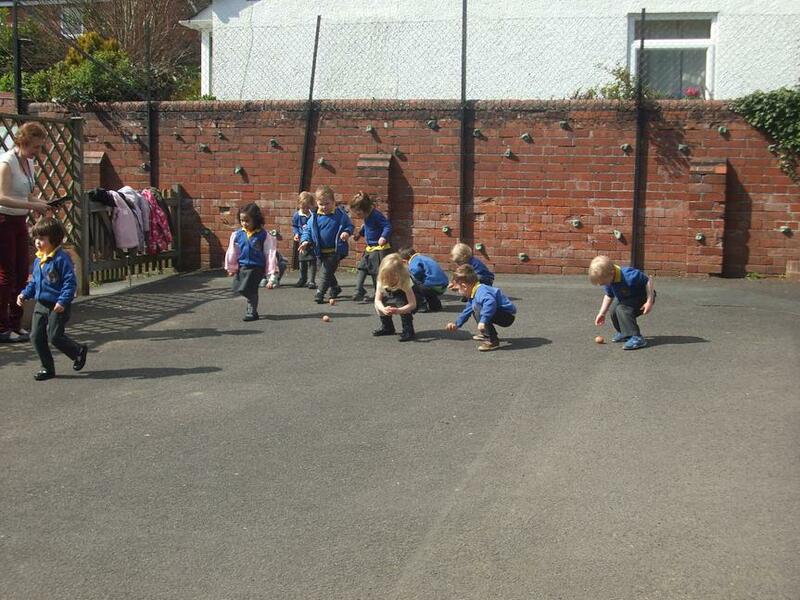 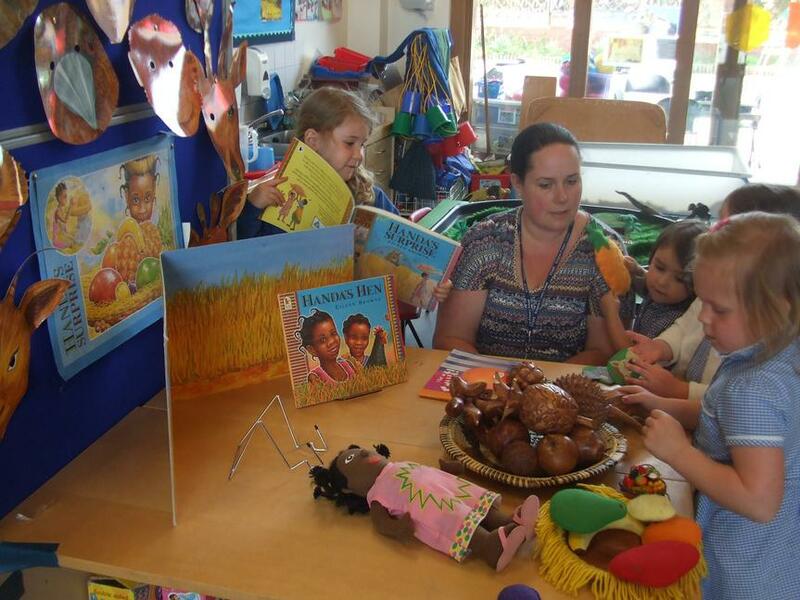 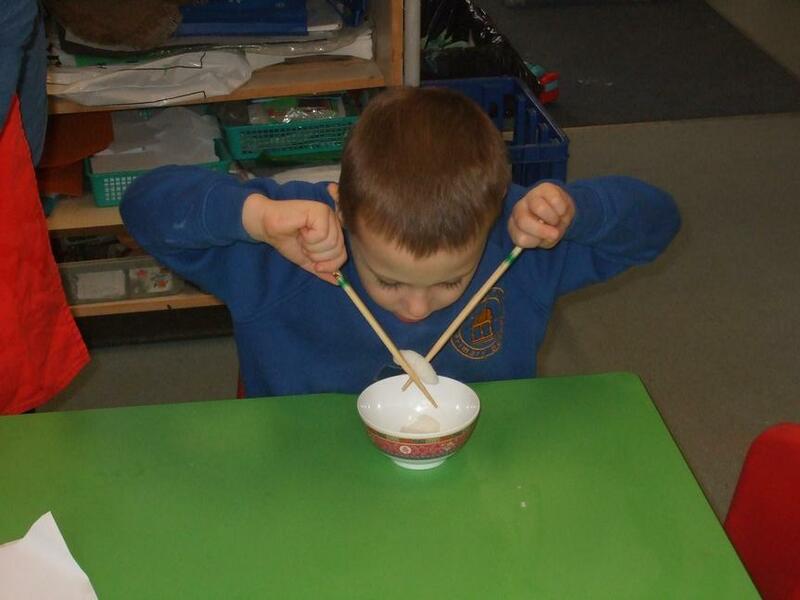 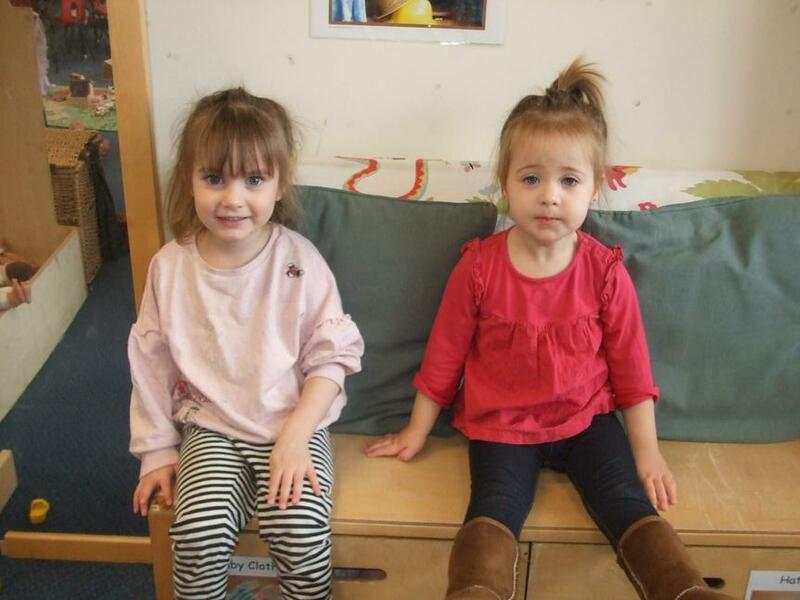 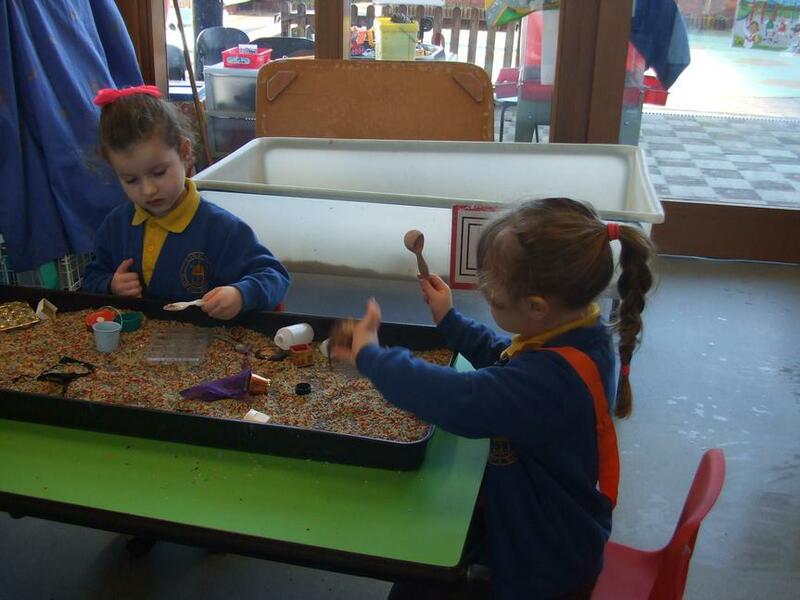 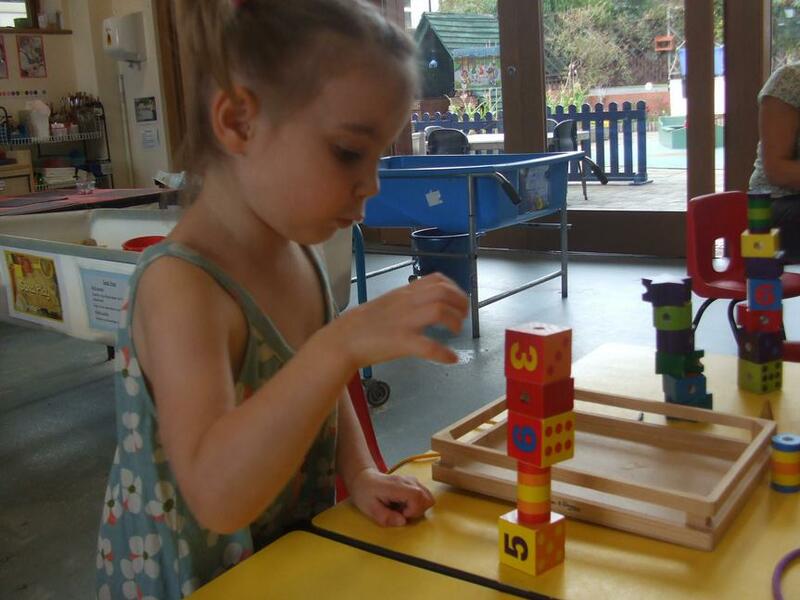 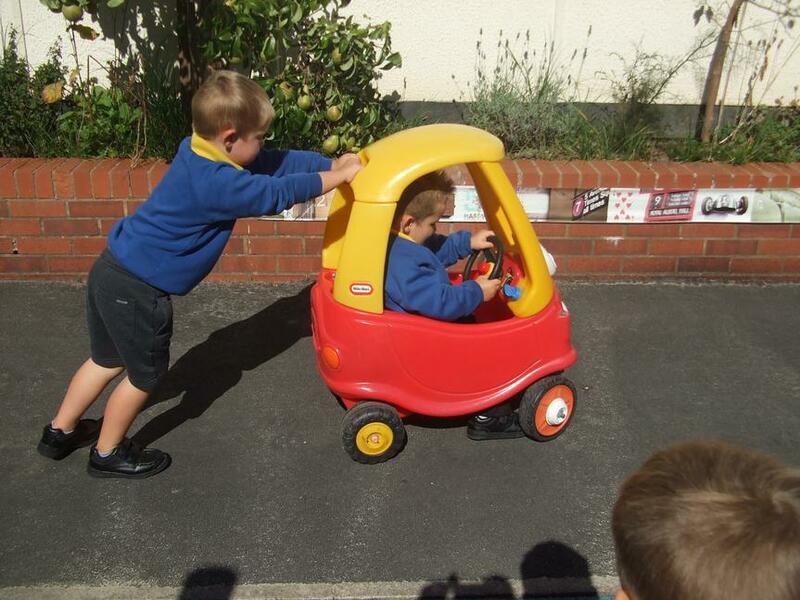 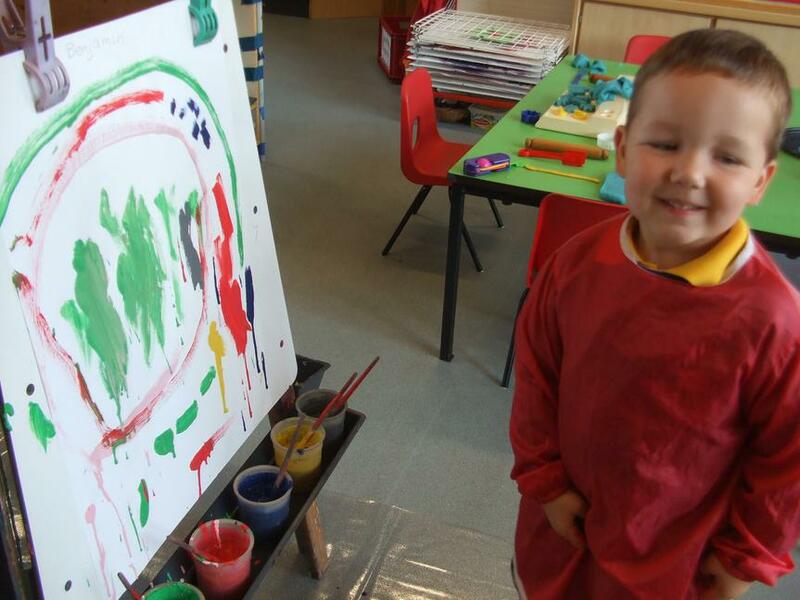 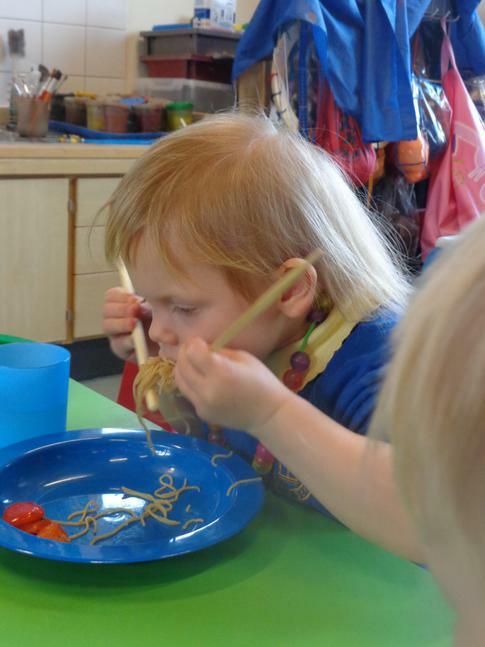 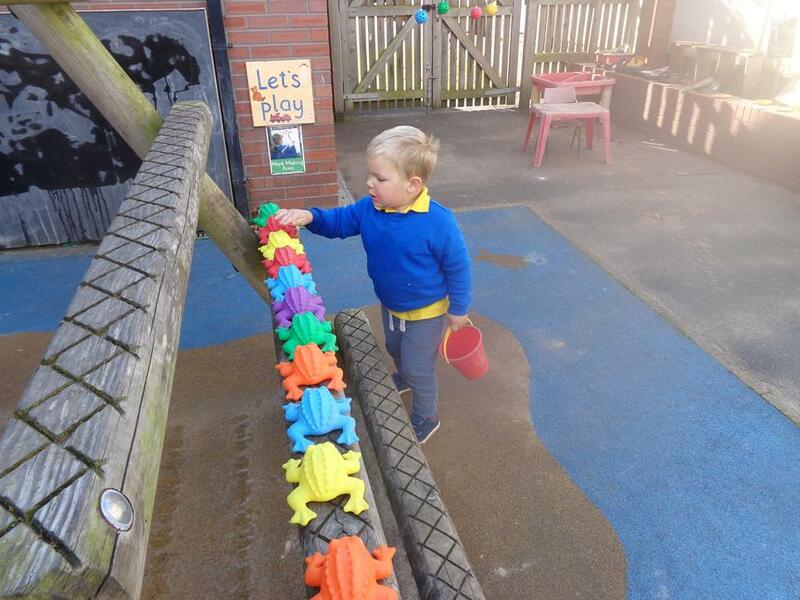 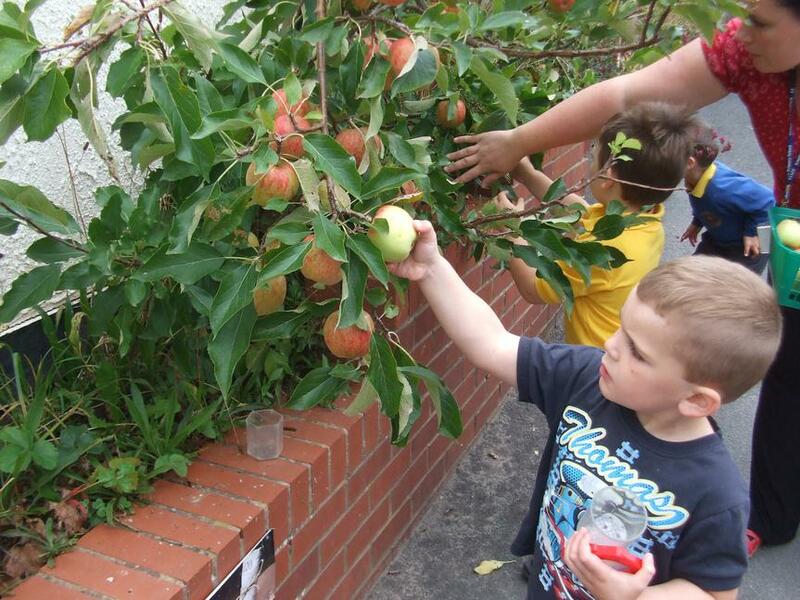 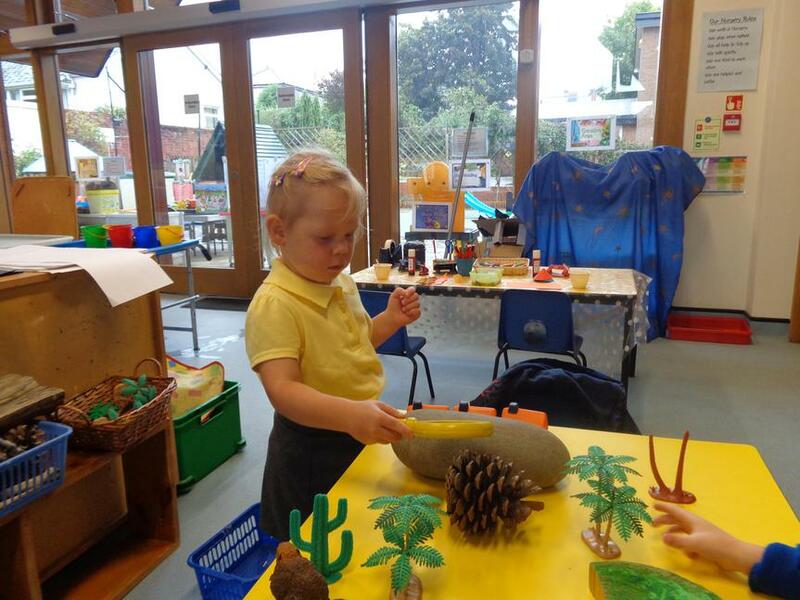 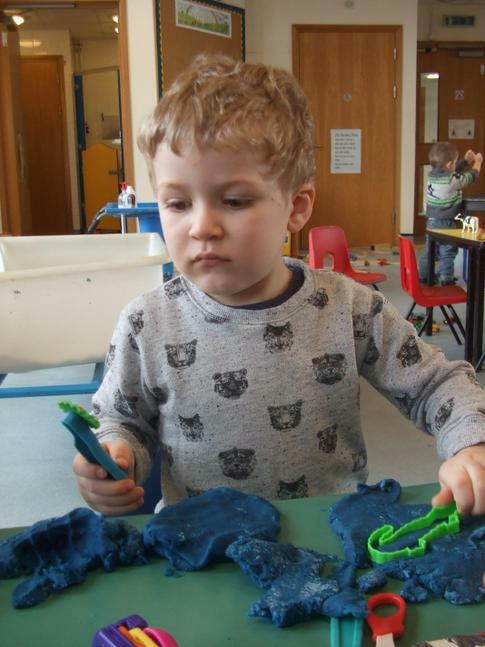 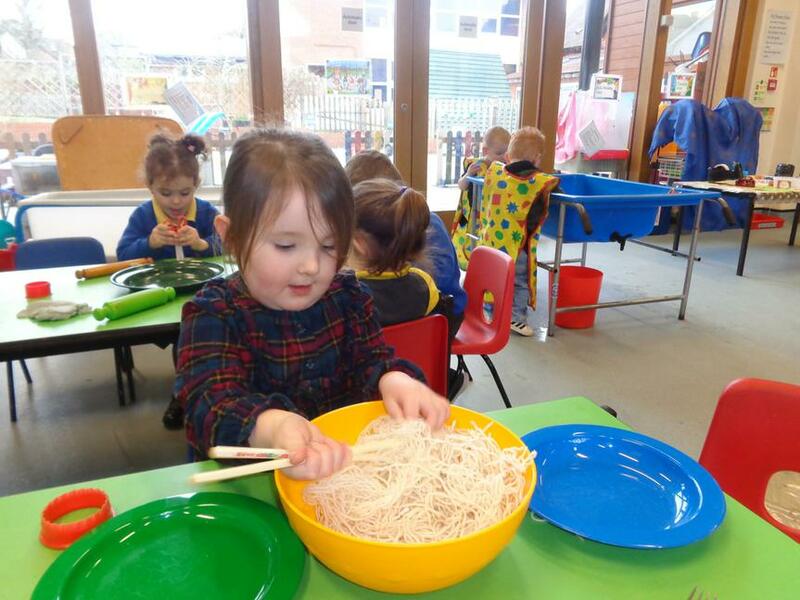 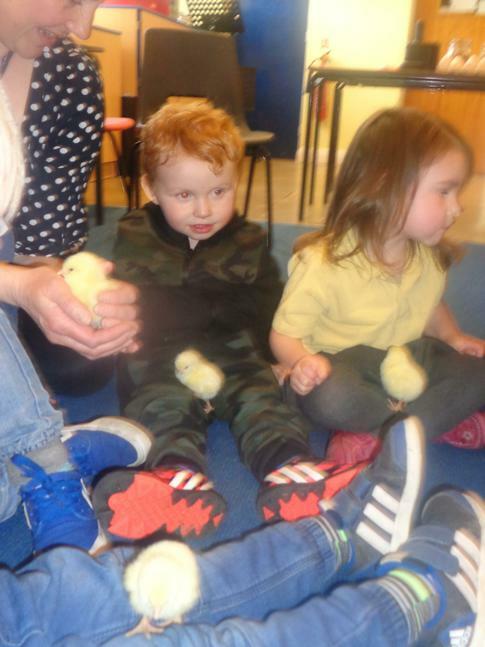 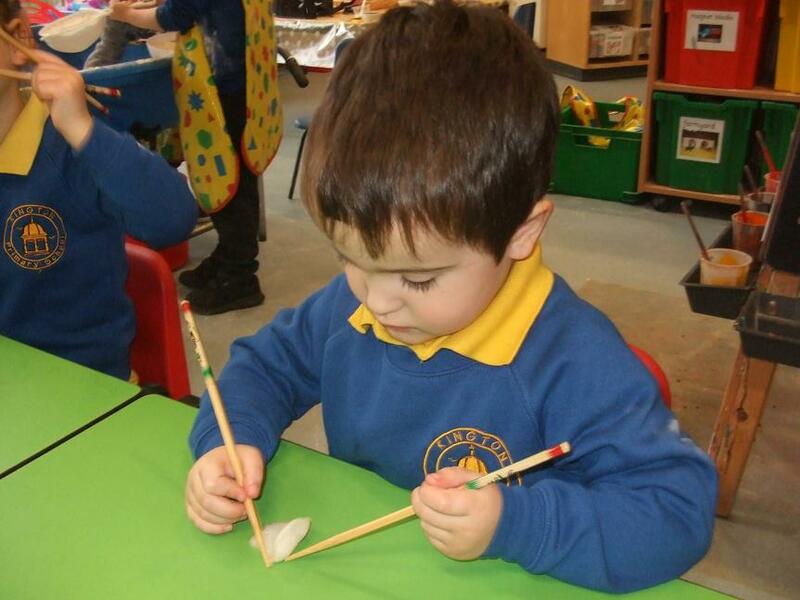 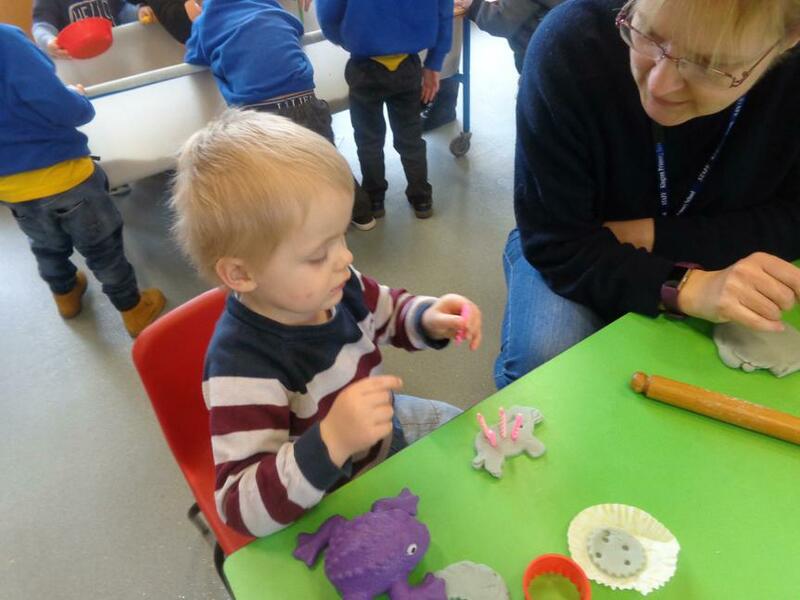 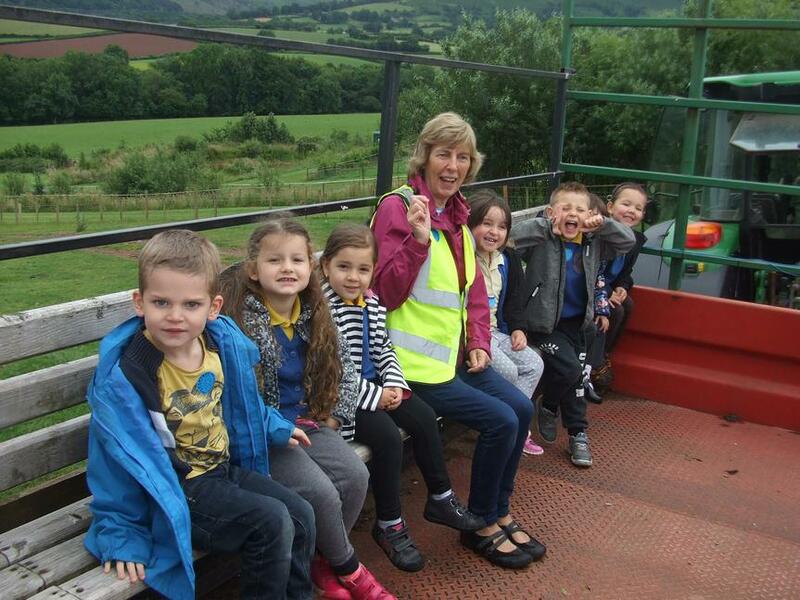 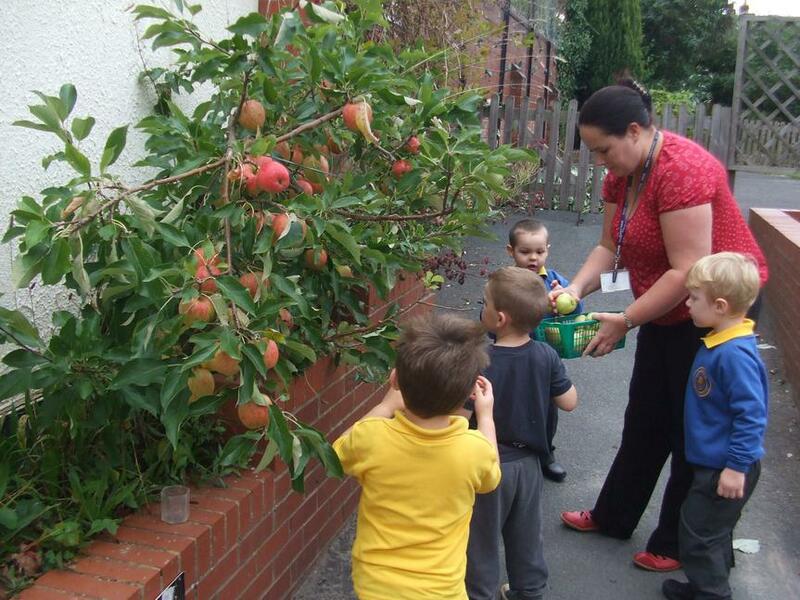 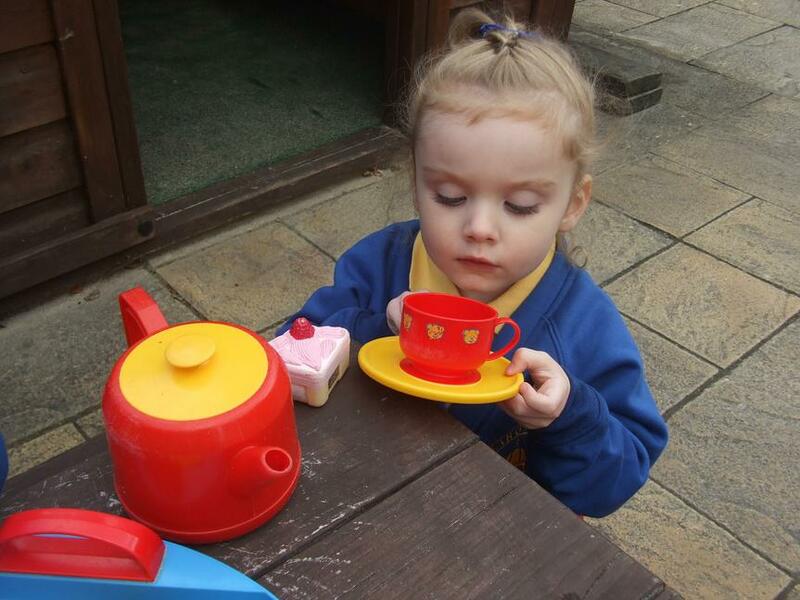 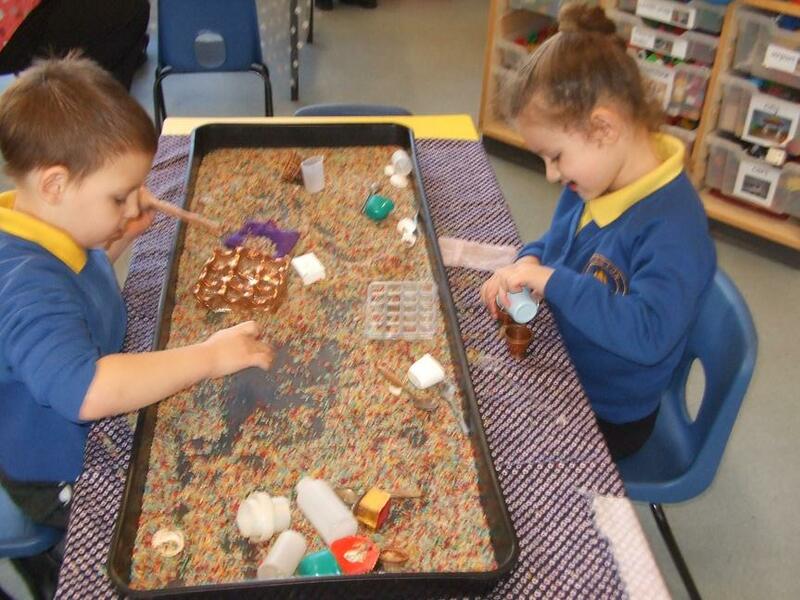 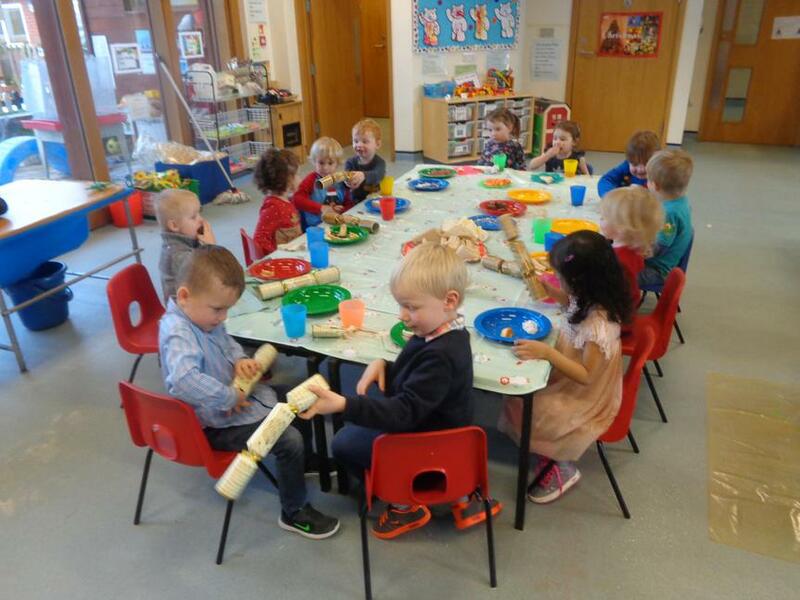 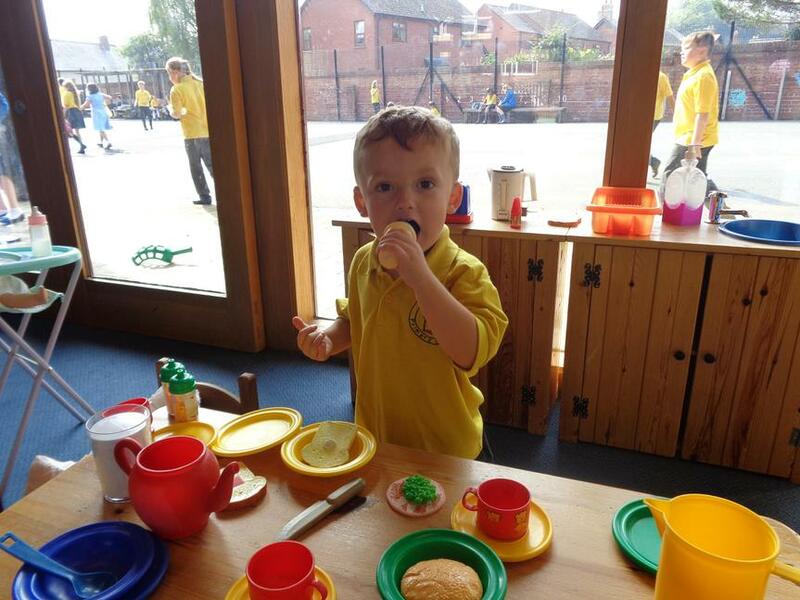 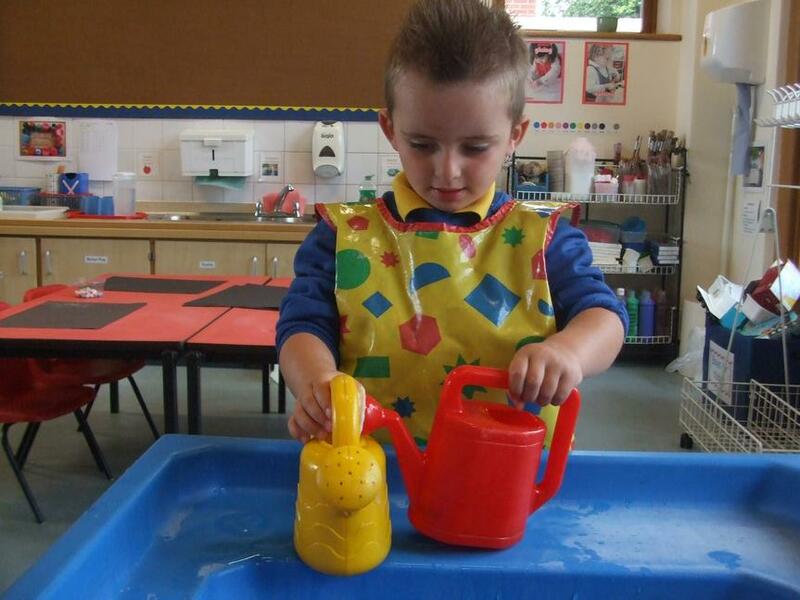 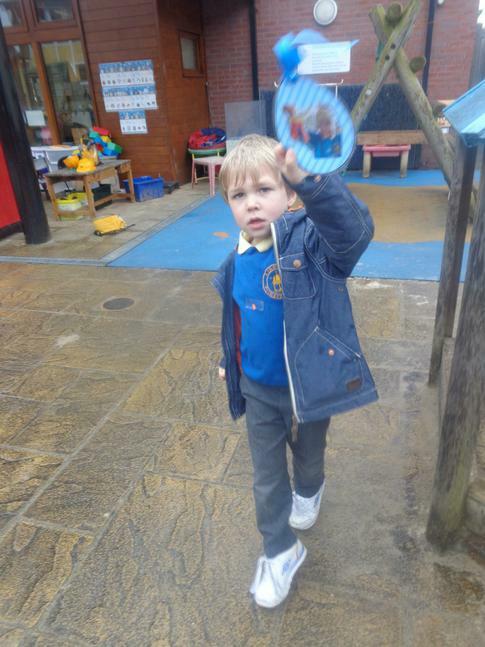 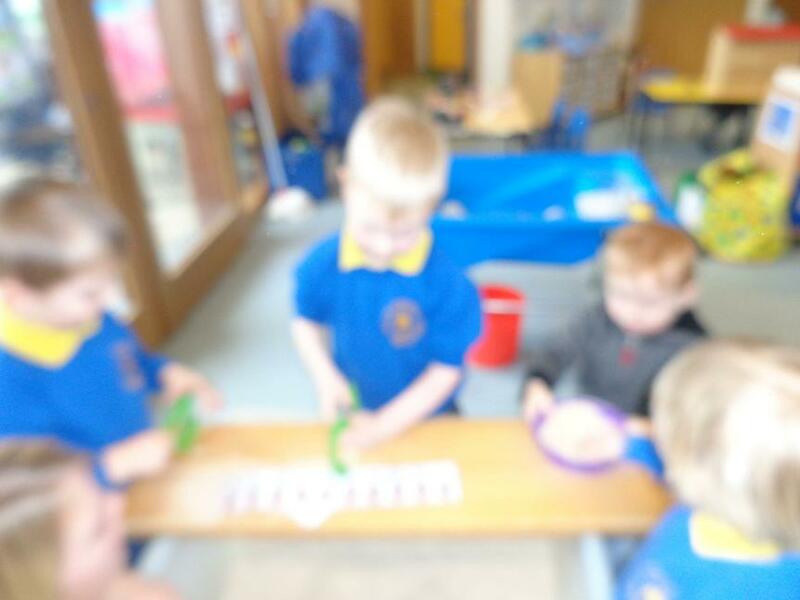 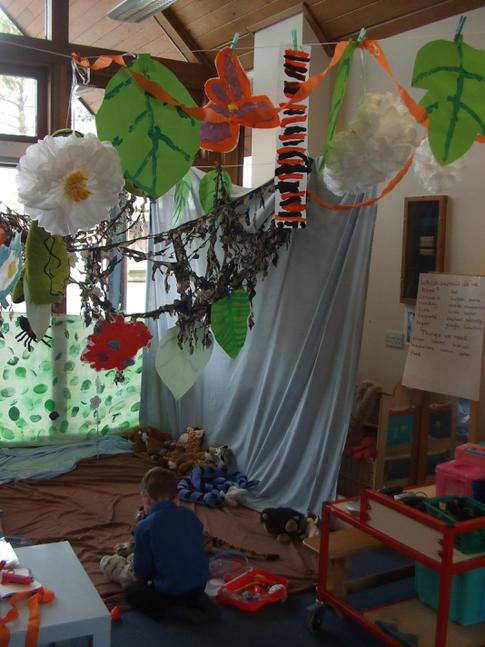 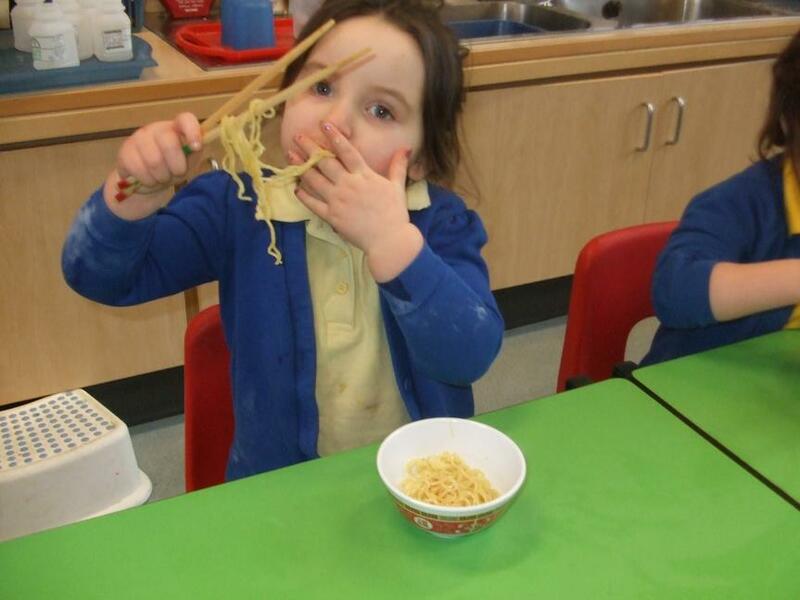 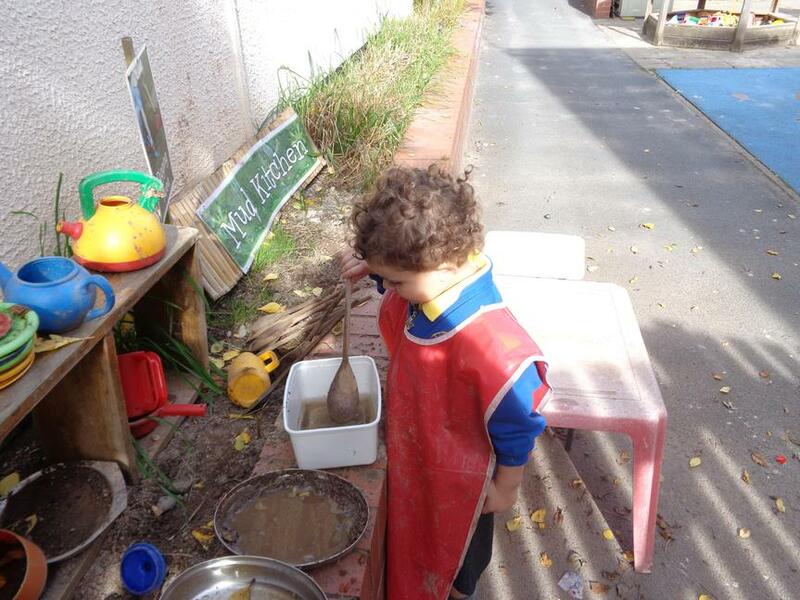 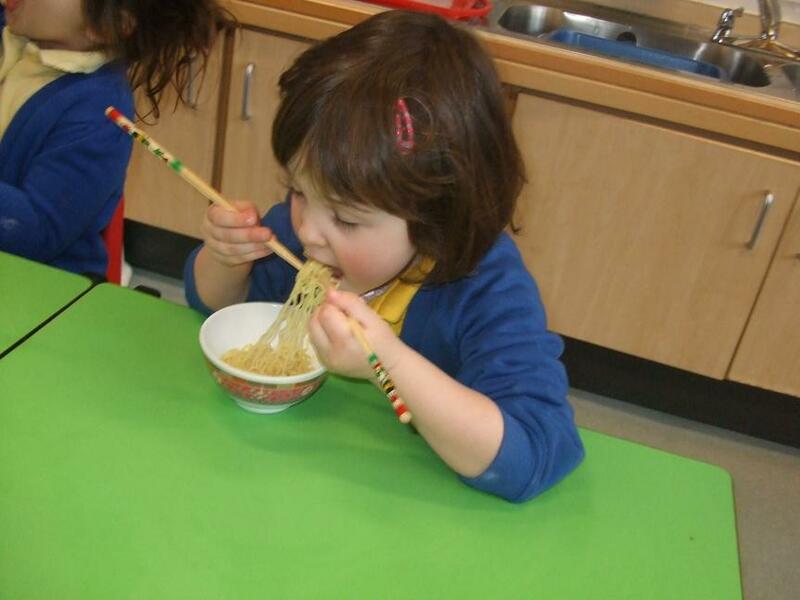 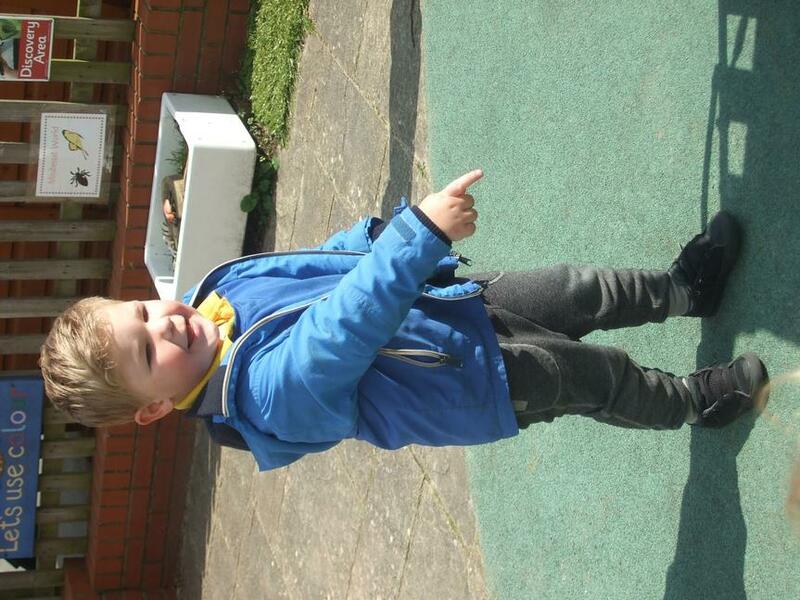 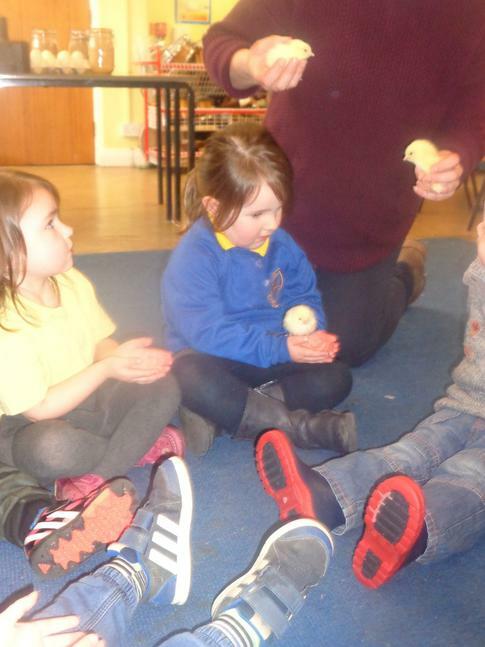 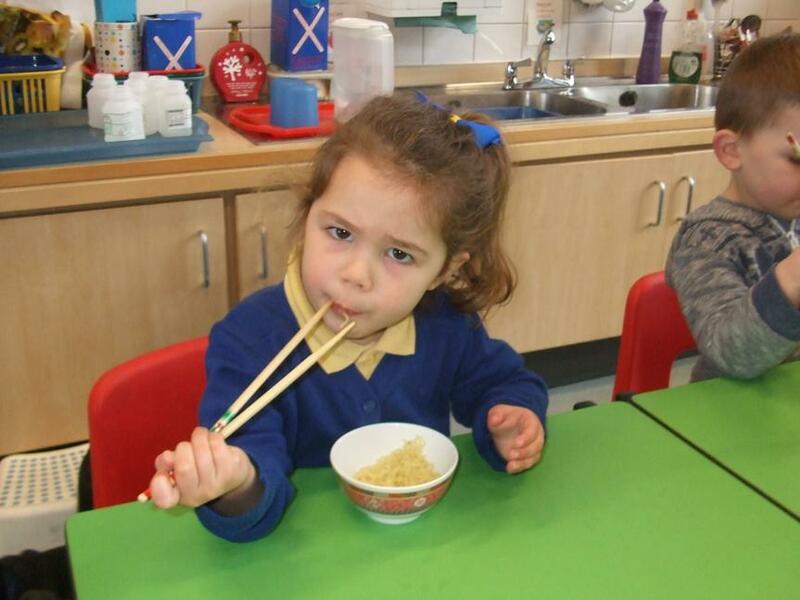 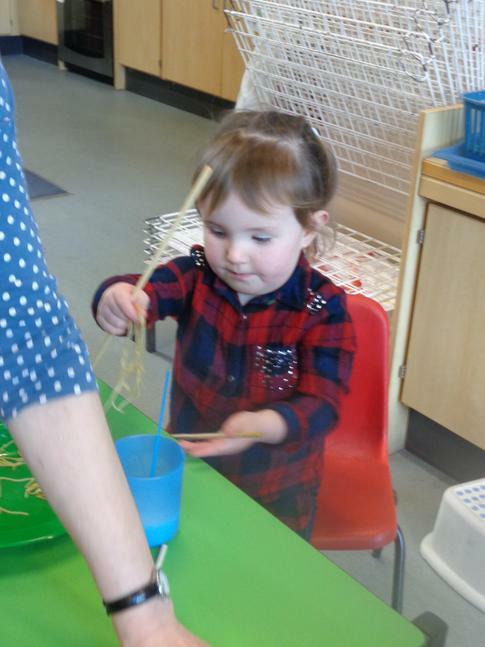 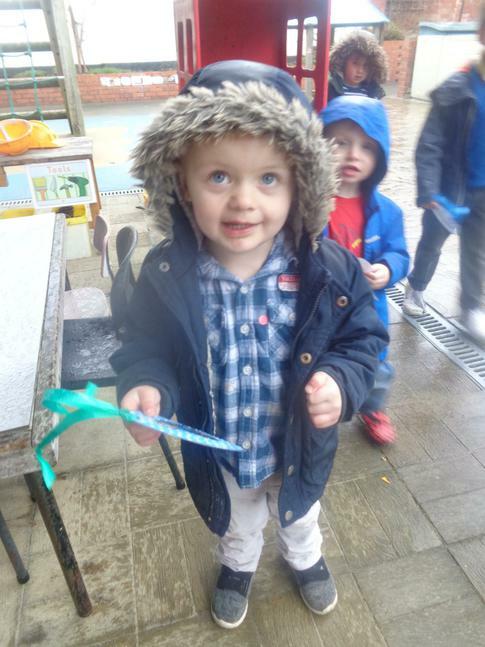 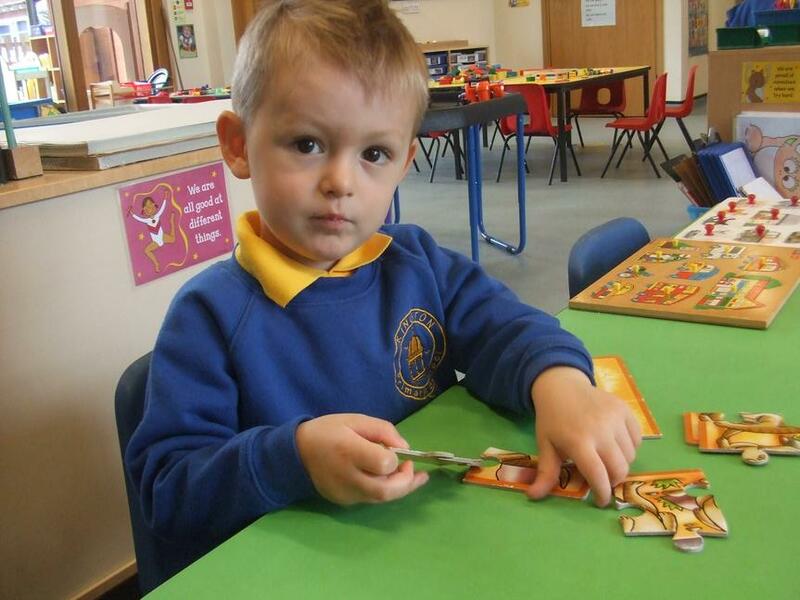 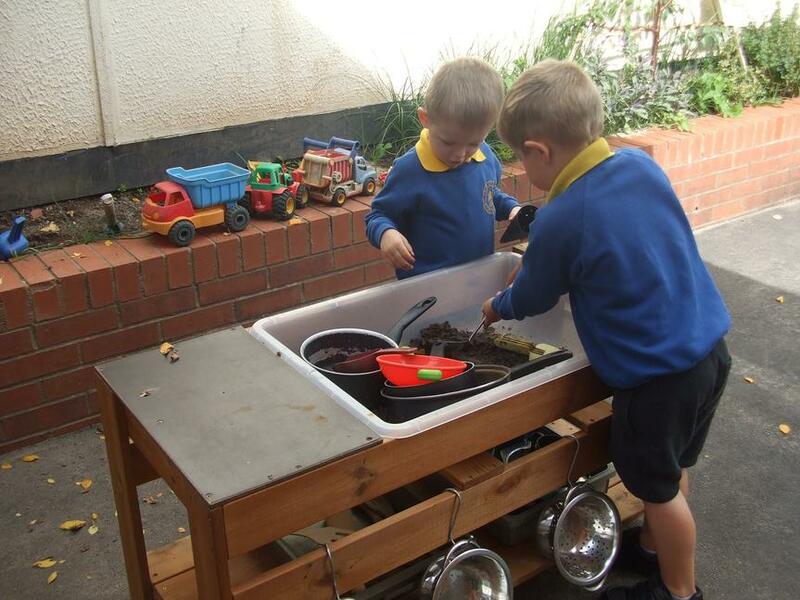 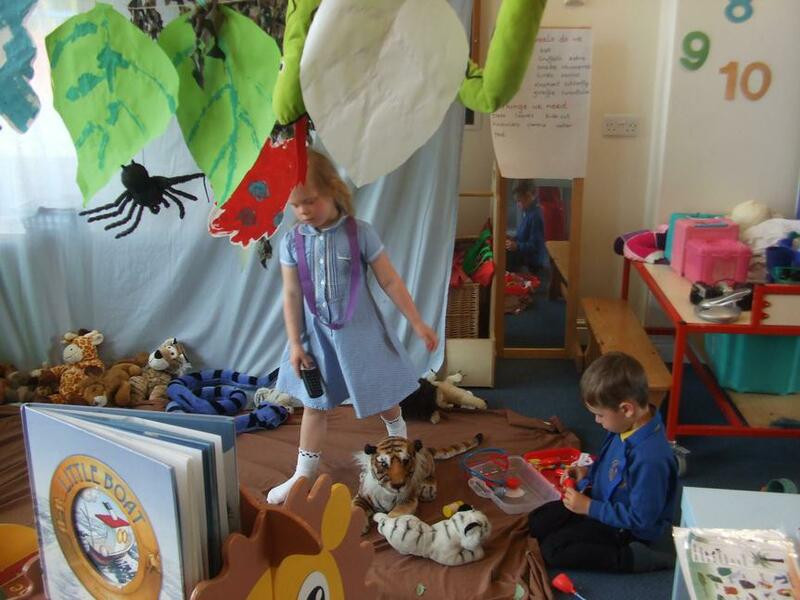 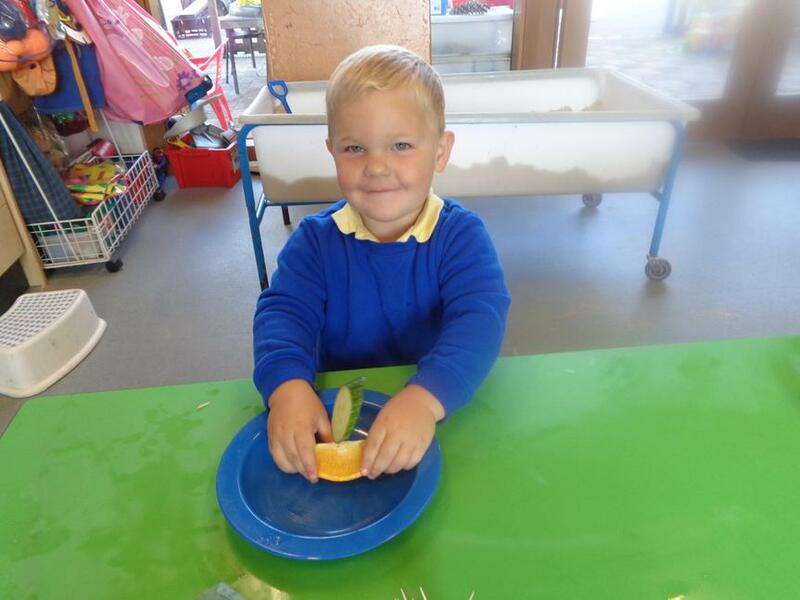 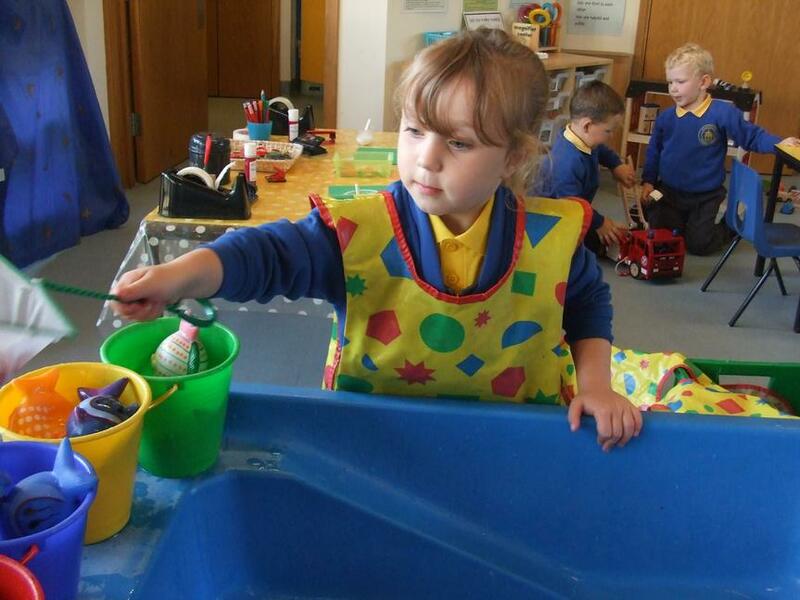 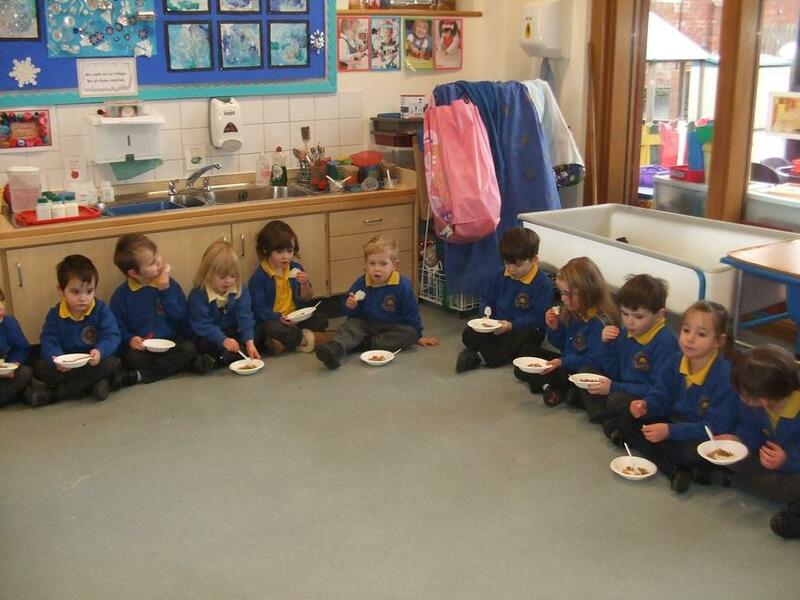 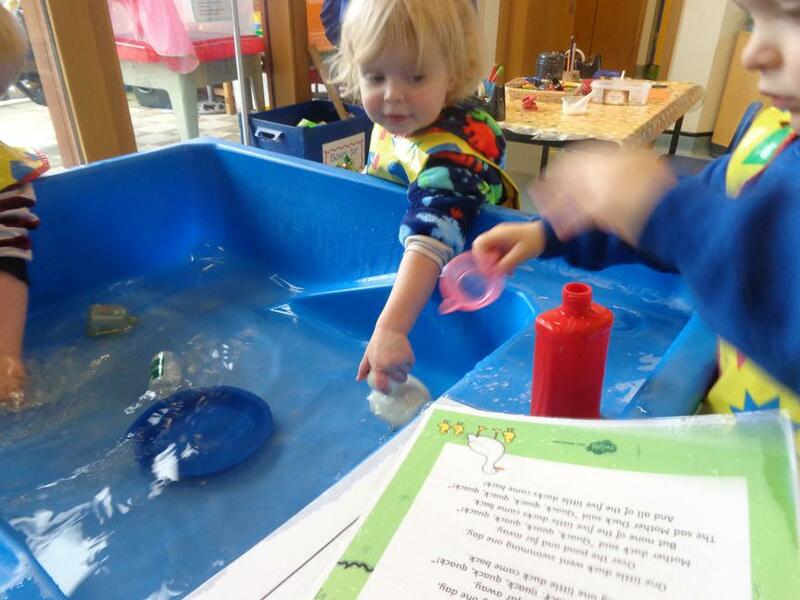 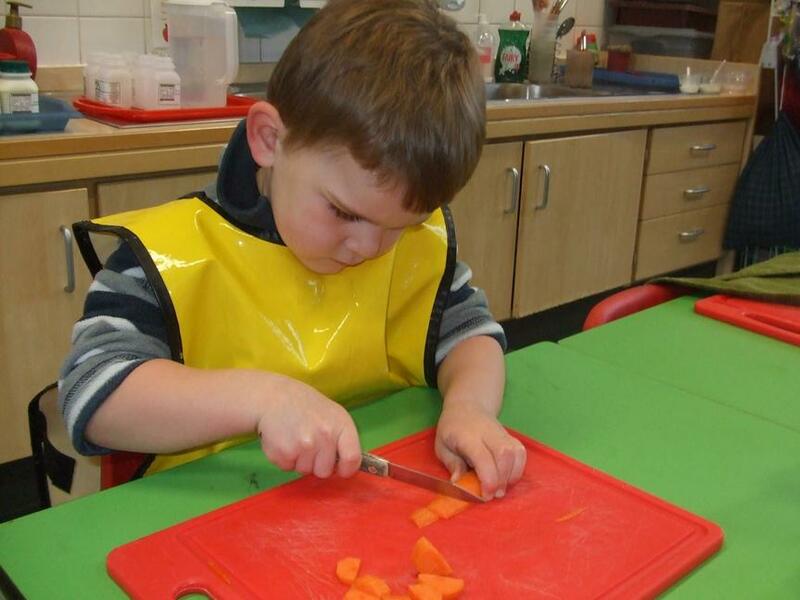 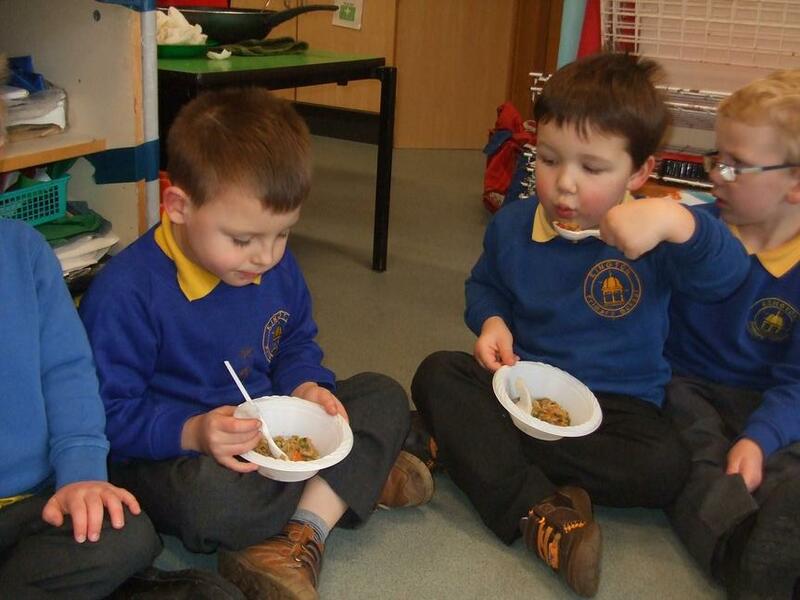 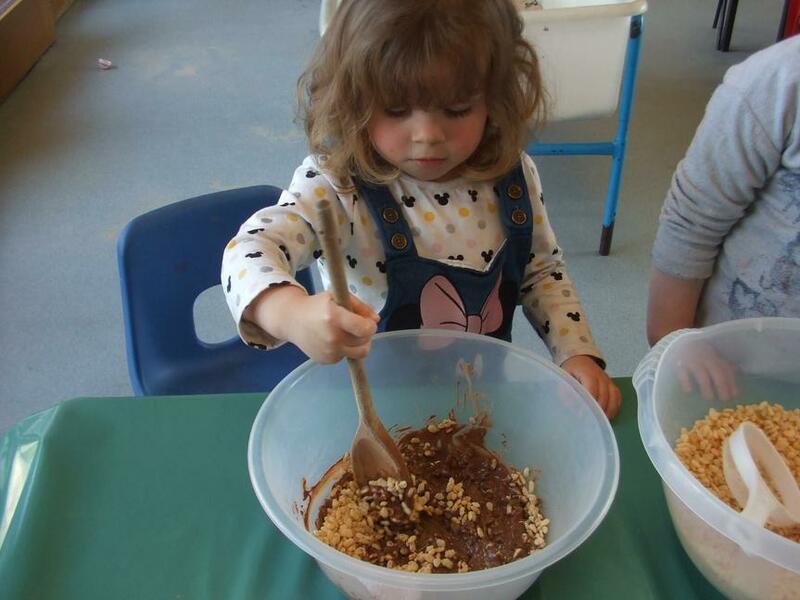 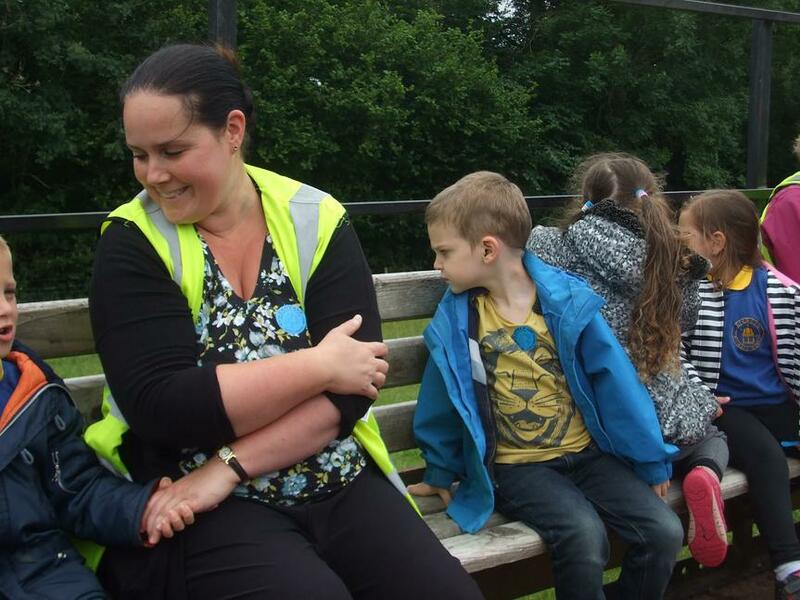 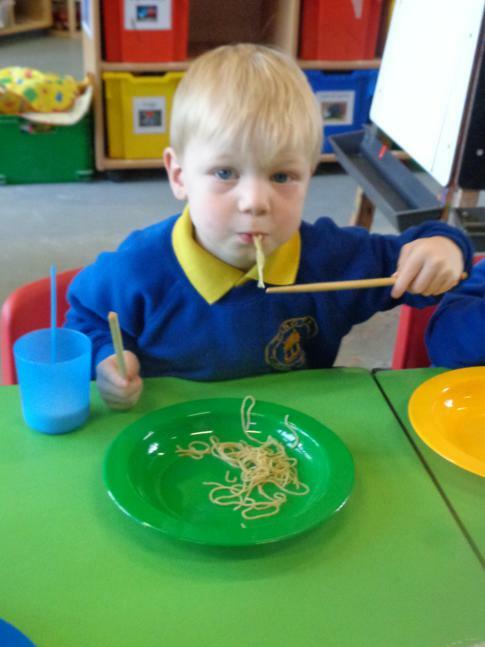 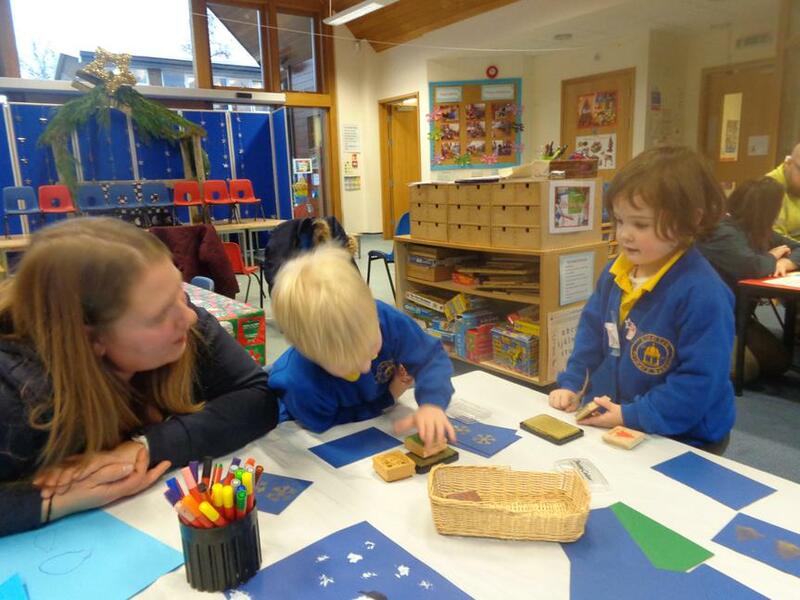 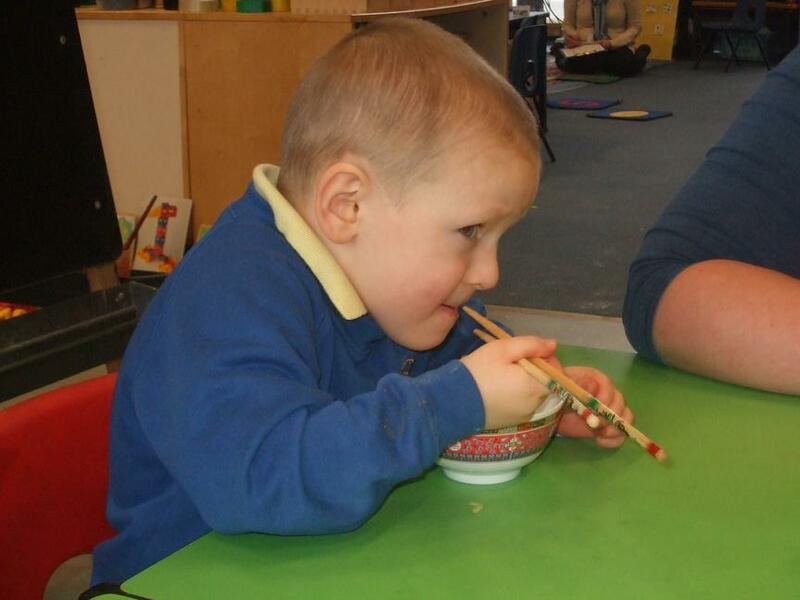 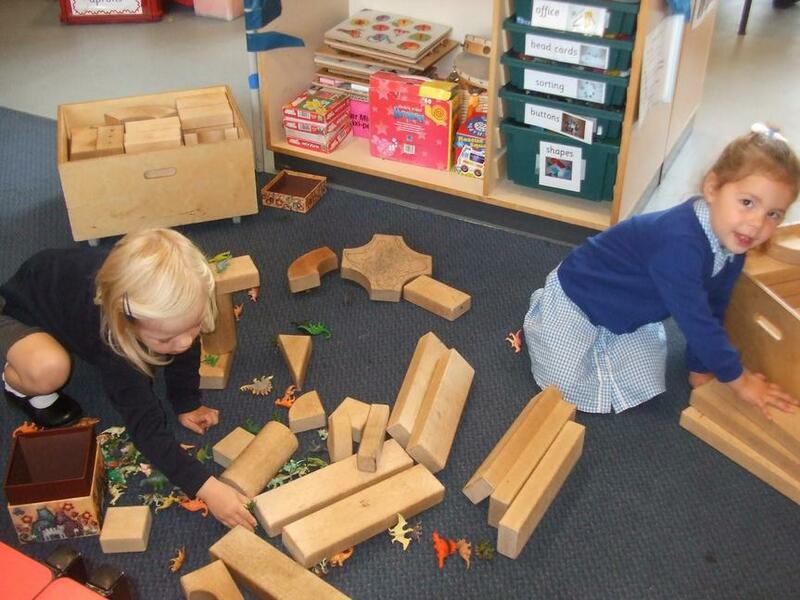 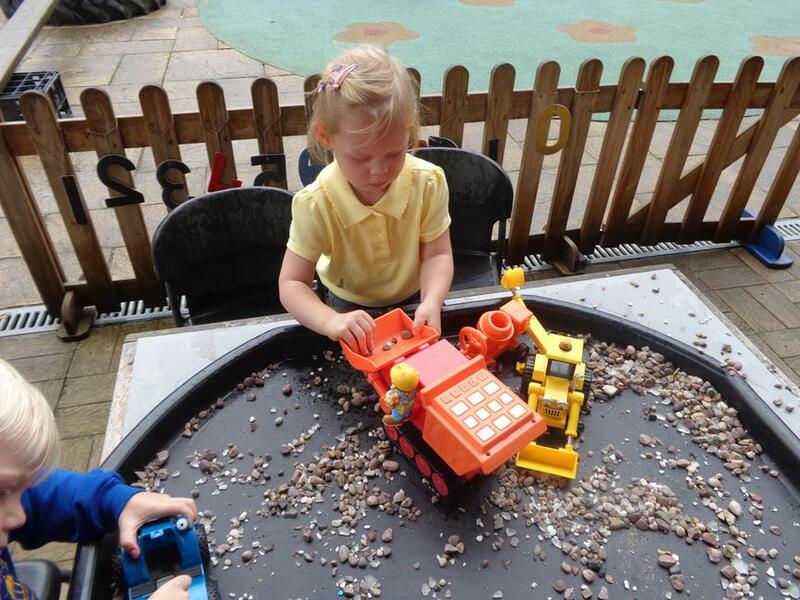 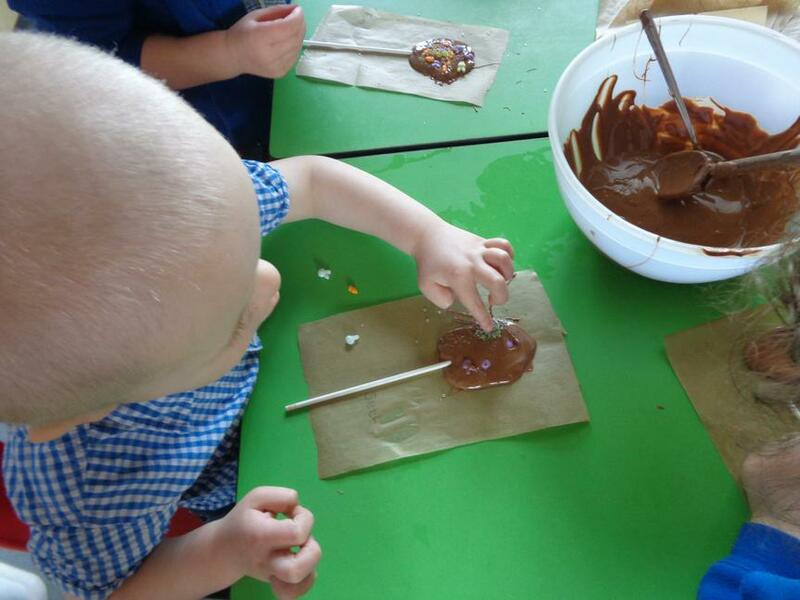 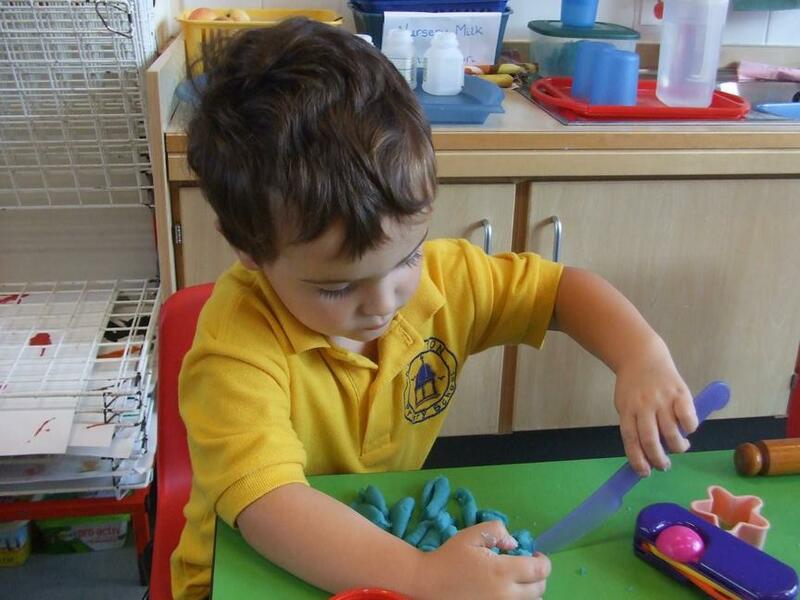 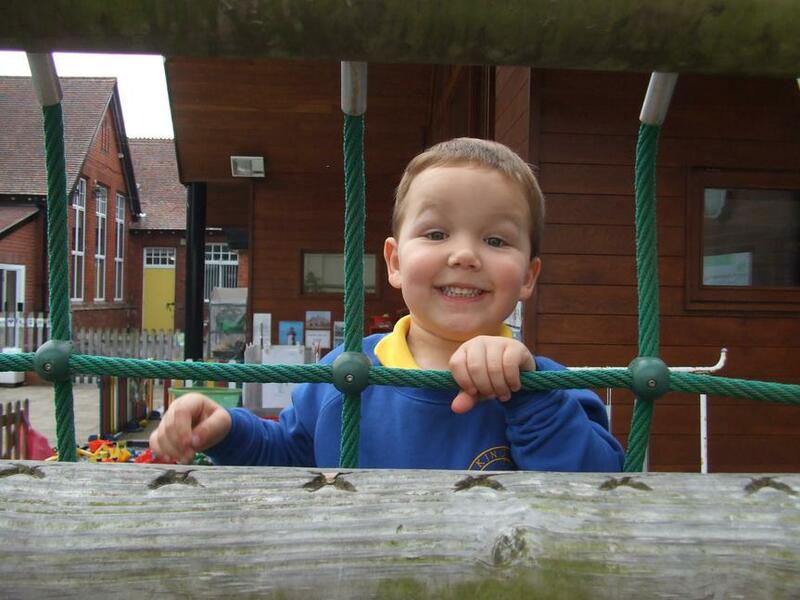 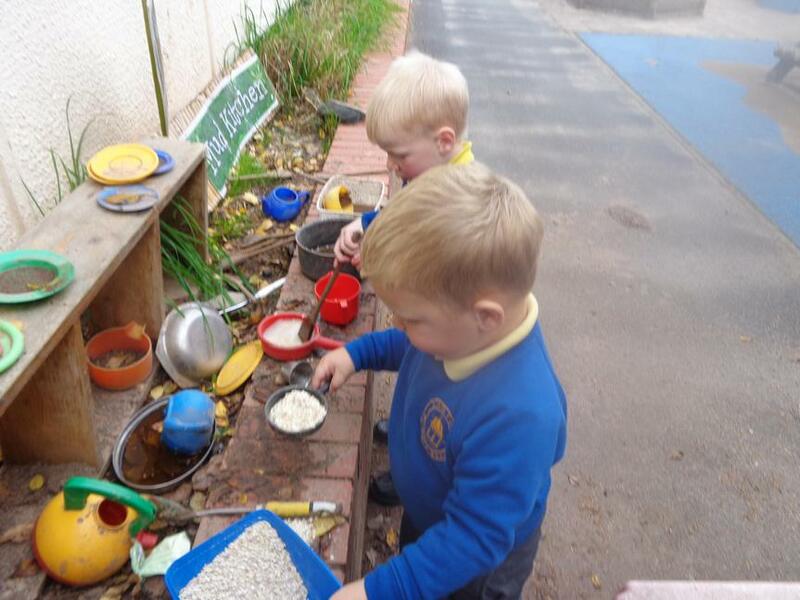 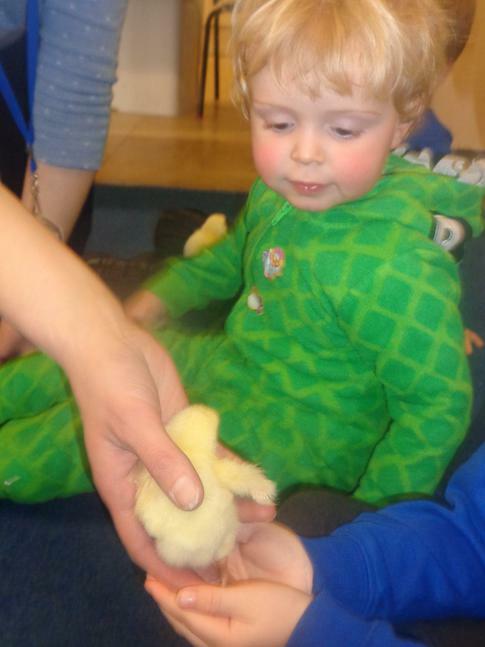 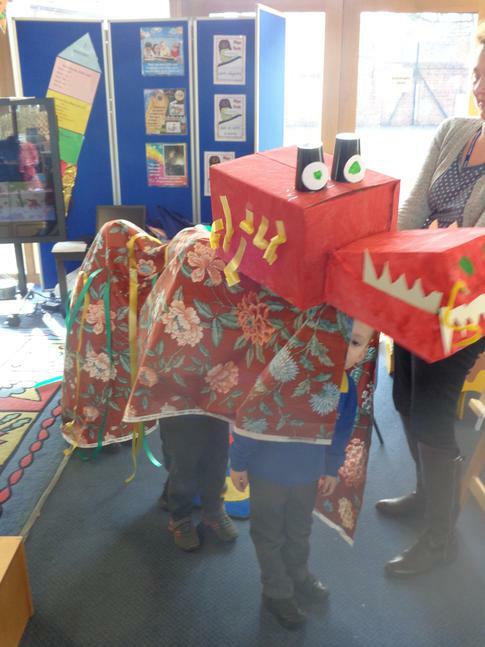 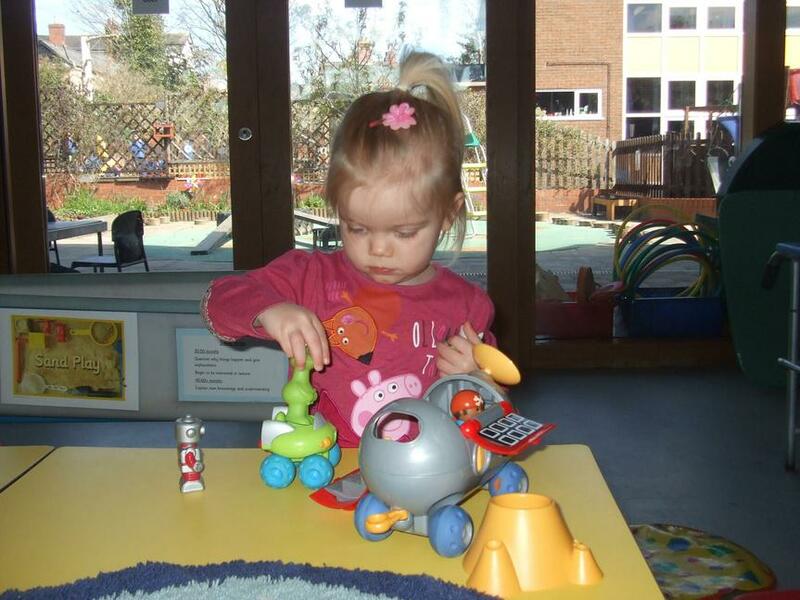 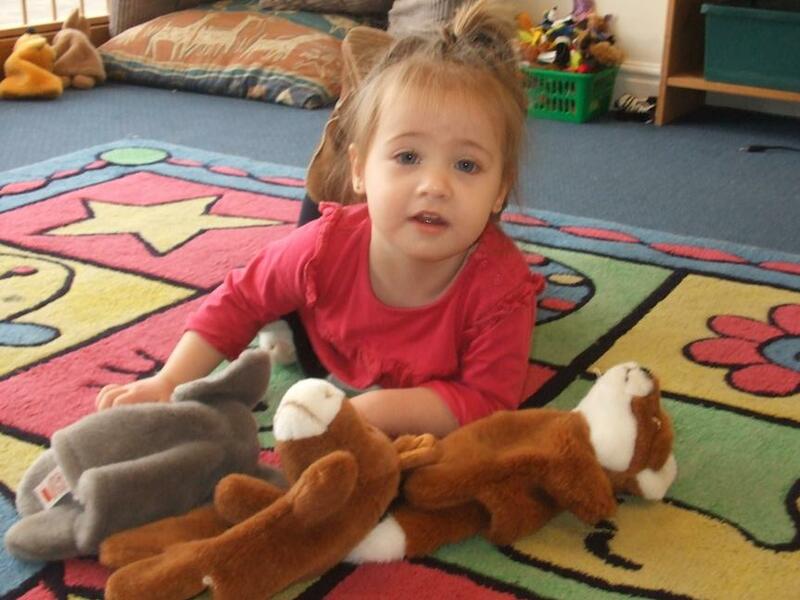 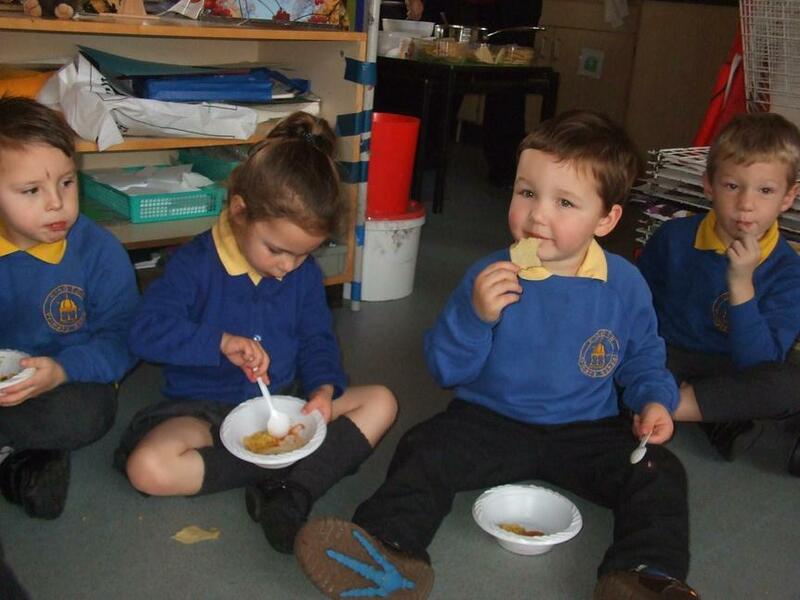 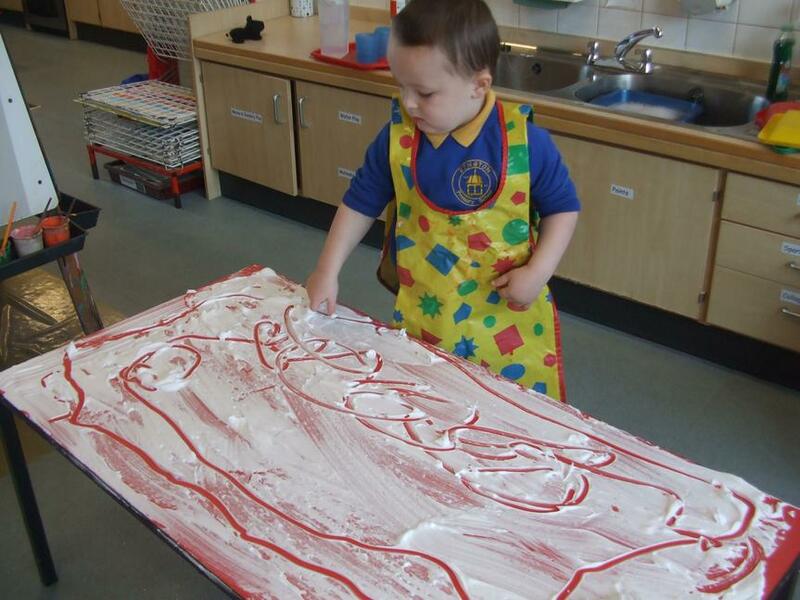 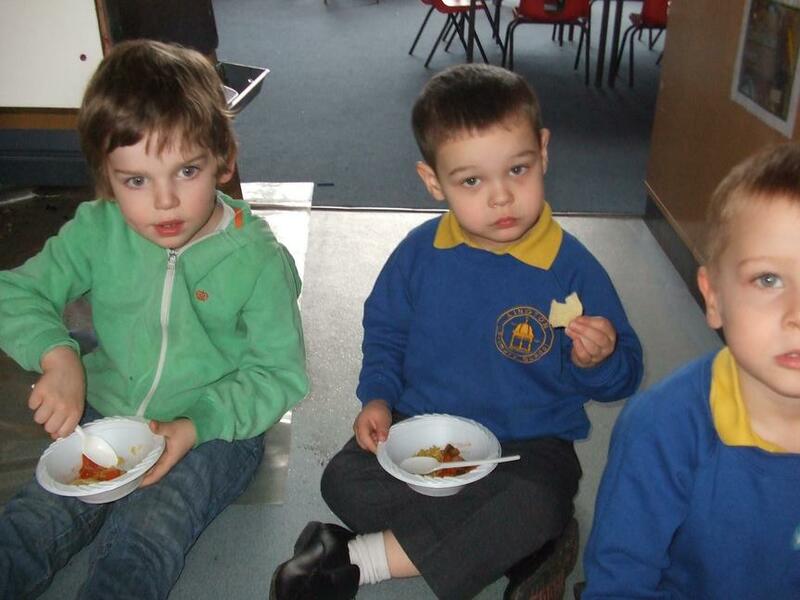 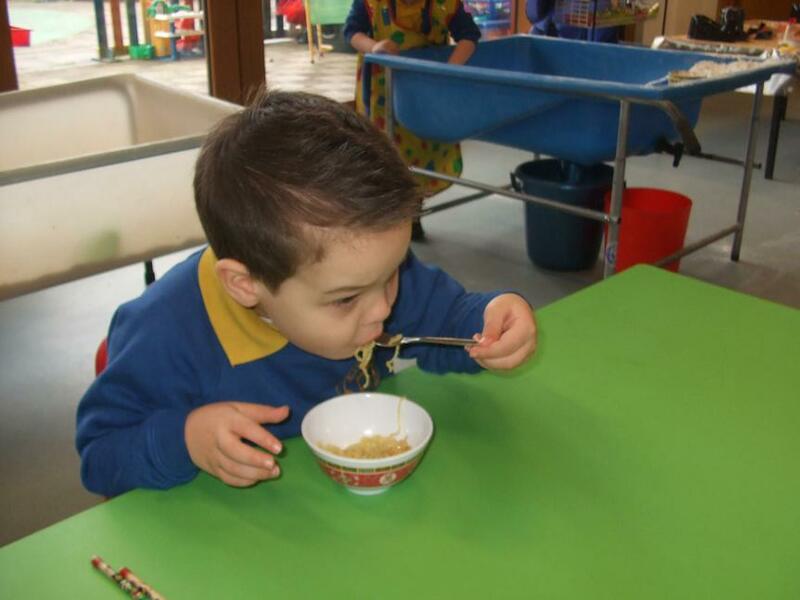 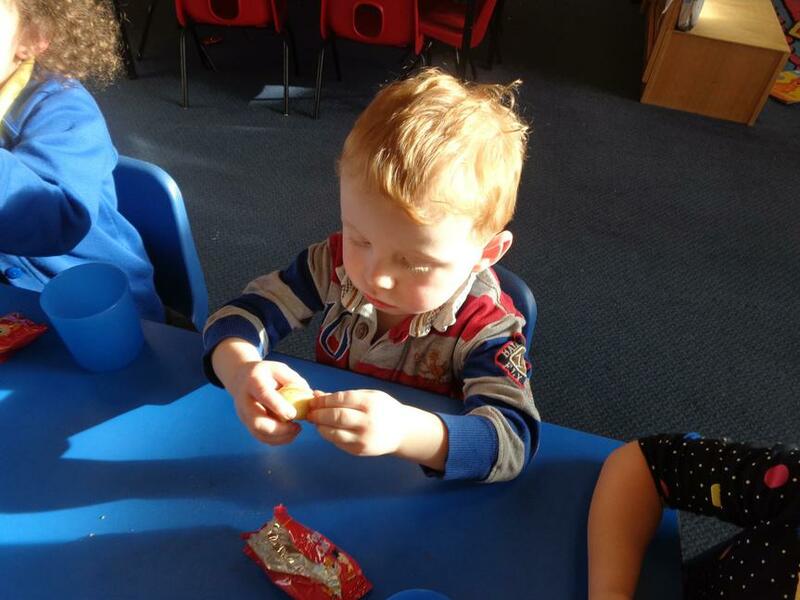 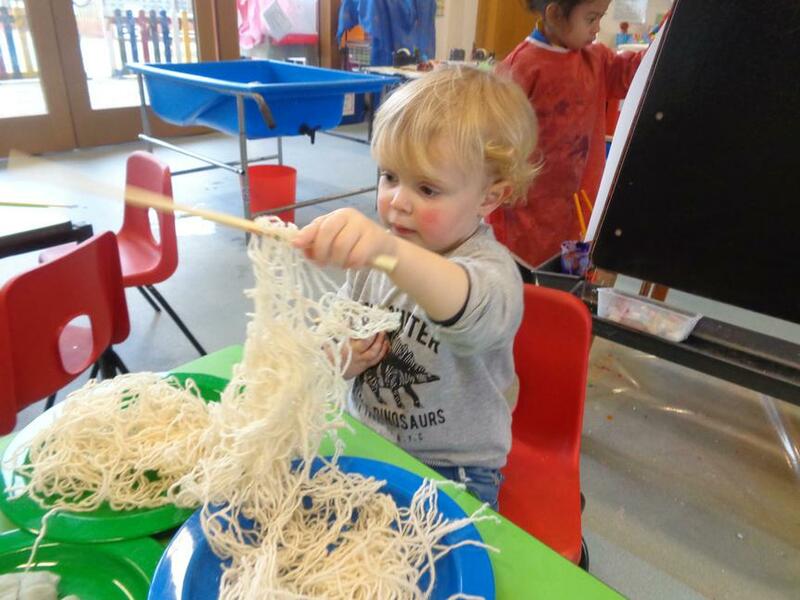 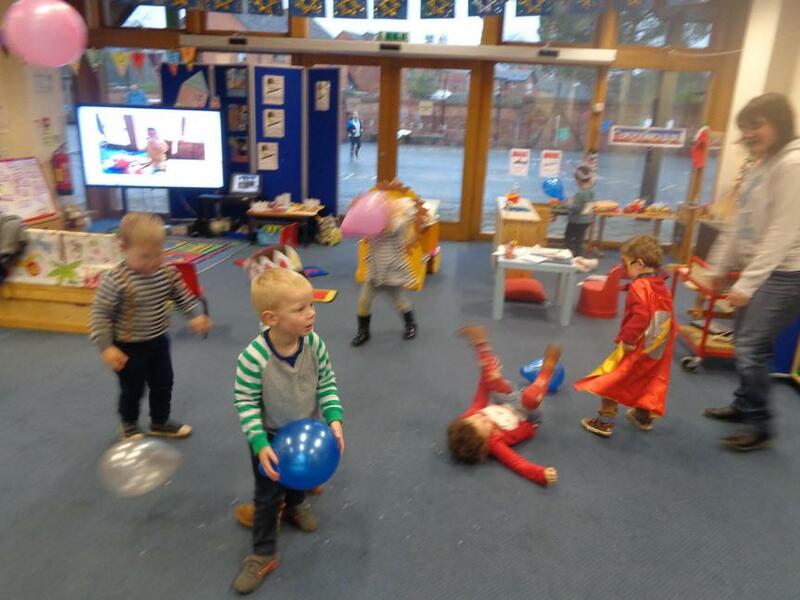 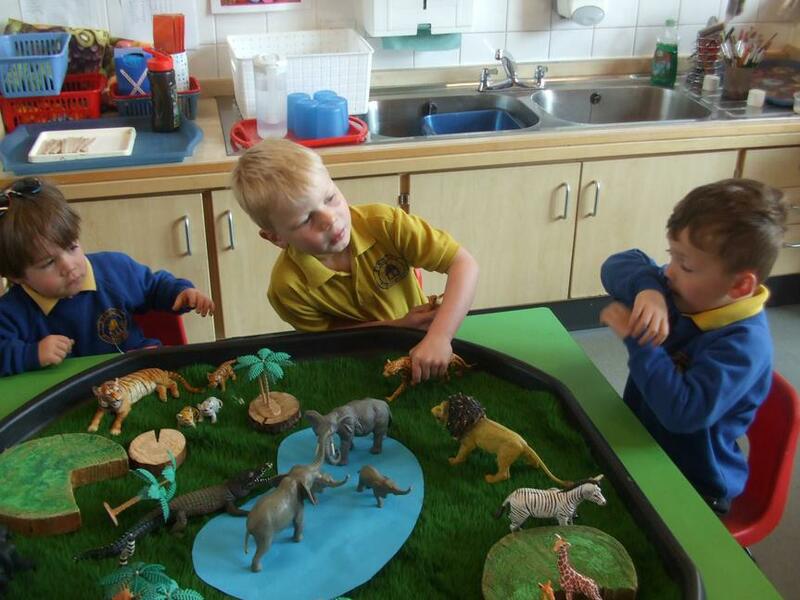 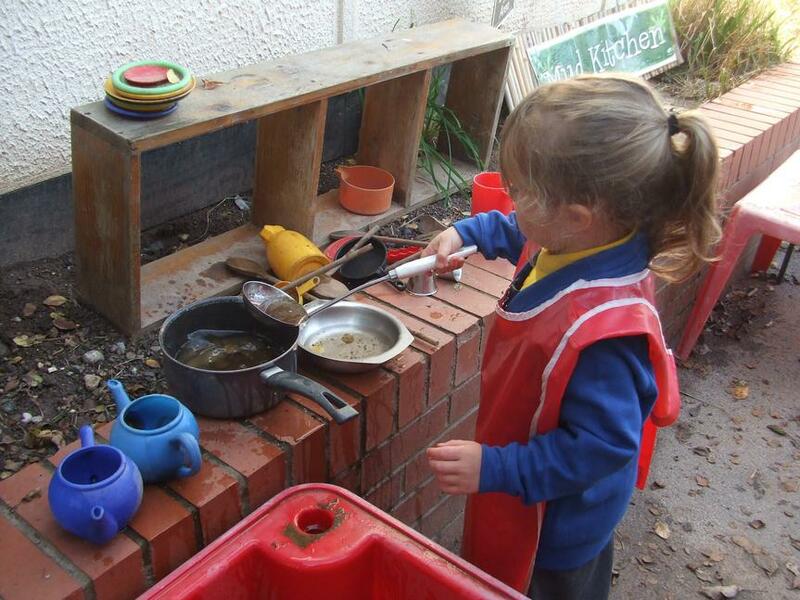 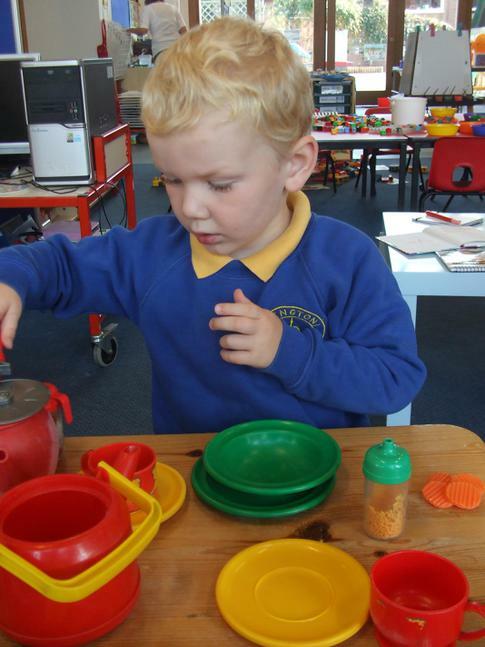 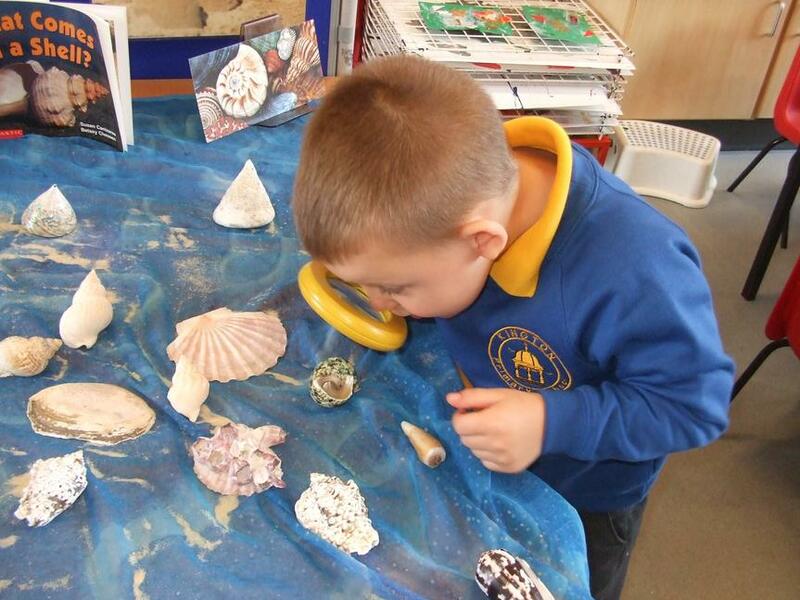 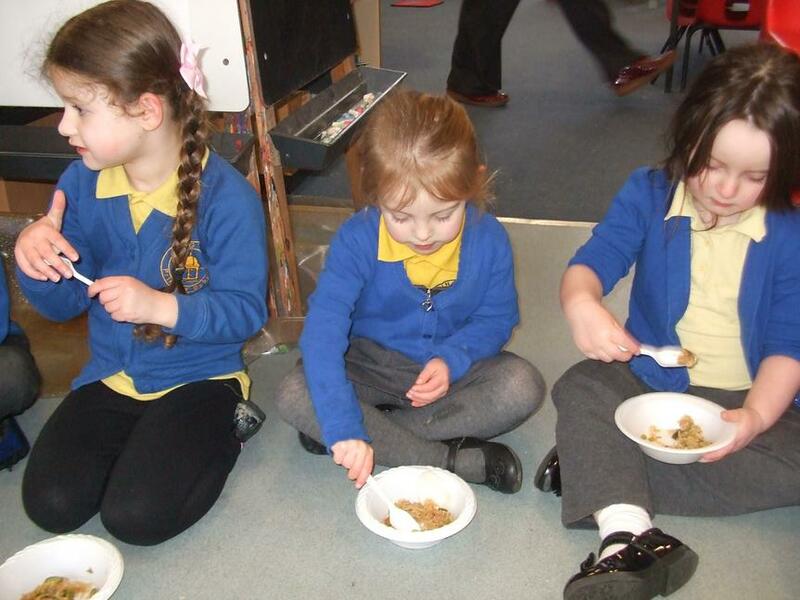 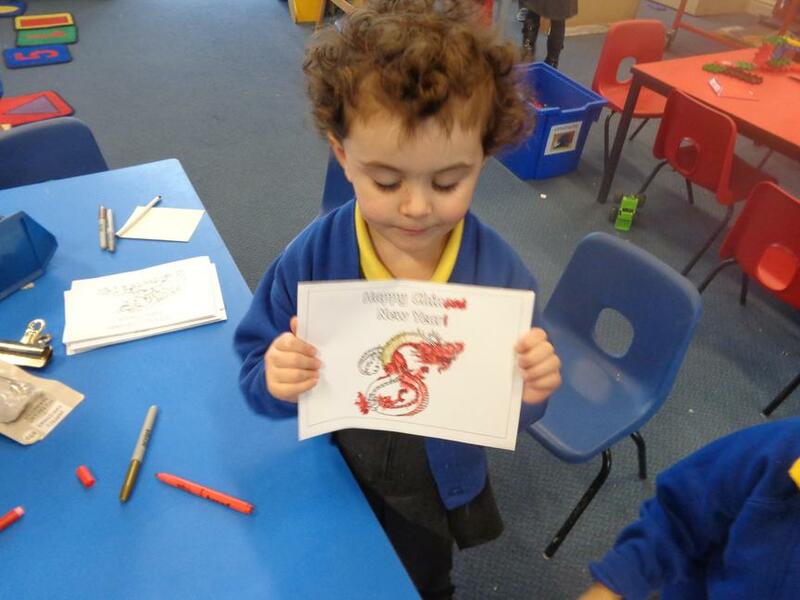 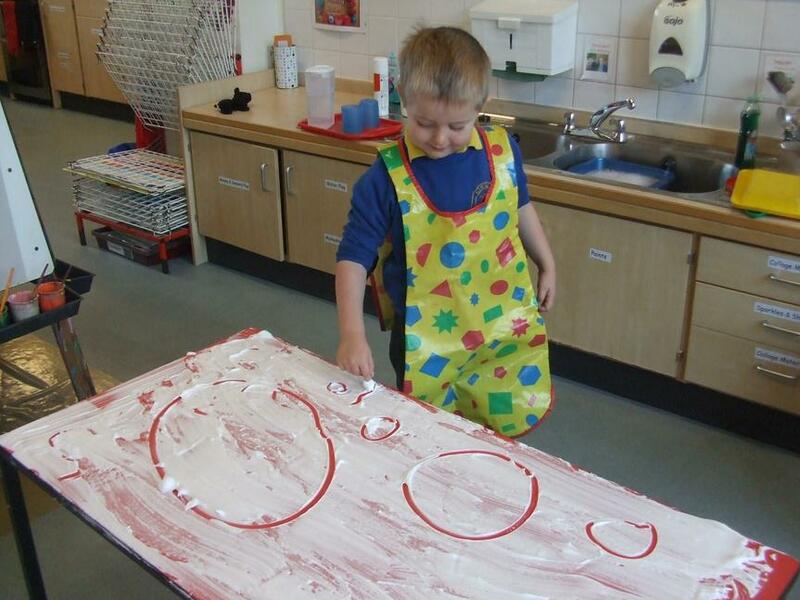 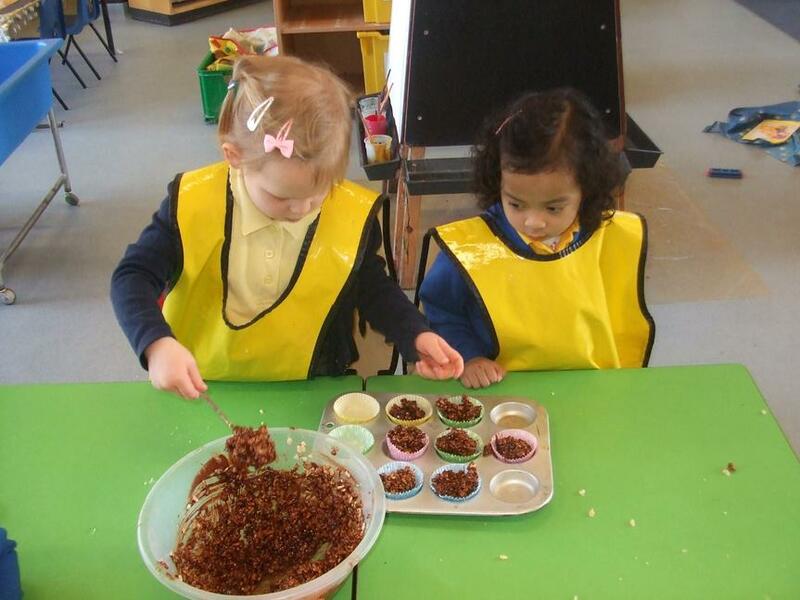 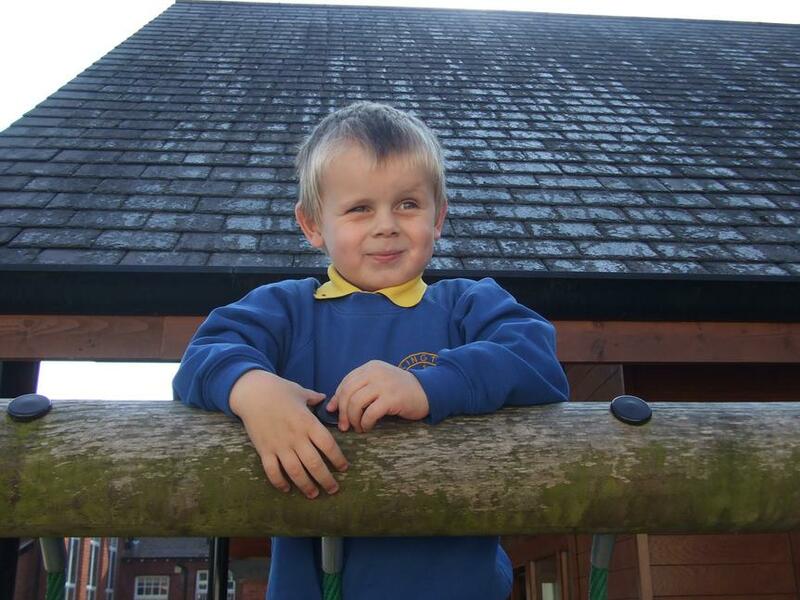 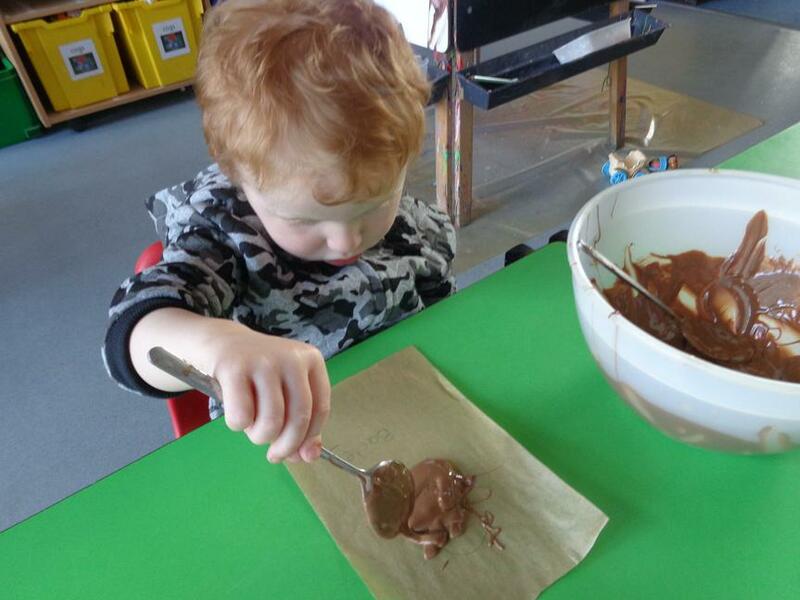 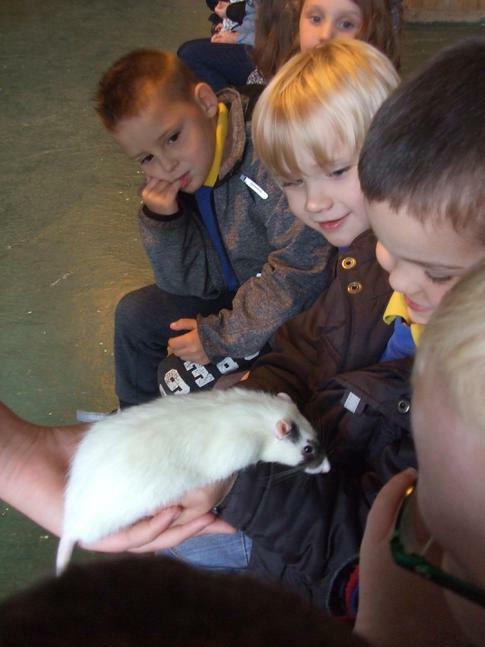 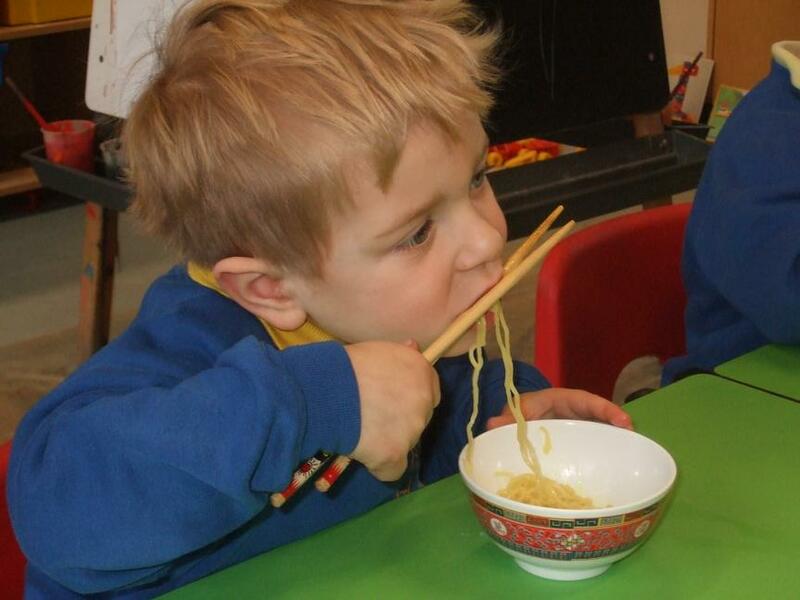 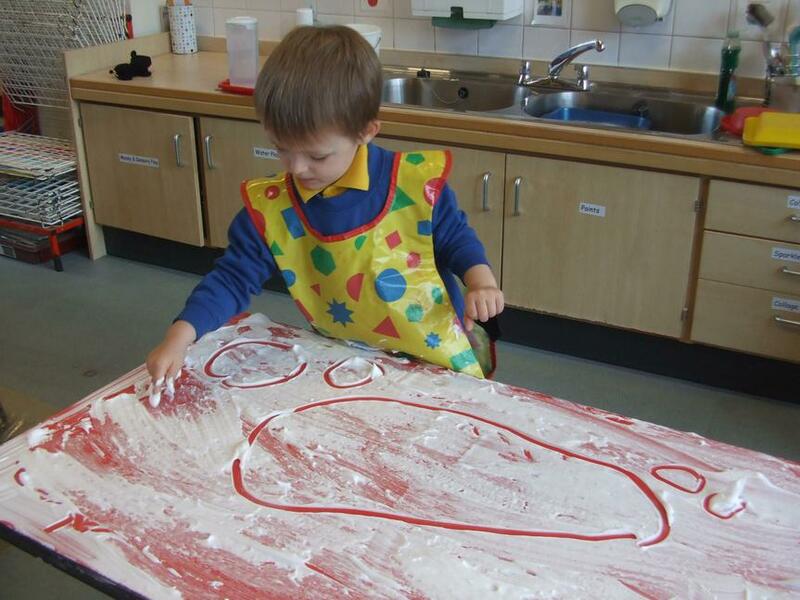 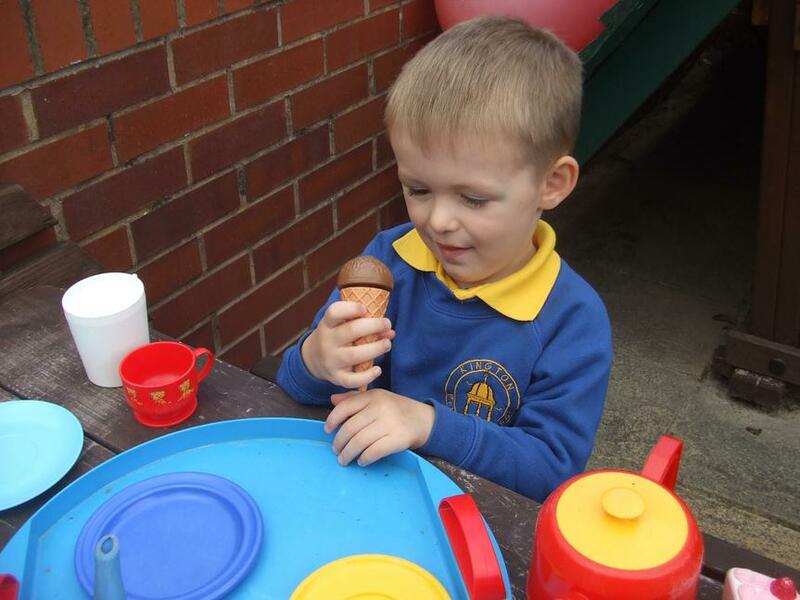 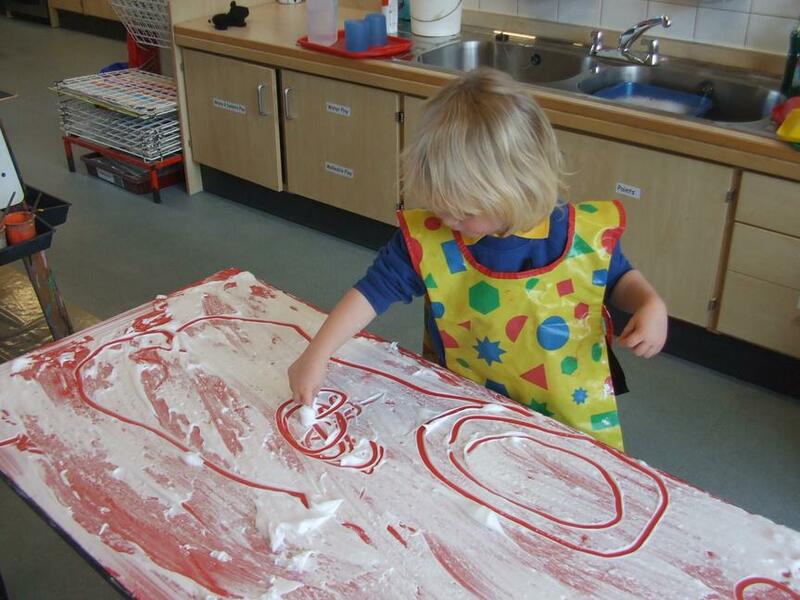 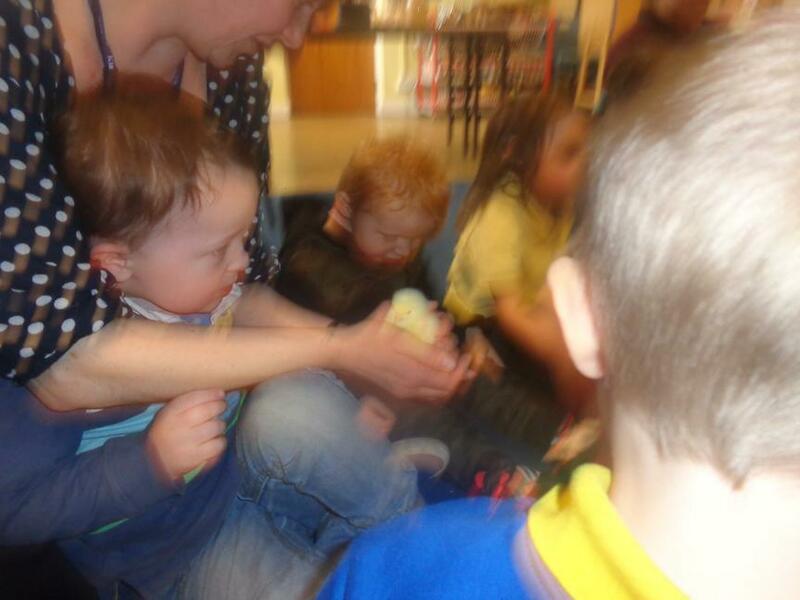 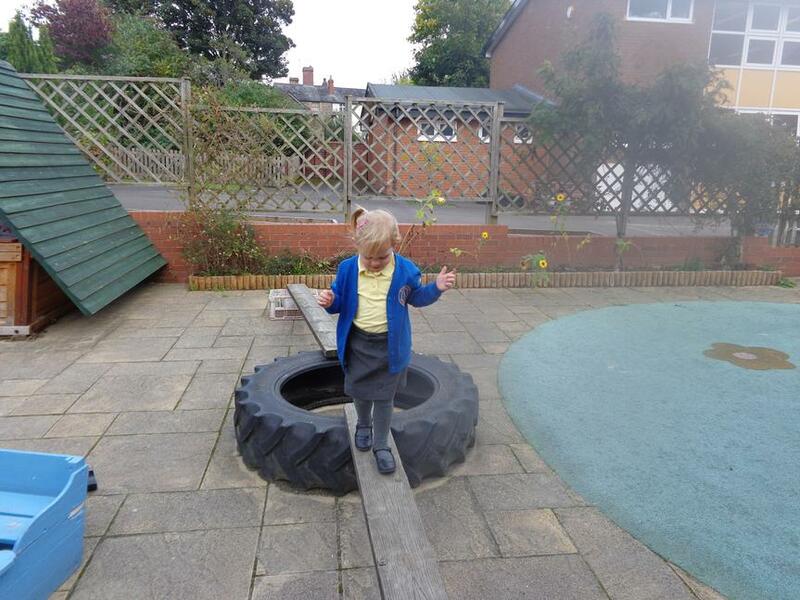 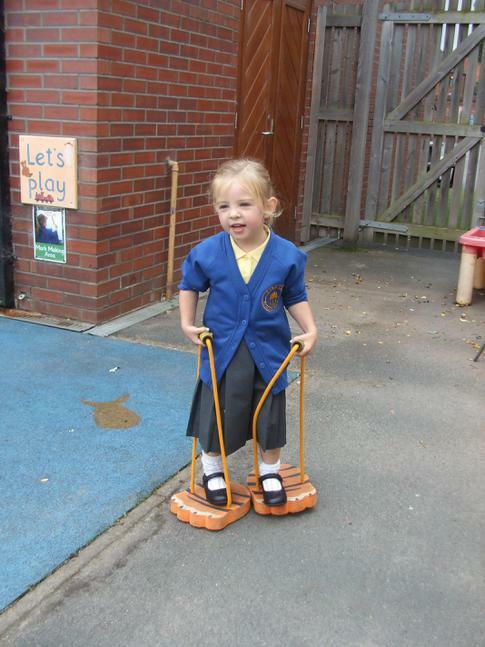 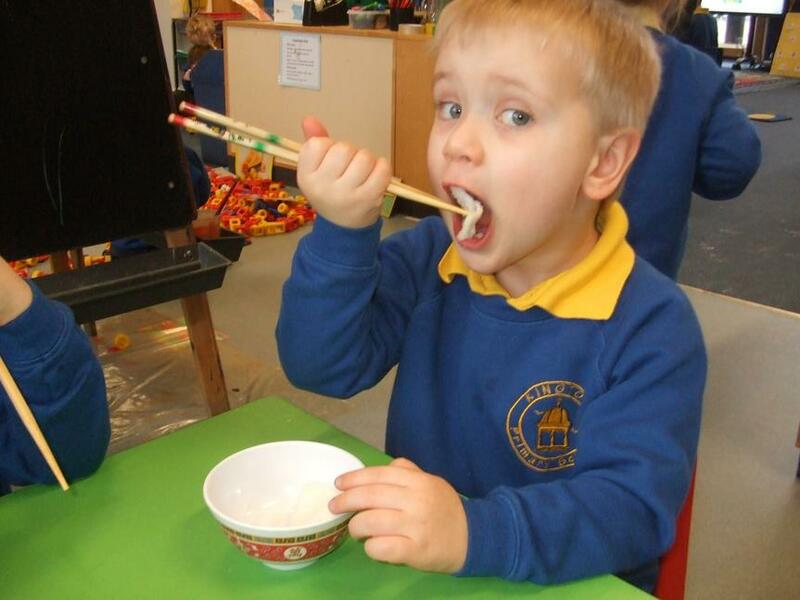 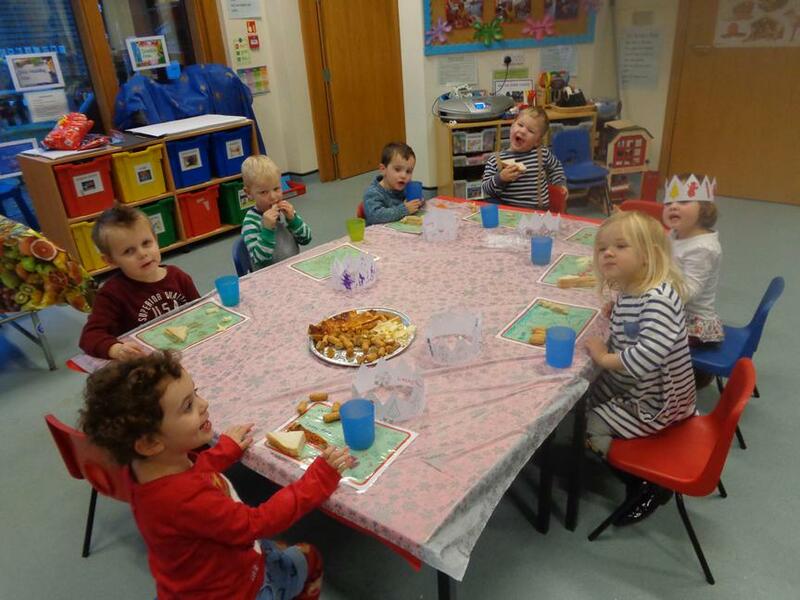 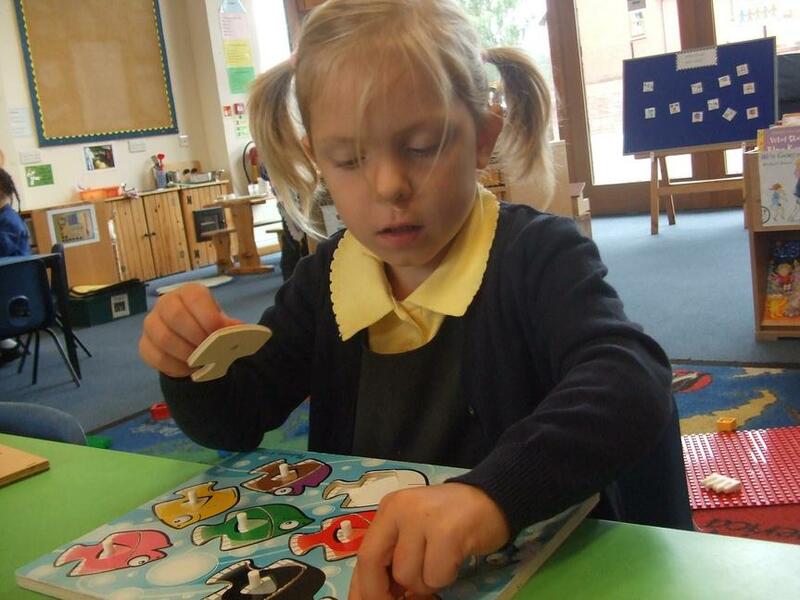 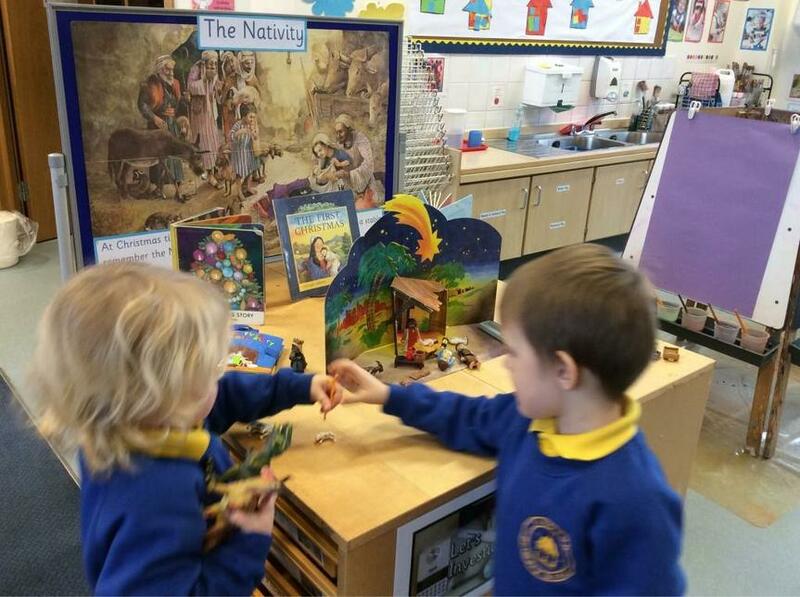 Here are some photos of our first few weeks at nursery. 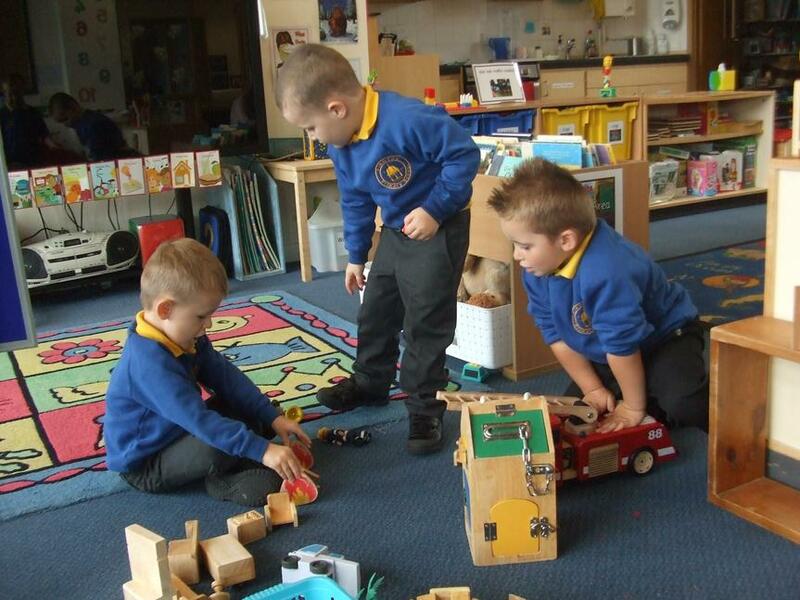 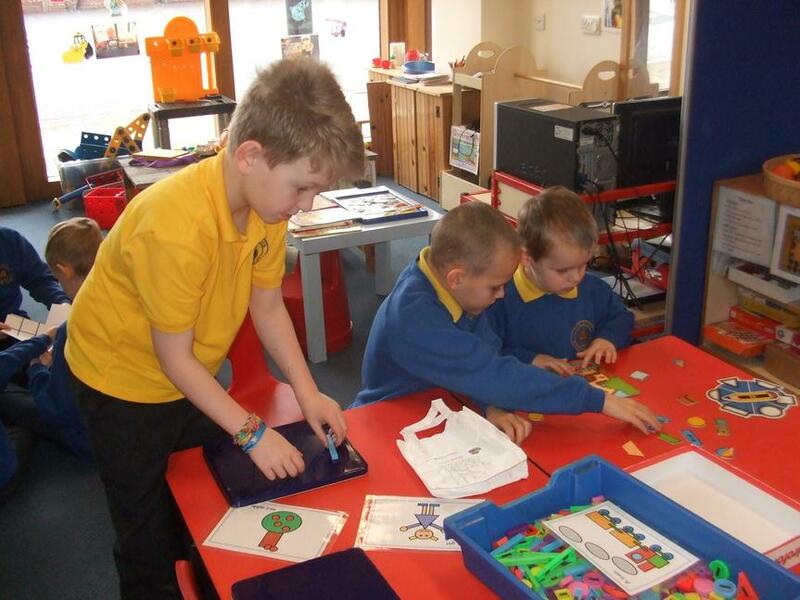 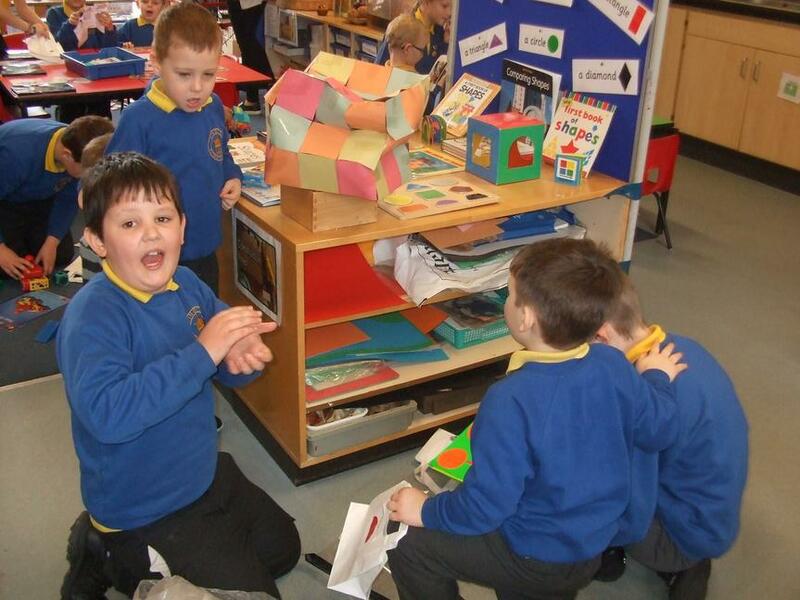 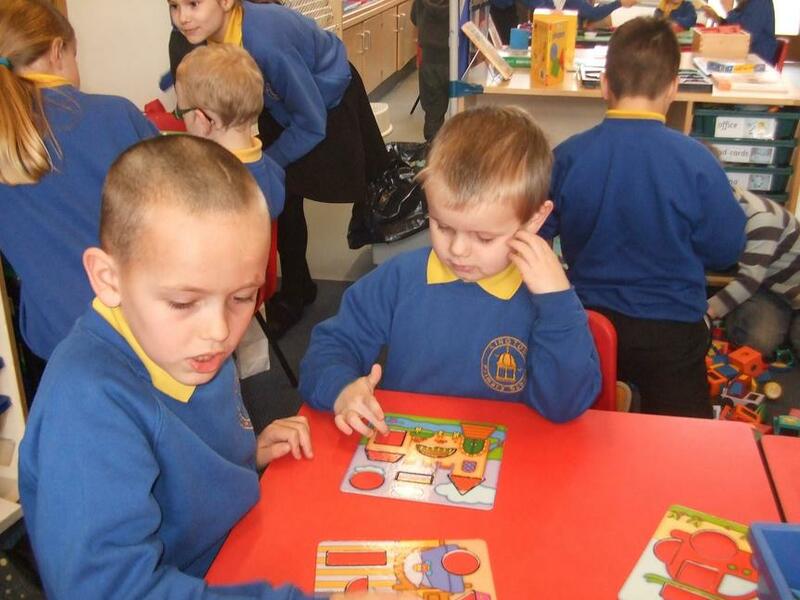 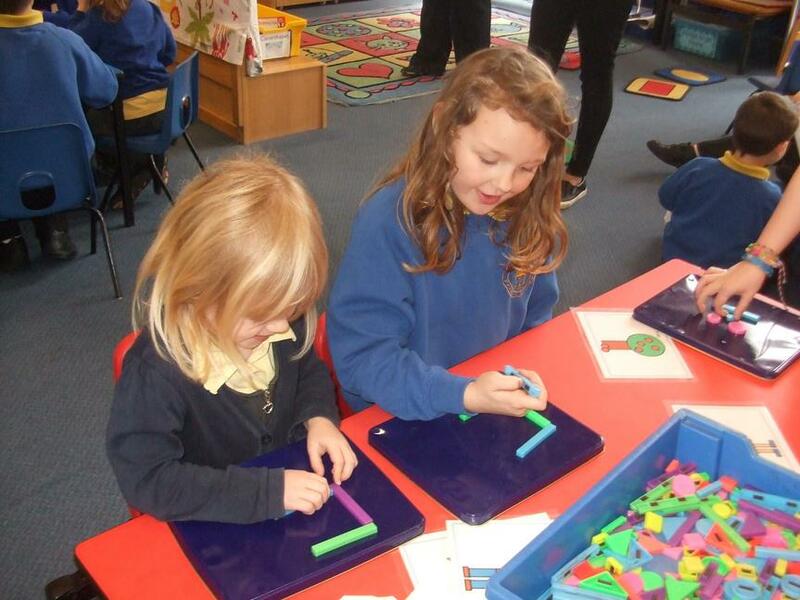 We have been very busy exploring all the resources. 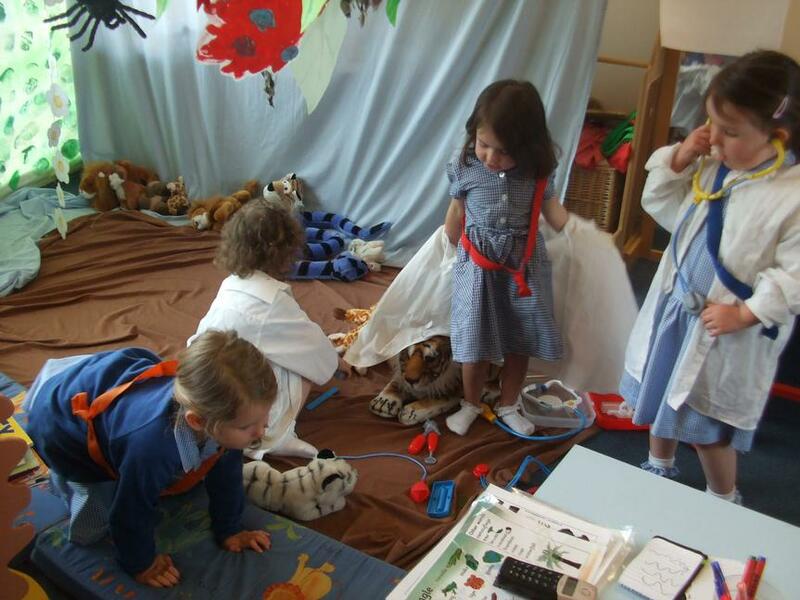 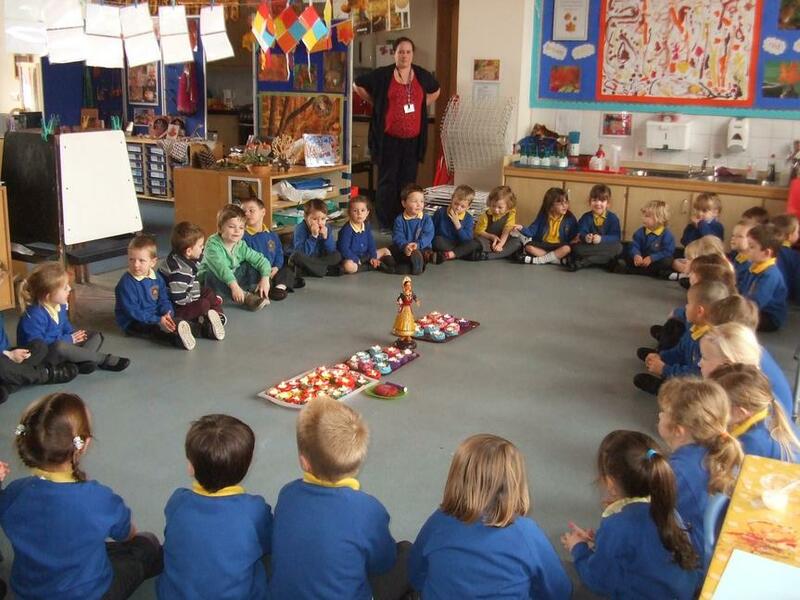 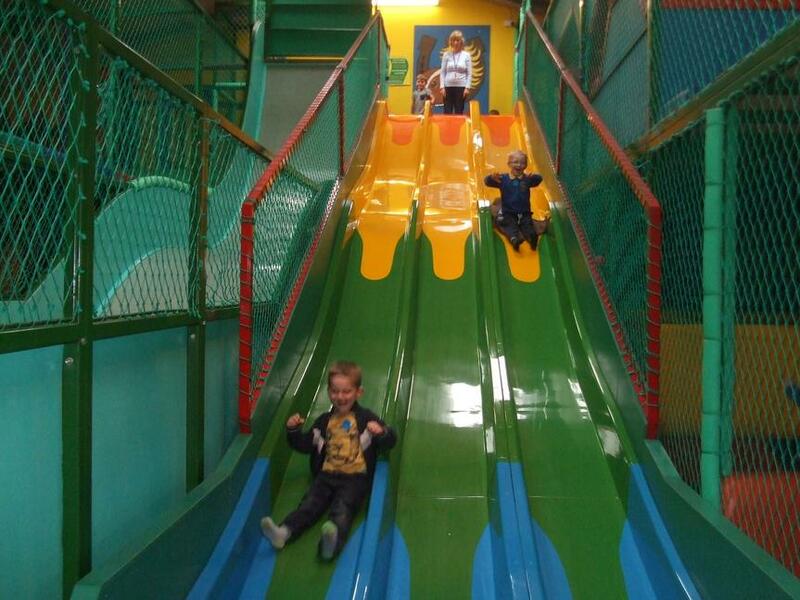 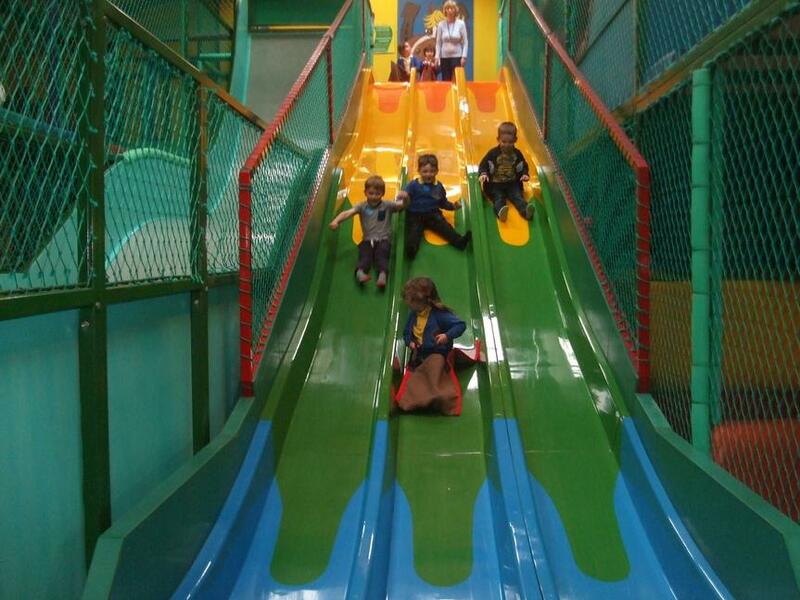 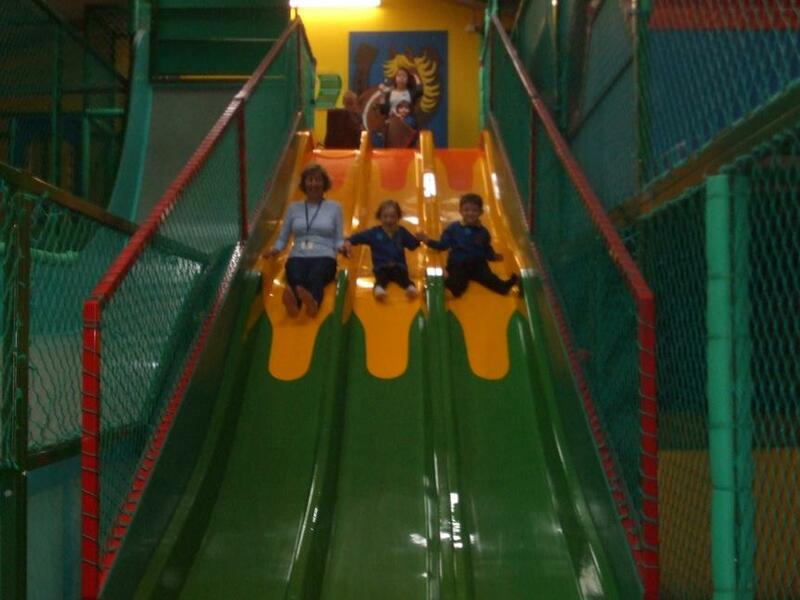 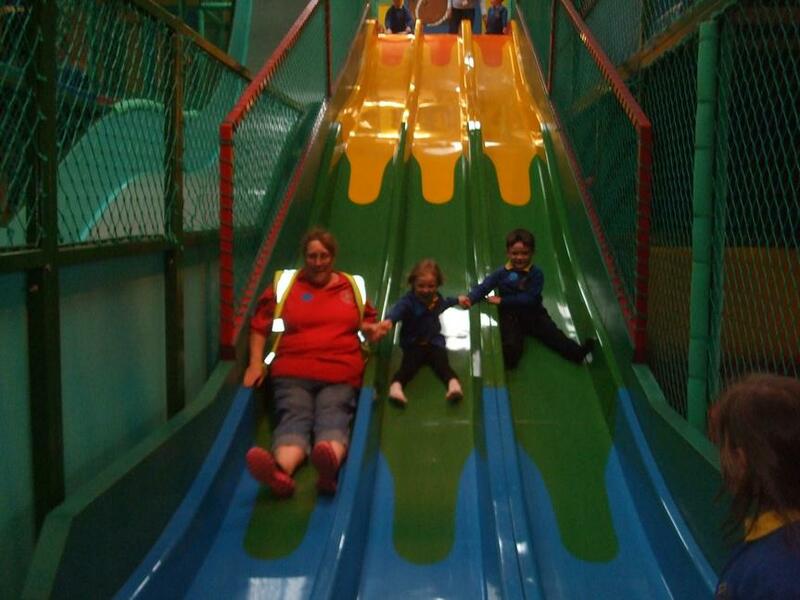 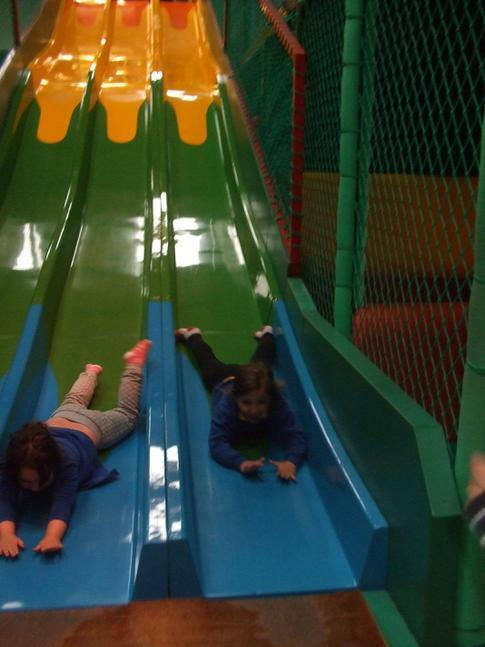 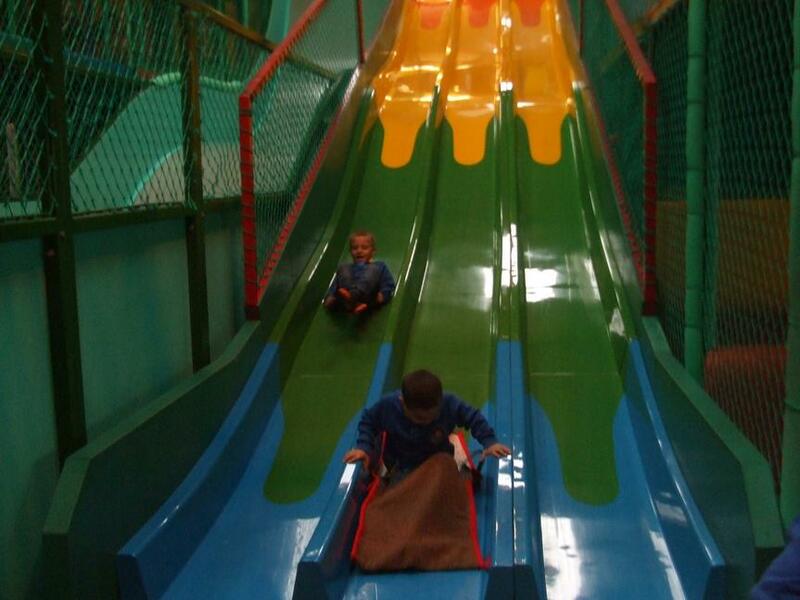 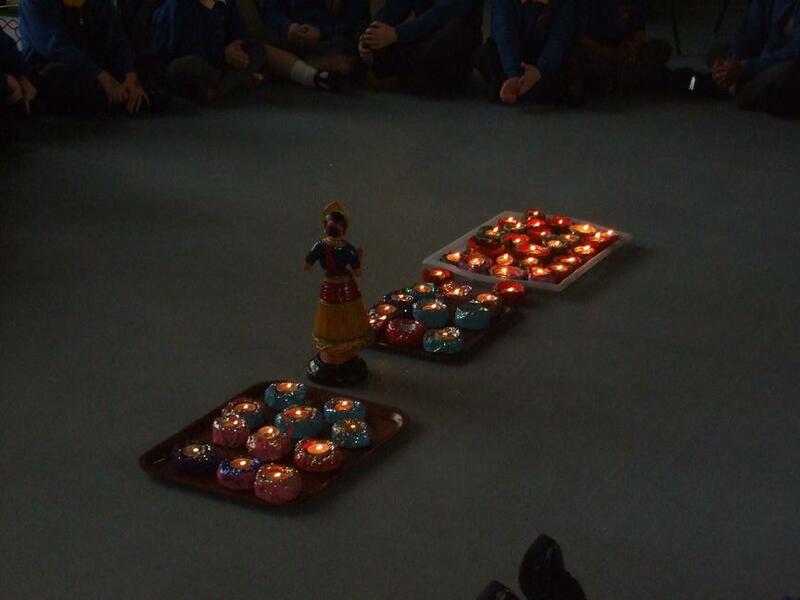 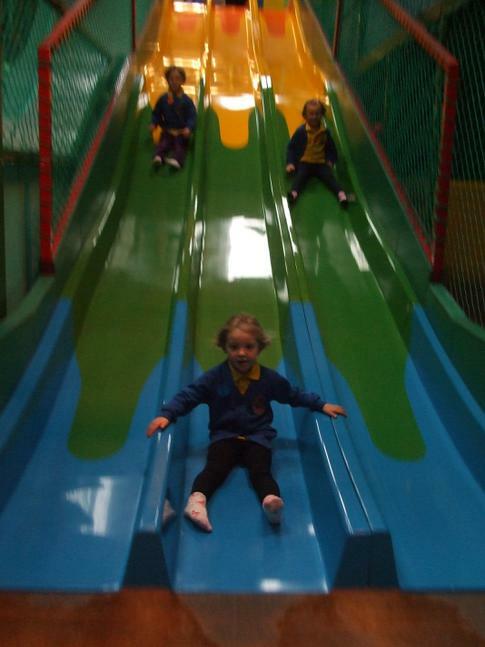 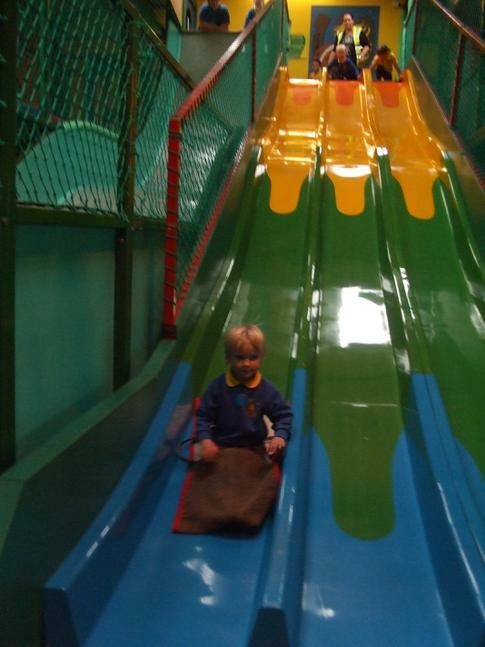 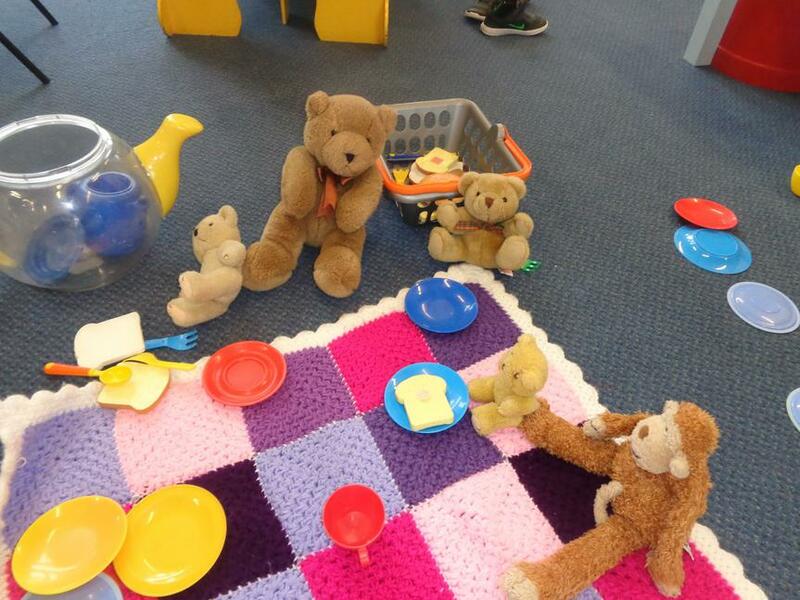 The afternoon session caters for the younger nursery children. 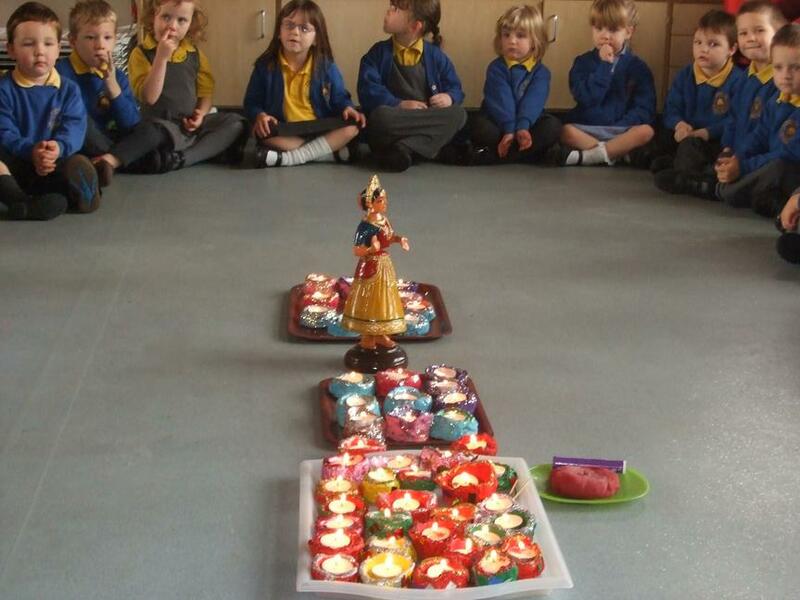 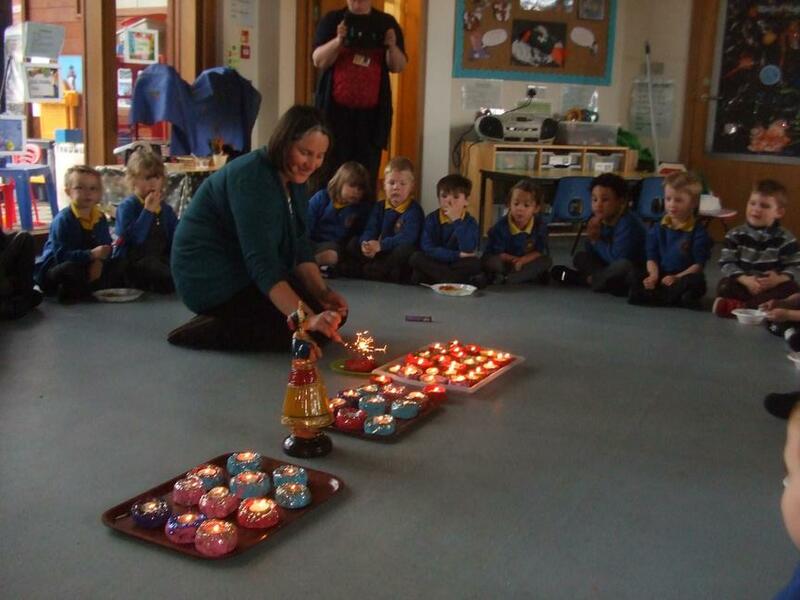 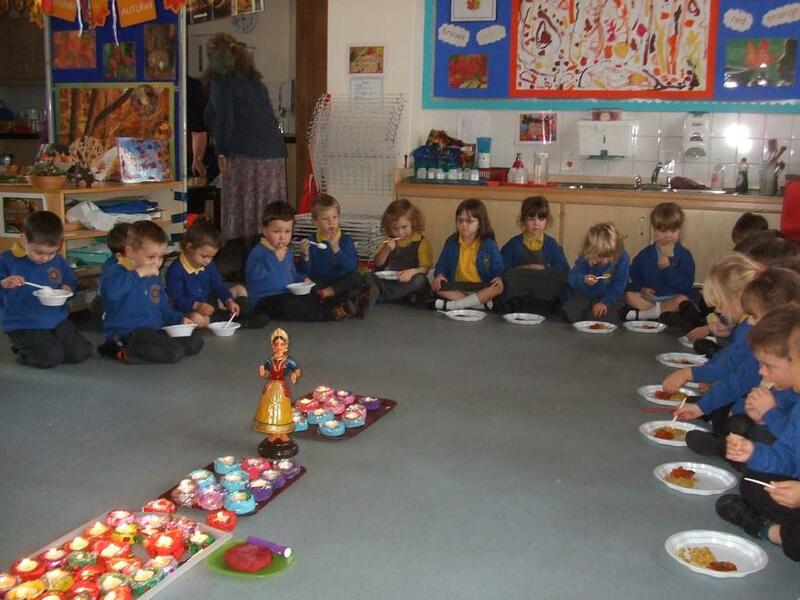 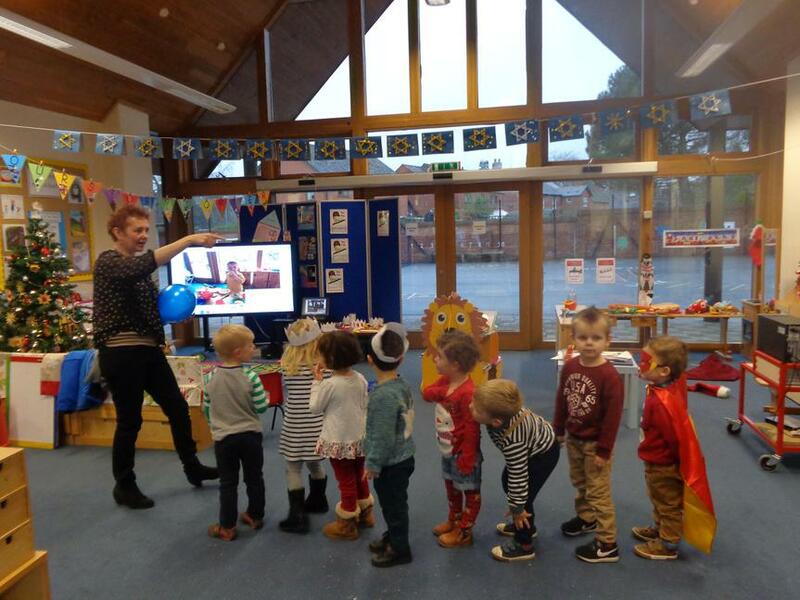 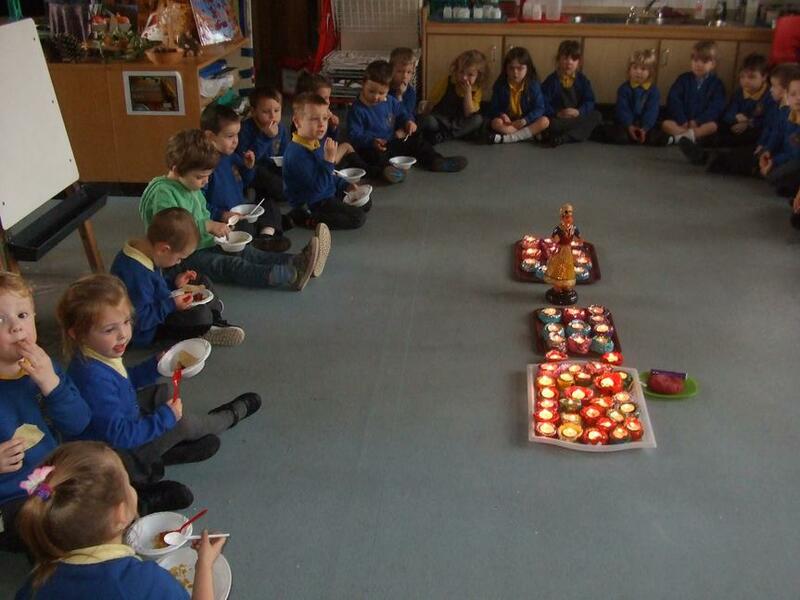 Children can attend from the term after their second birthday. 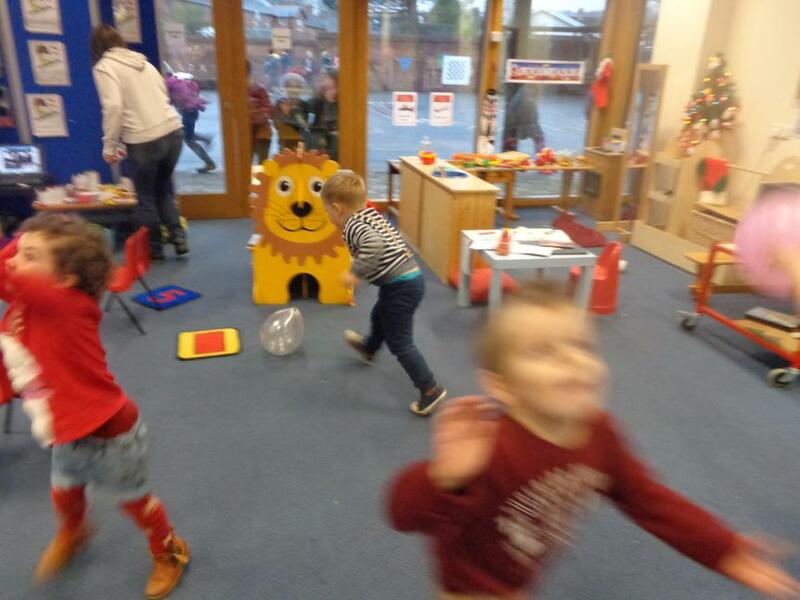 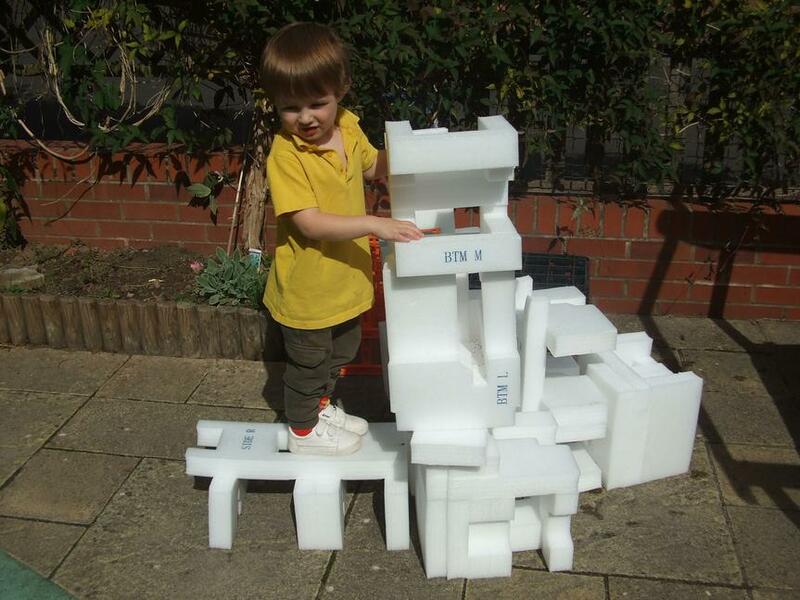 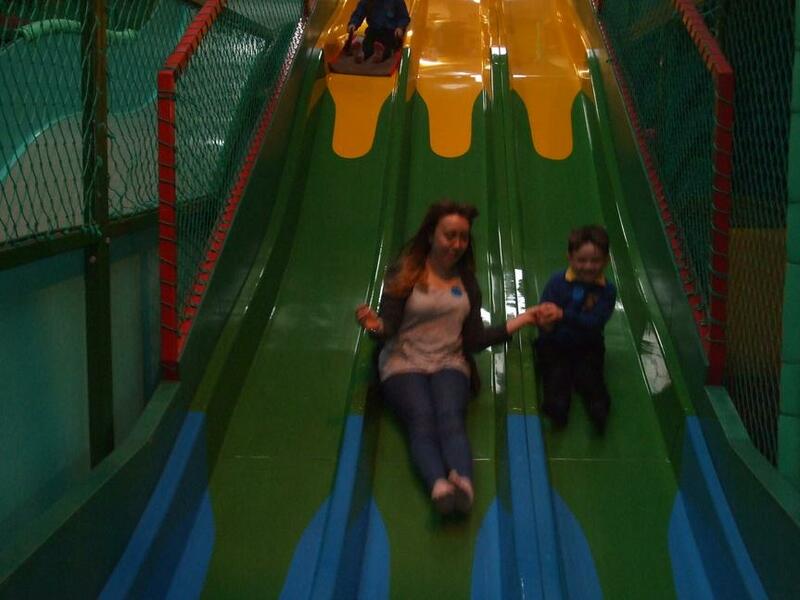 Our sessions run from 12.30pm until 3.30pm.